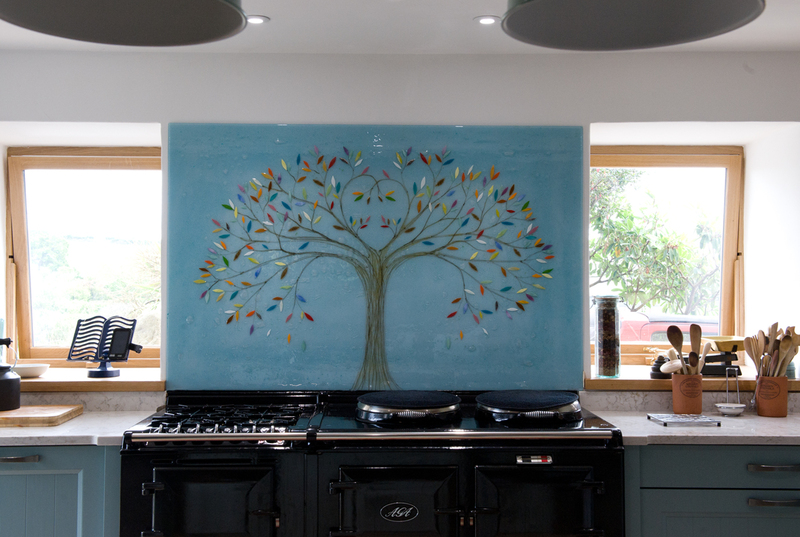 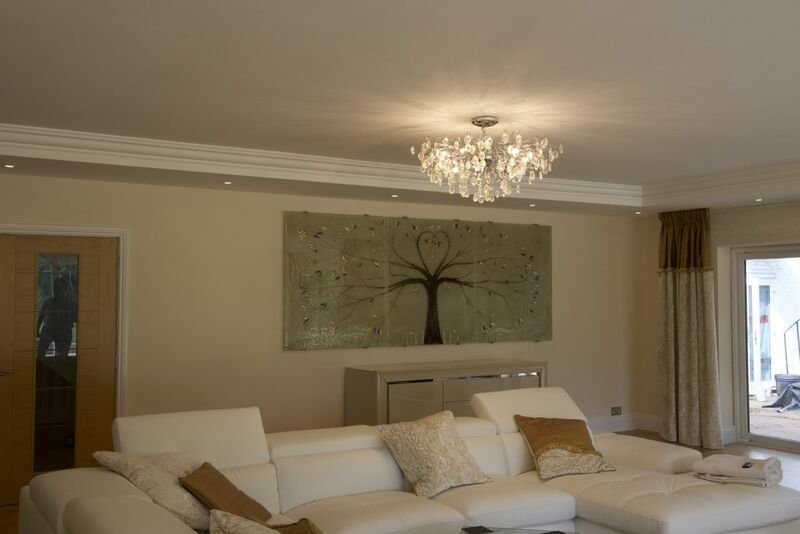 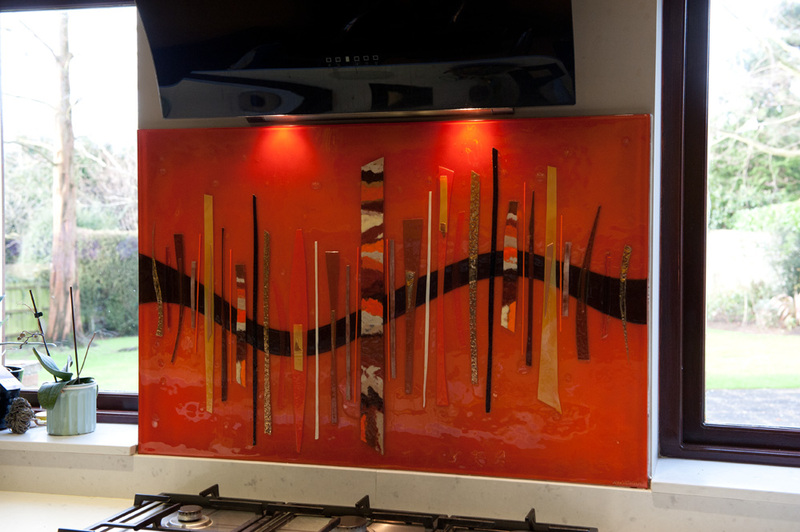 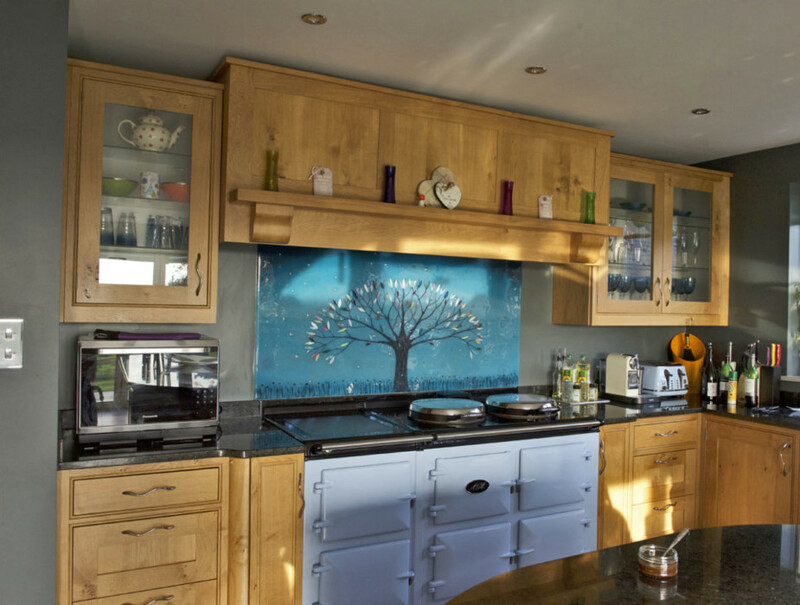 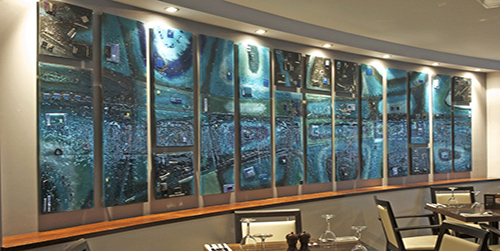 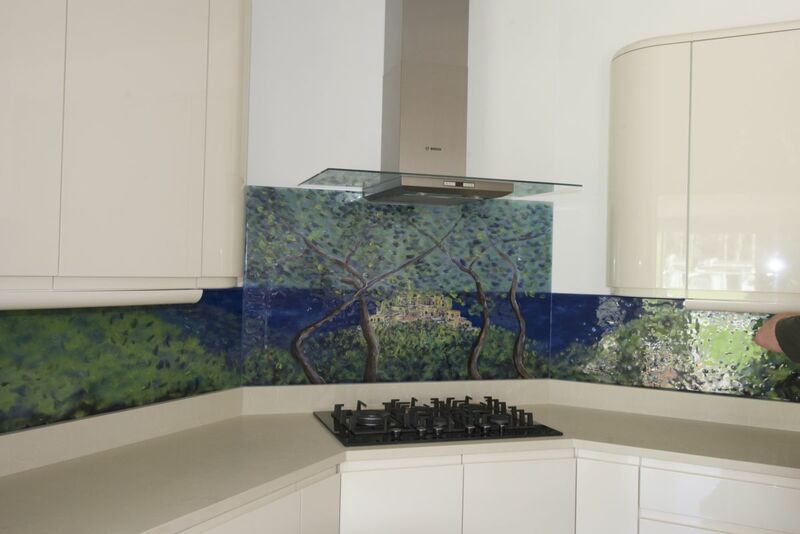 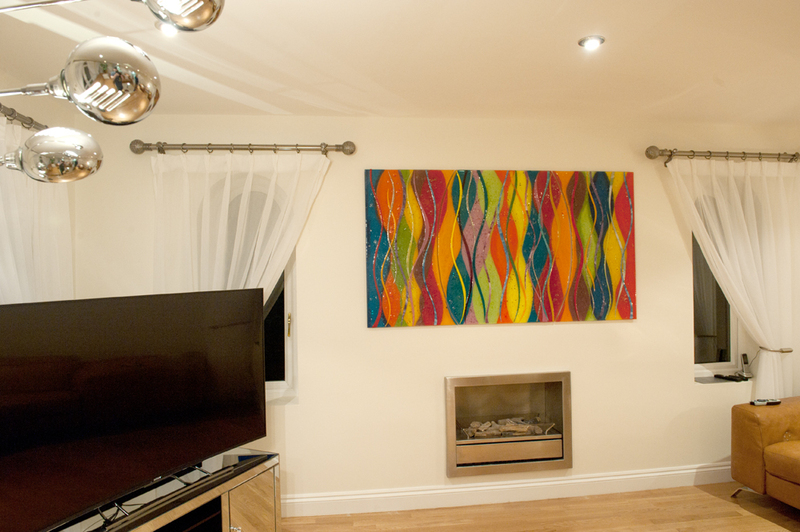 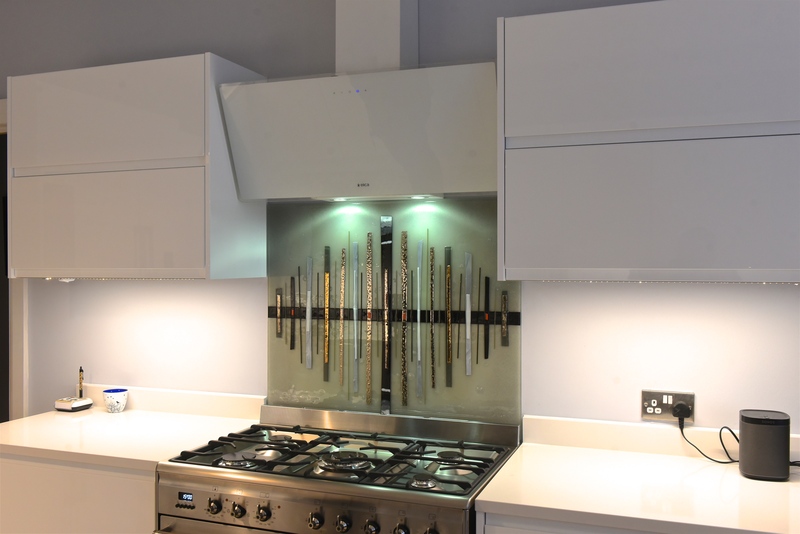 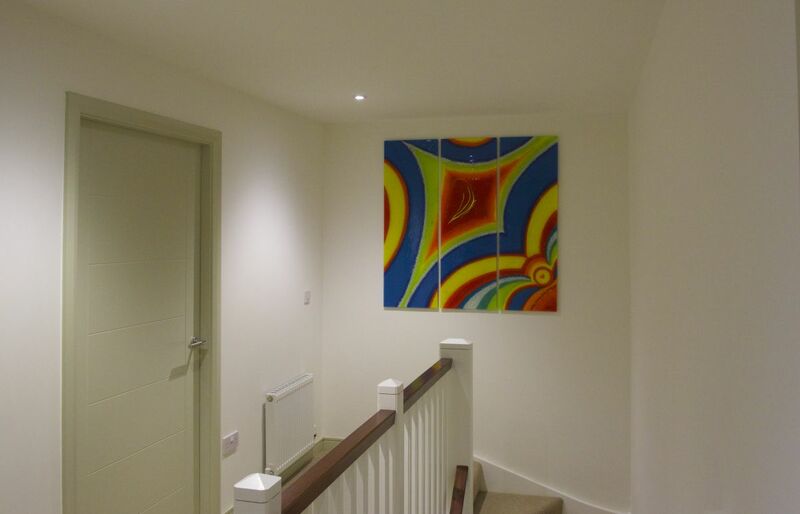 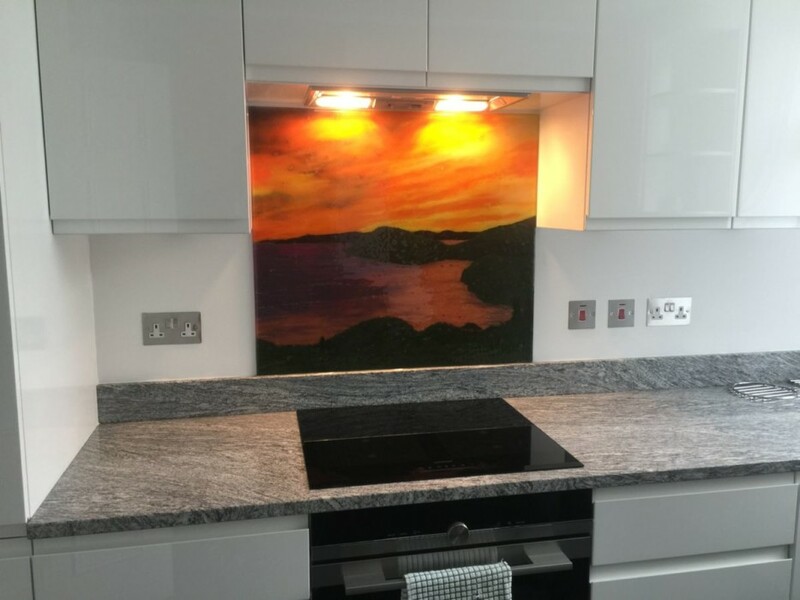 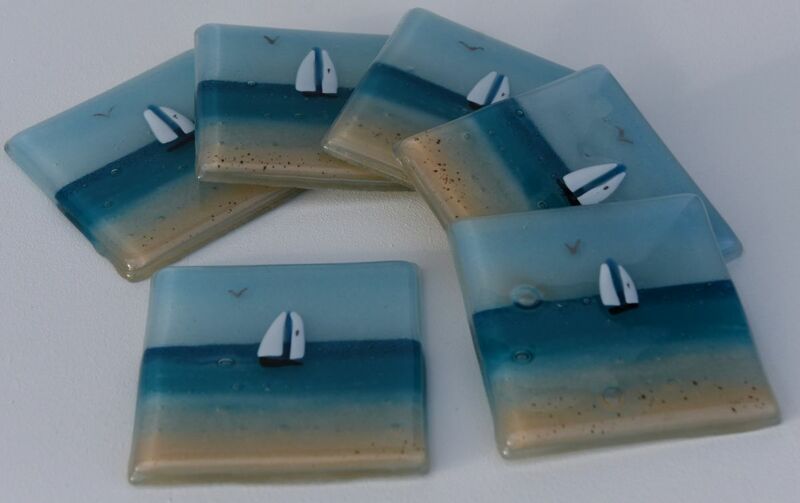 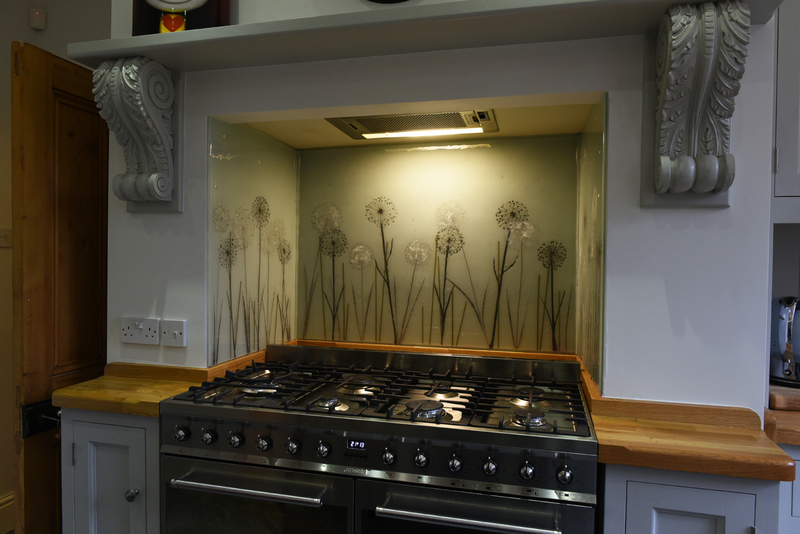 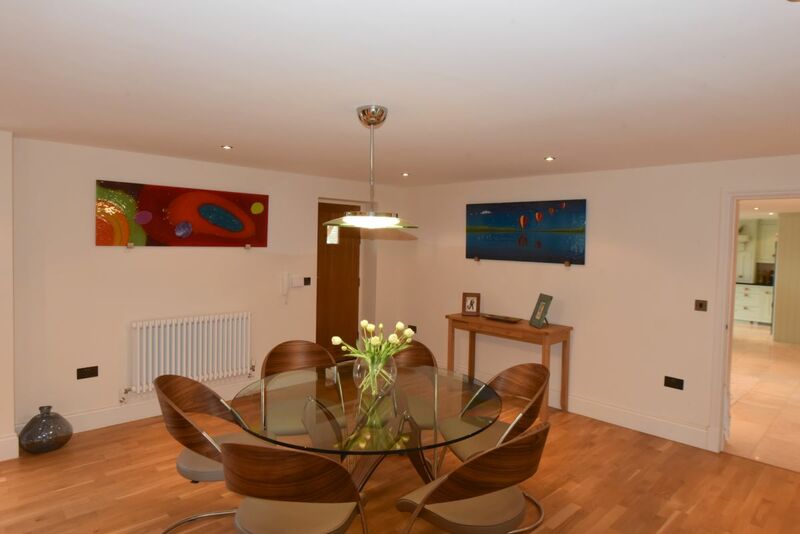 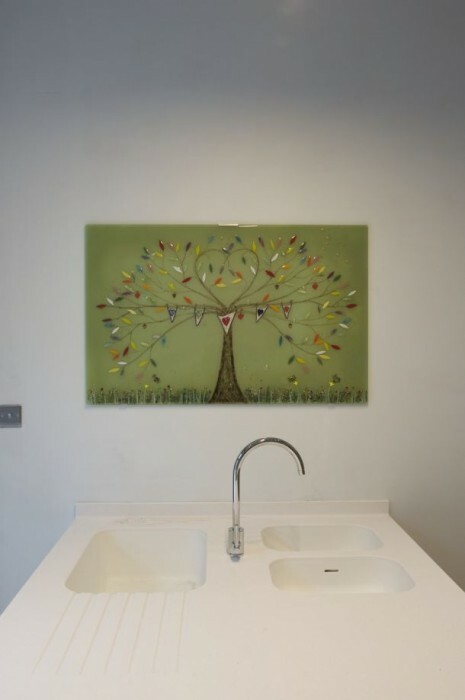 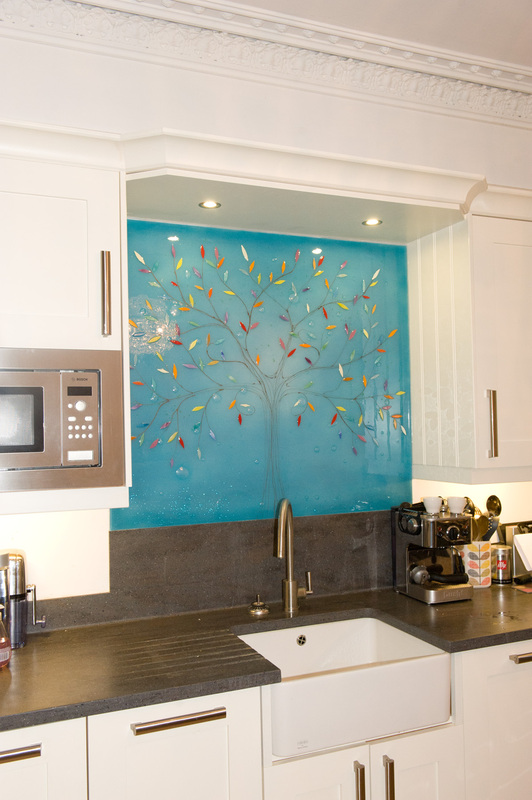 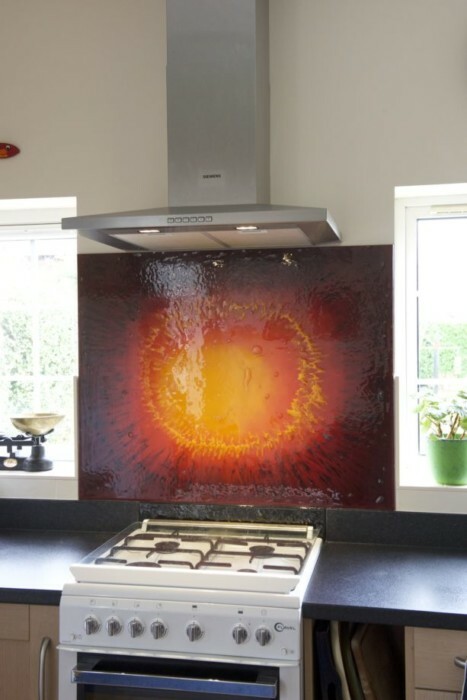 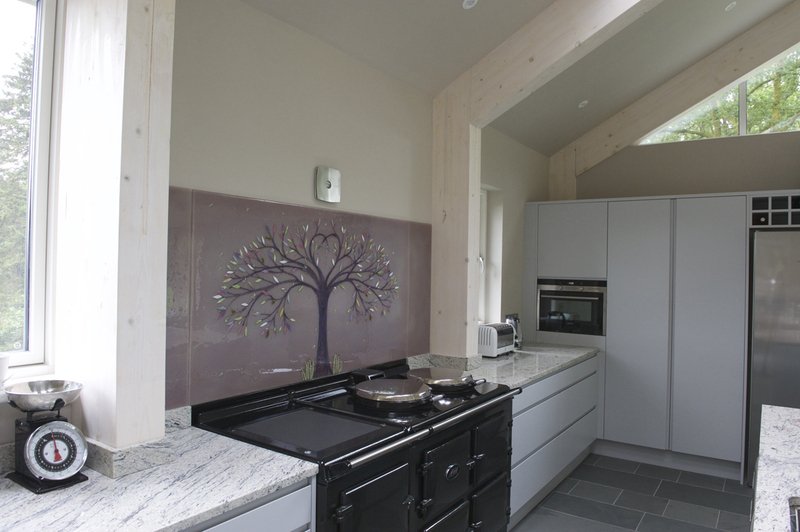 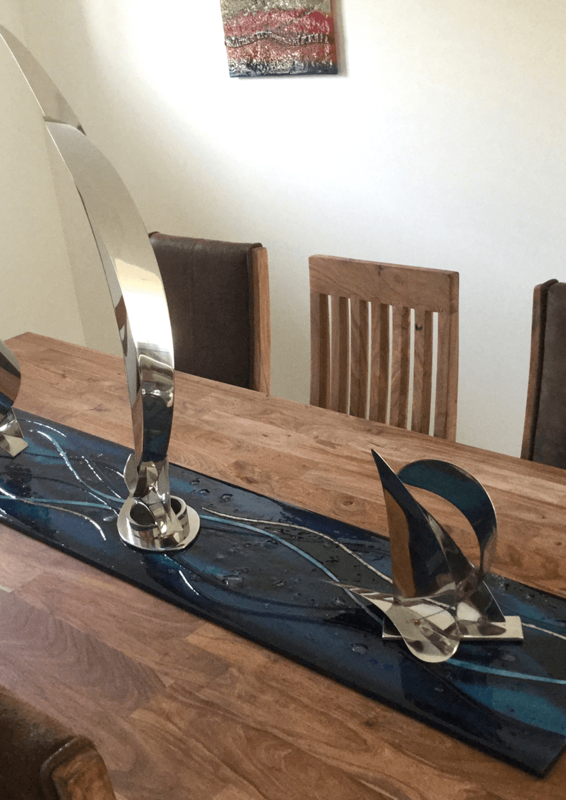 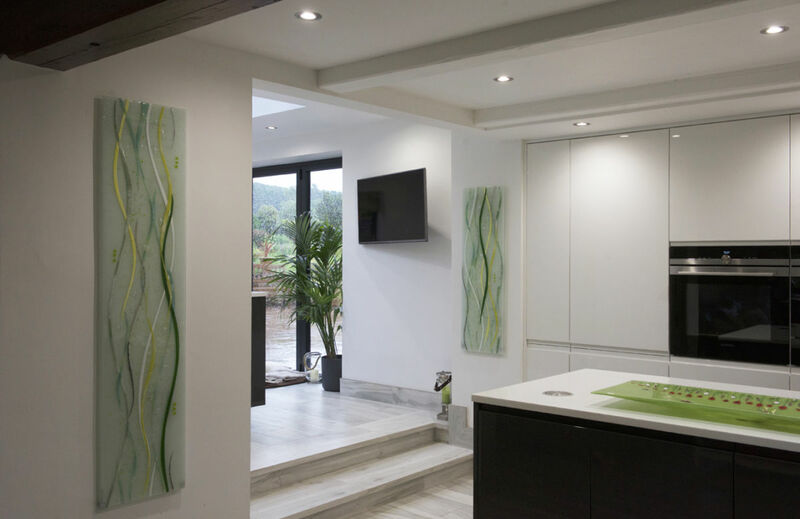 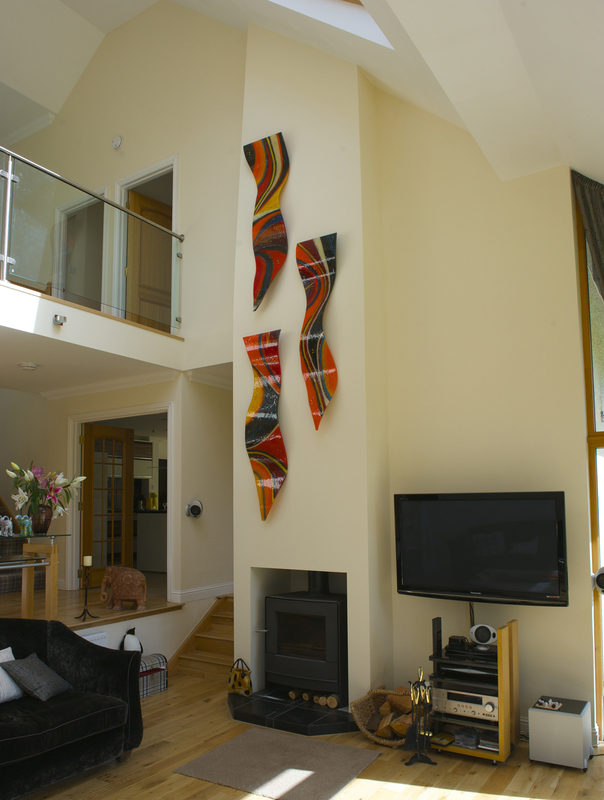 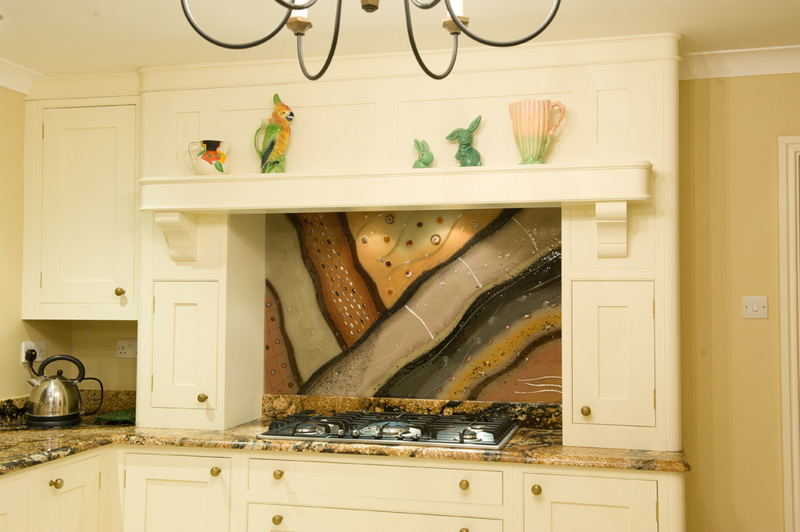 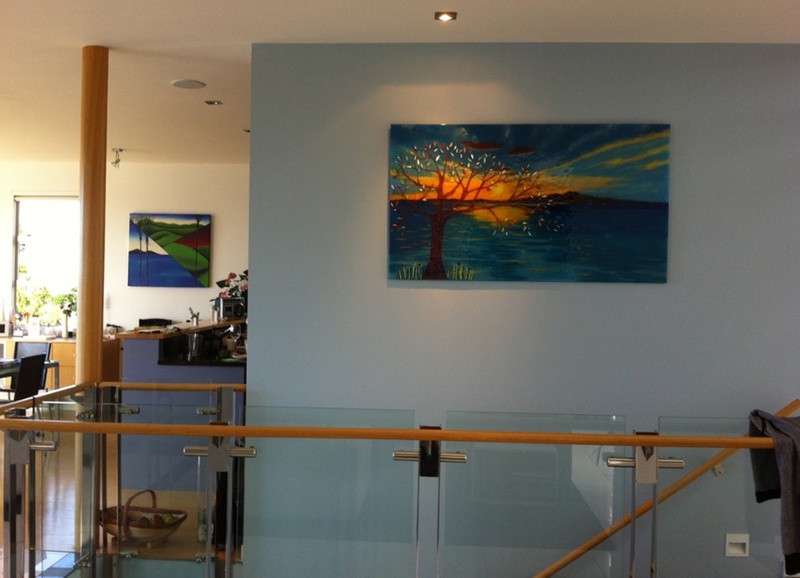 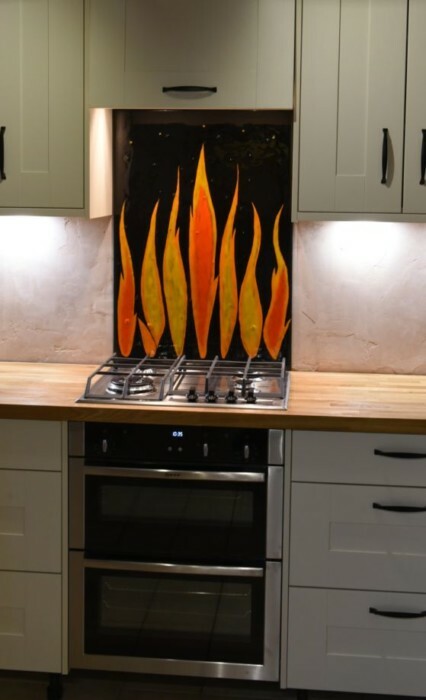 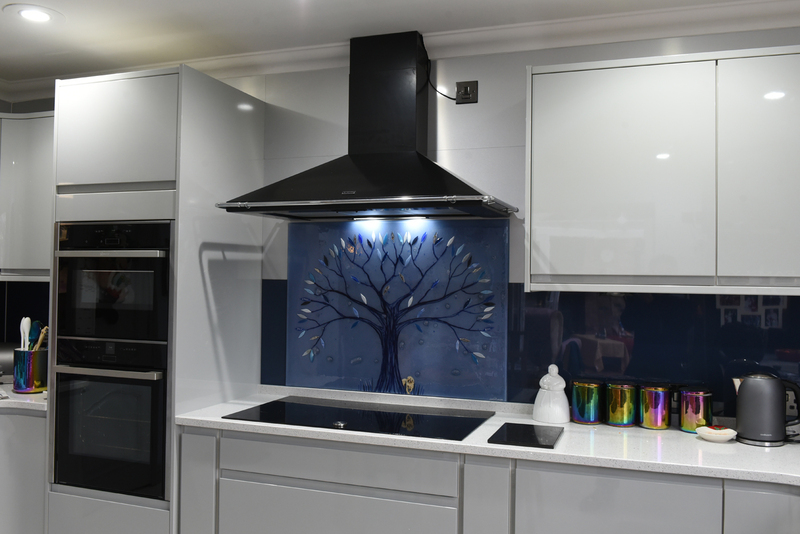 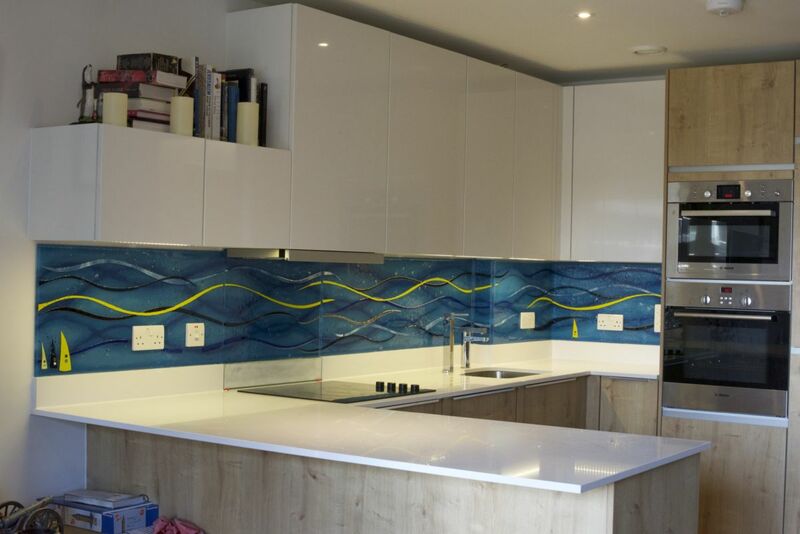 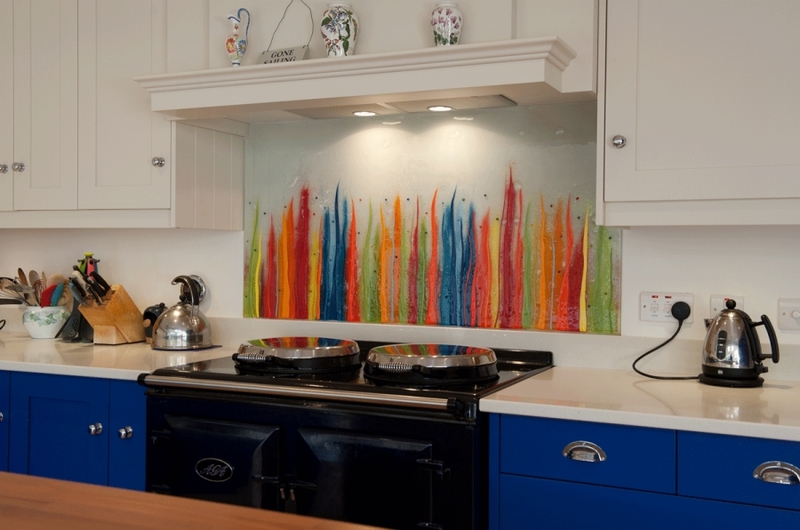 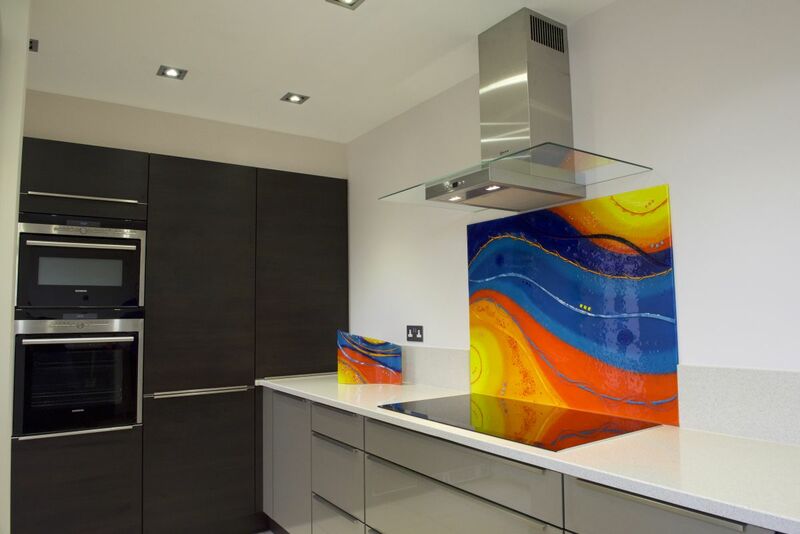 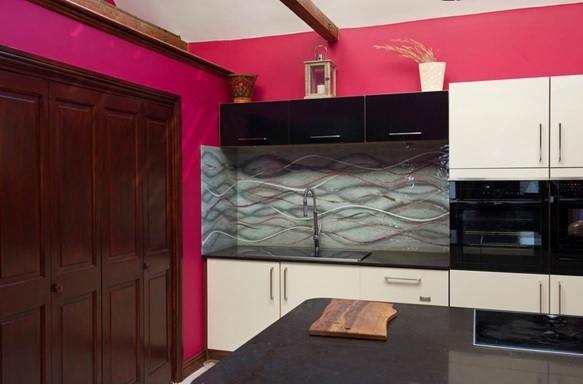 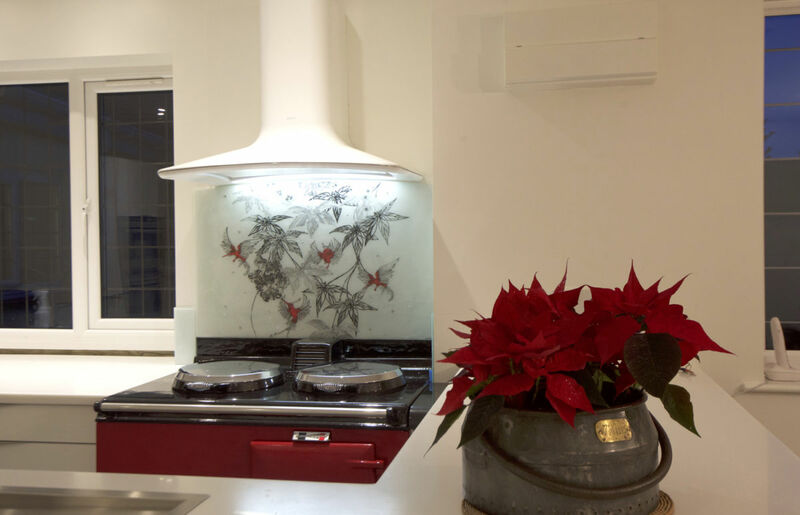 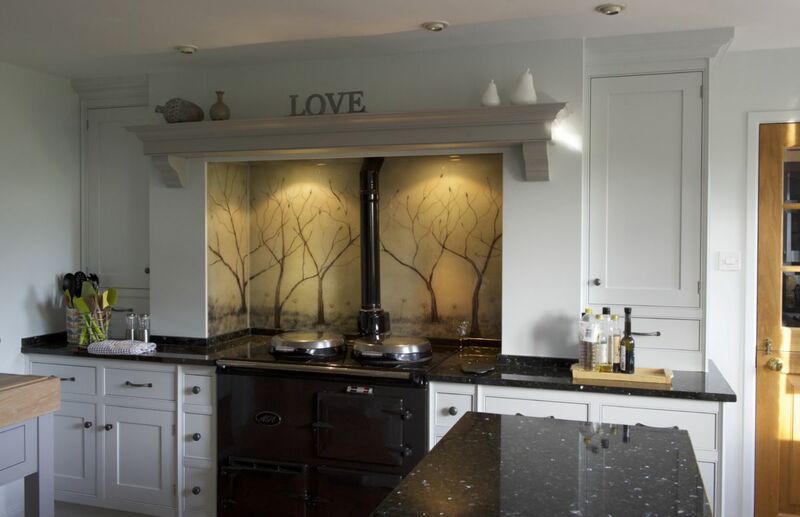 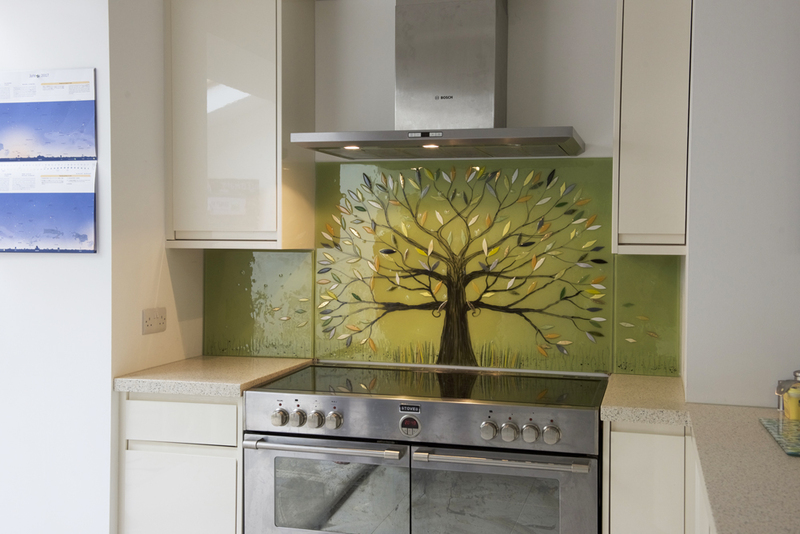 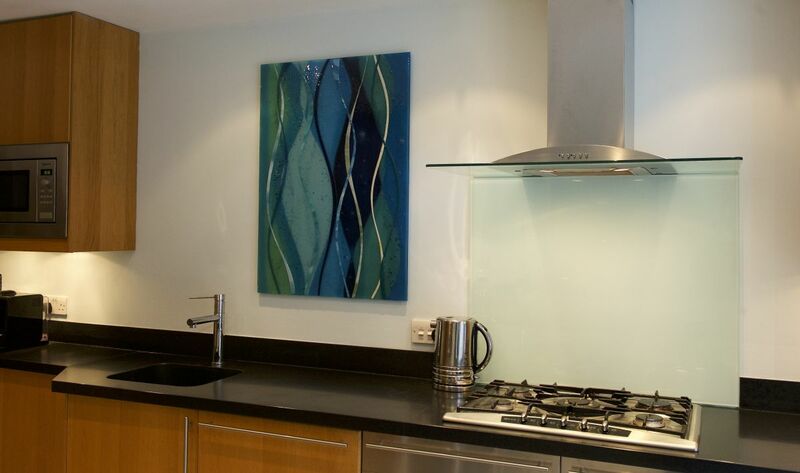 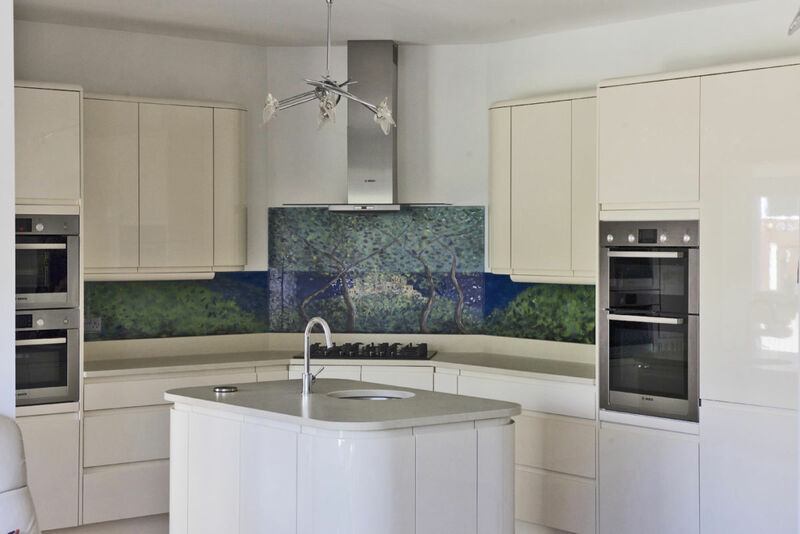 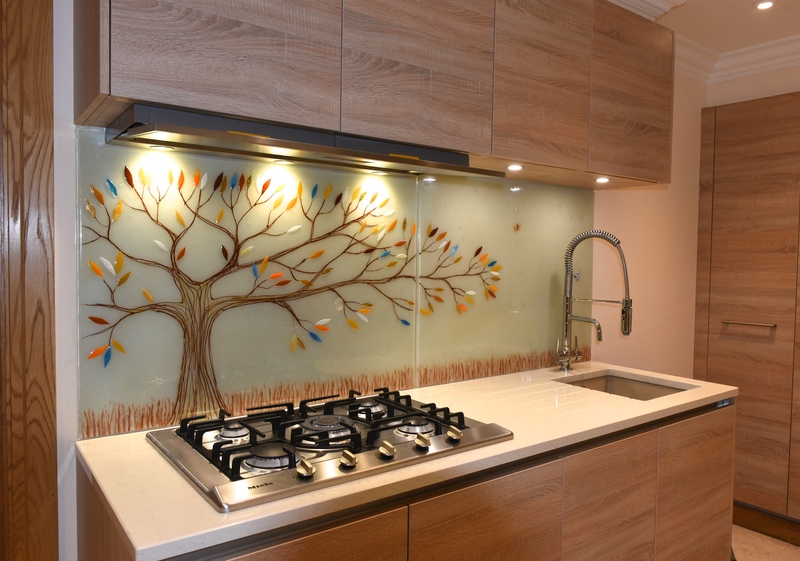 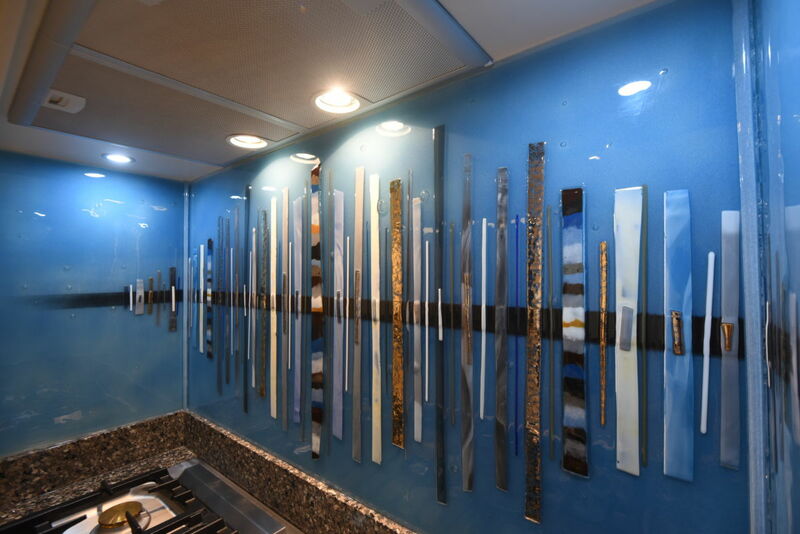 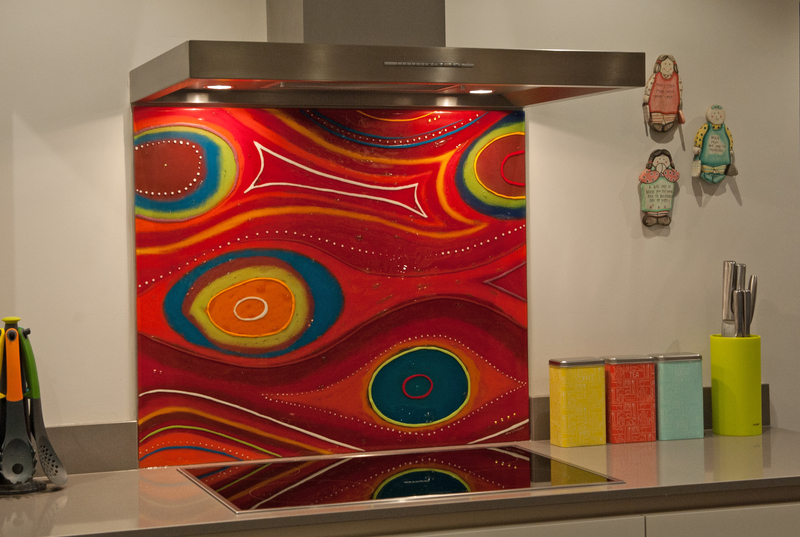 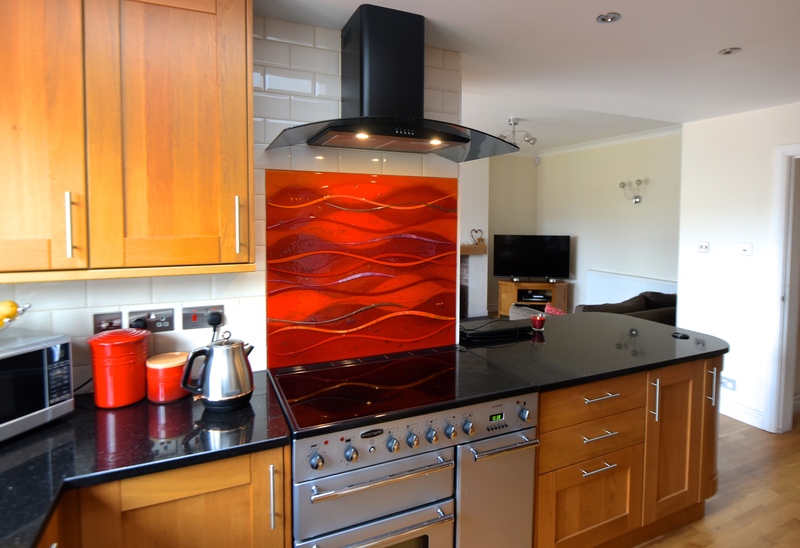 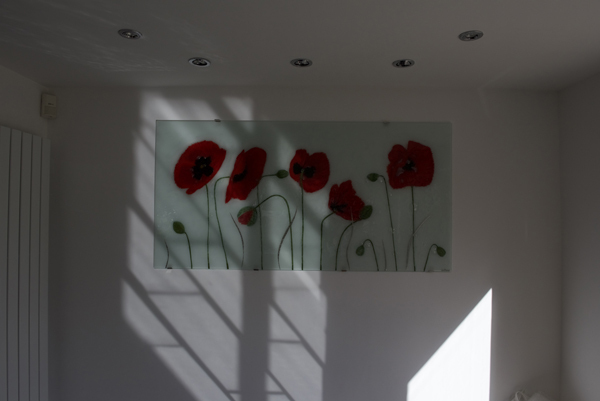 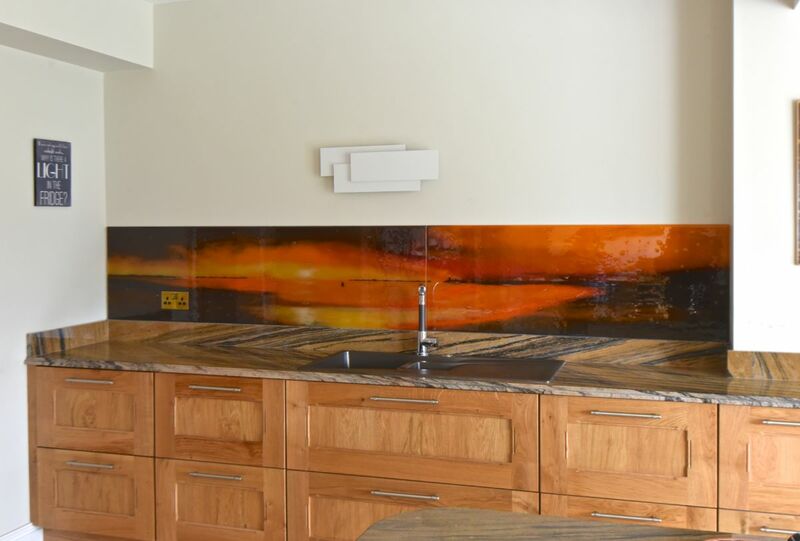 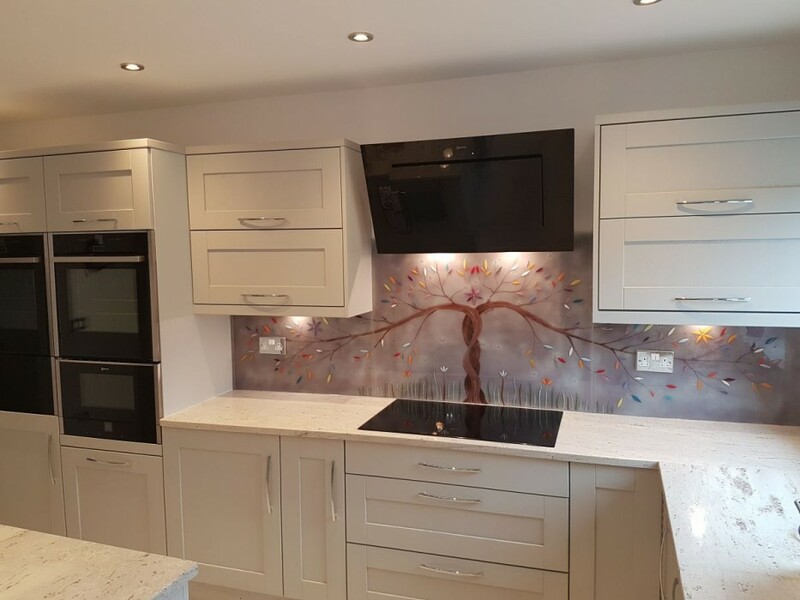 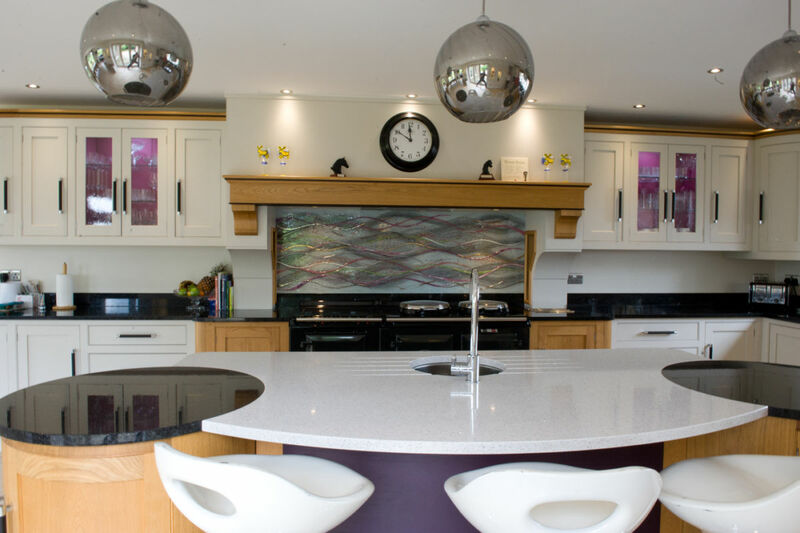 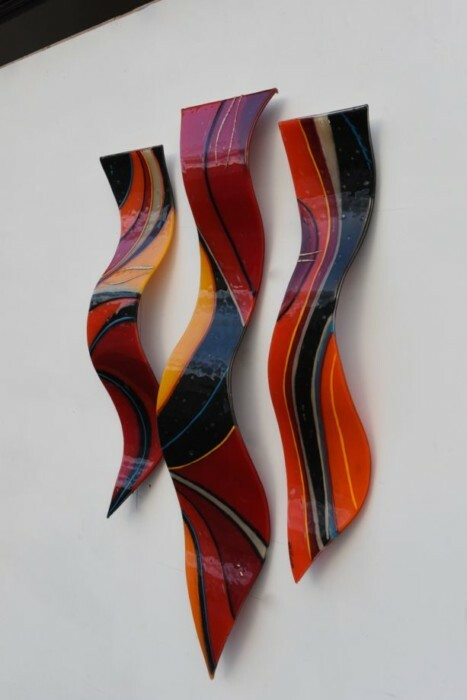 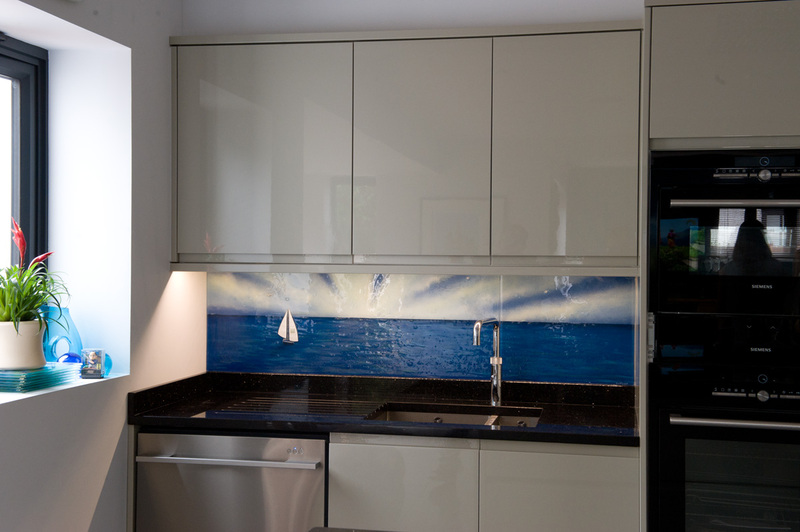 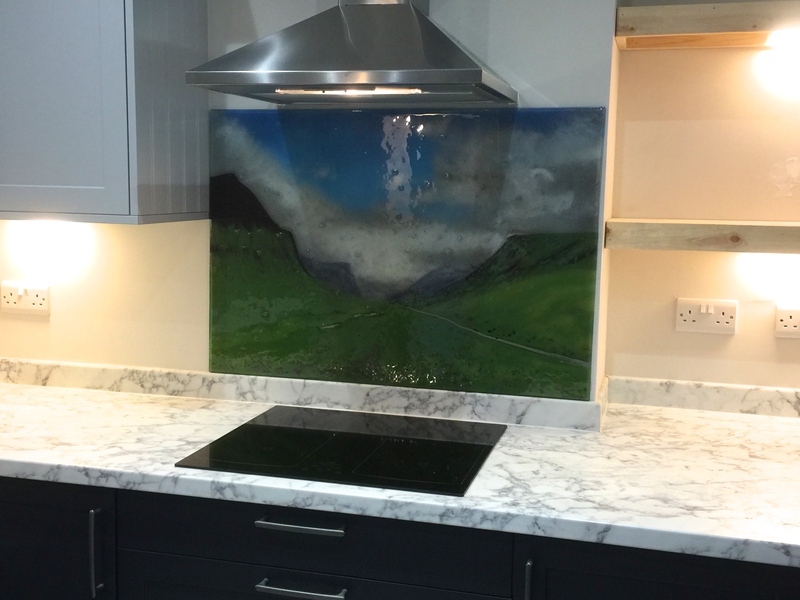 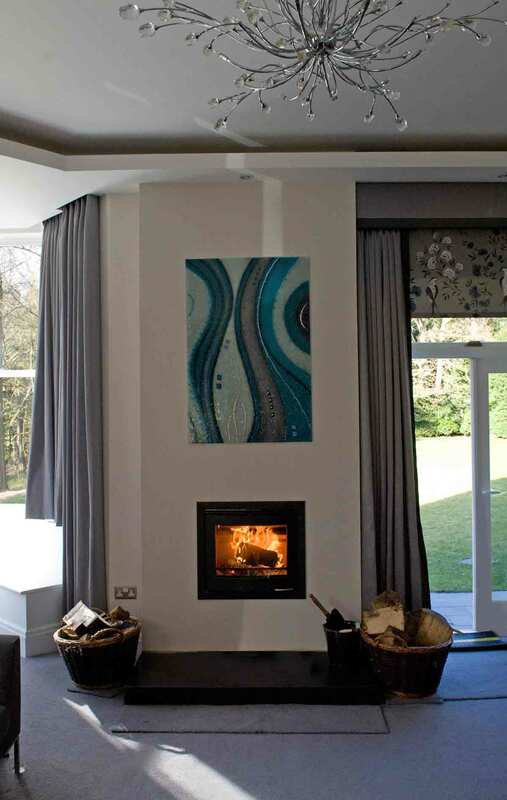 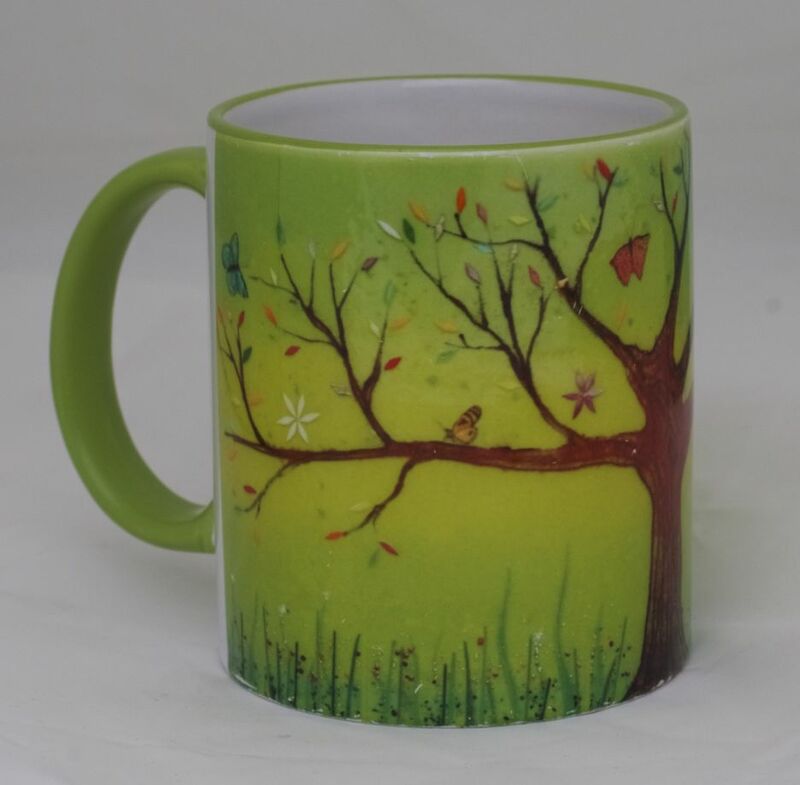 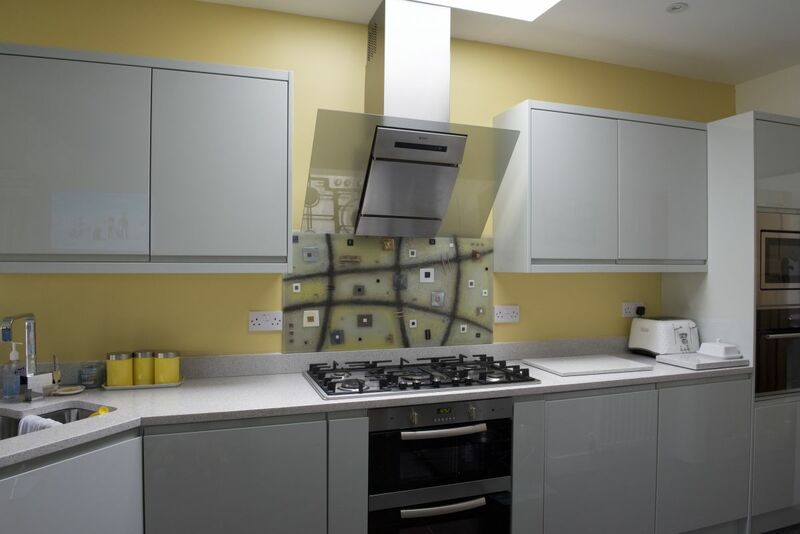 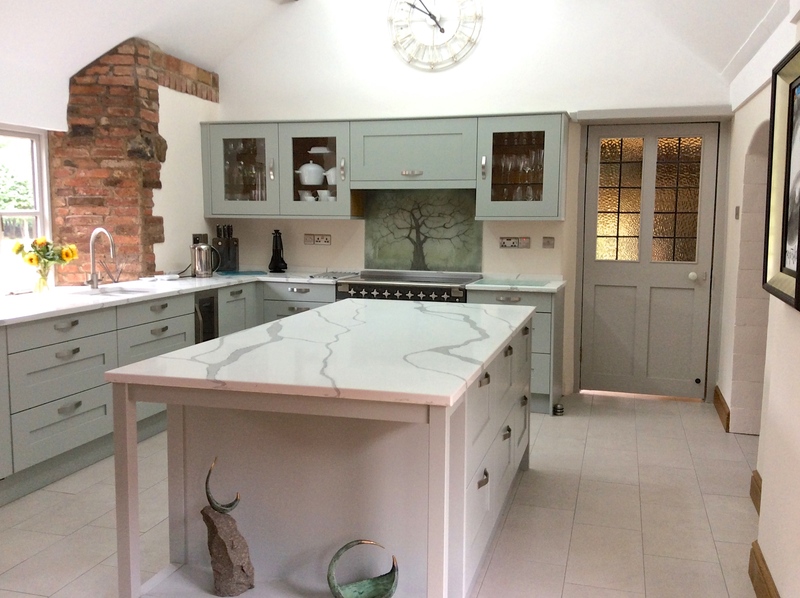 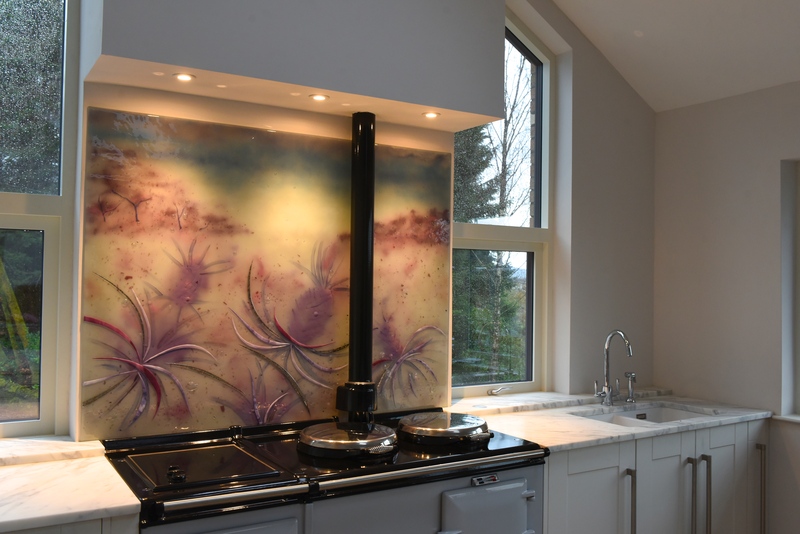 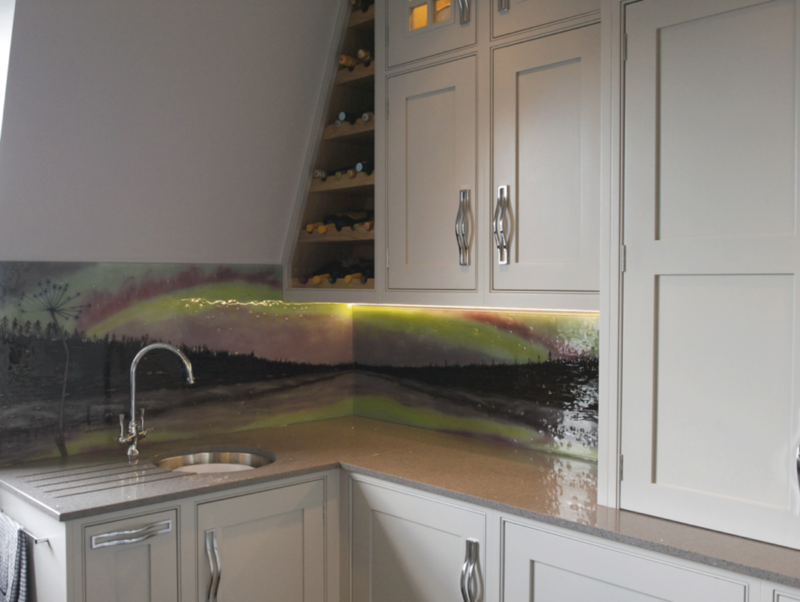 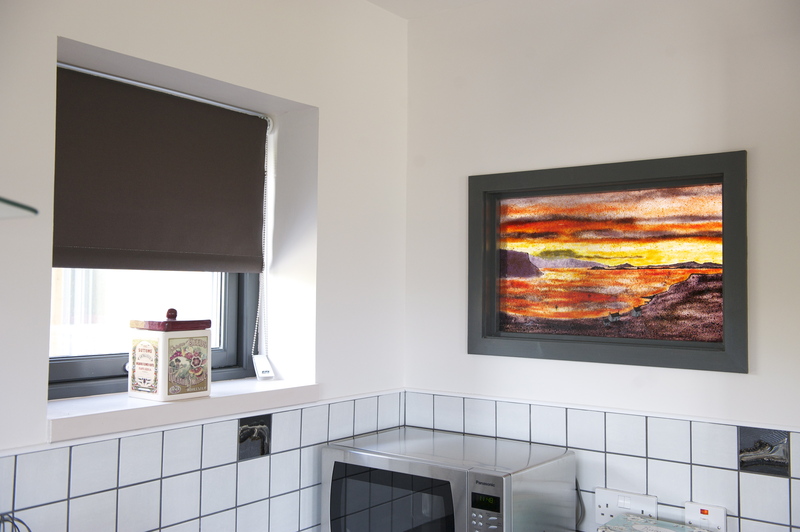 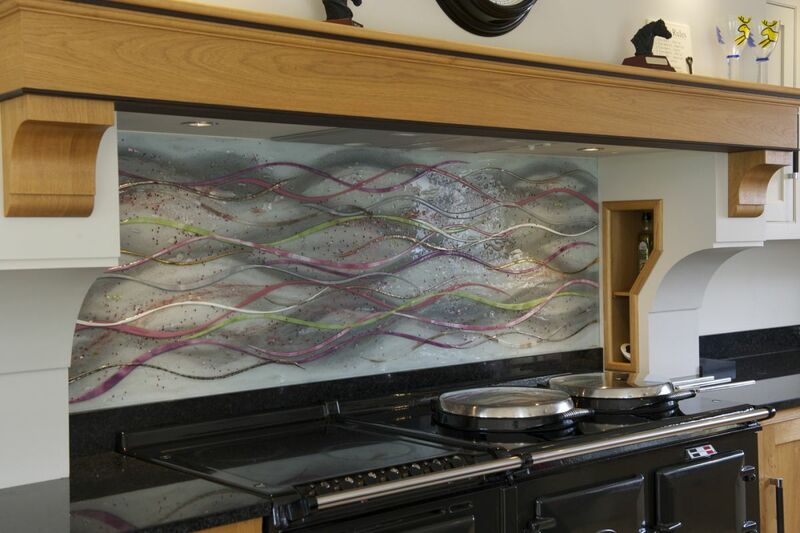 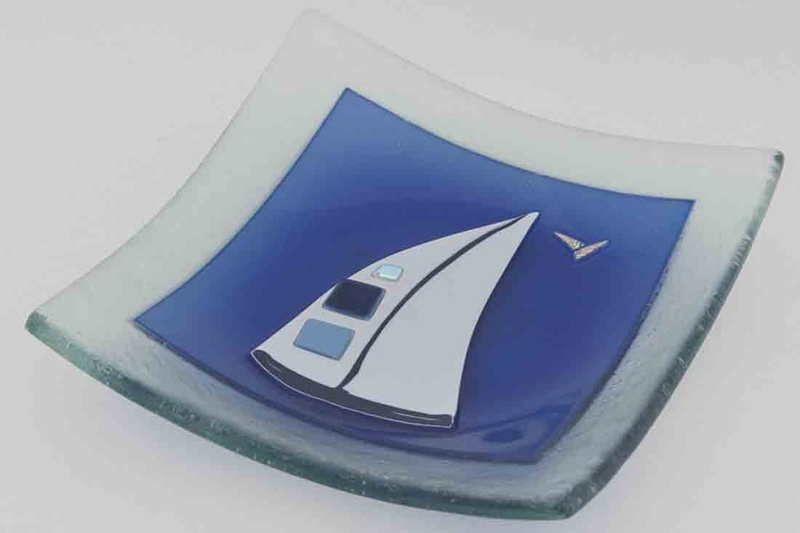 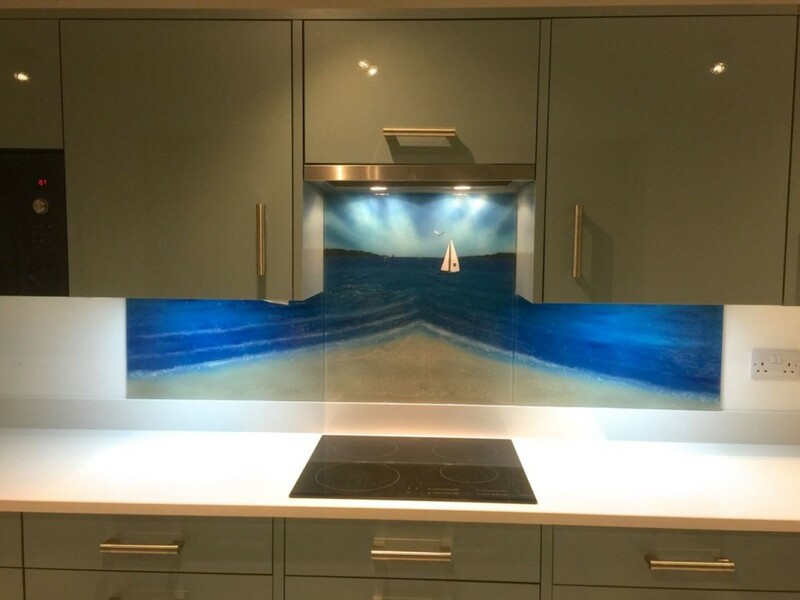 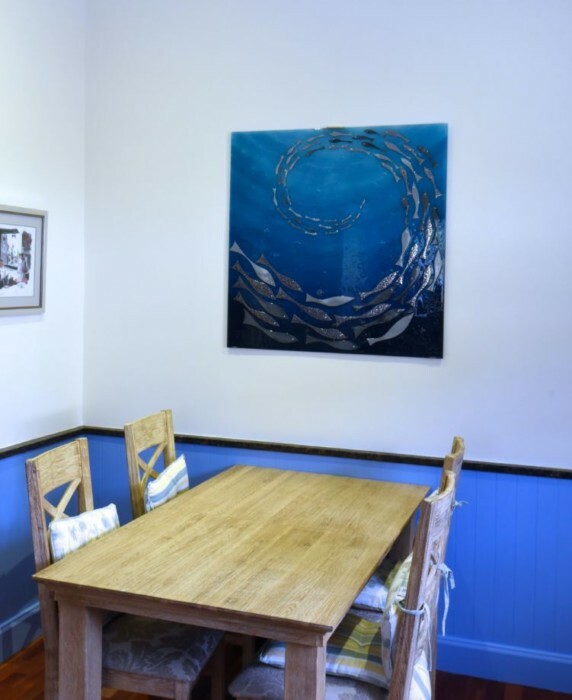 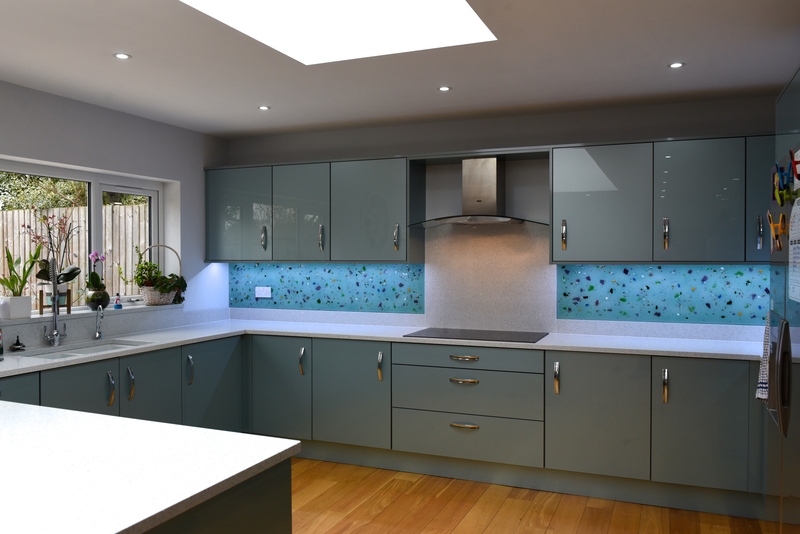 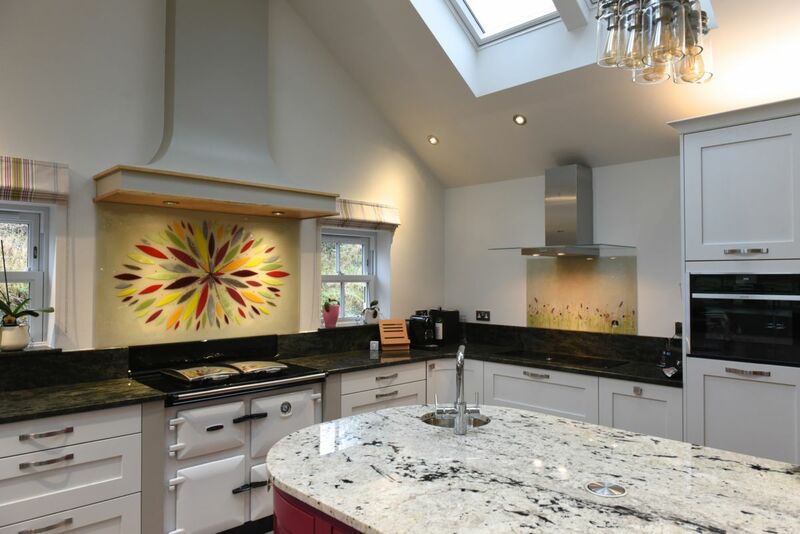 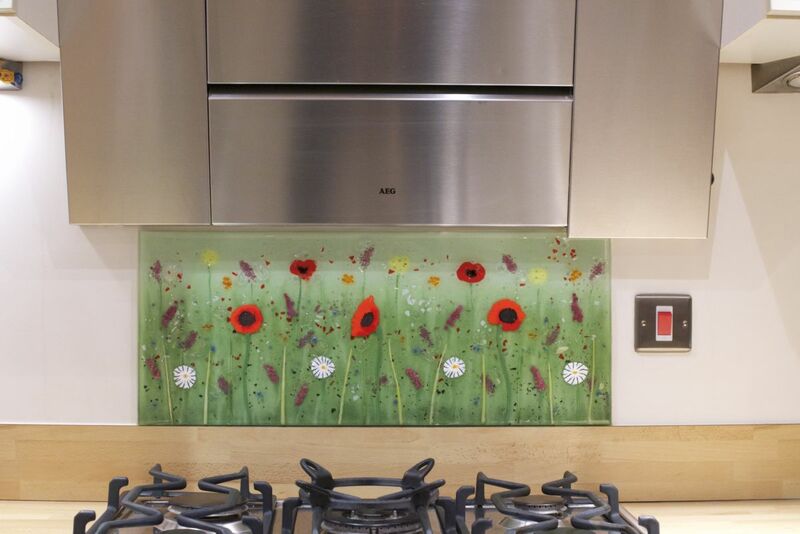 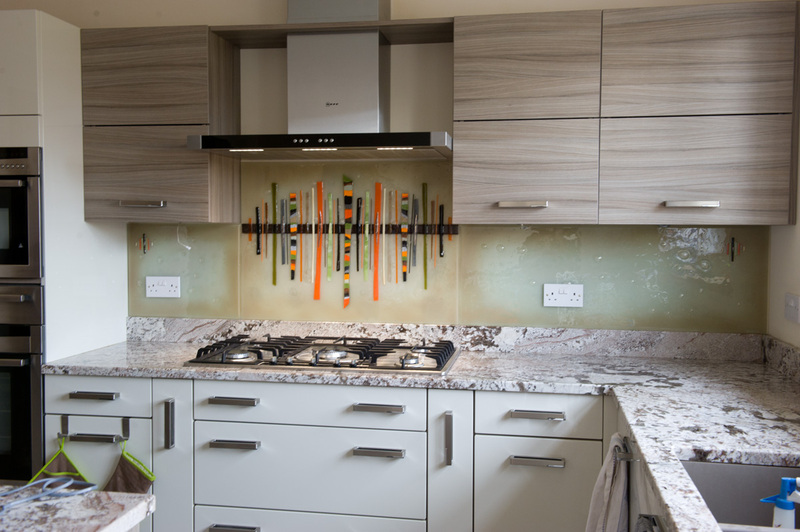 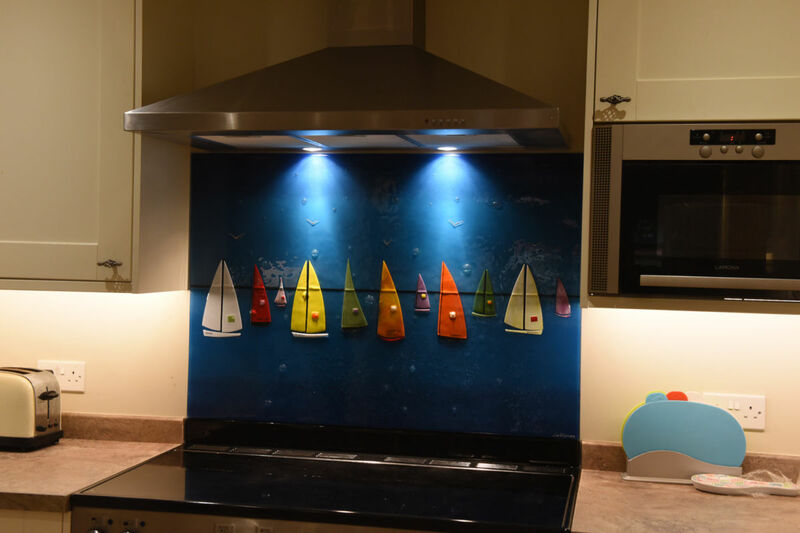 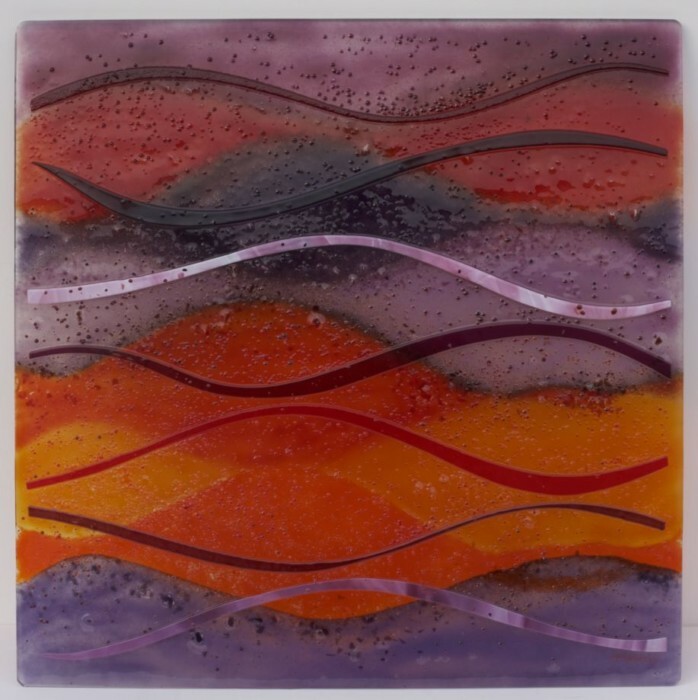 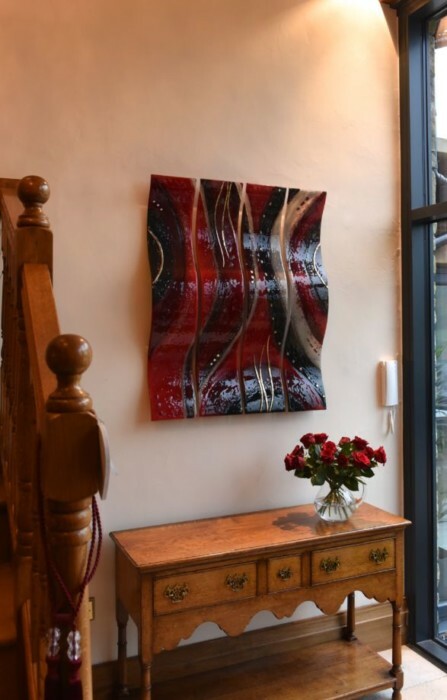 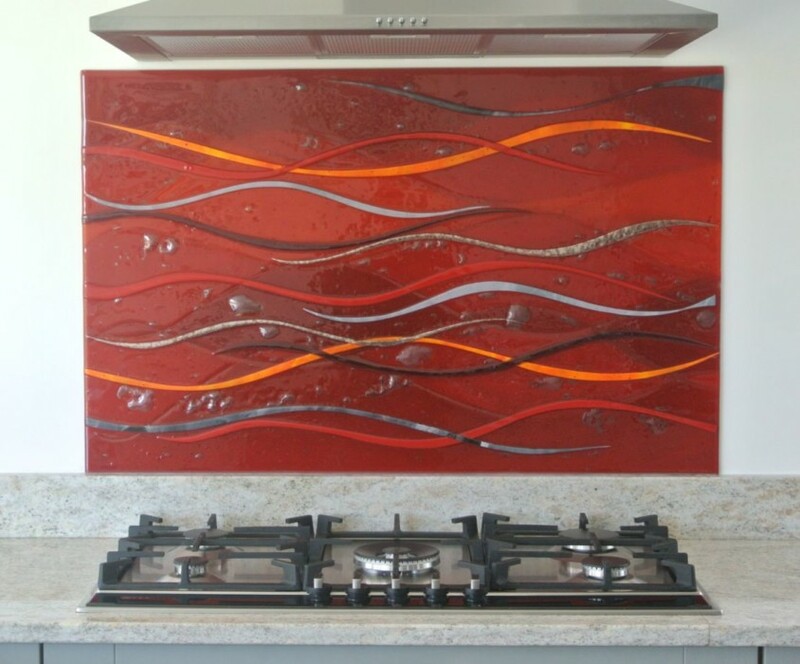 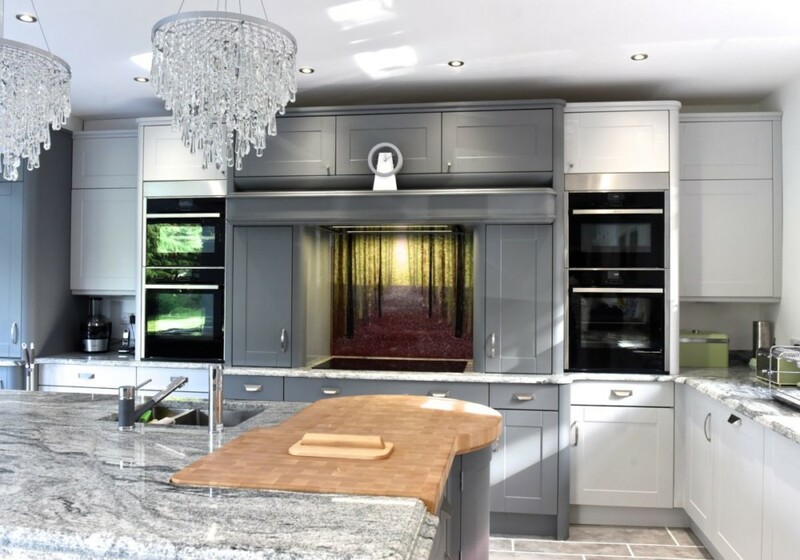 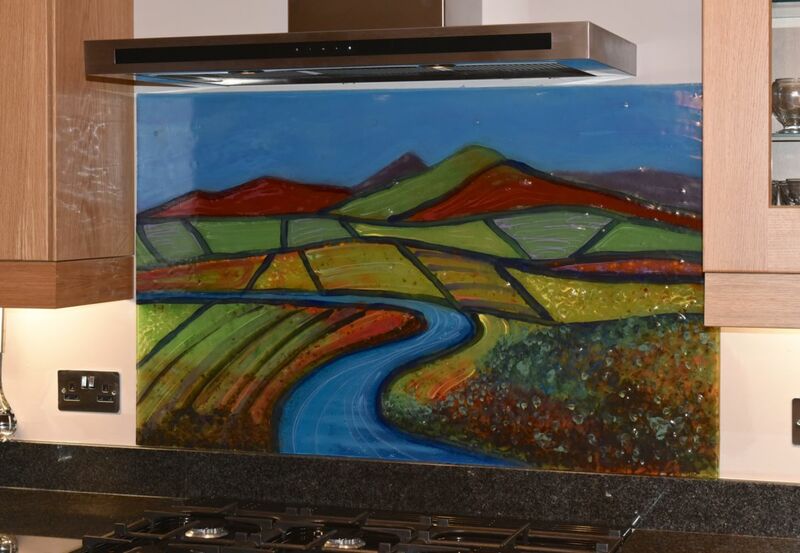 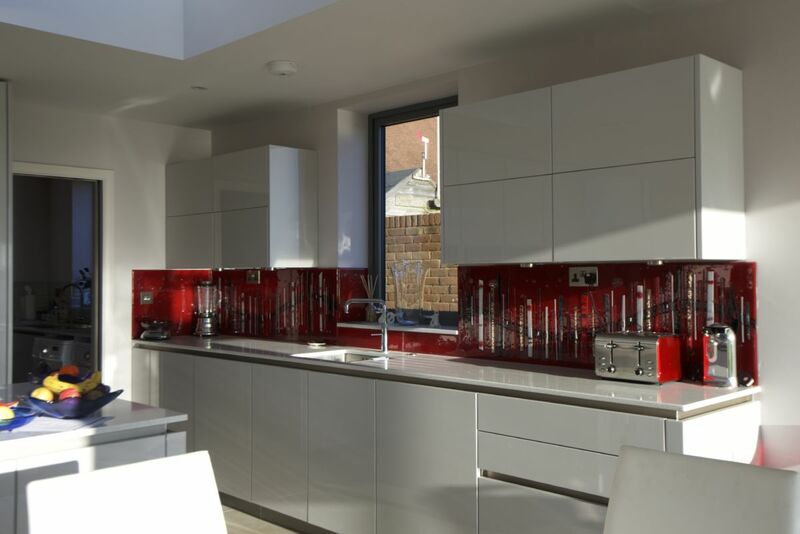 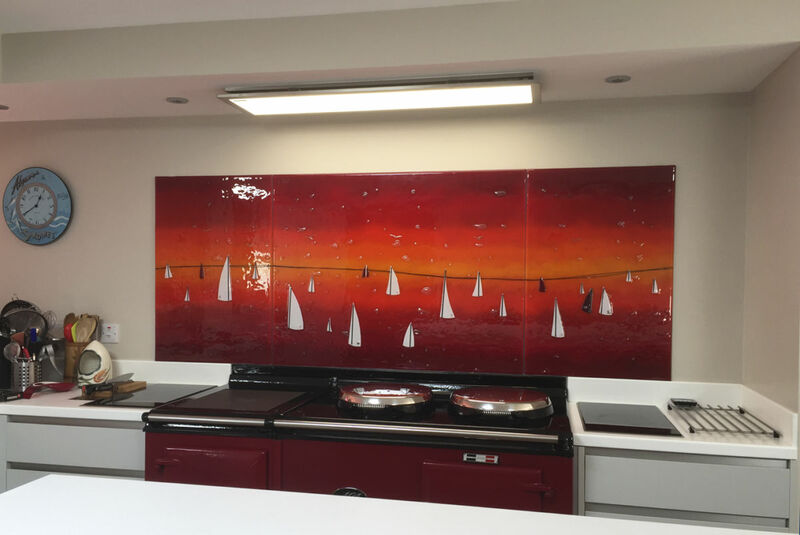 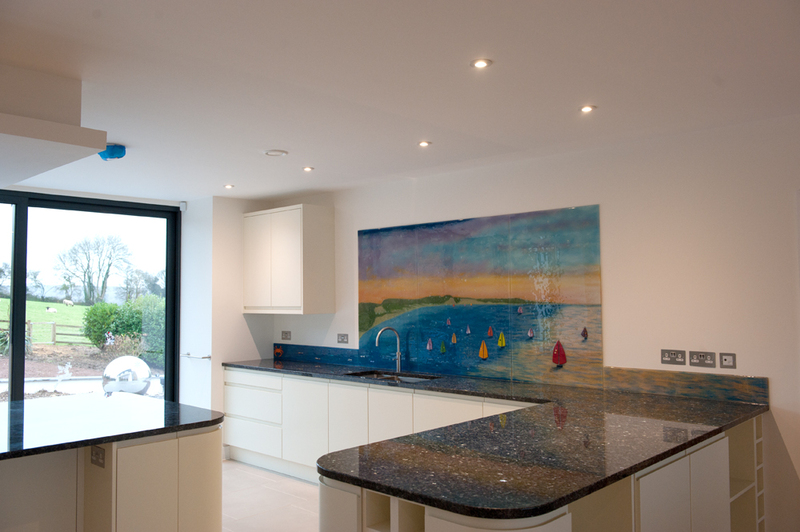 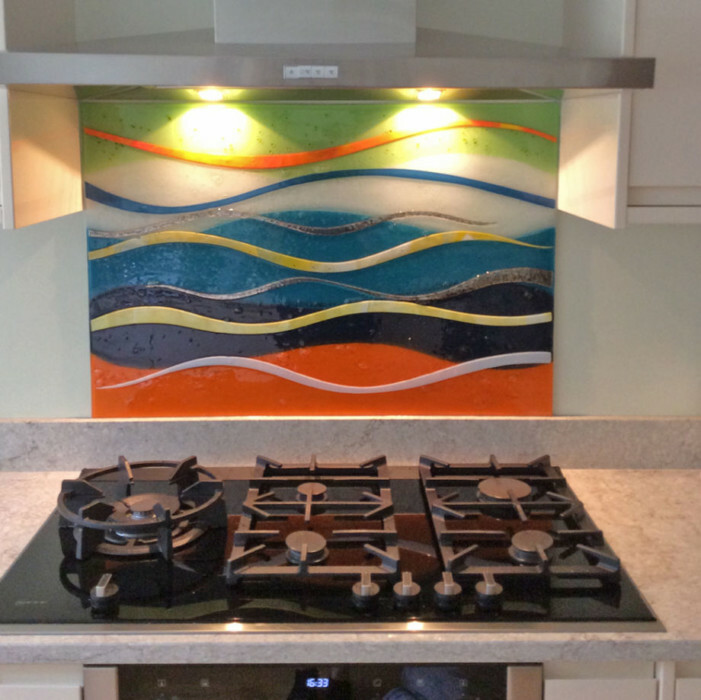 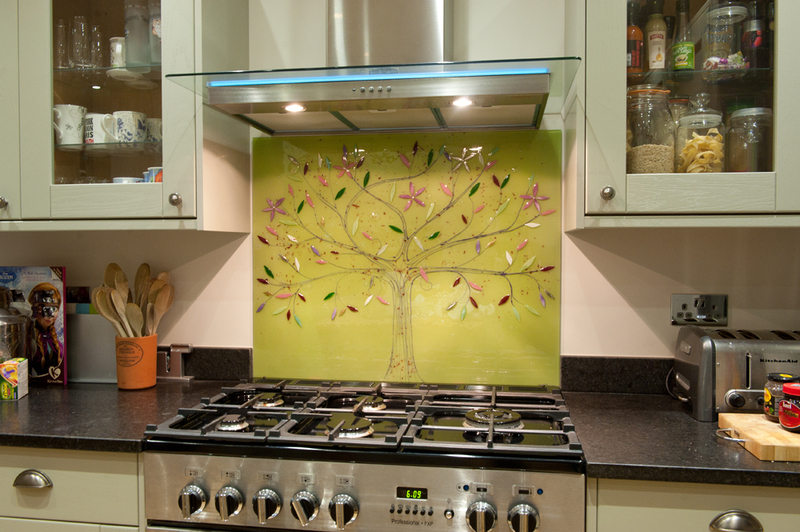 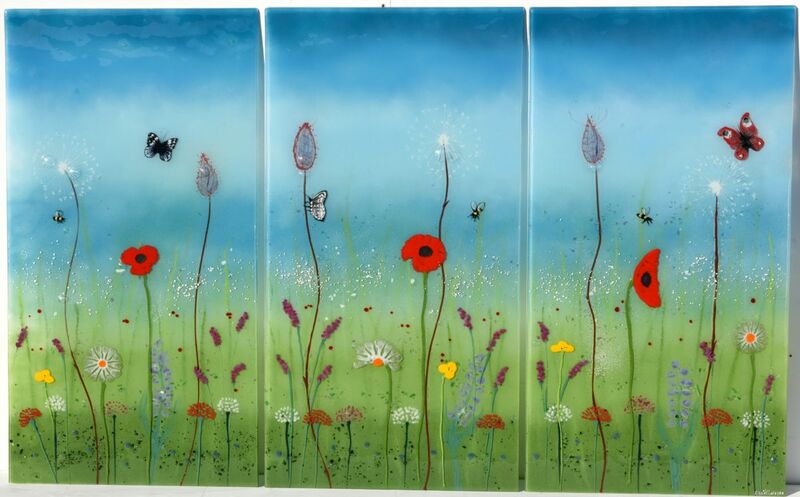 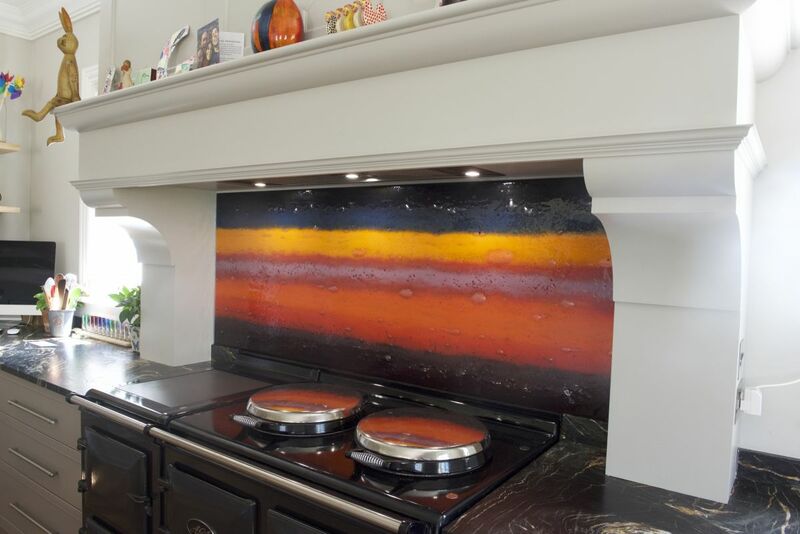 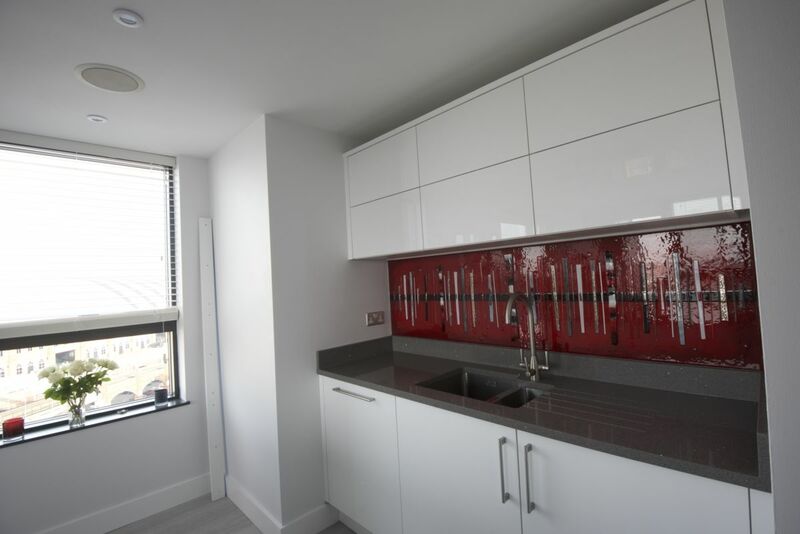 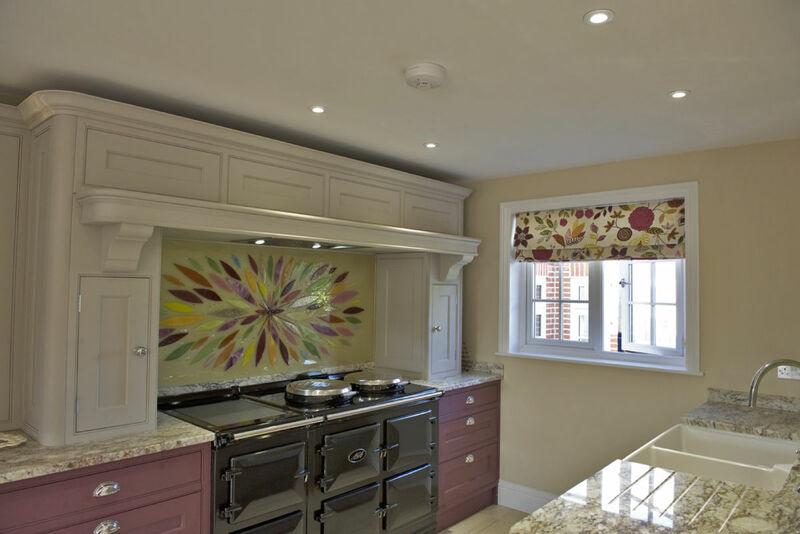 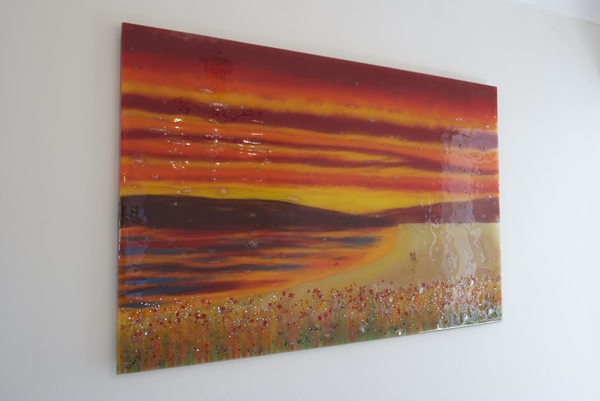 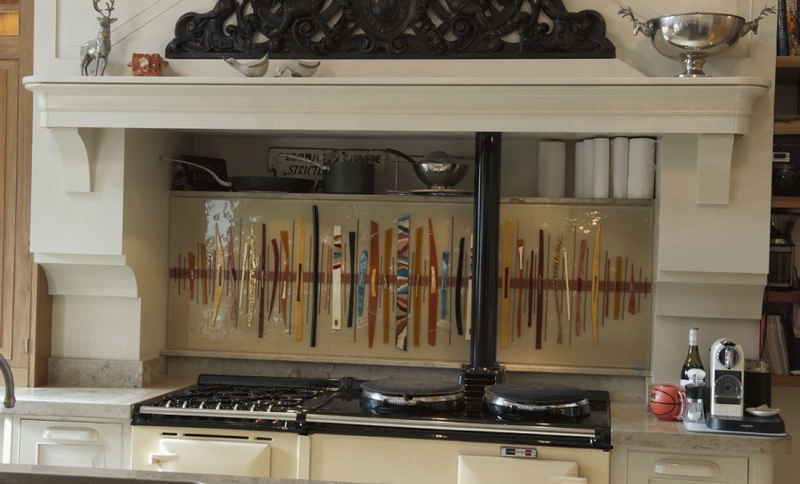 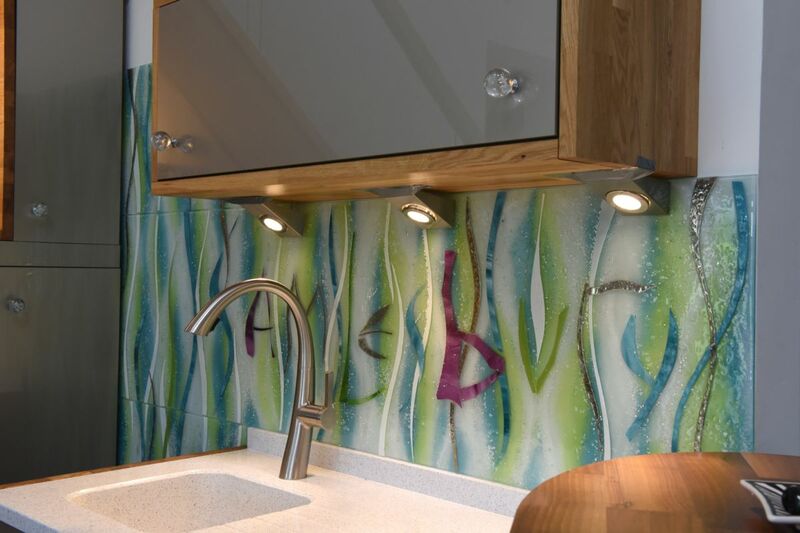 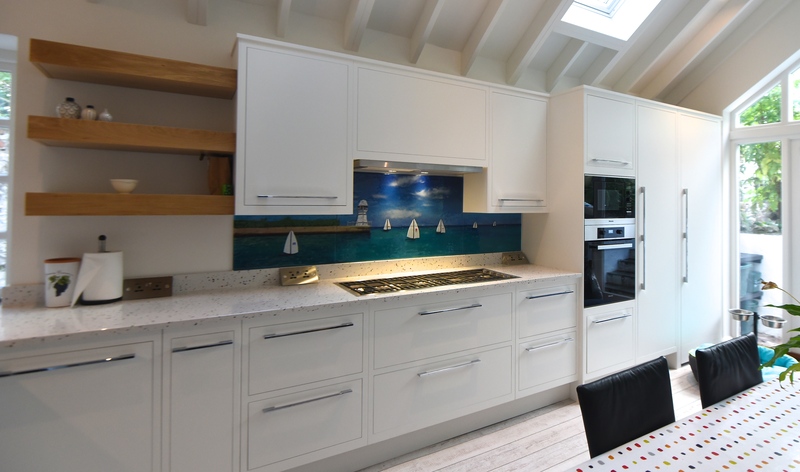 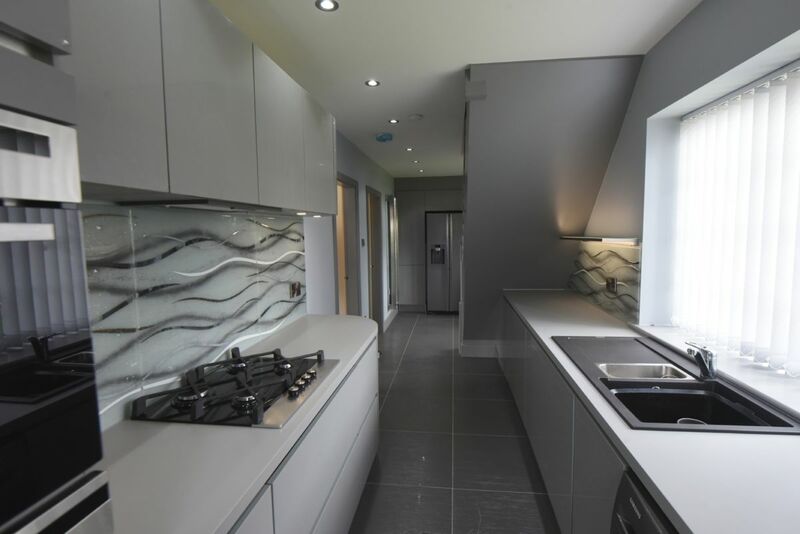 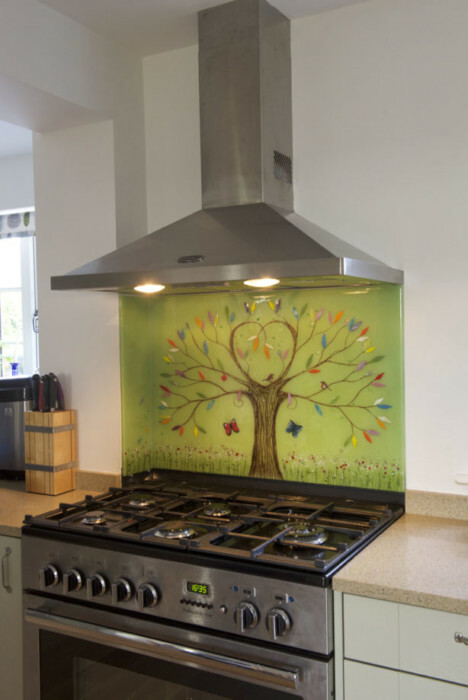 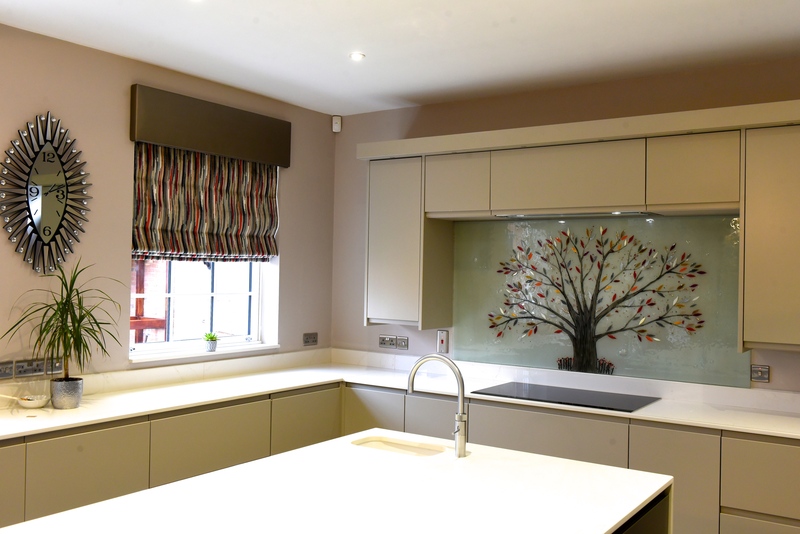 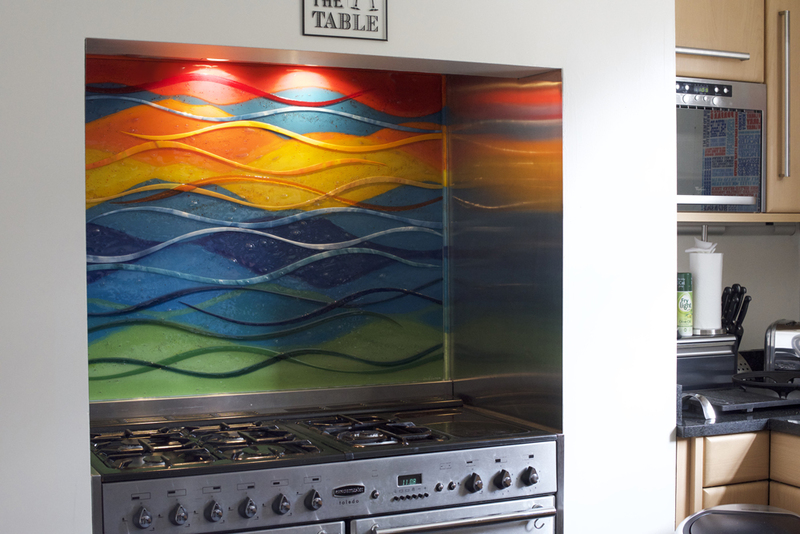 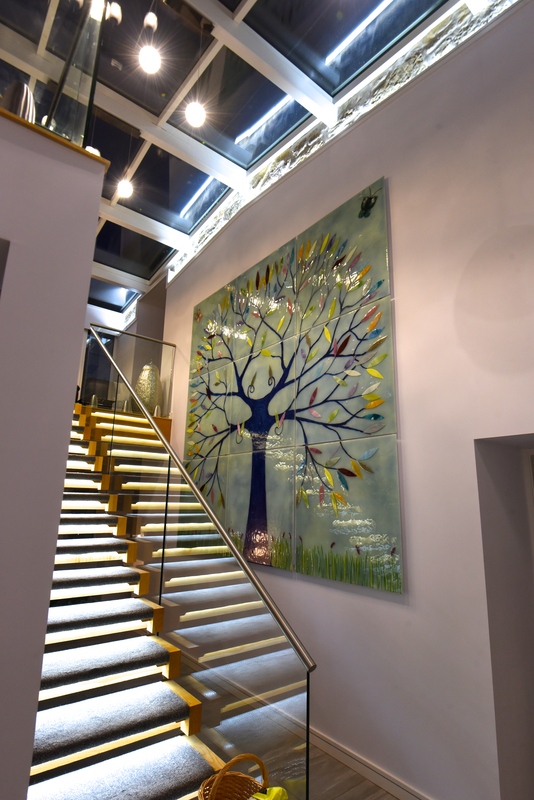 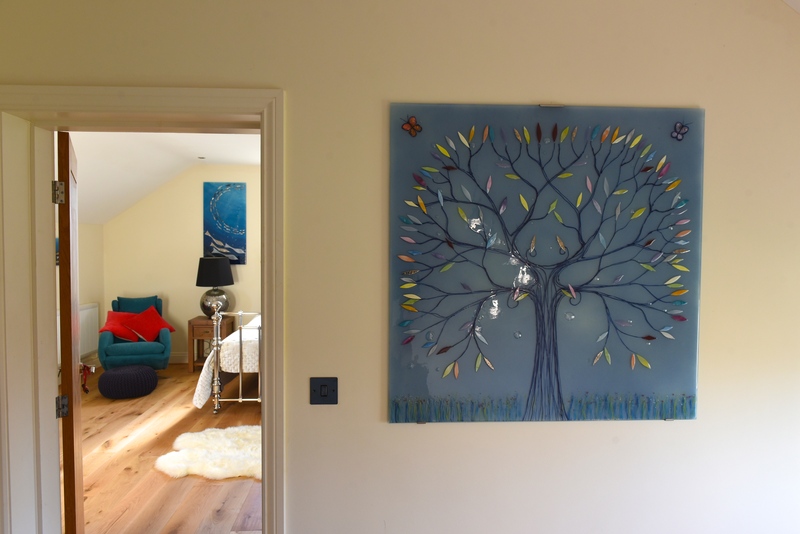 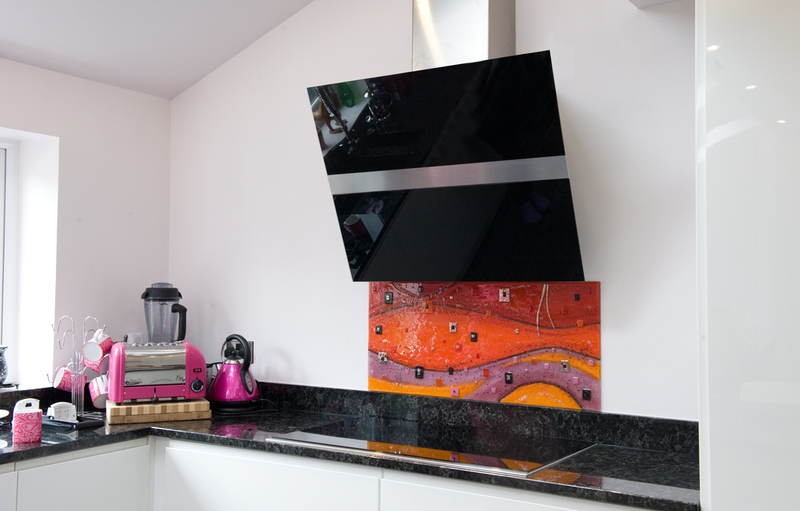 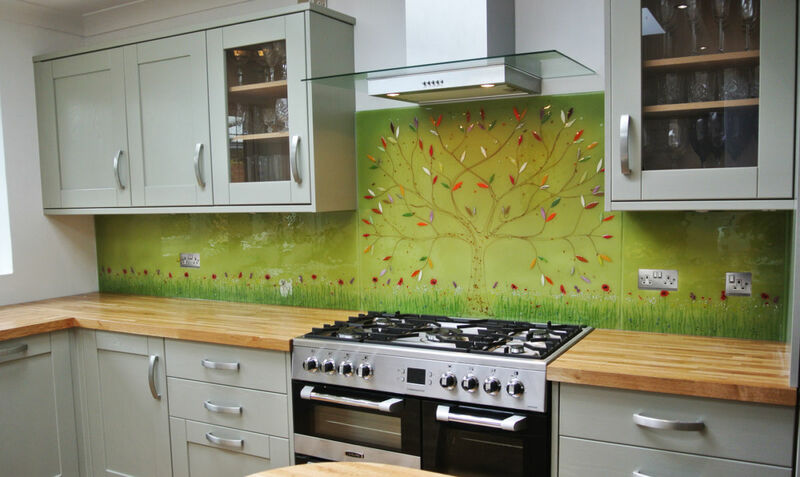 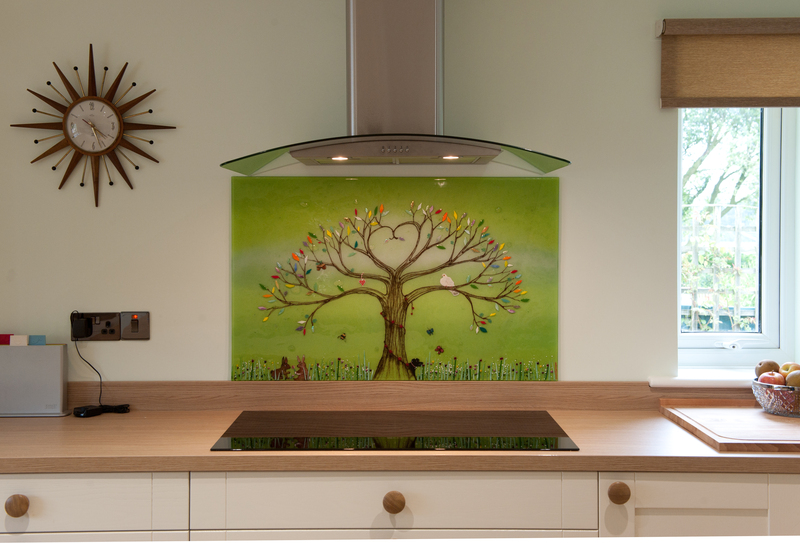 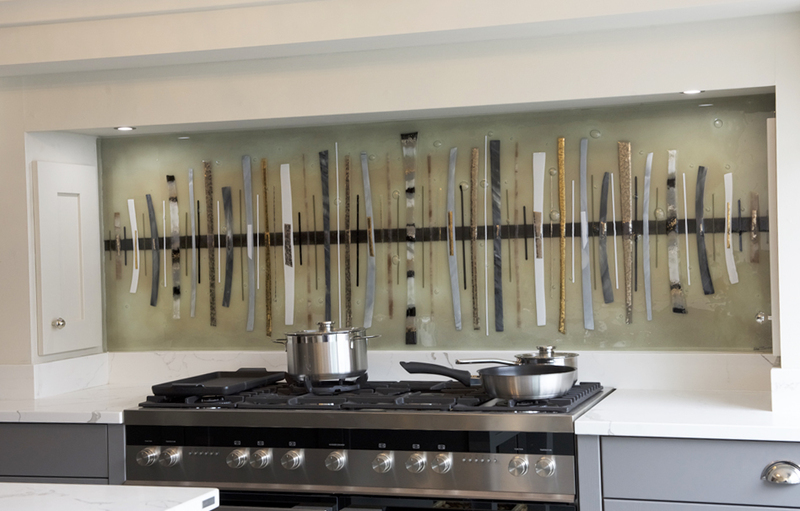 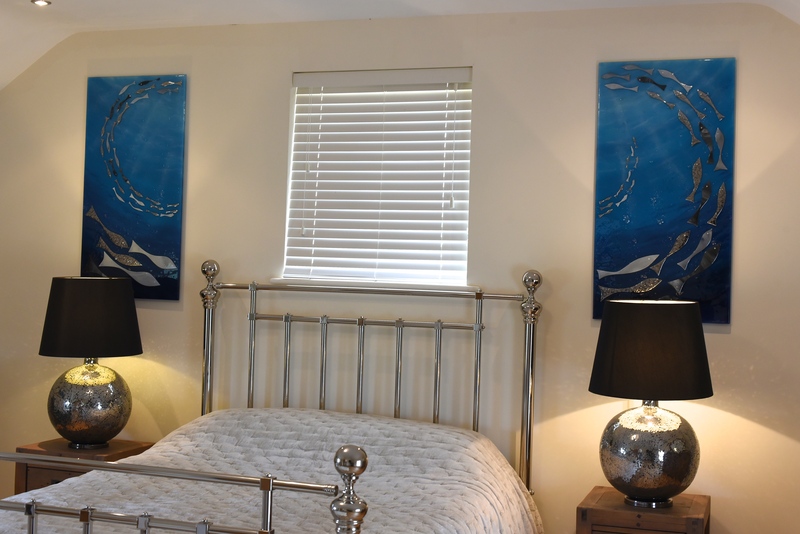 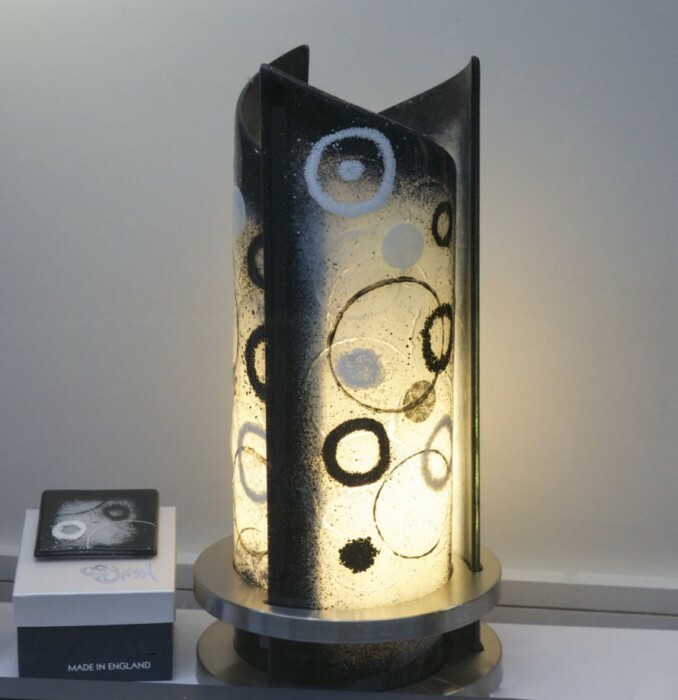 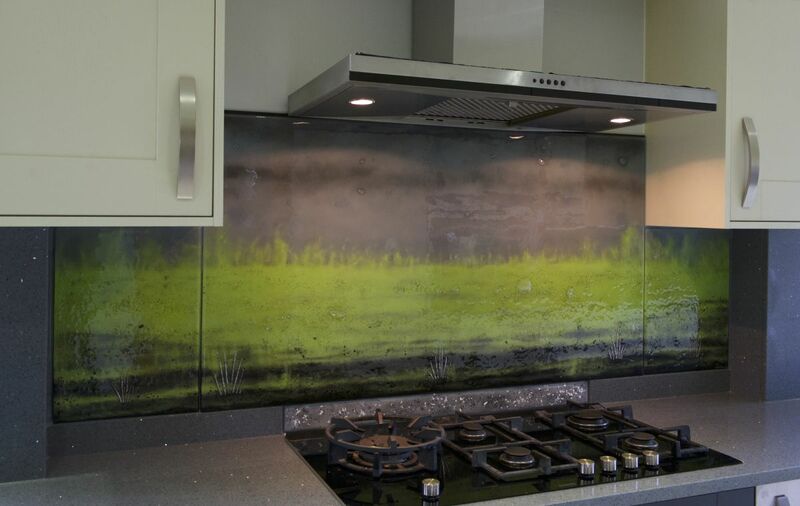 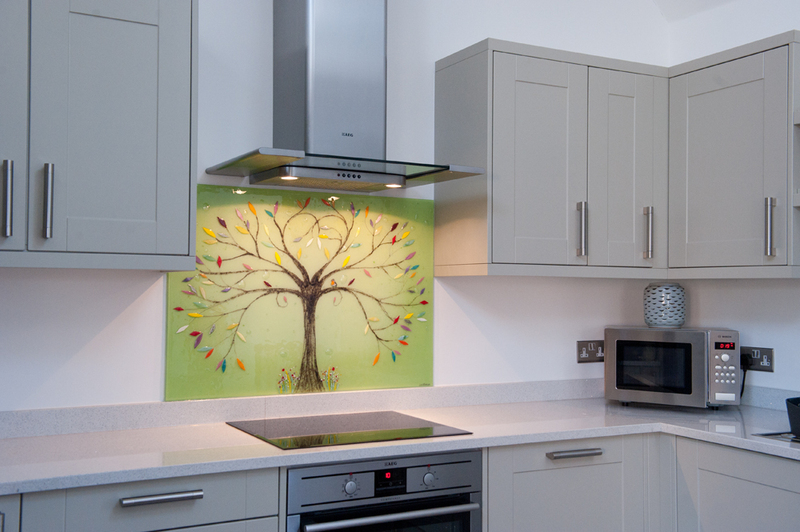 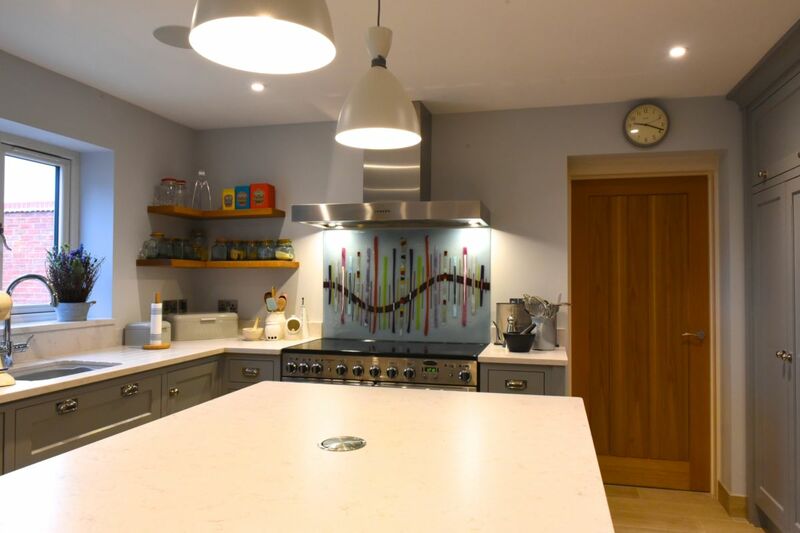 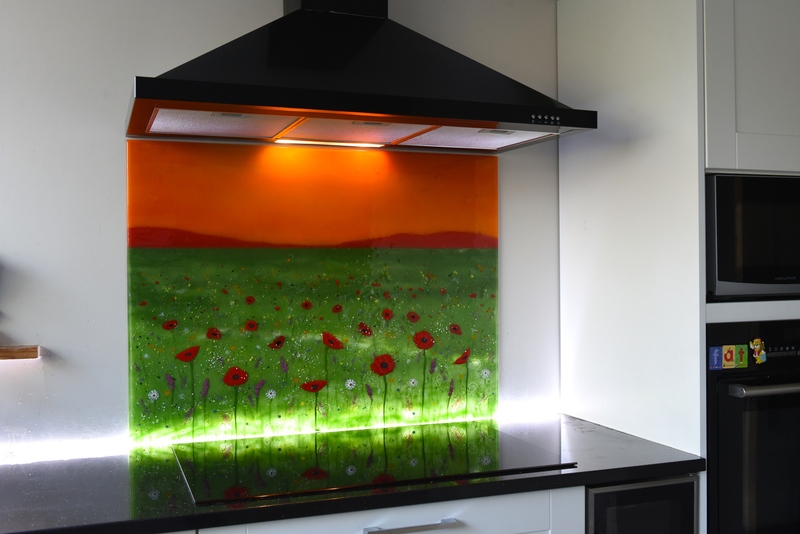 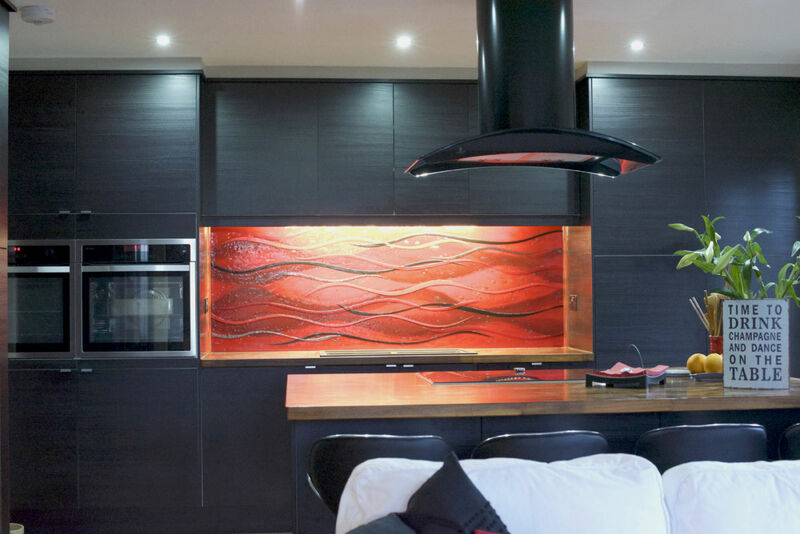 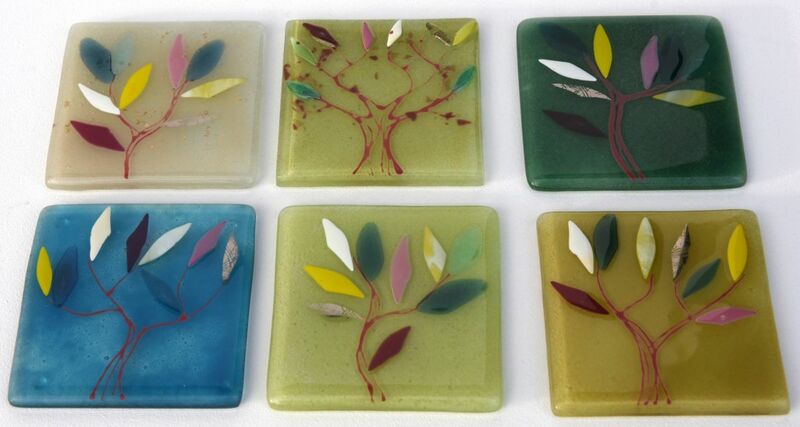 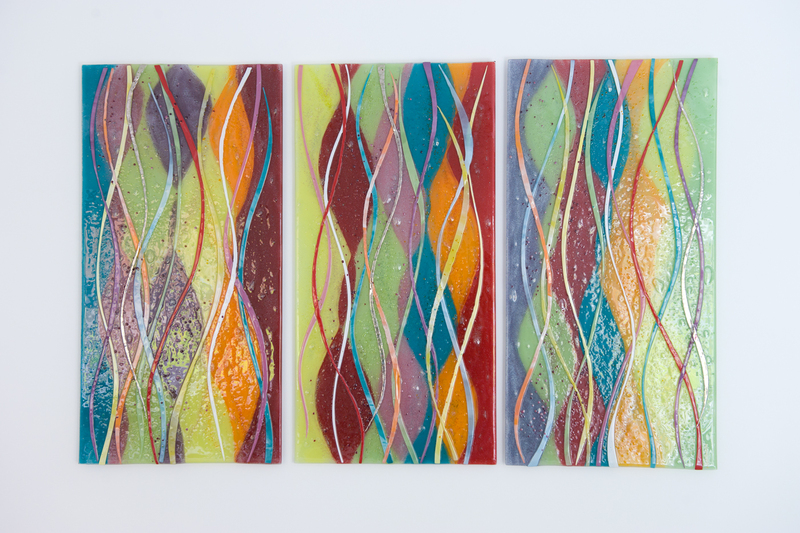 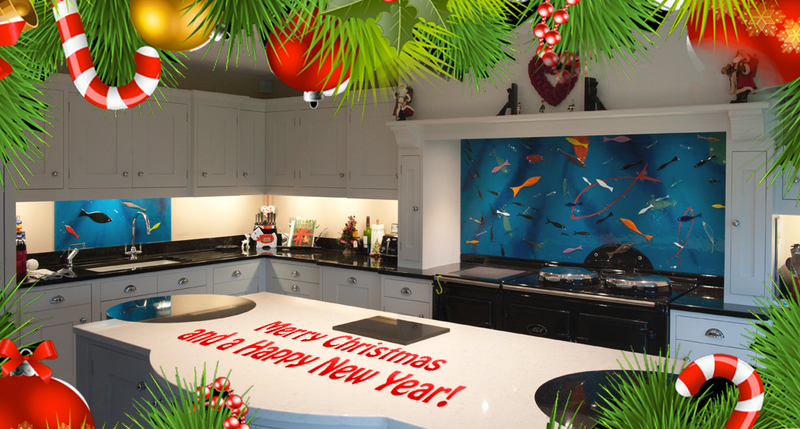 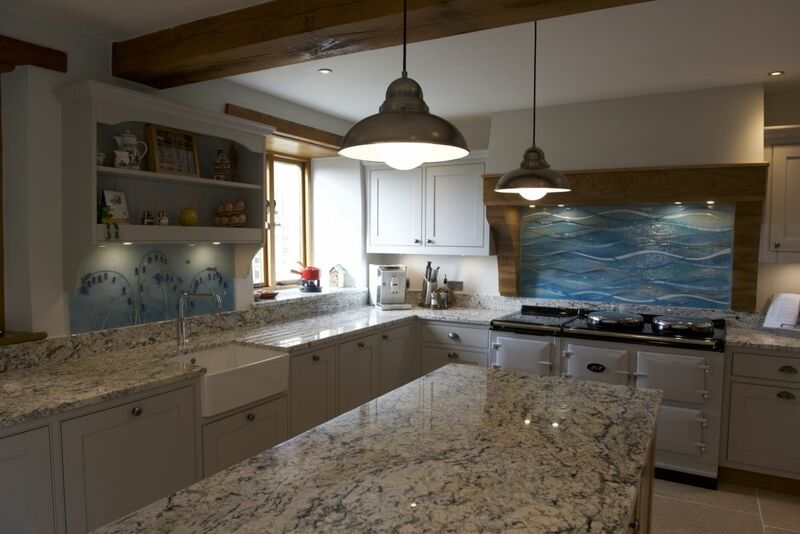 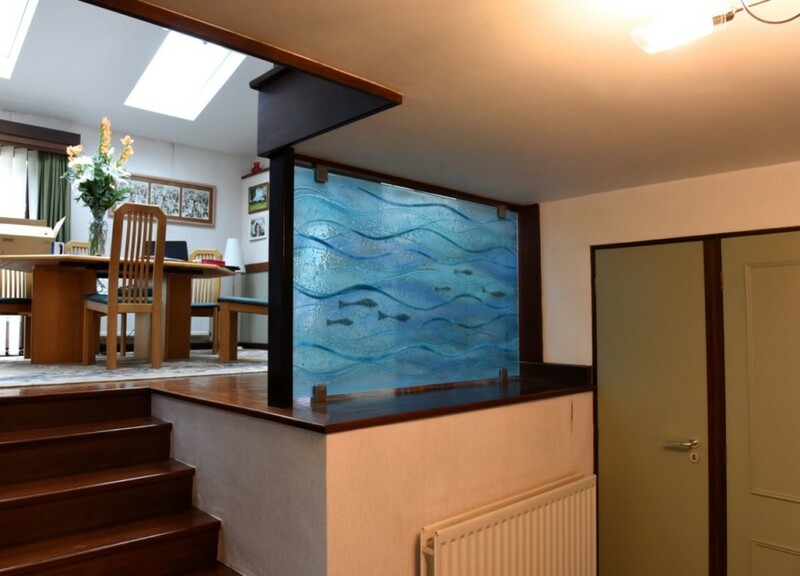 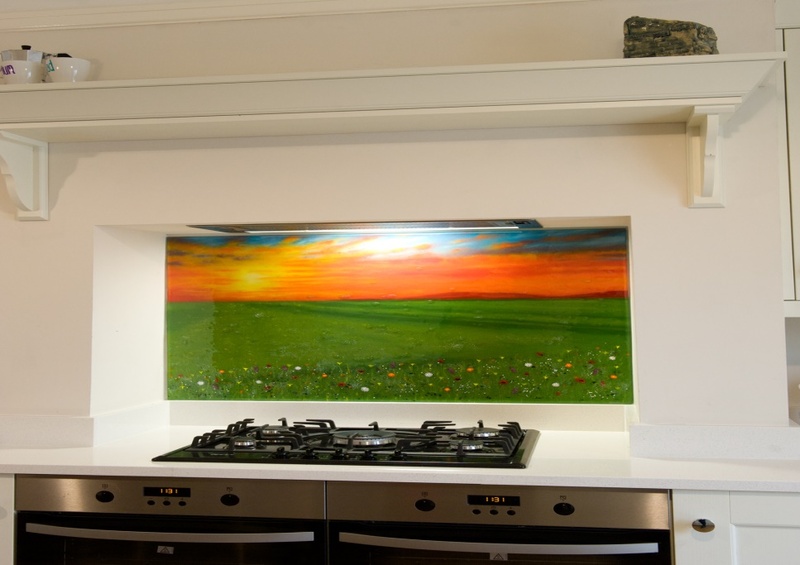 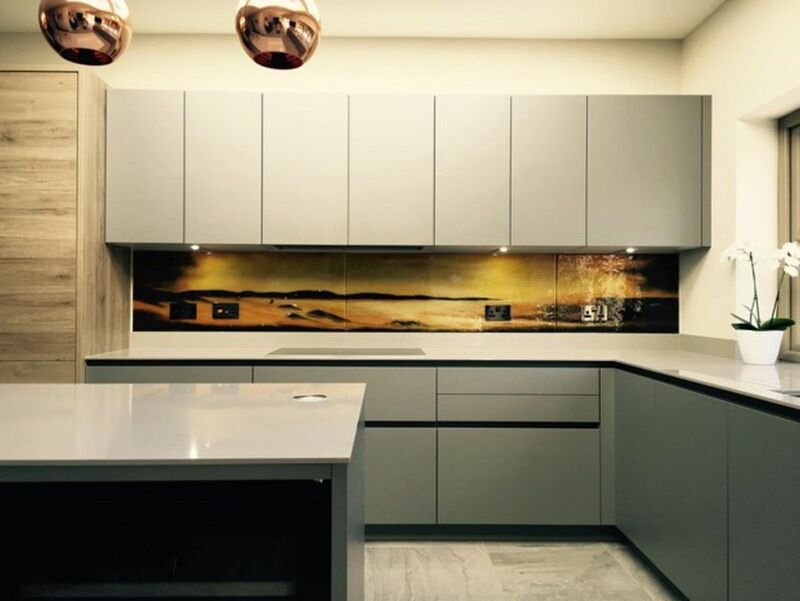 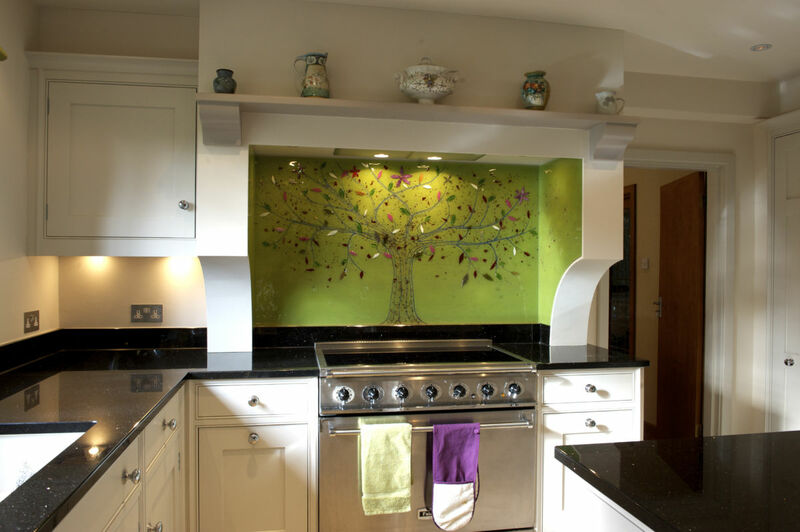 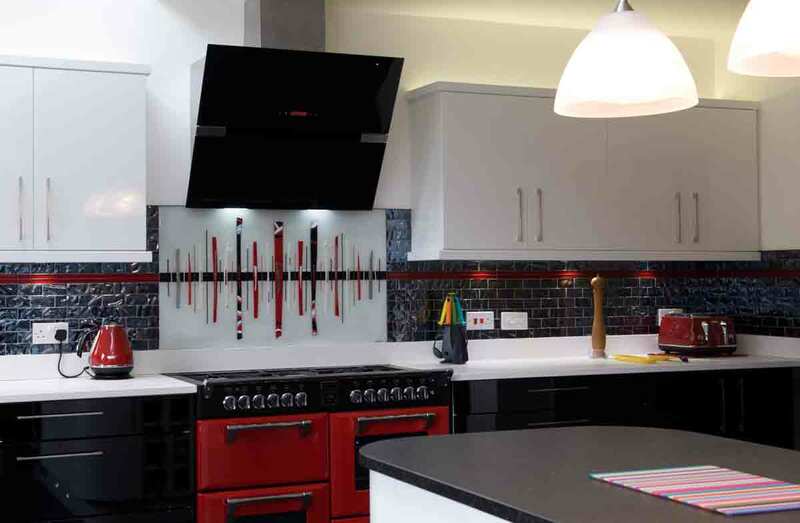 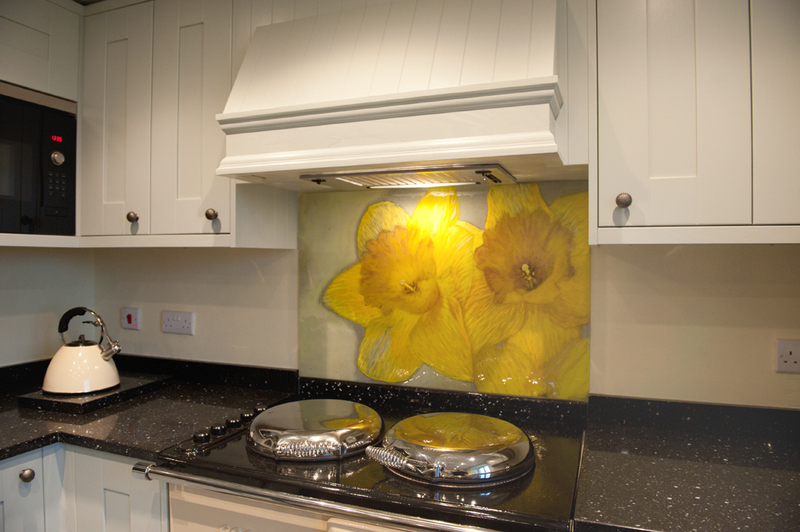 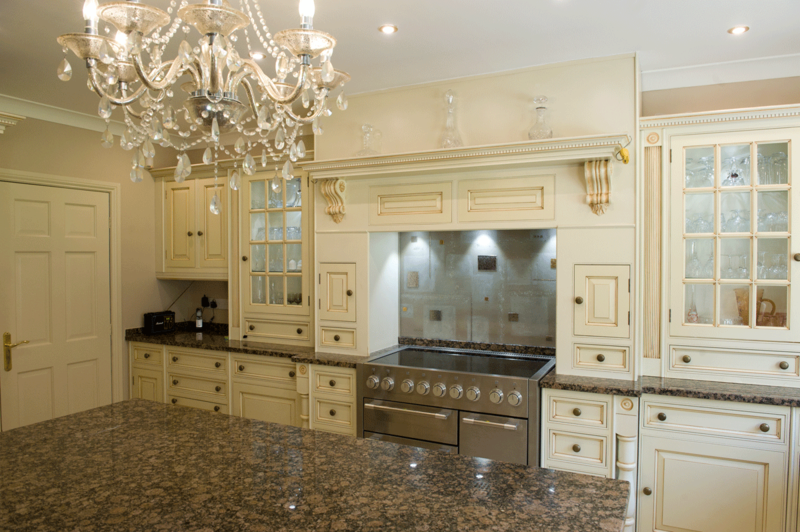 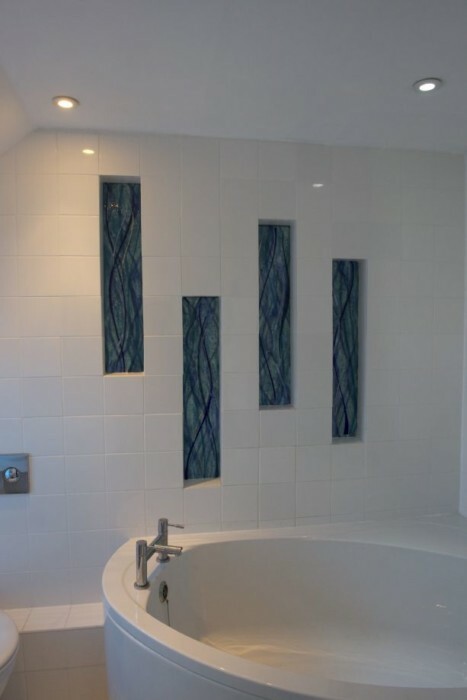 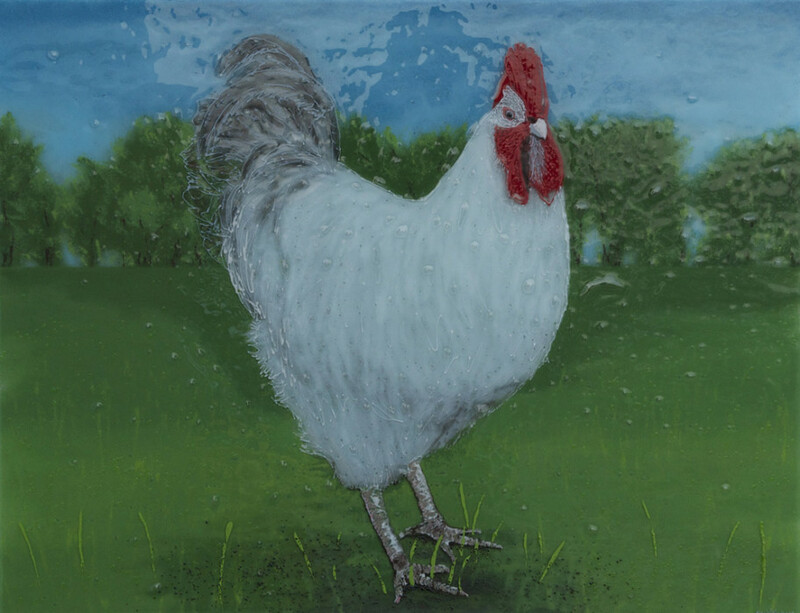 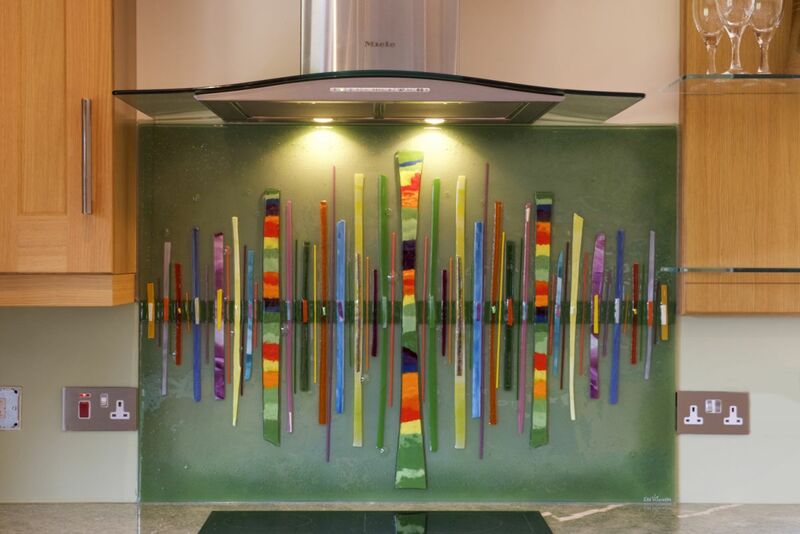 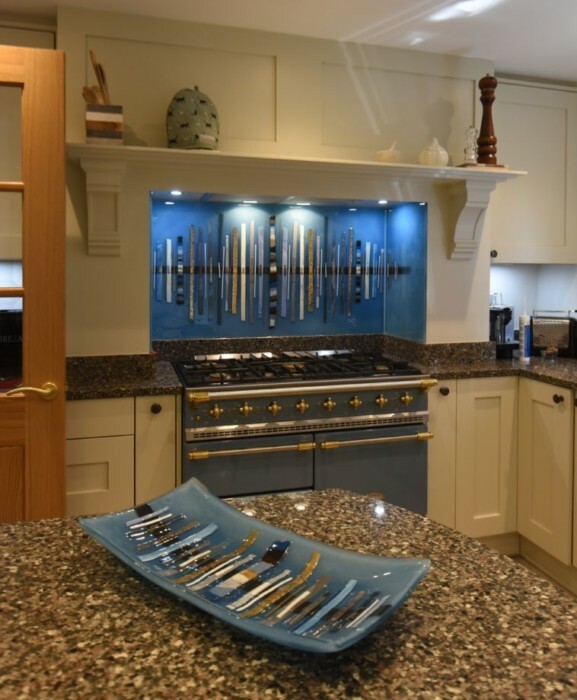 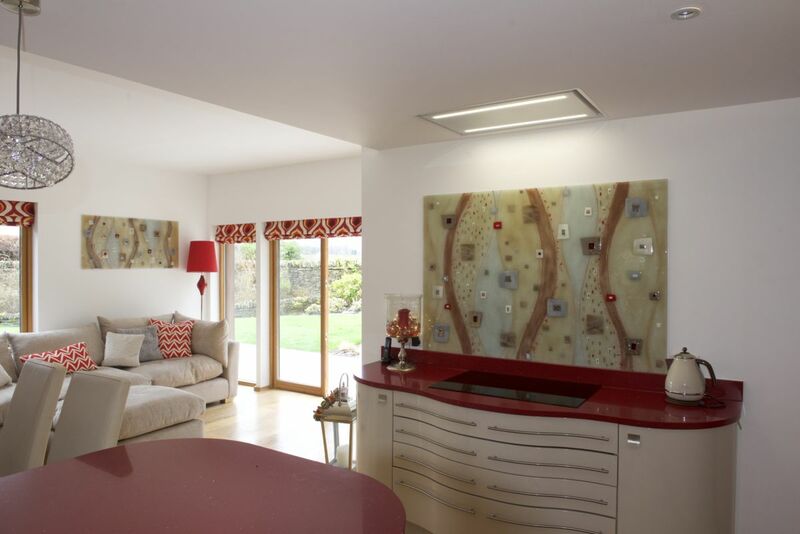 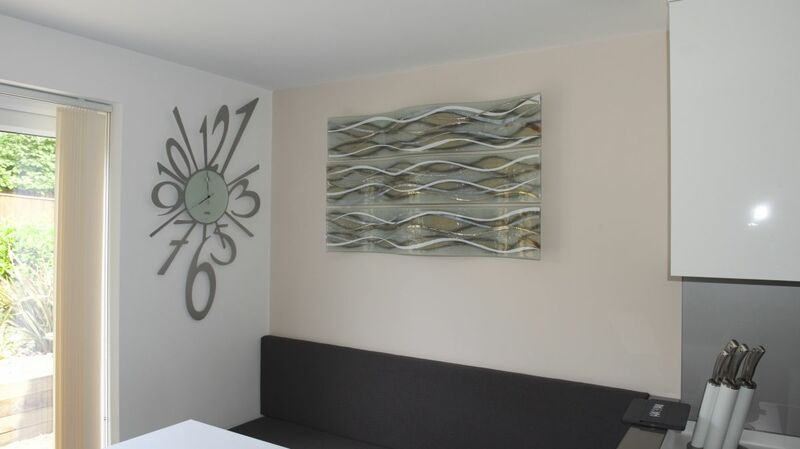 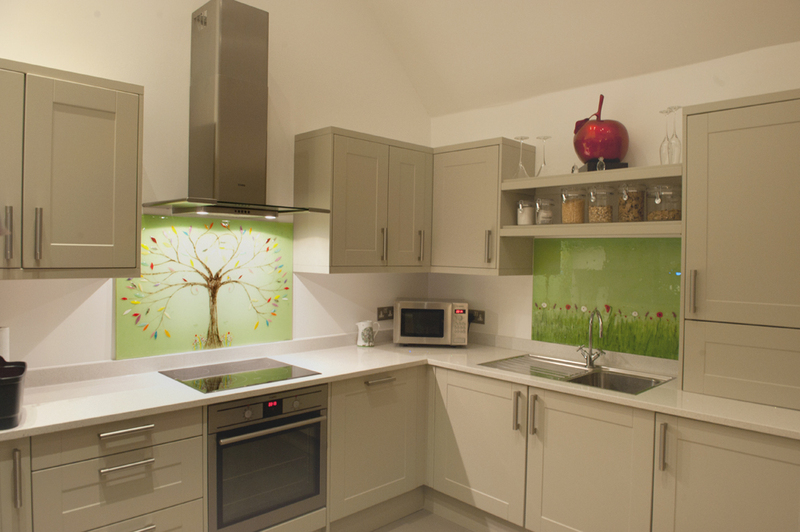 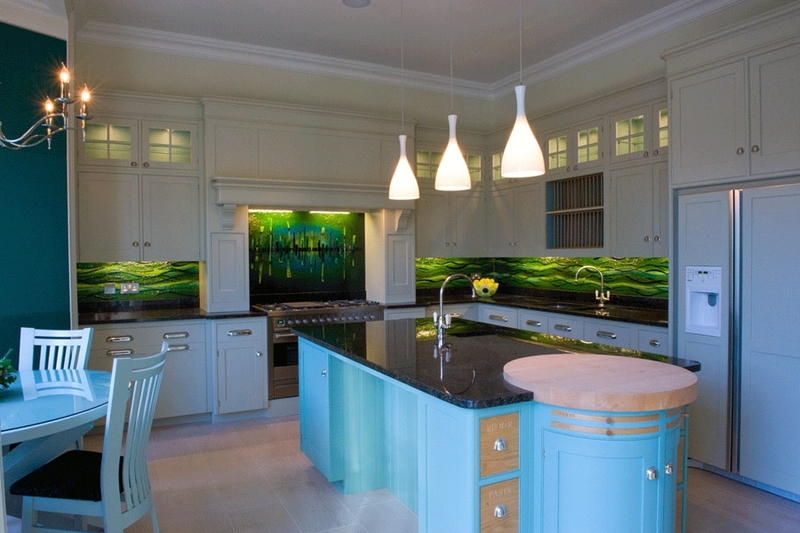 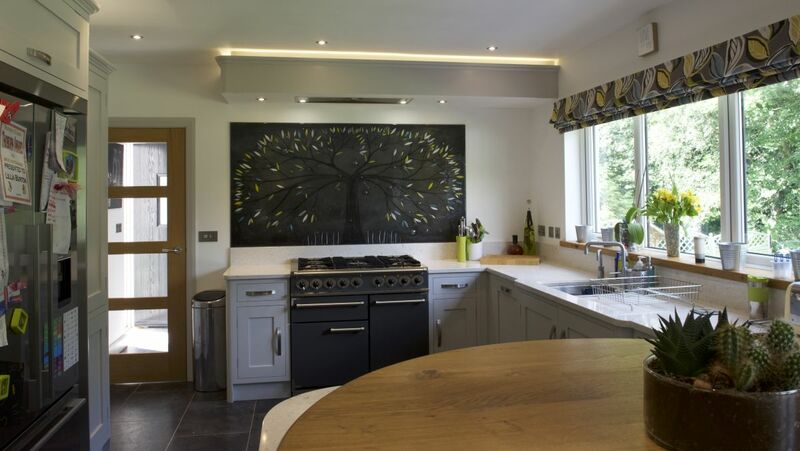 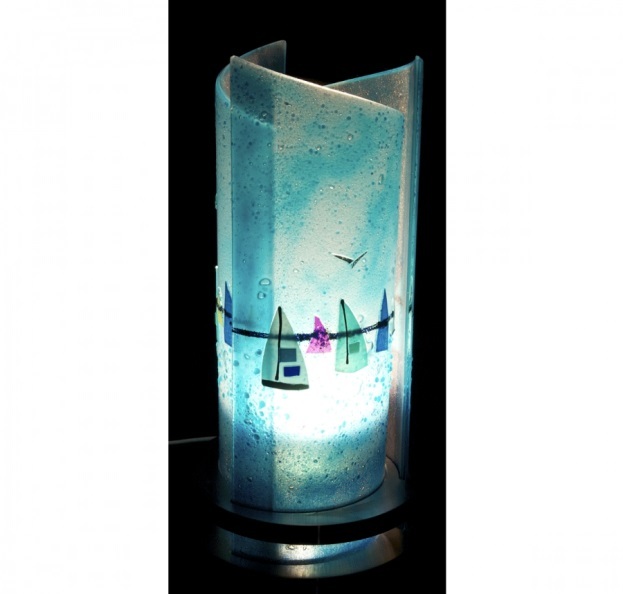 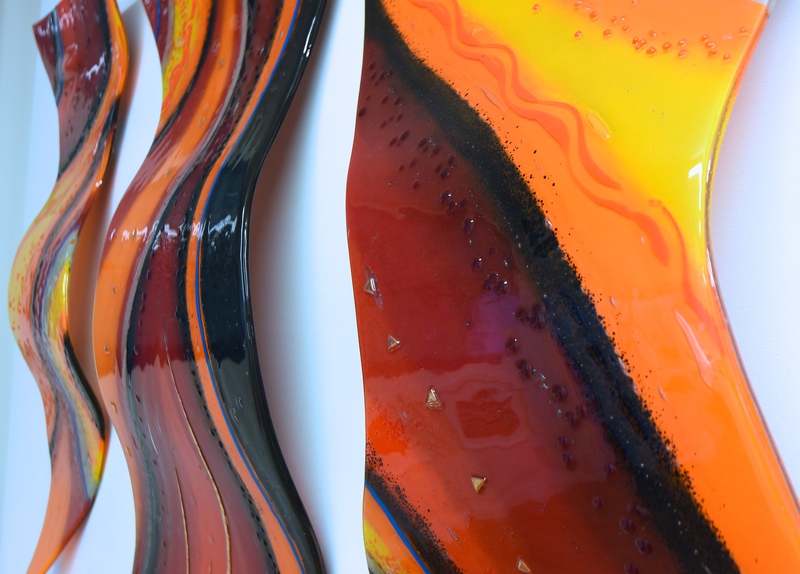 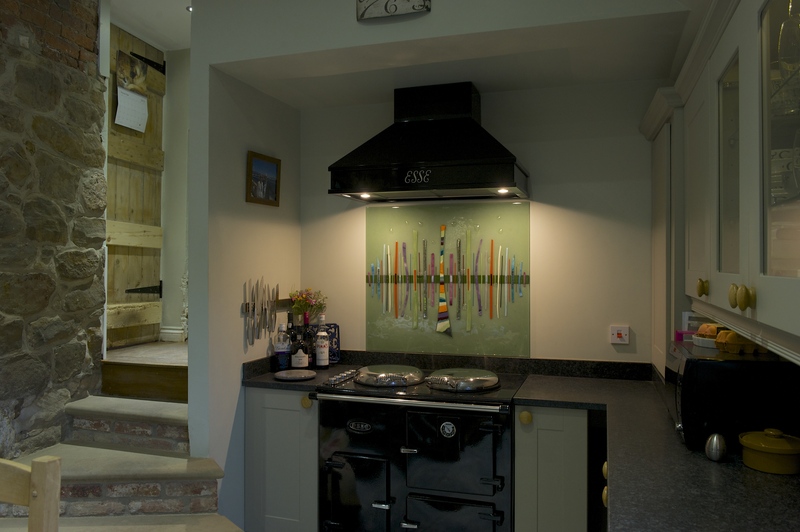 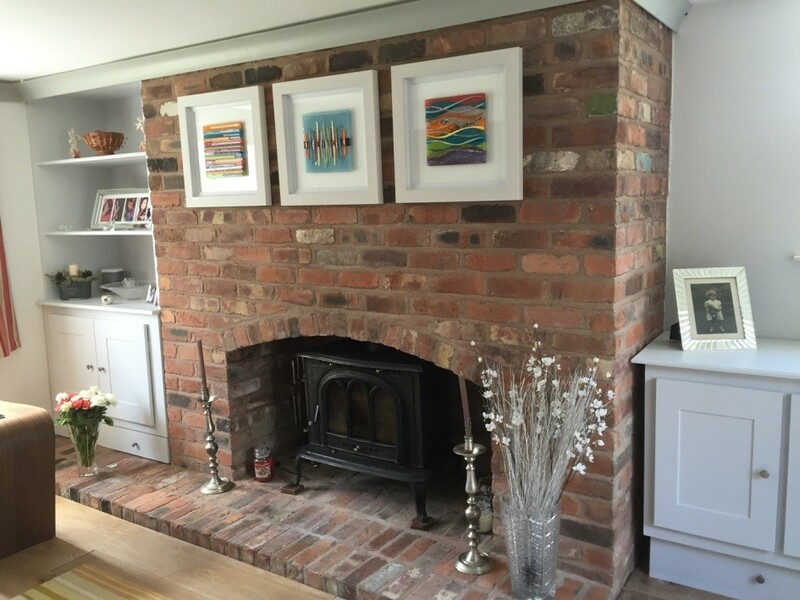 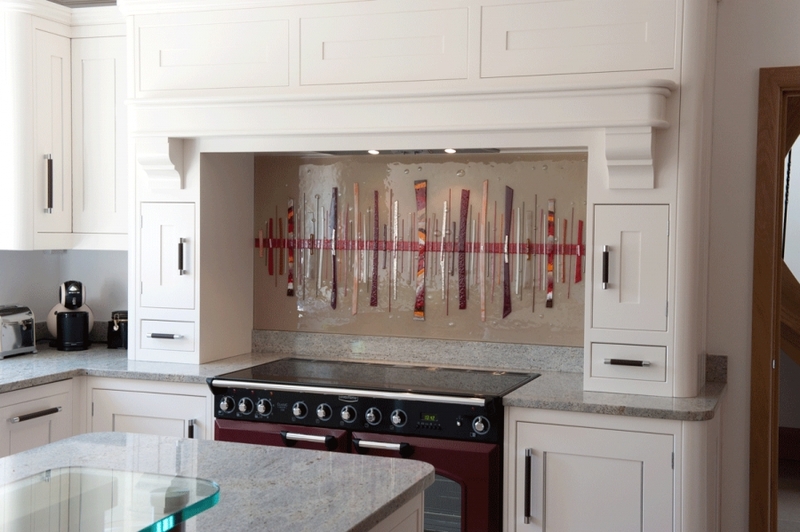 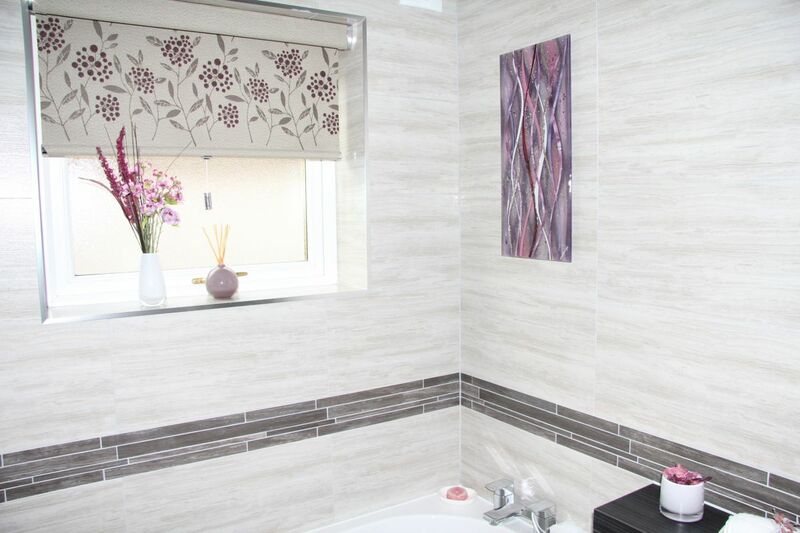 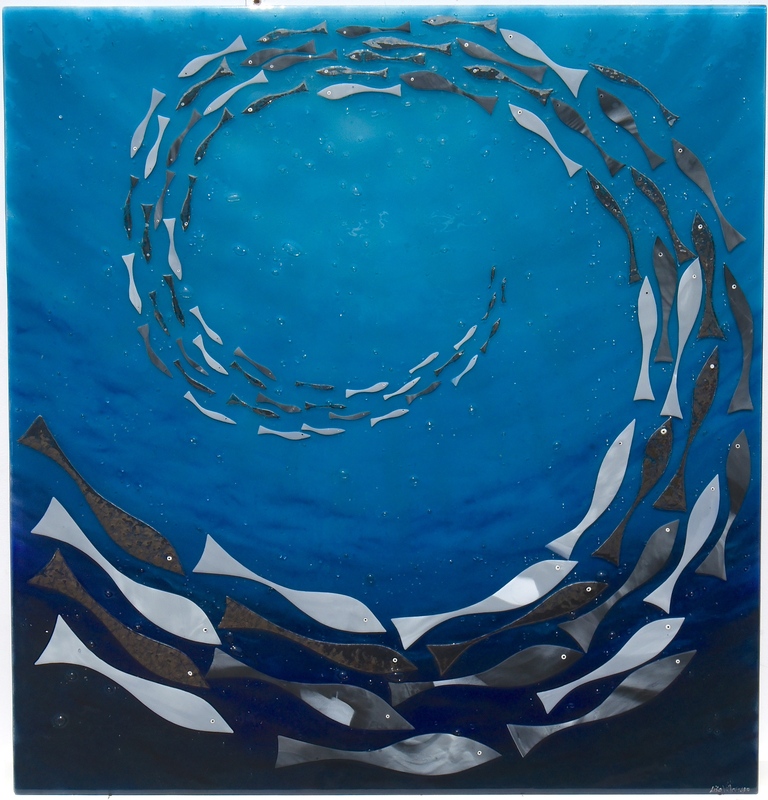 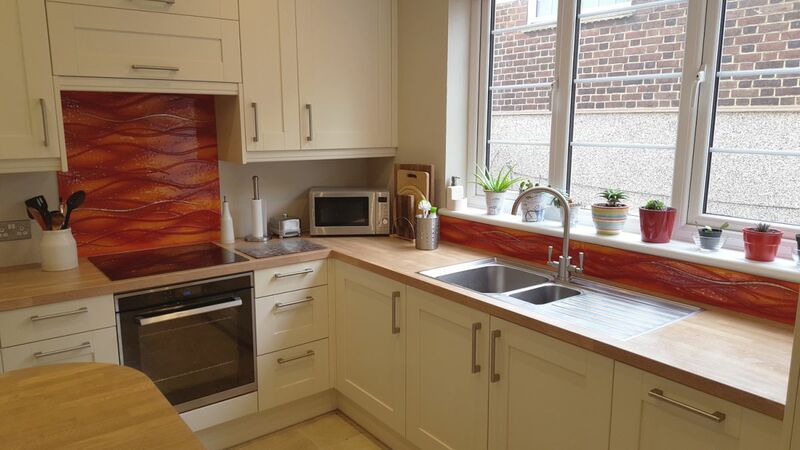 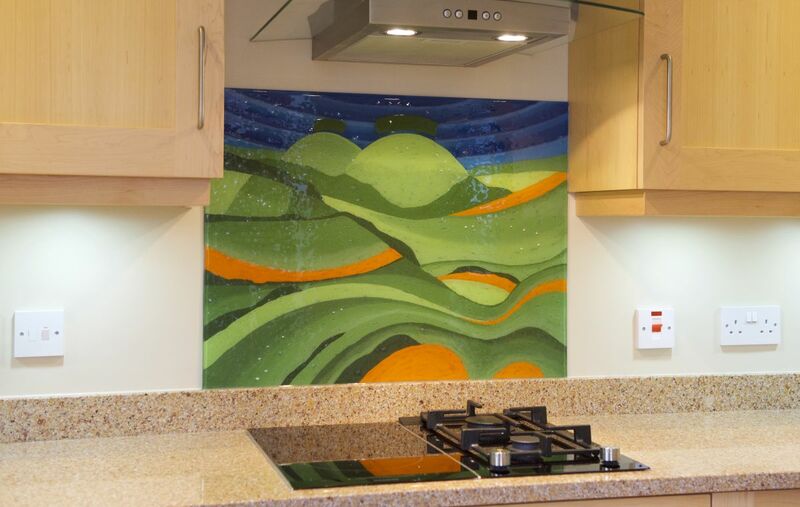 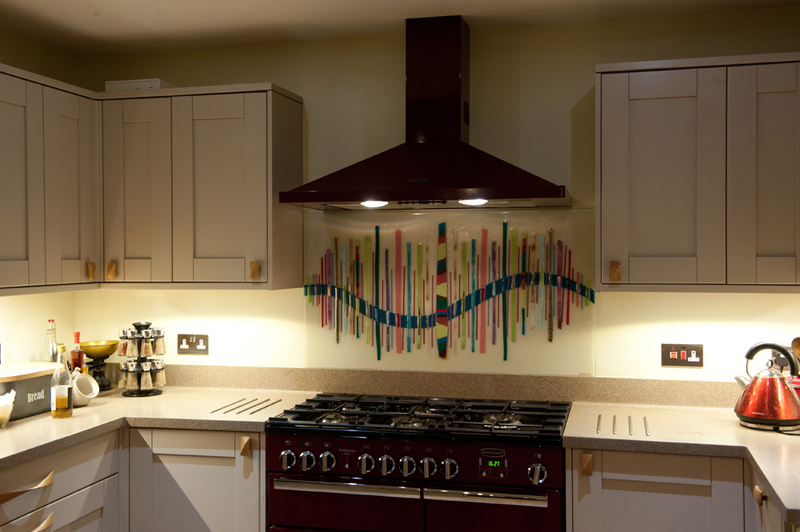 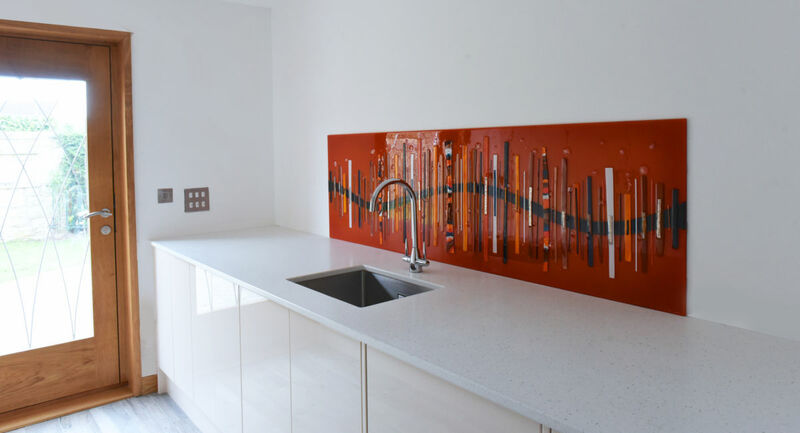 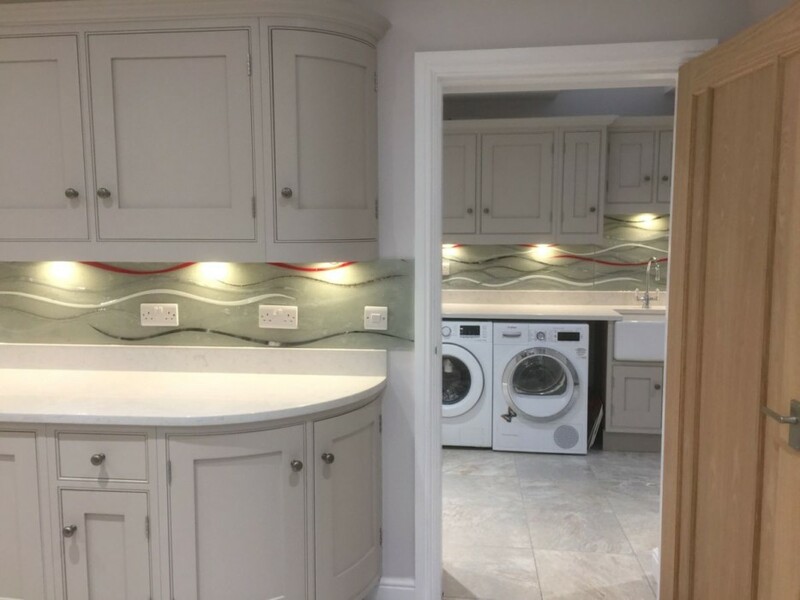 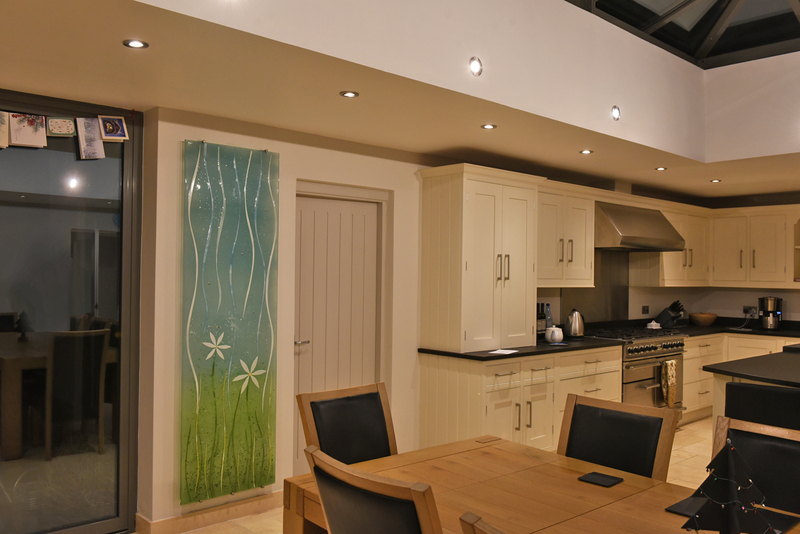 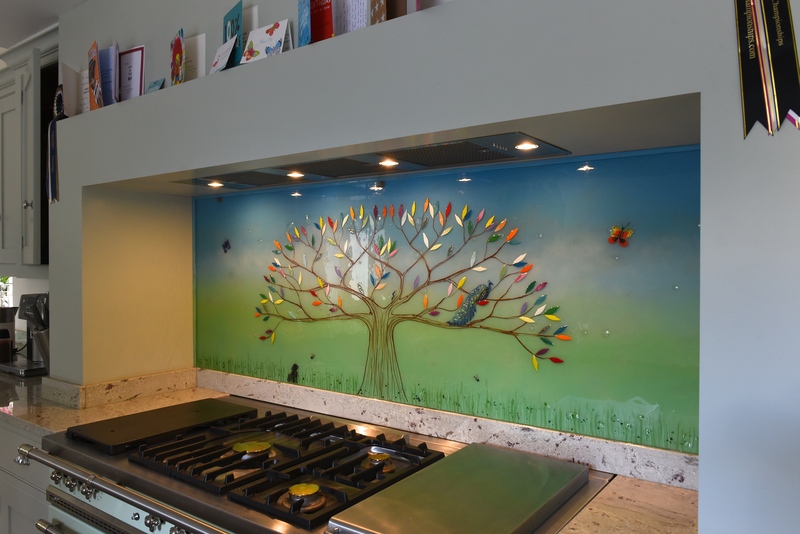 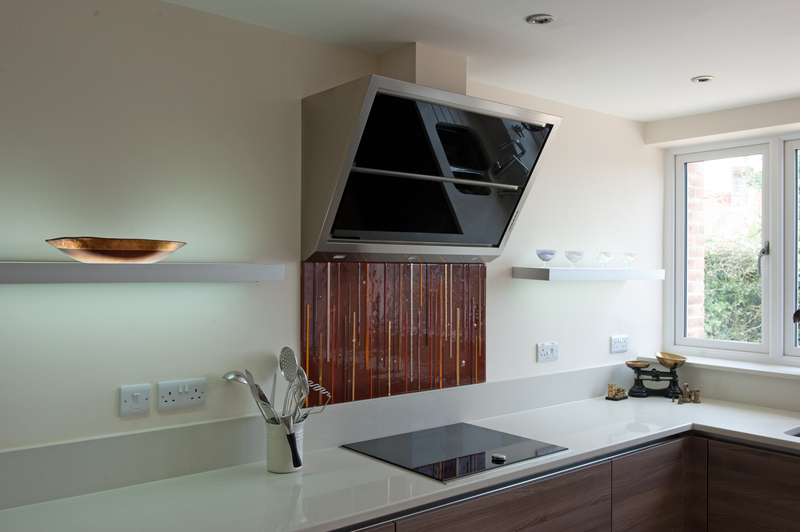 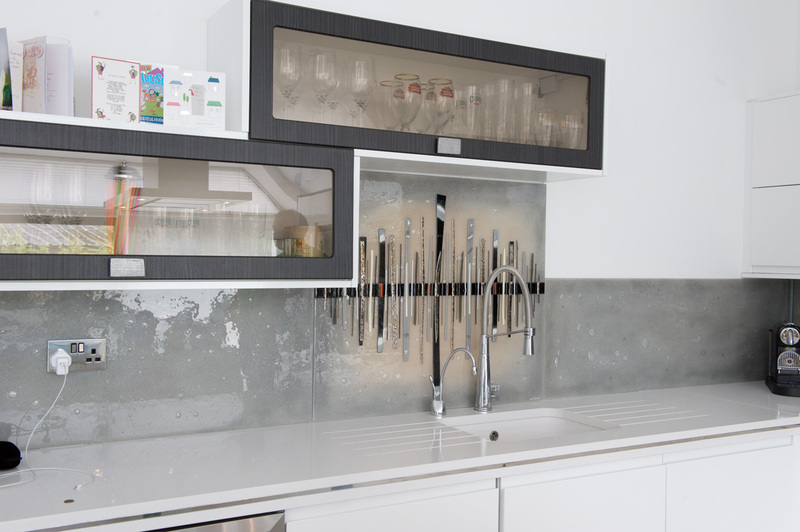 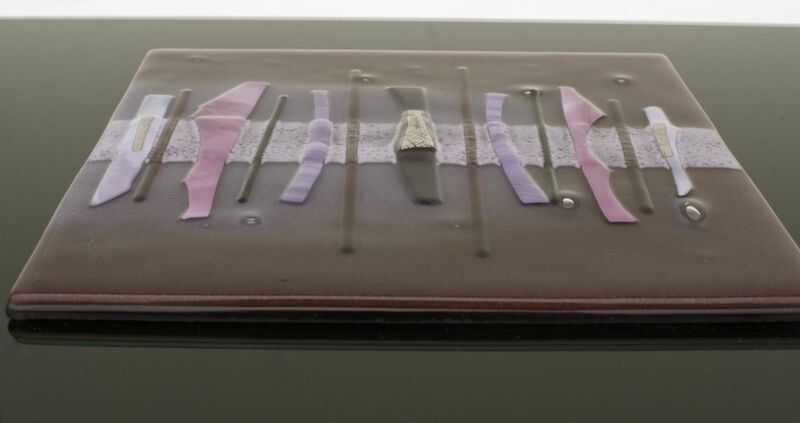 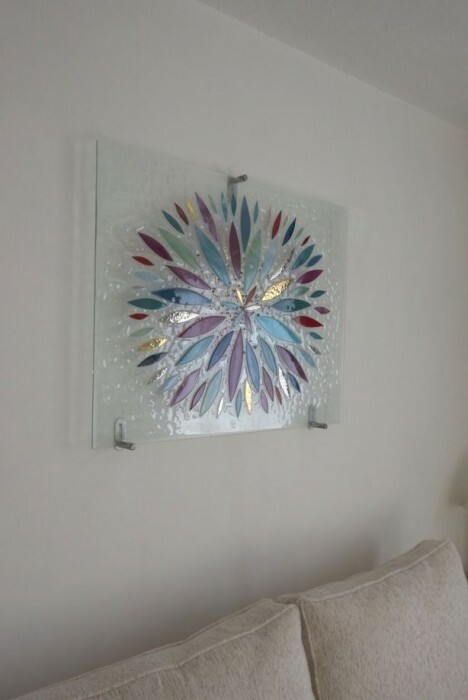 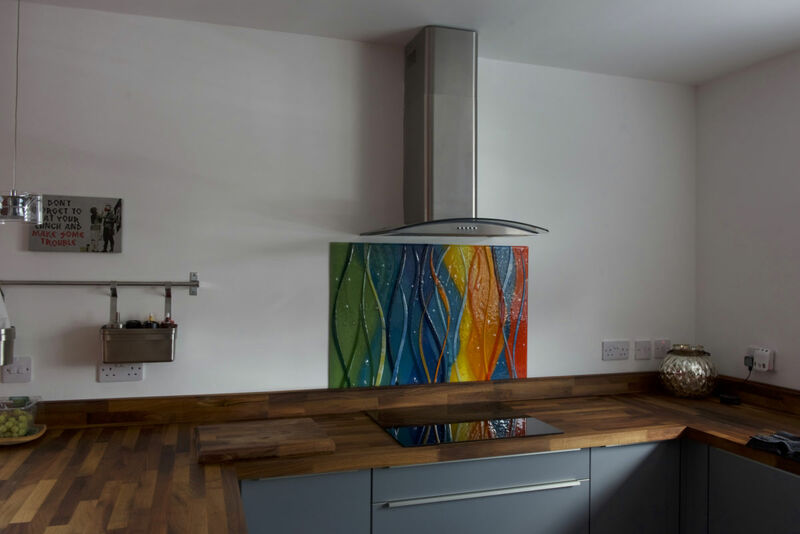 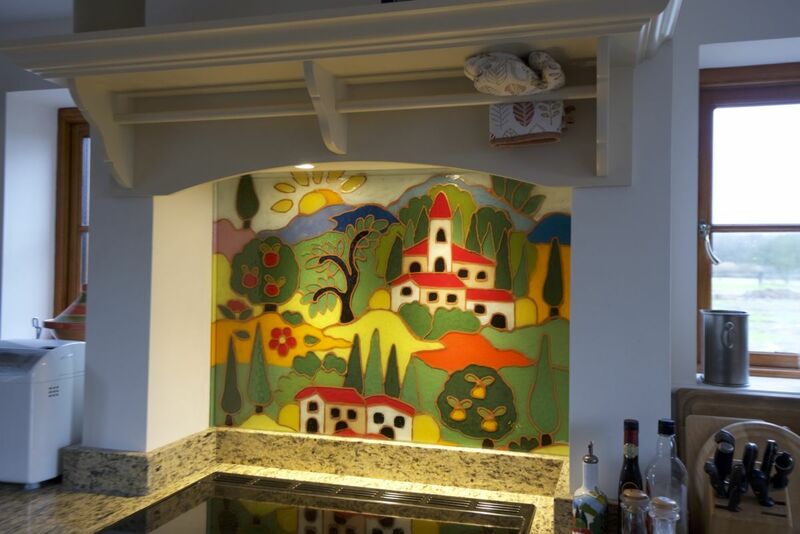 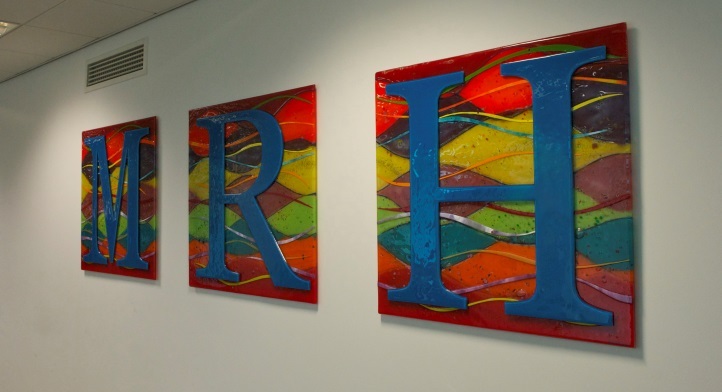 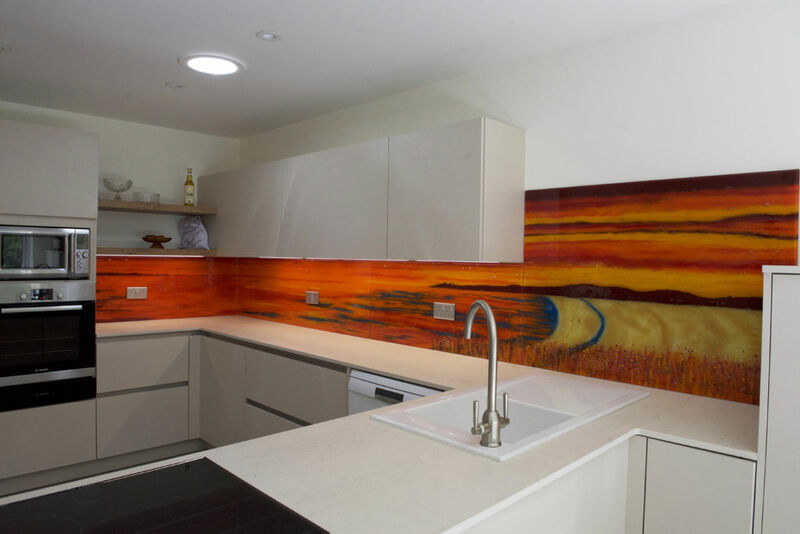 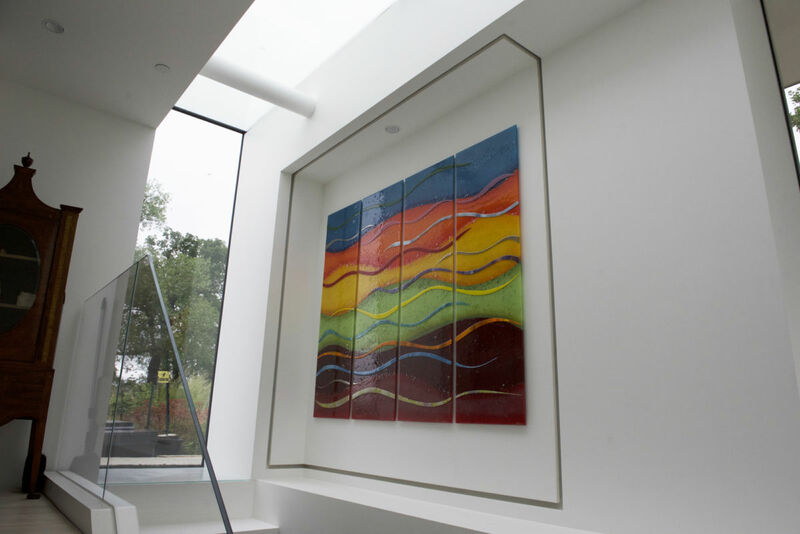 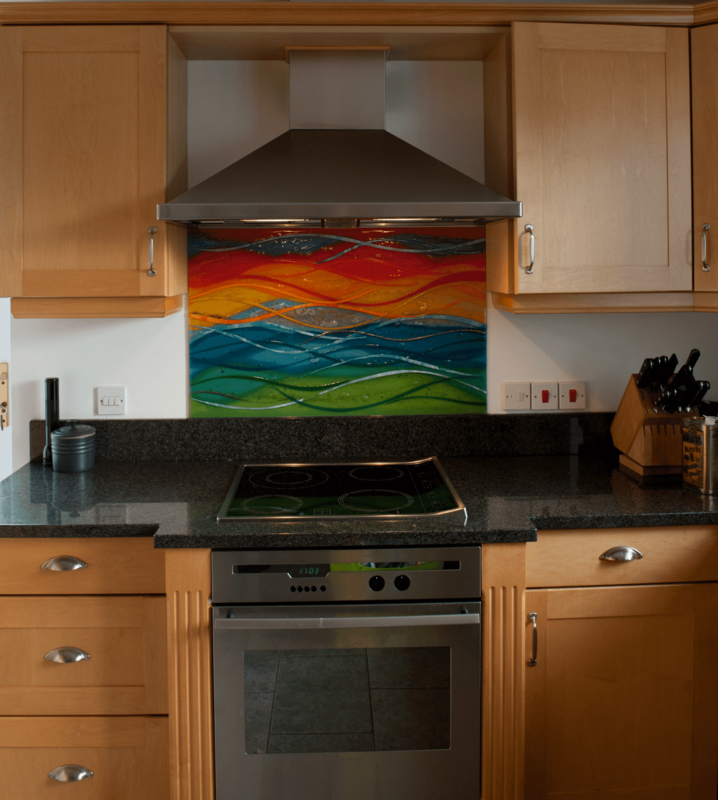 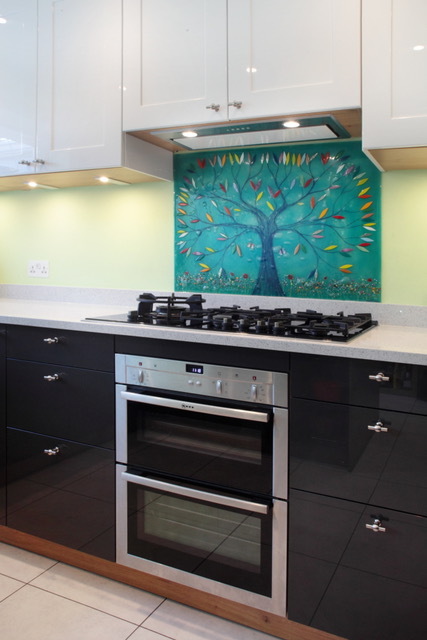 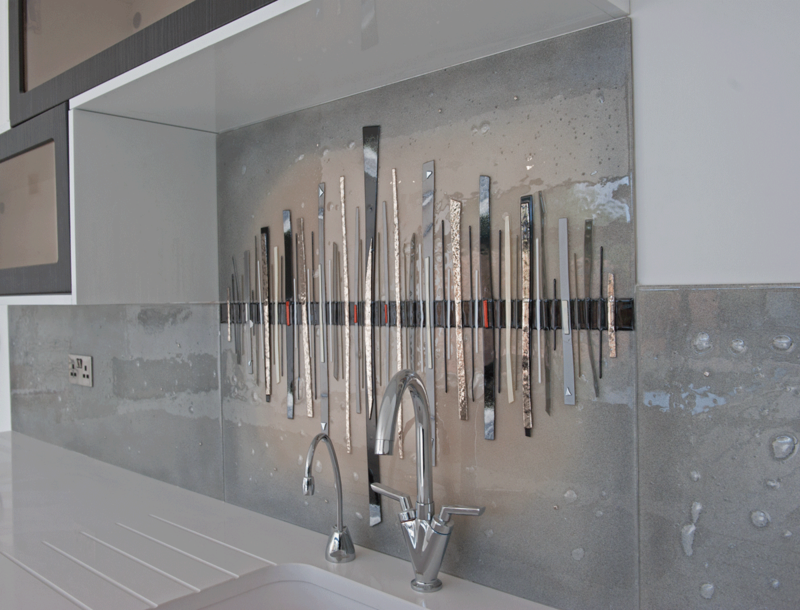 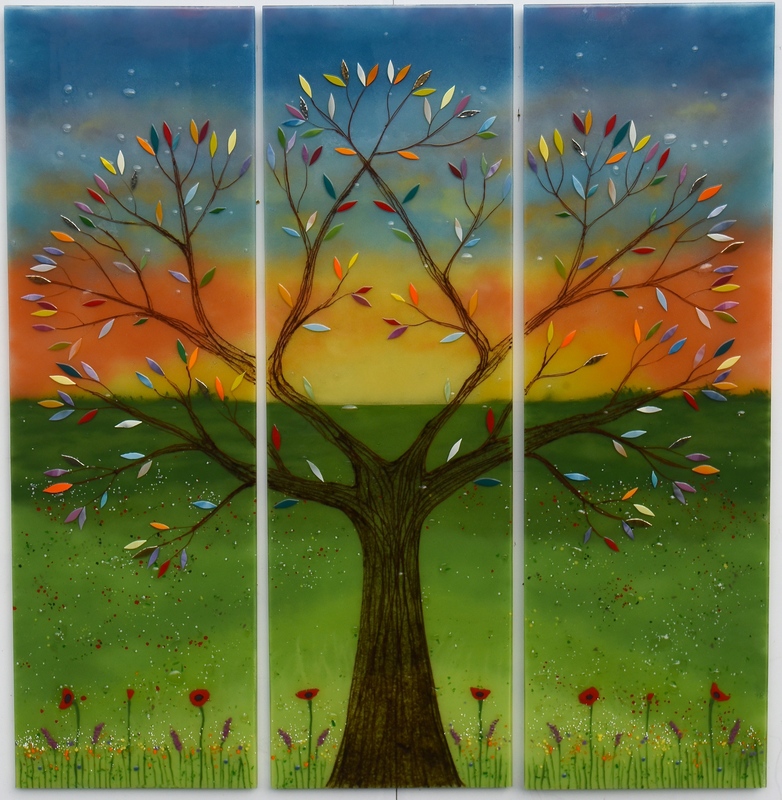 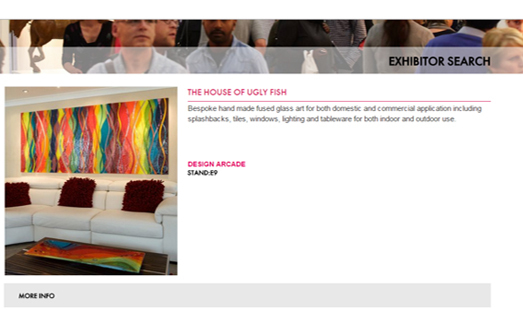 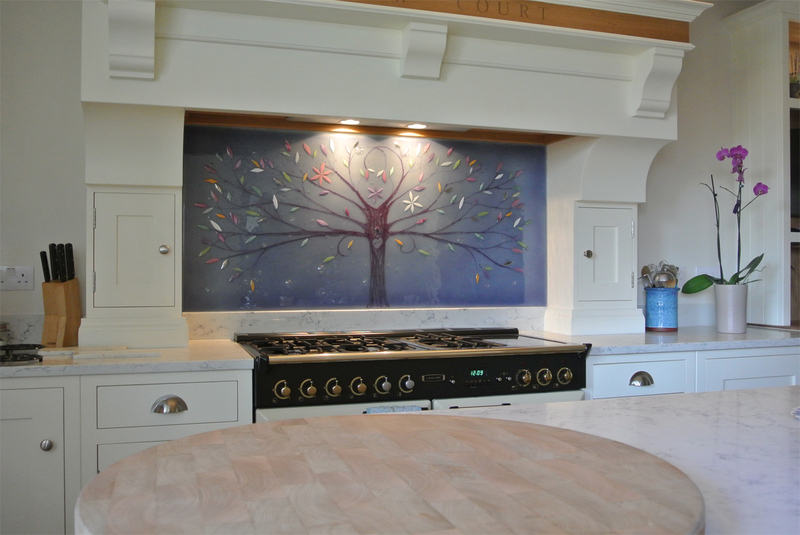 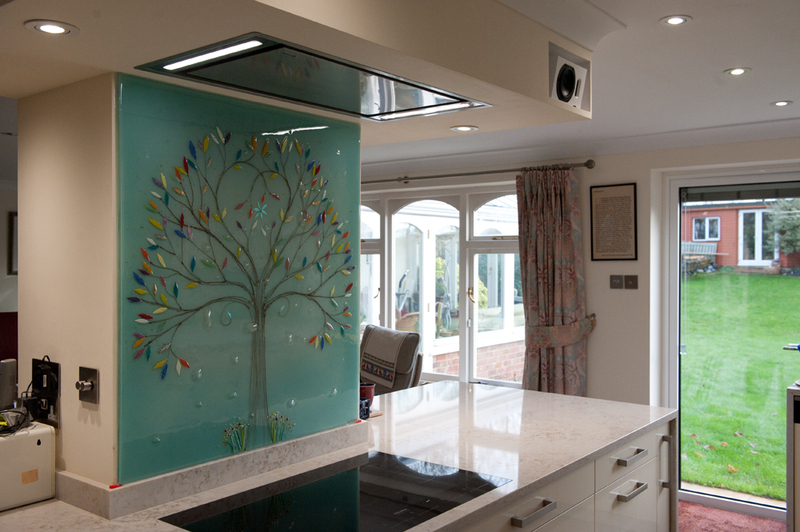 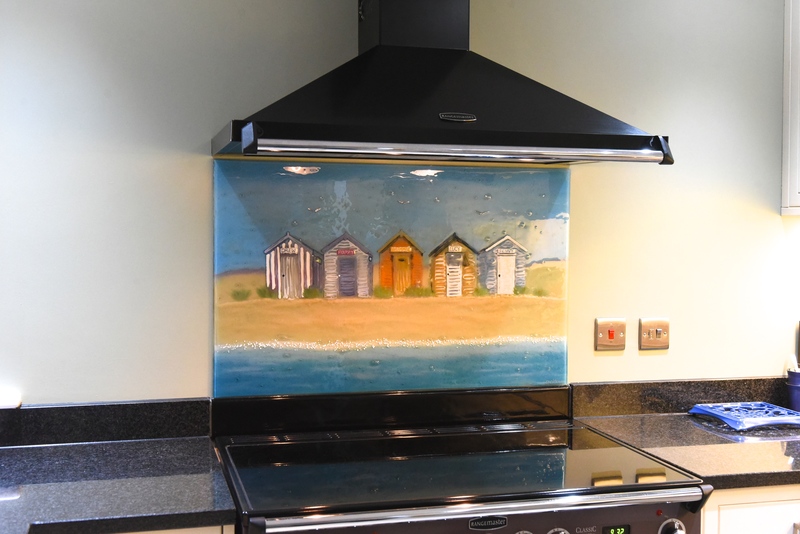 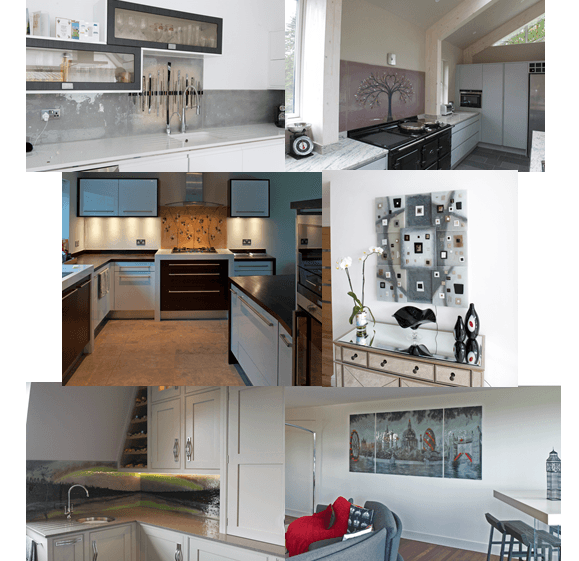 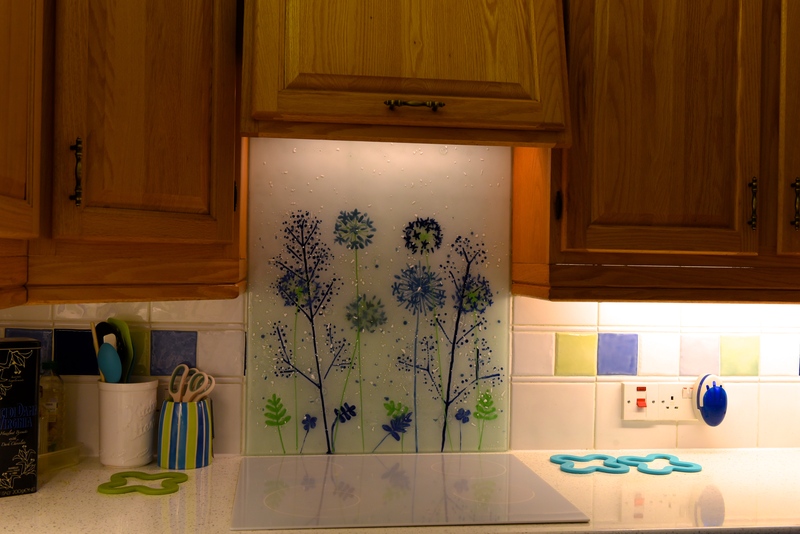 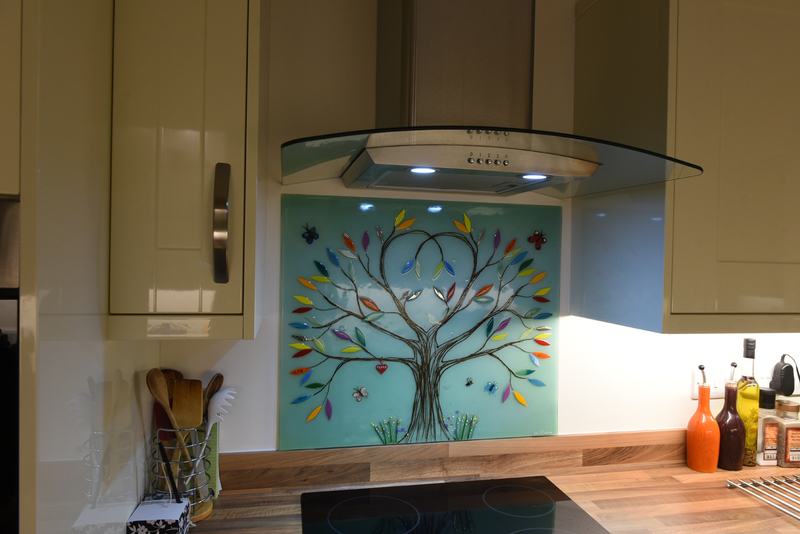 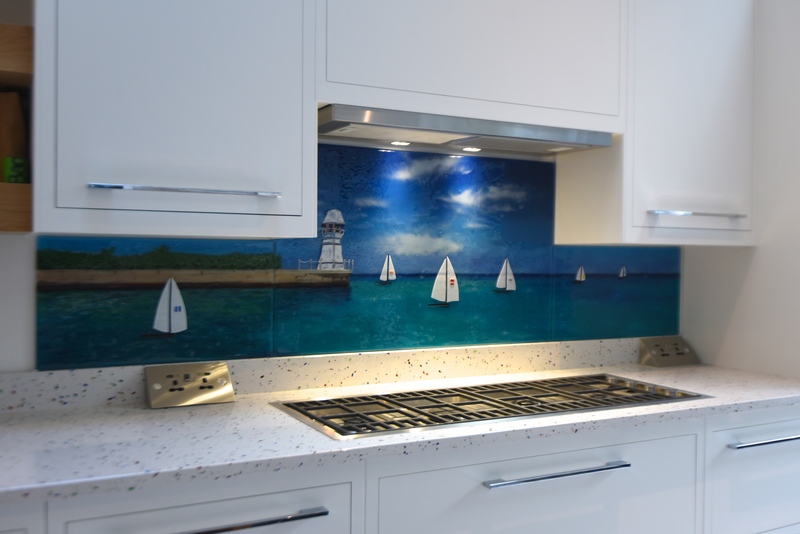 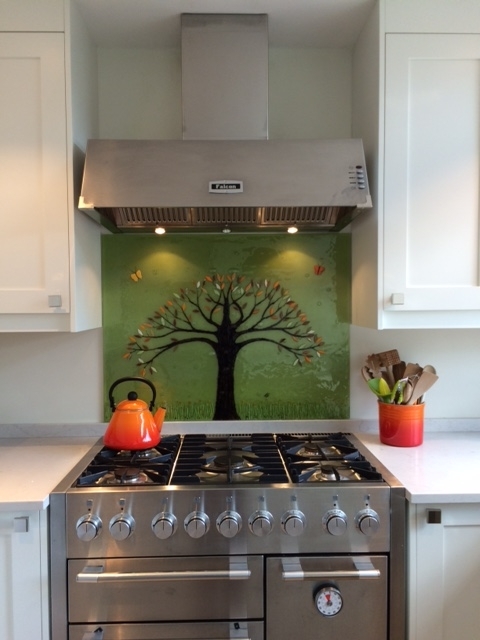 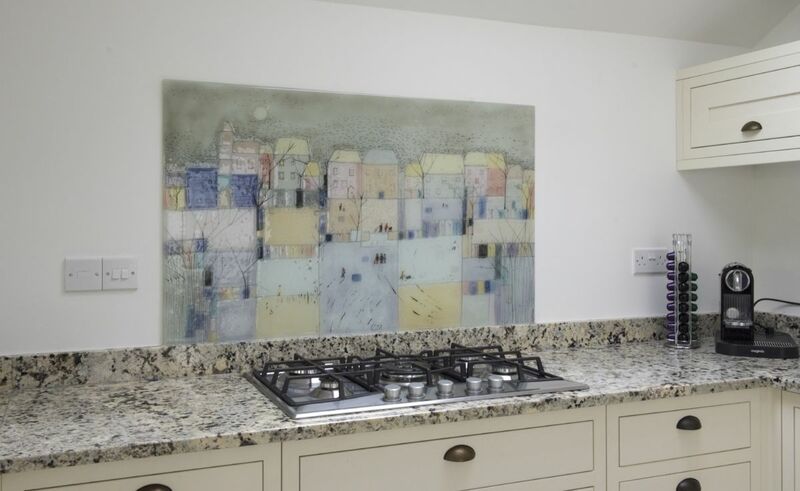 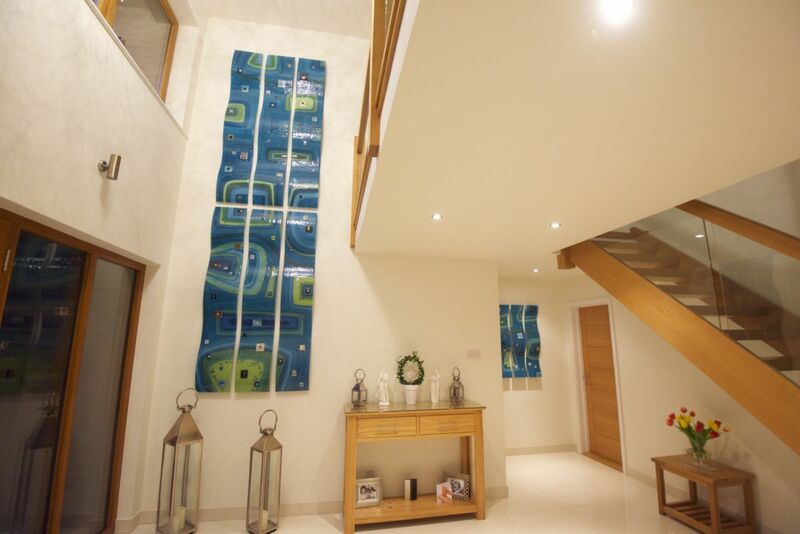 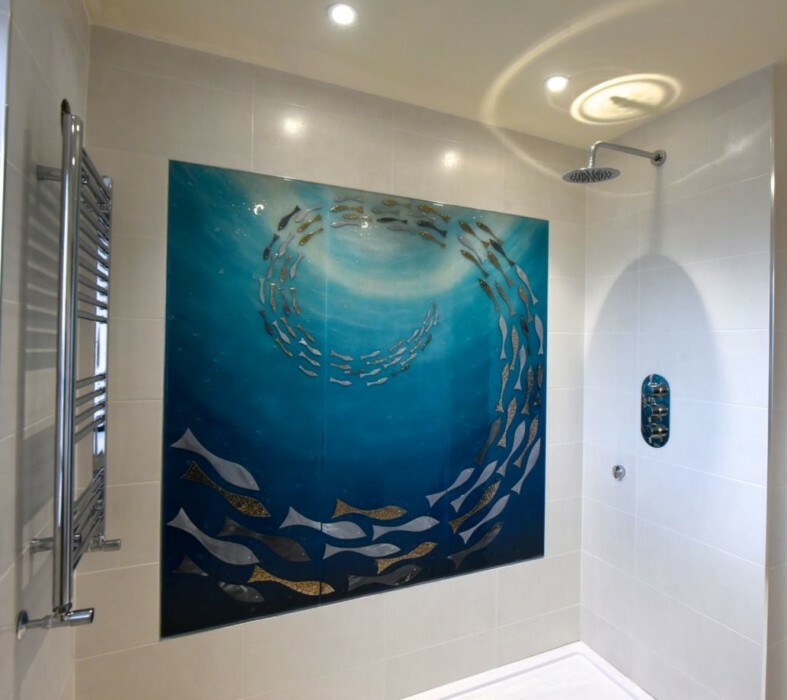 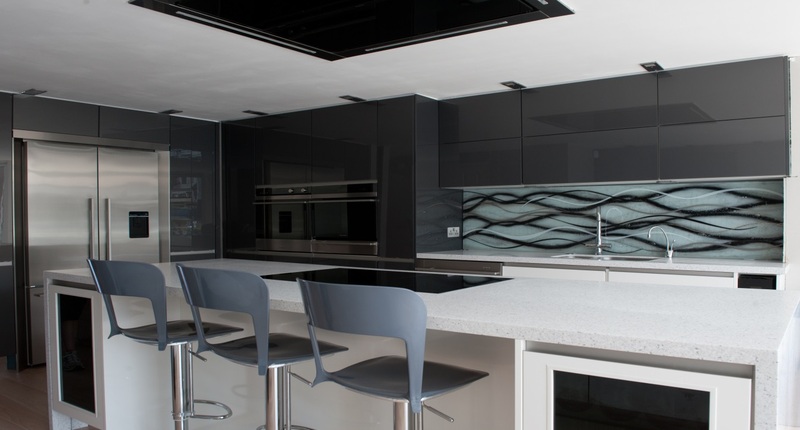 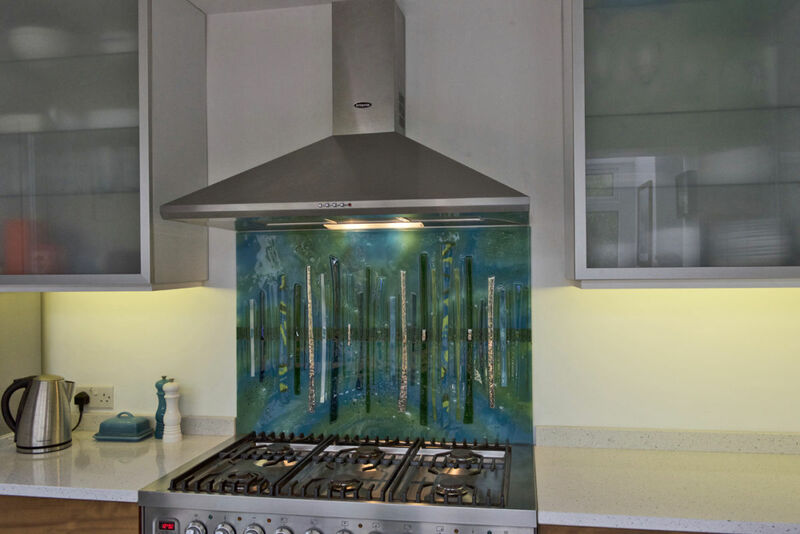 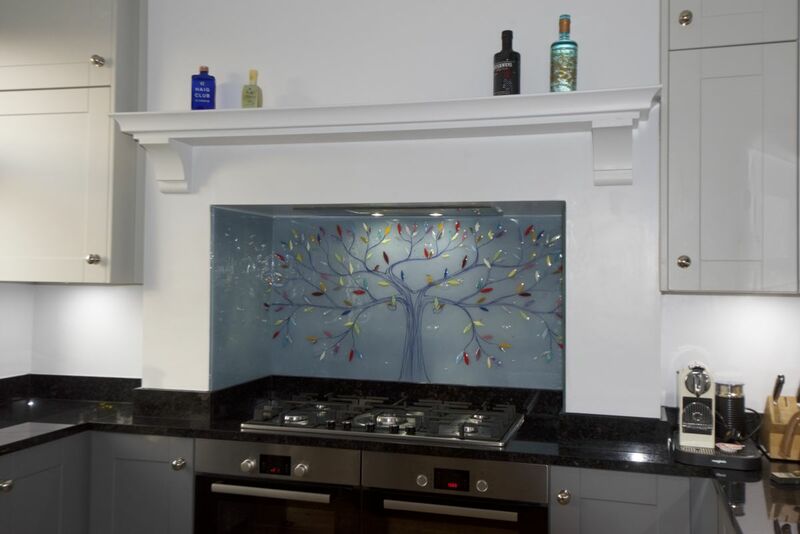 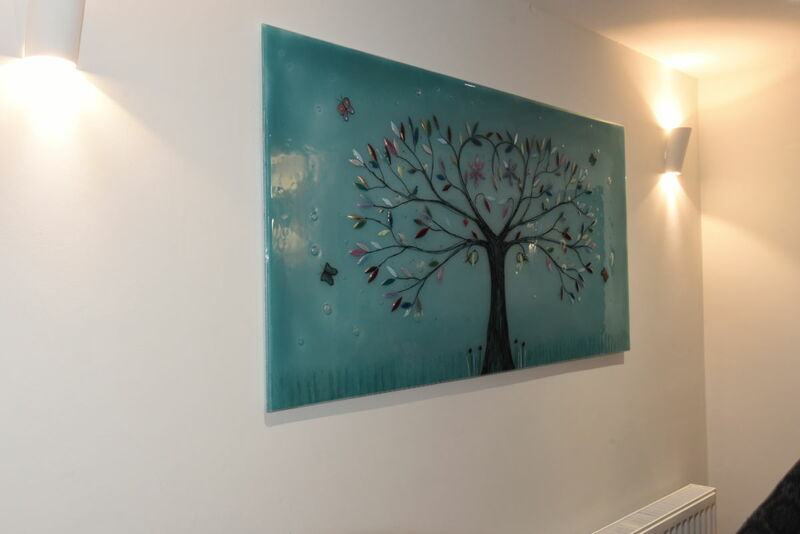 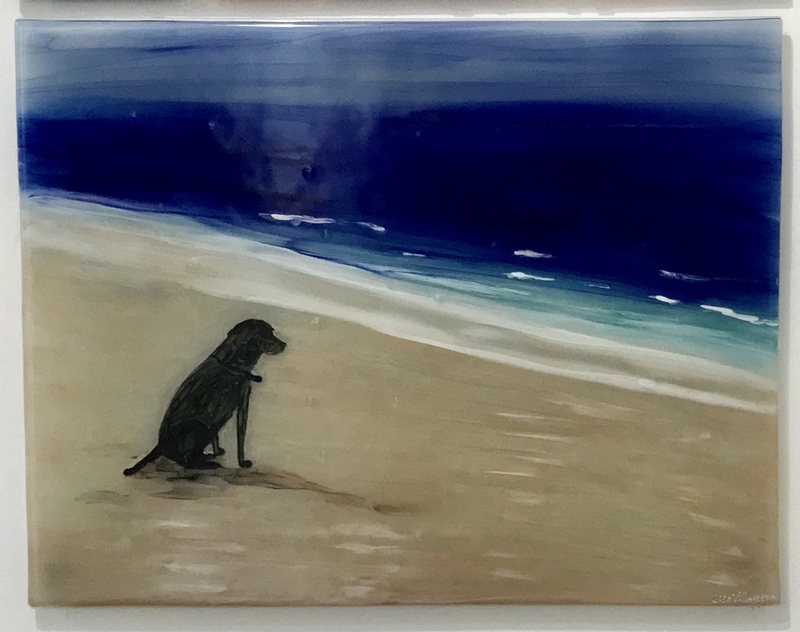 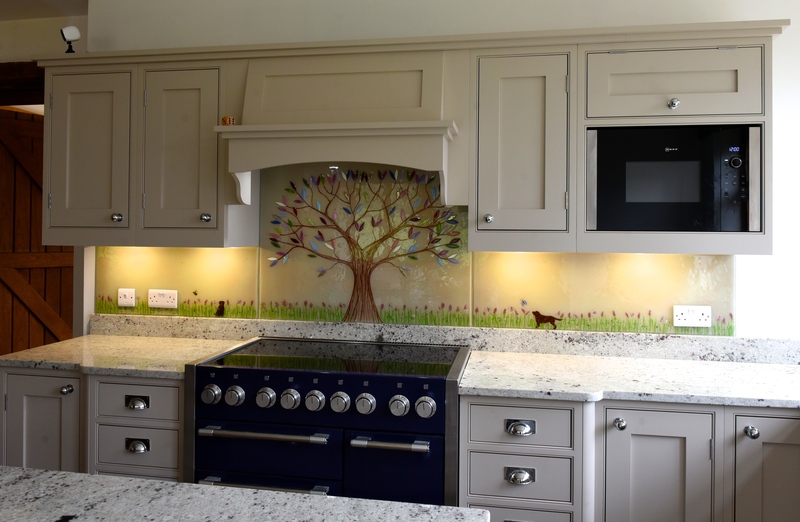 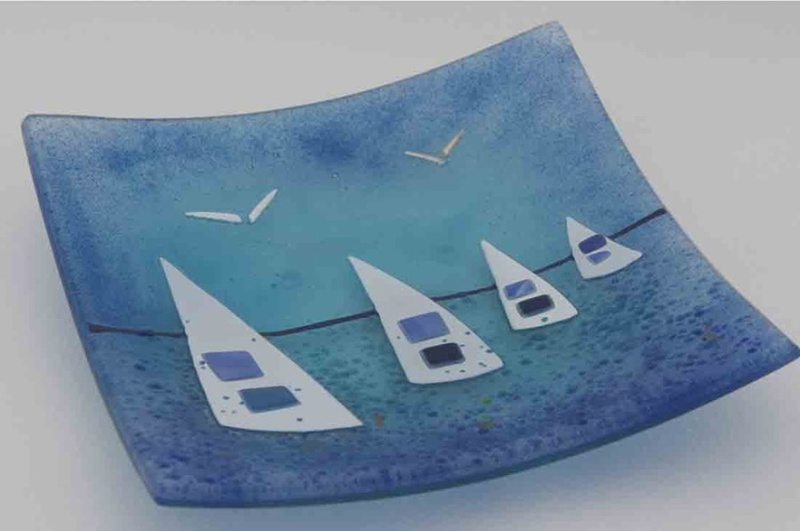 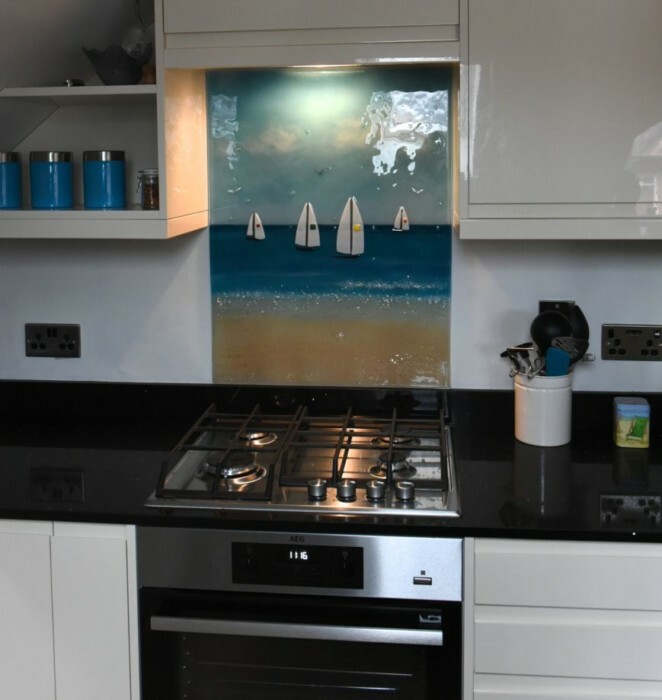 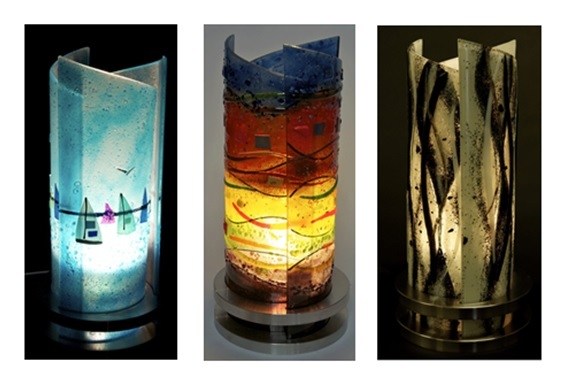 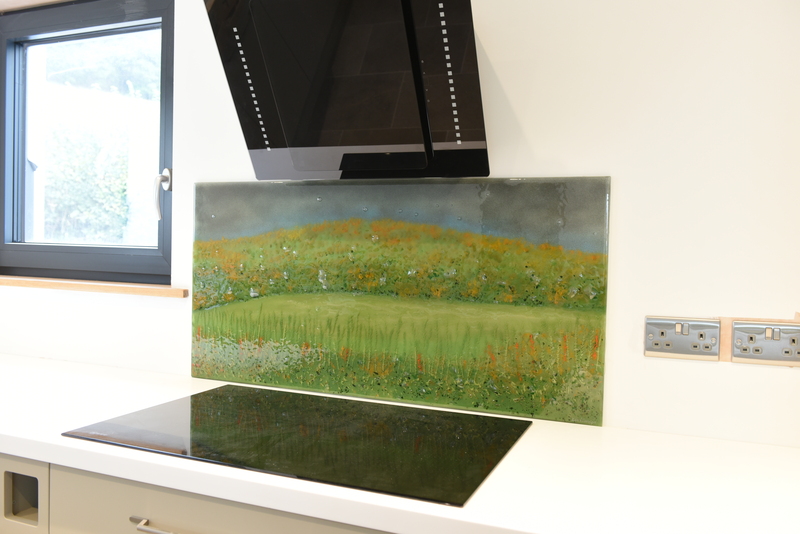 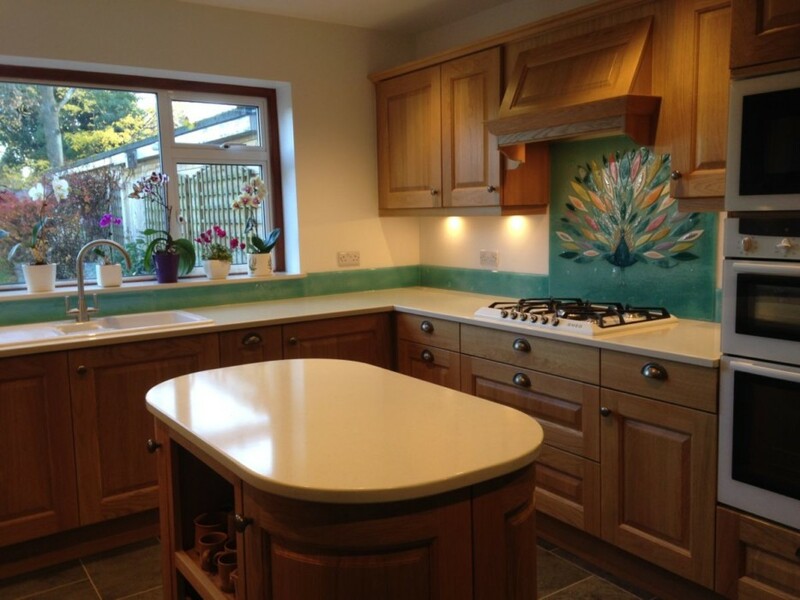 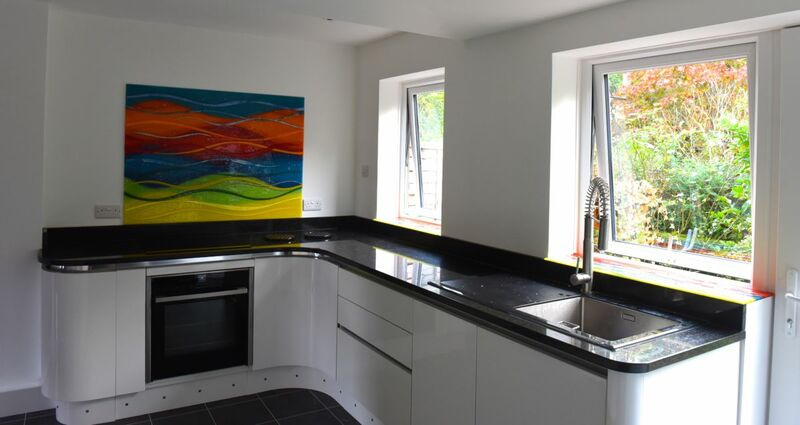 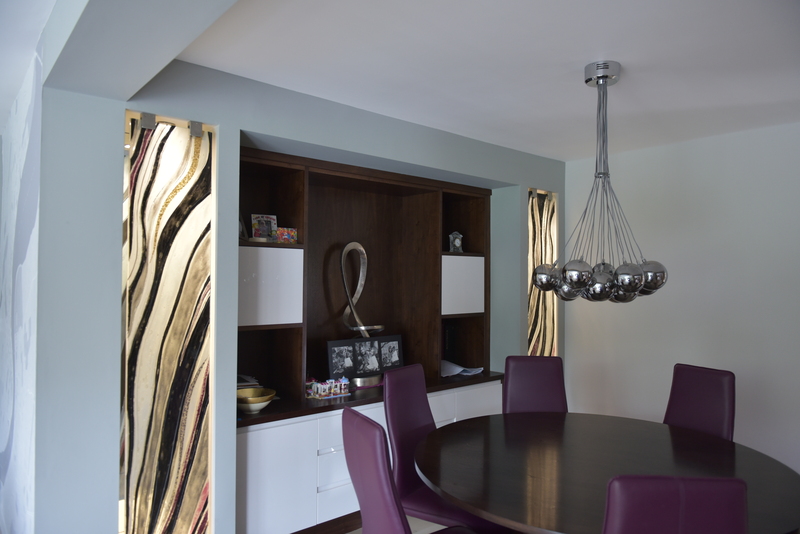 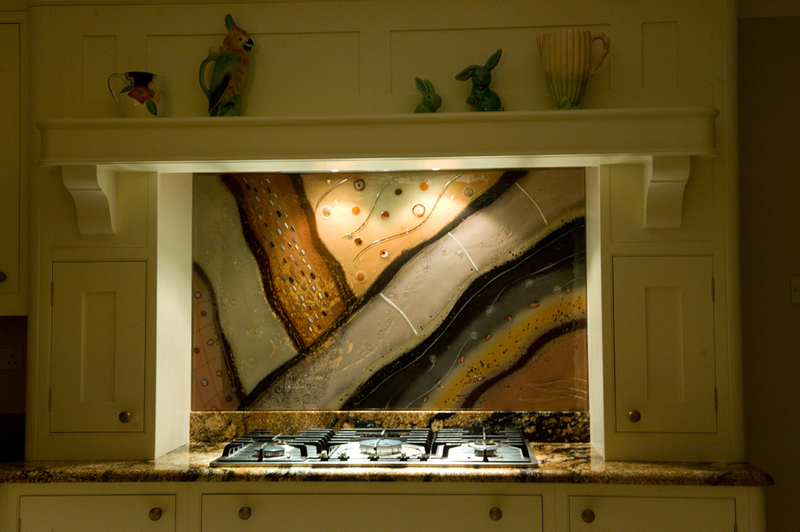 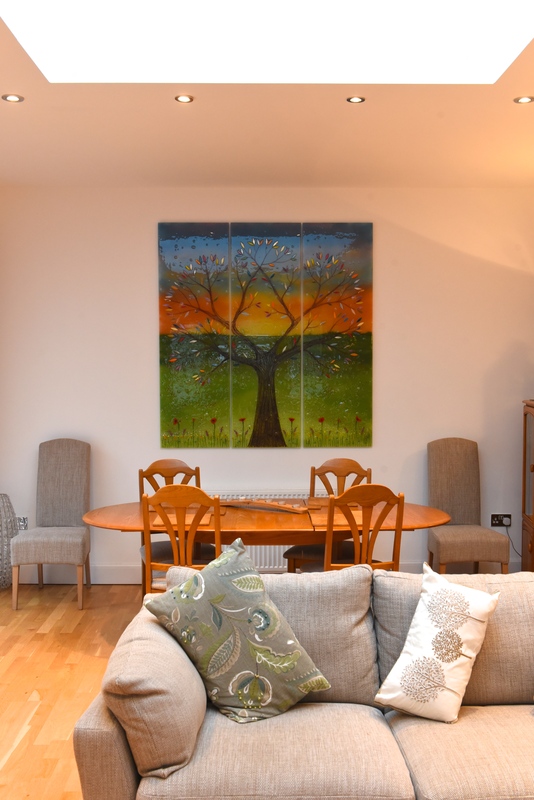 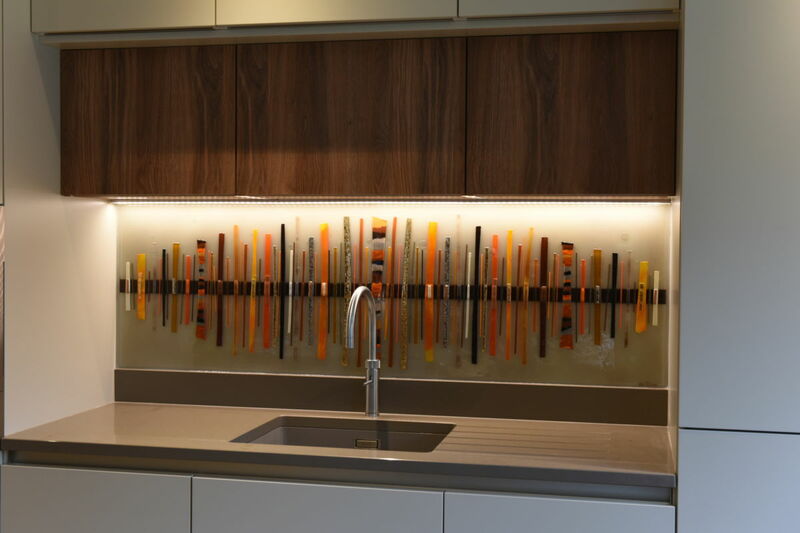 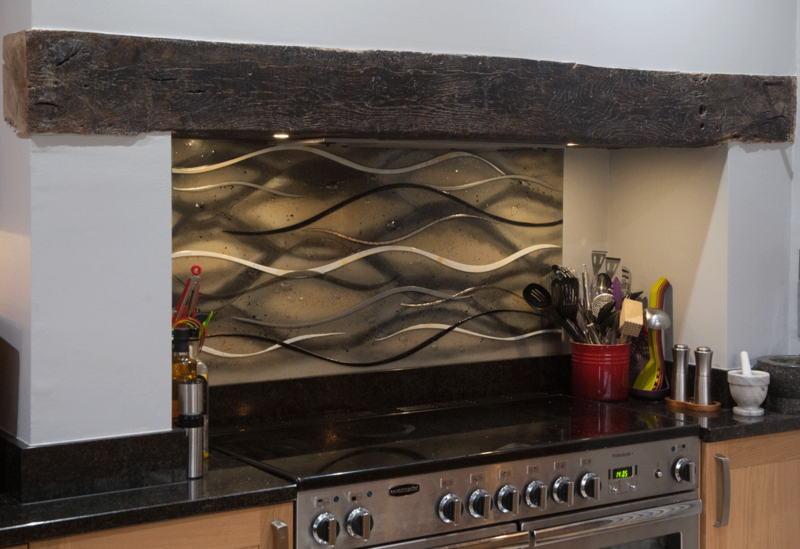 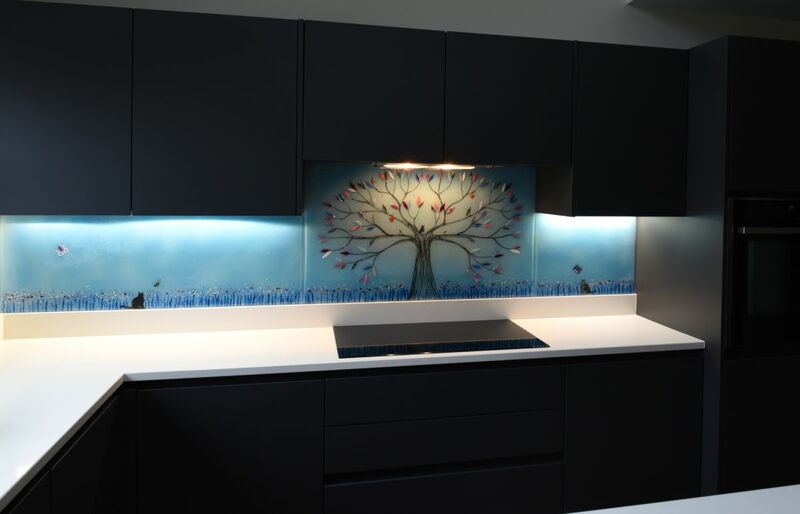 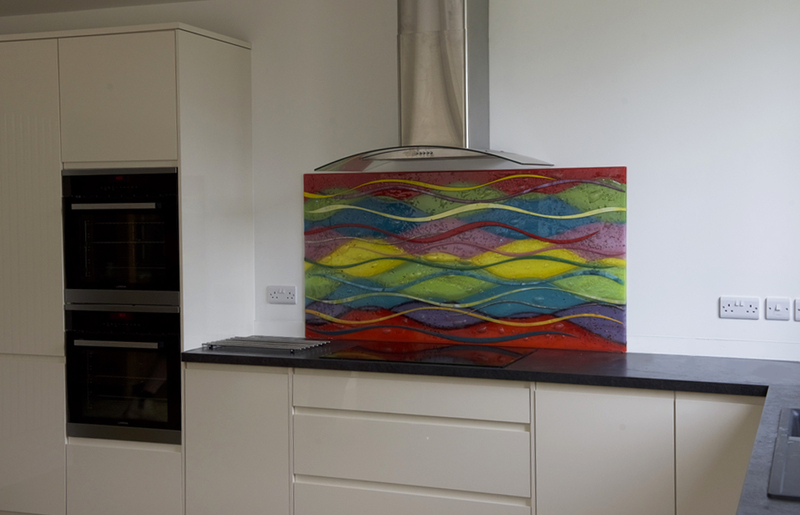 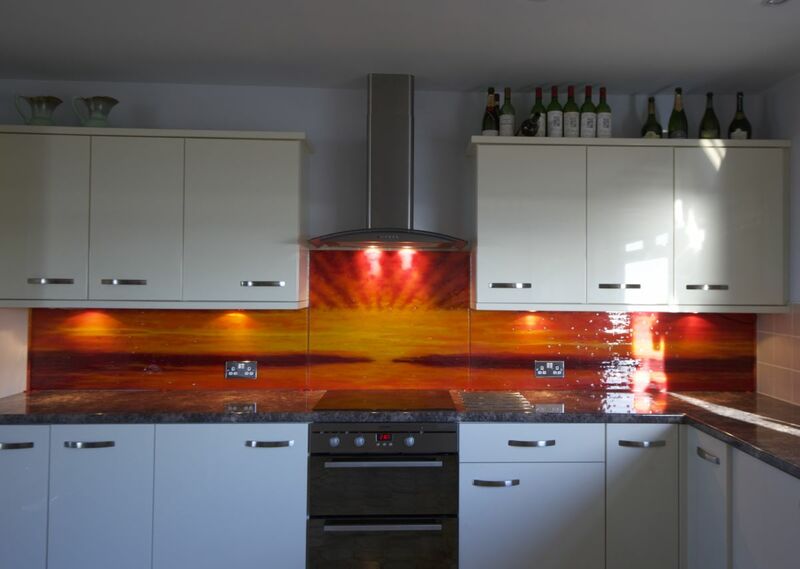 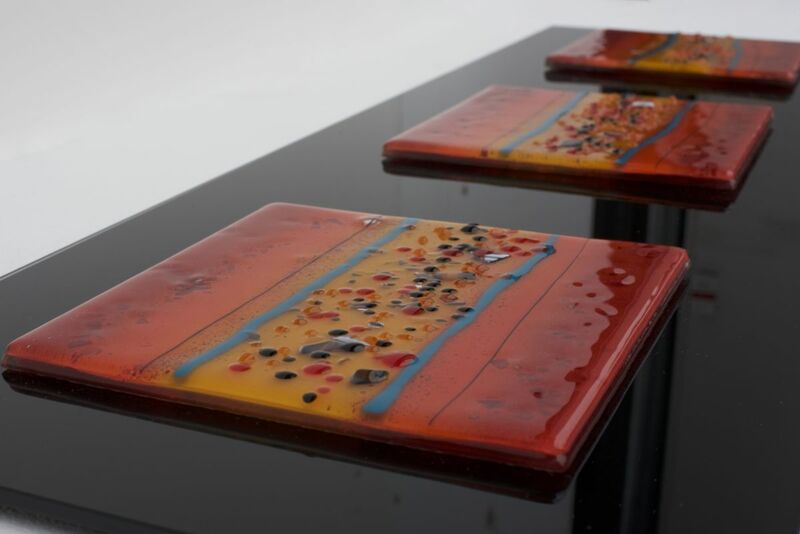 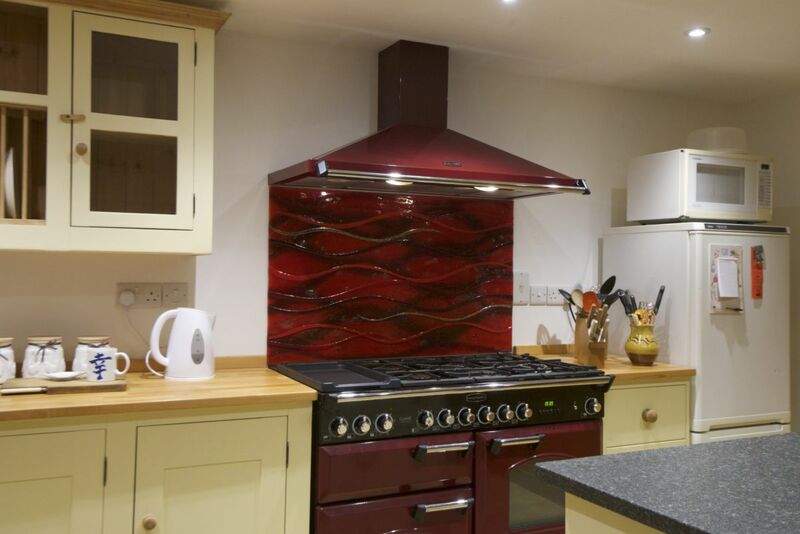 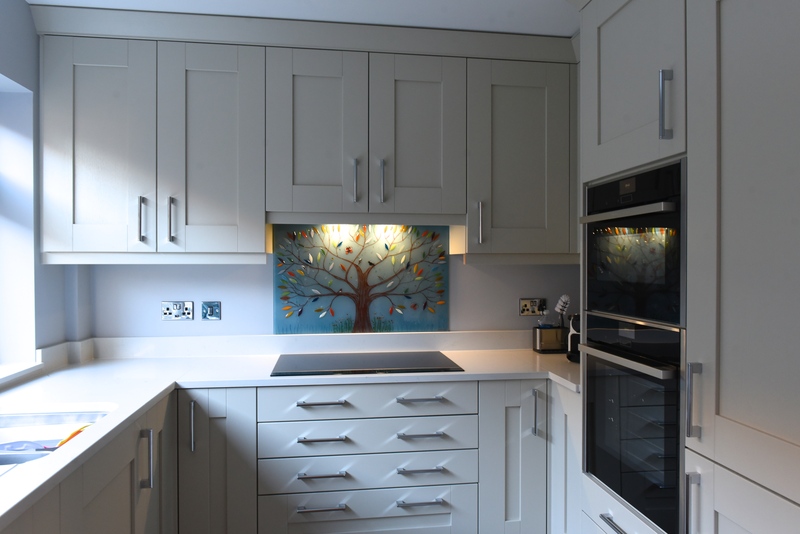 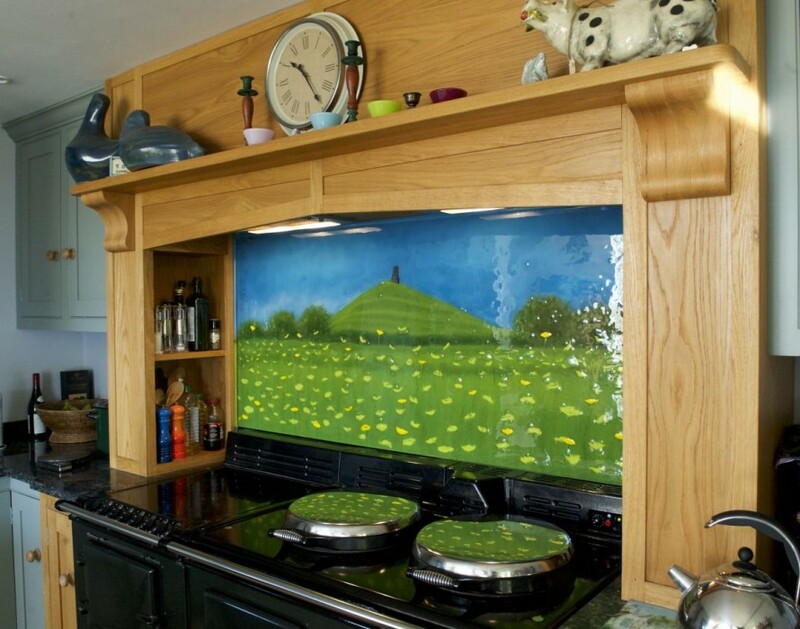 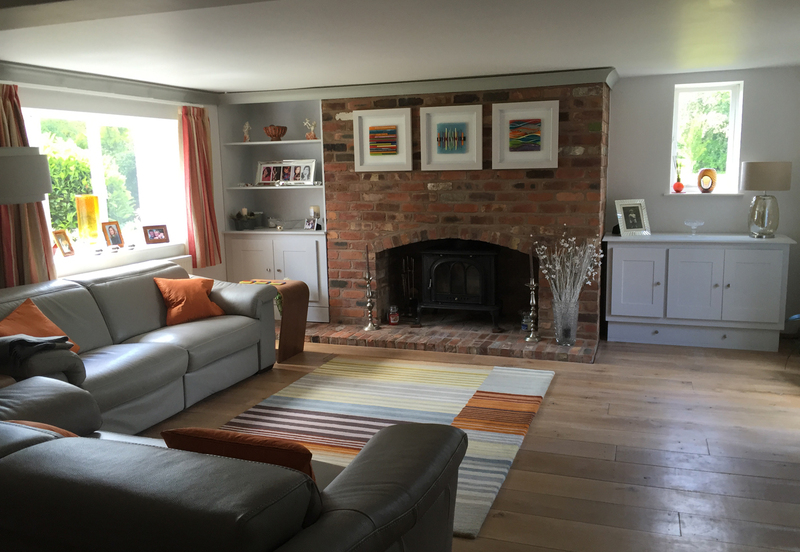 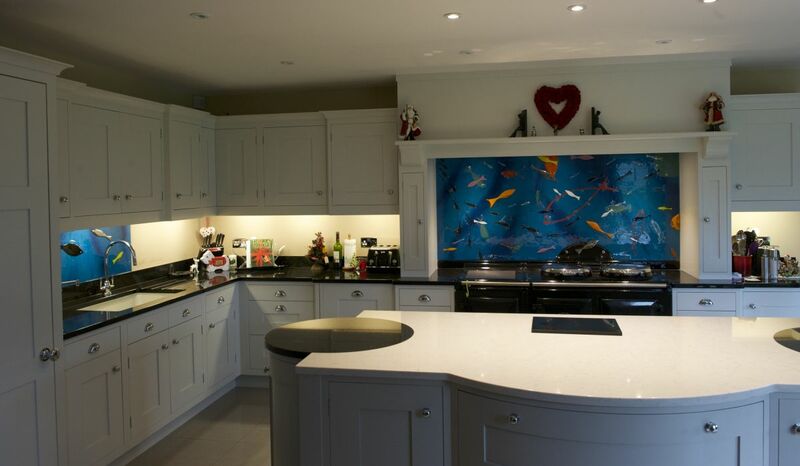 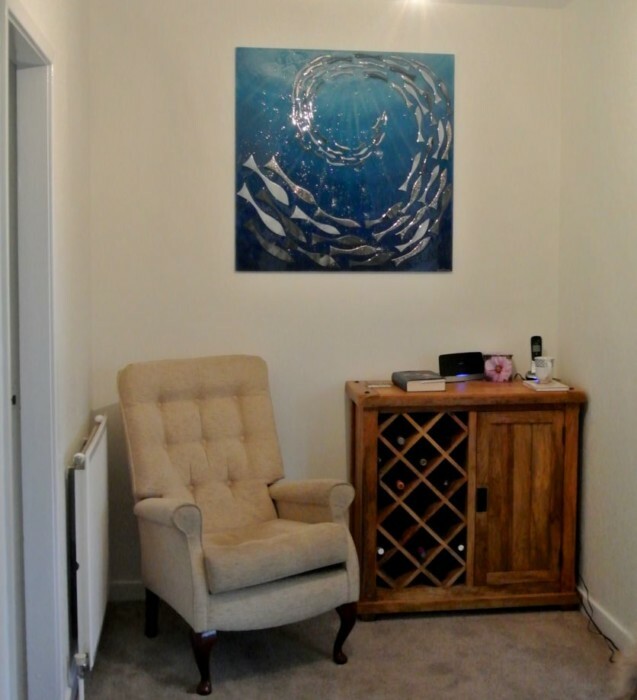 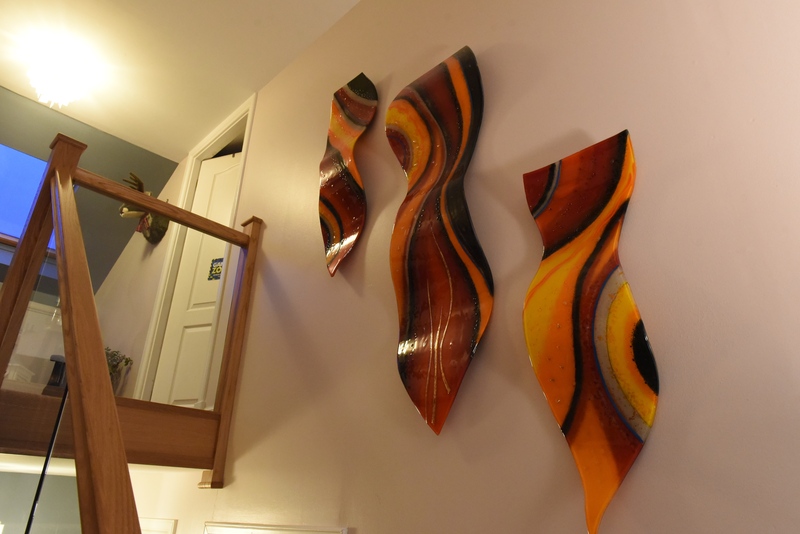 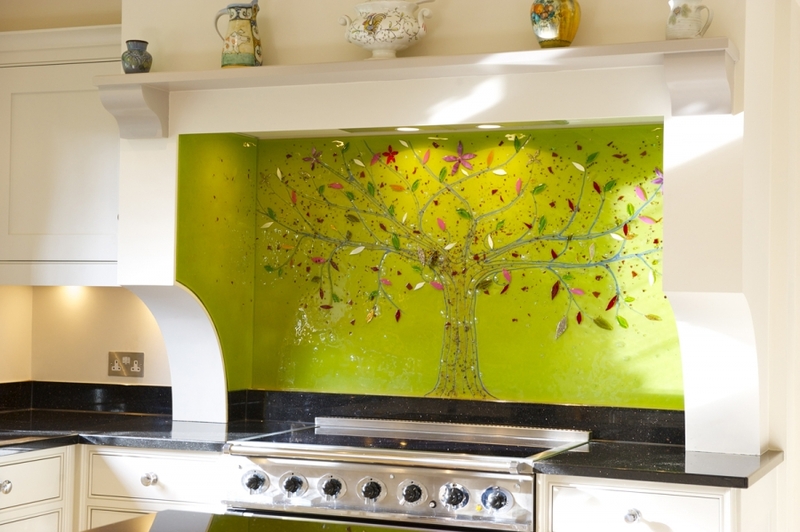 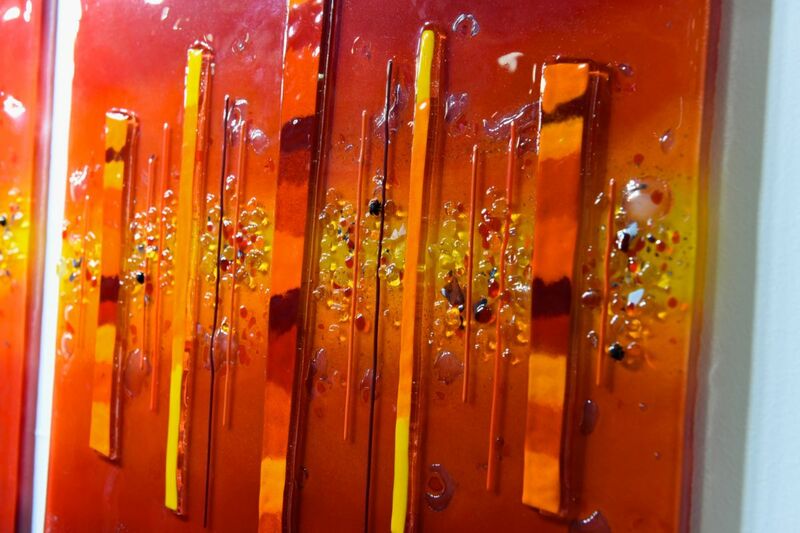 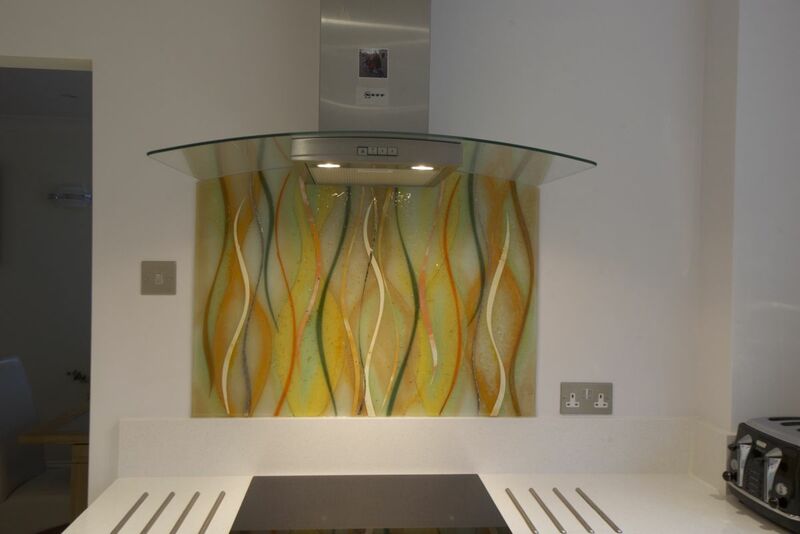 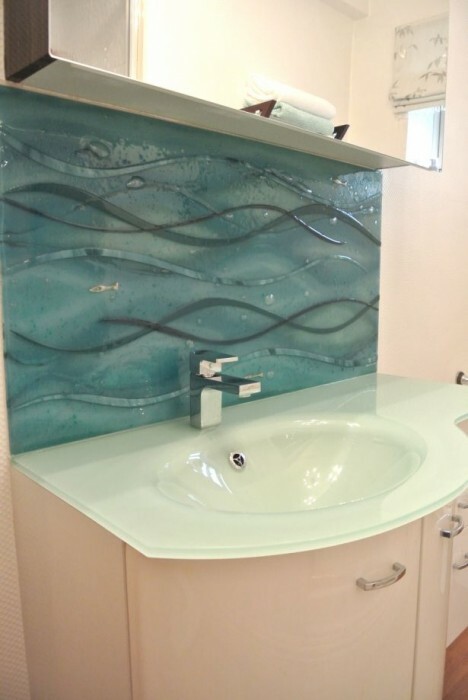 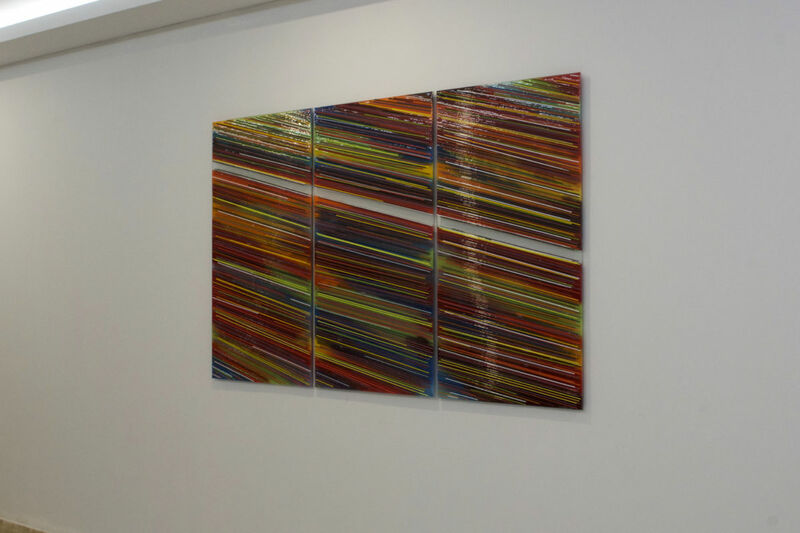 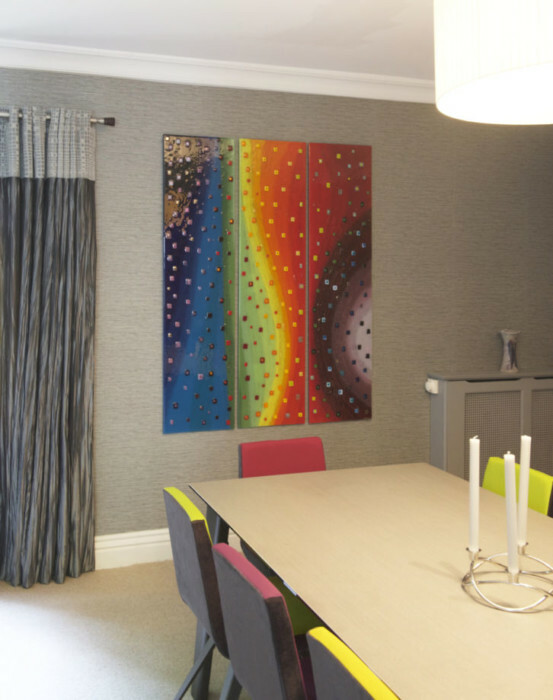 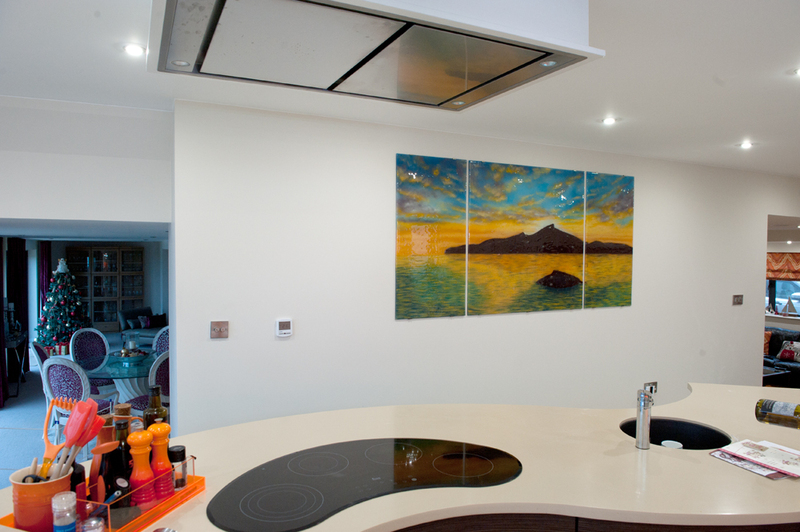 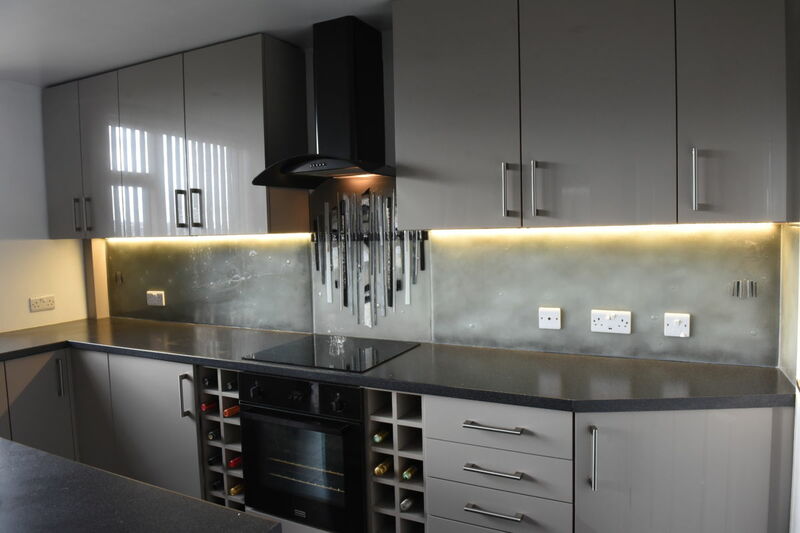 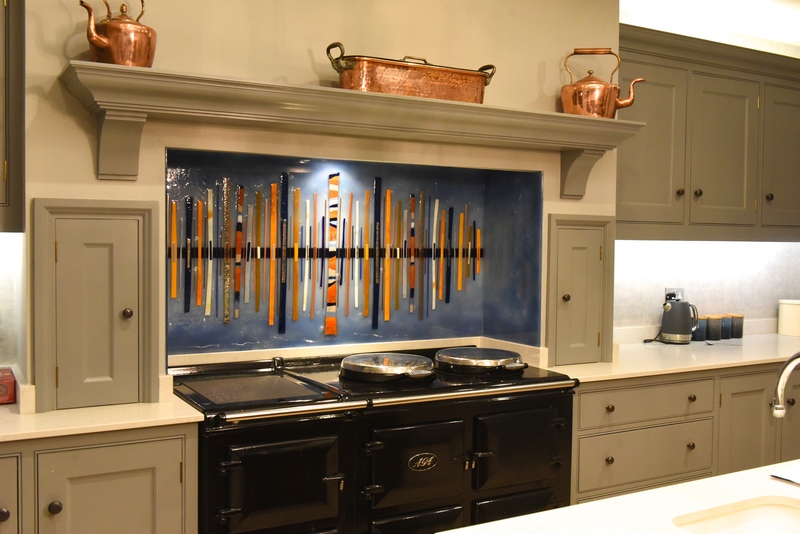 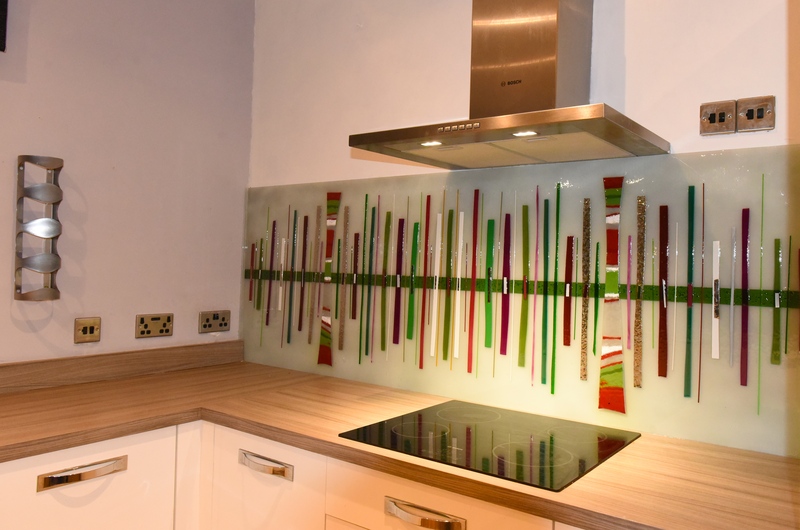 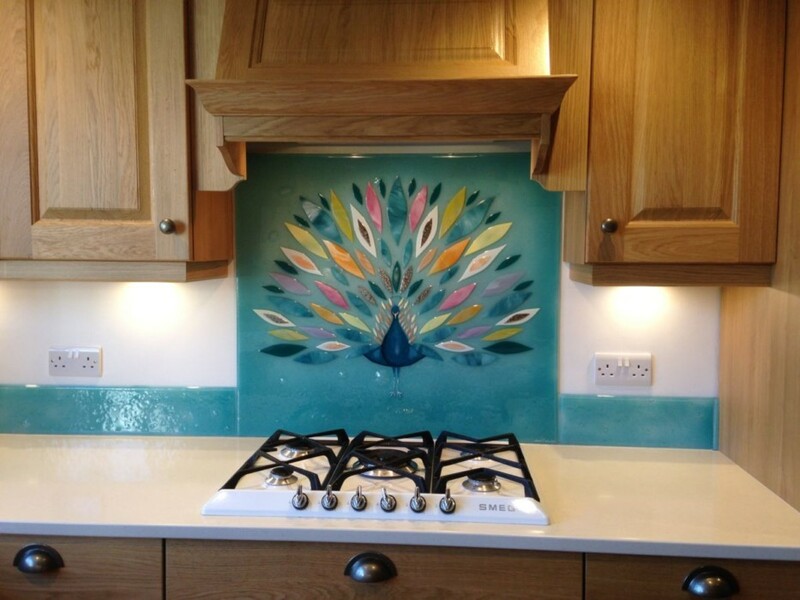 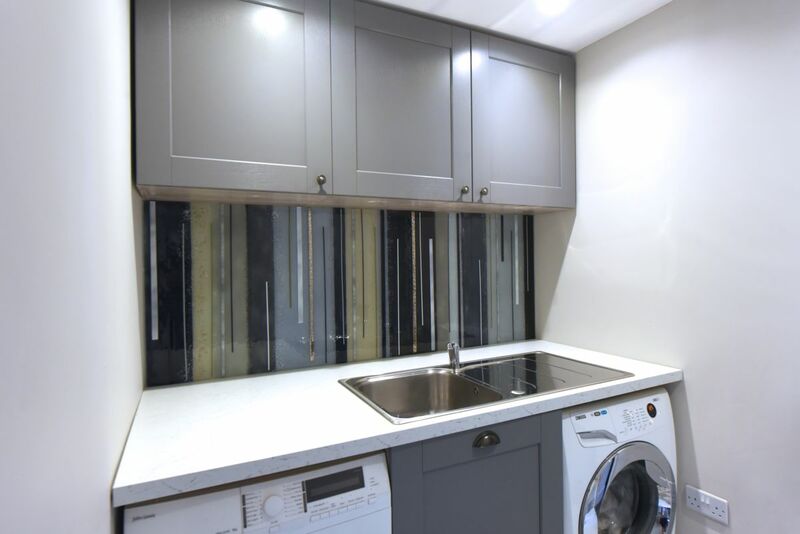 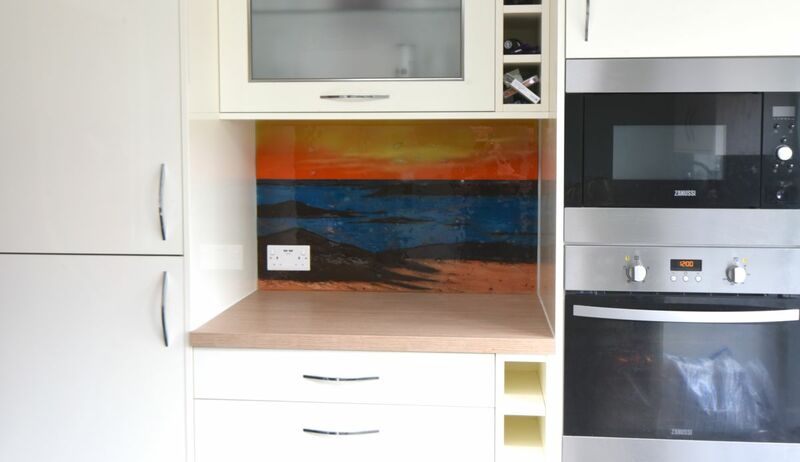 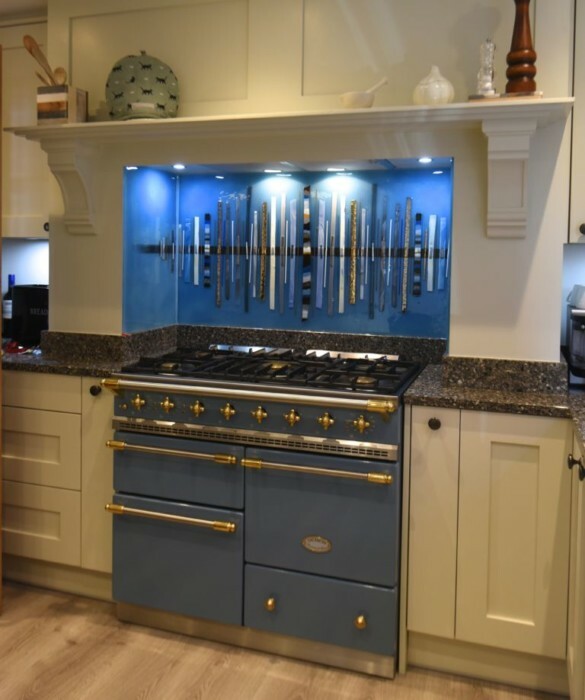 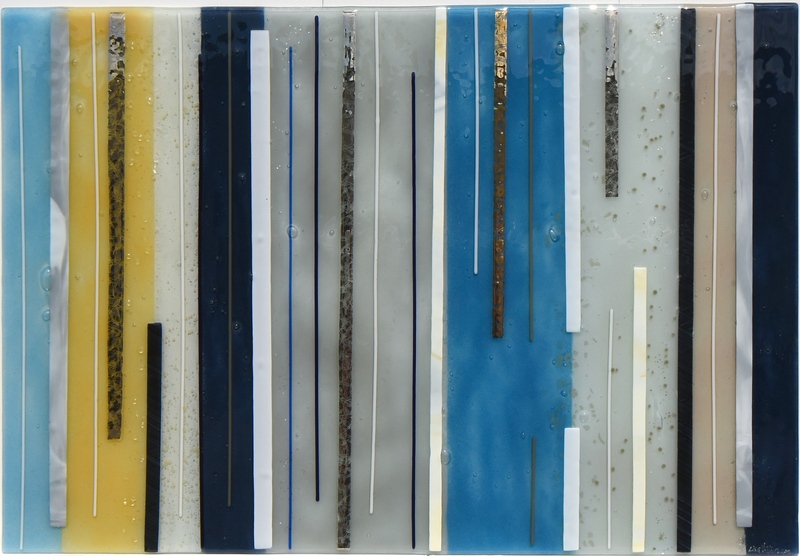 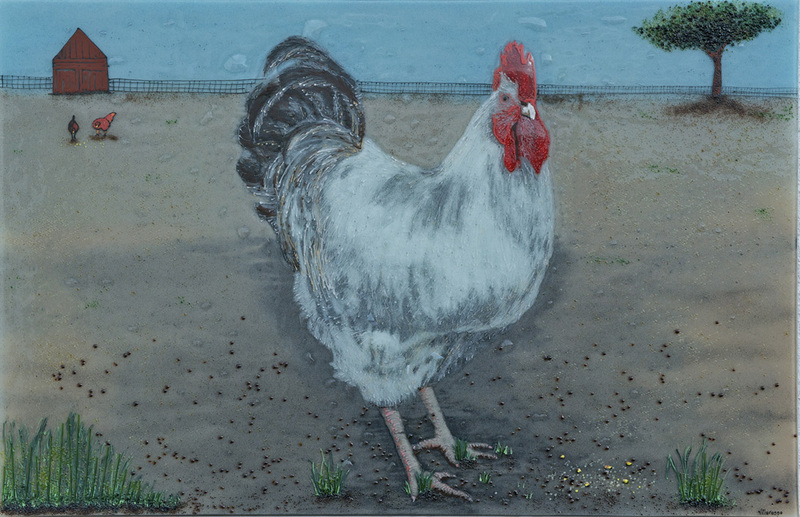 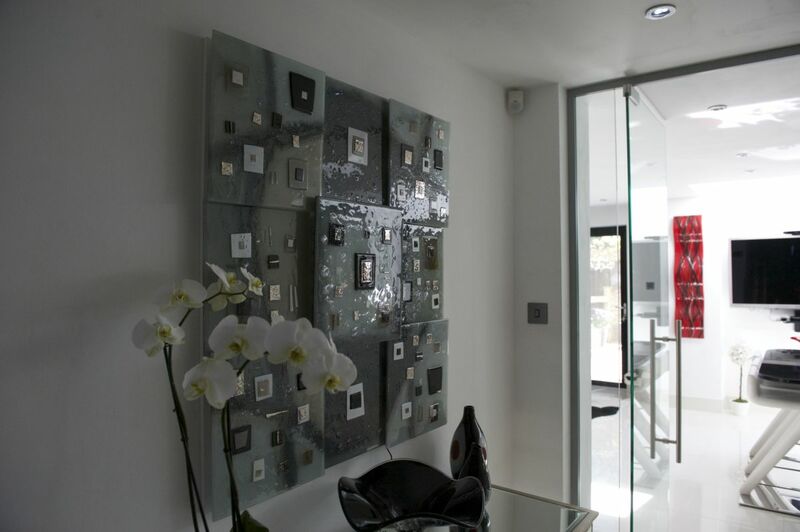 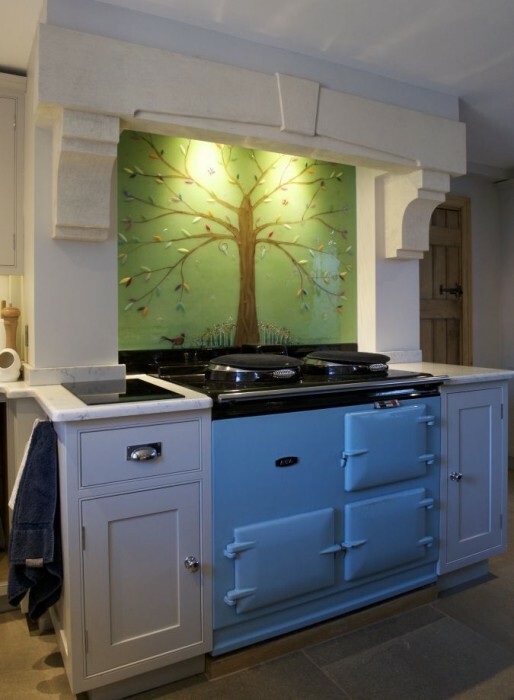 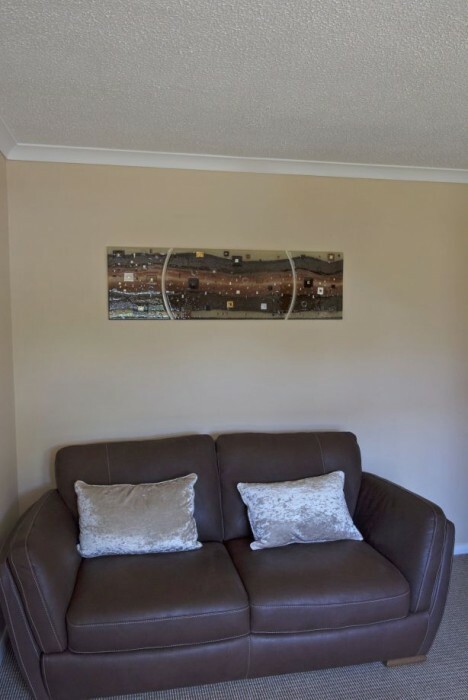 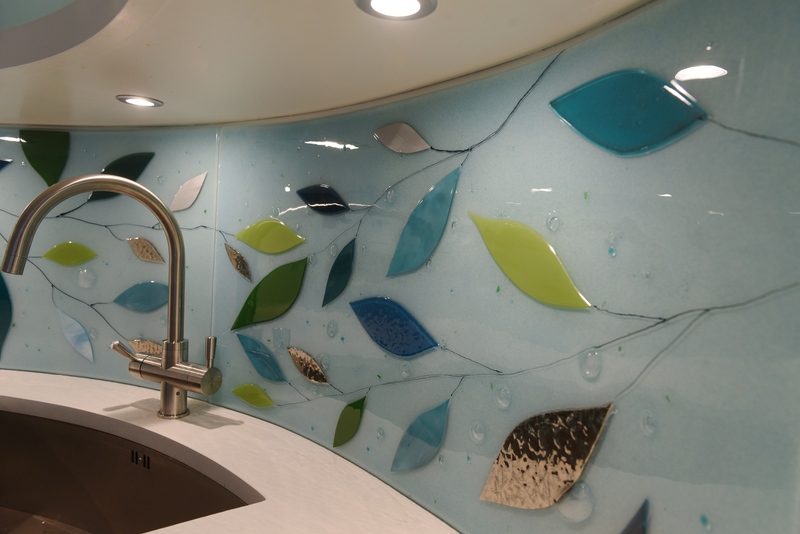 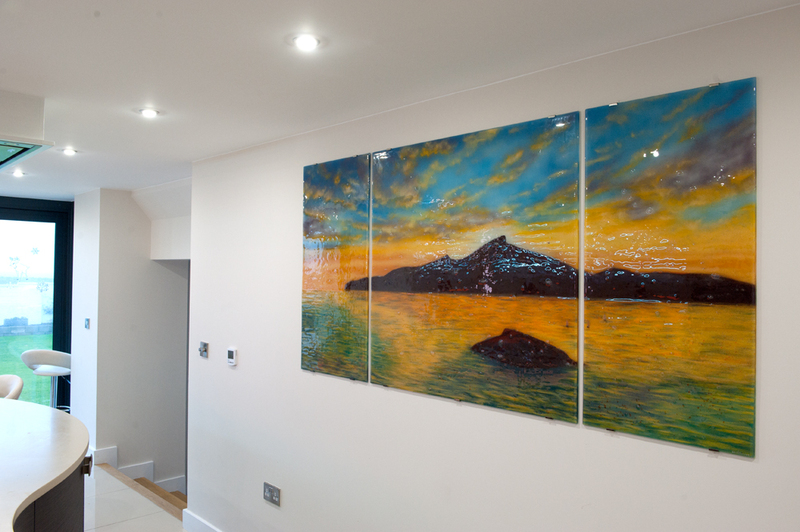 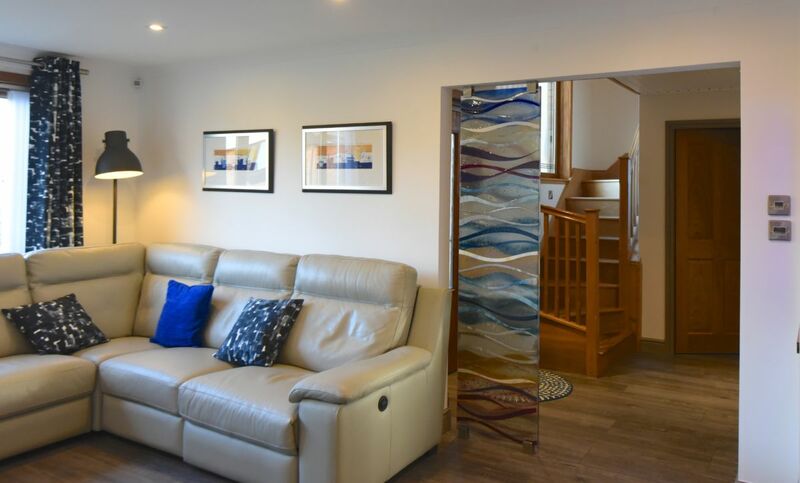 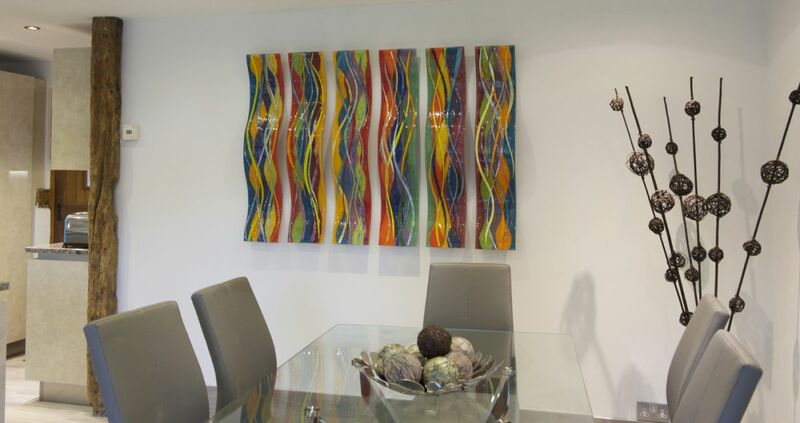 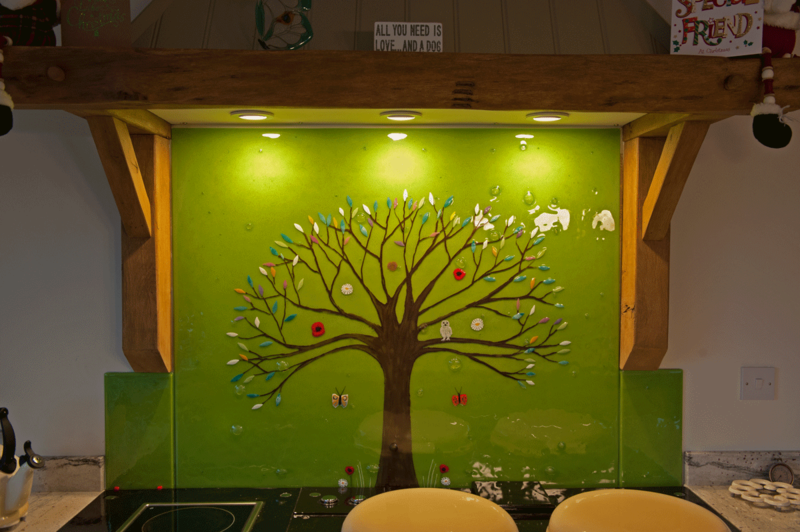 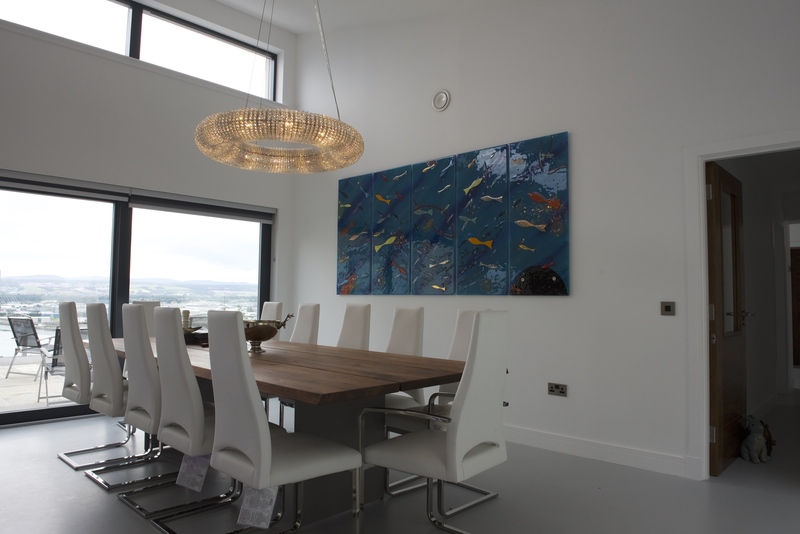 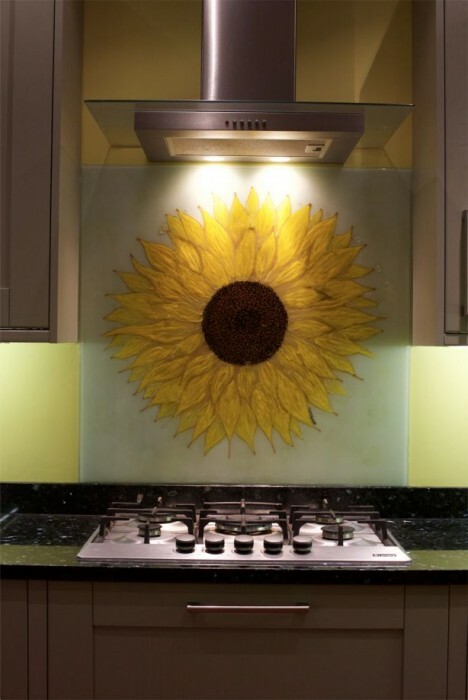 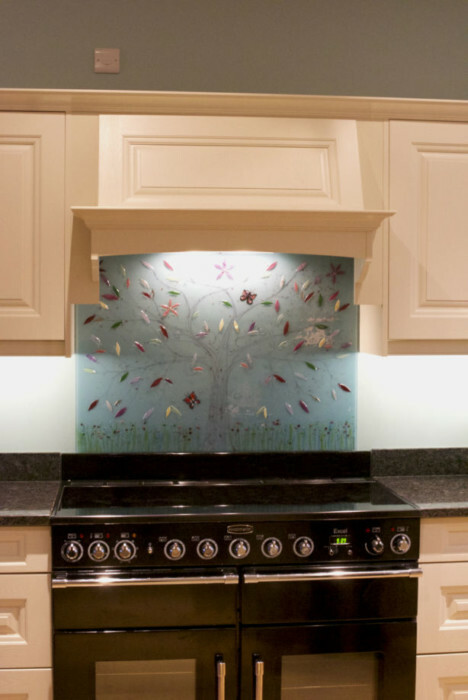 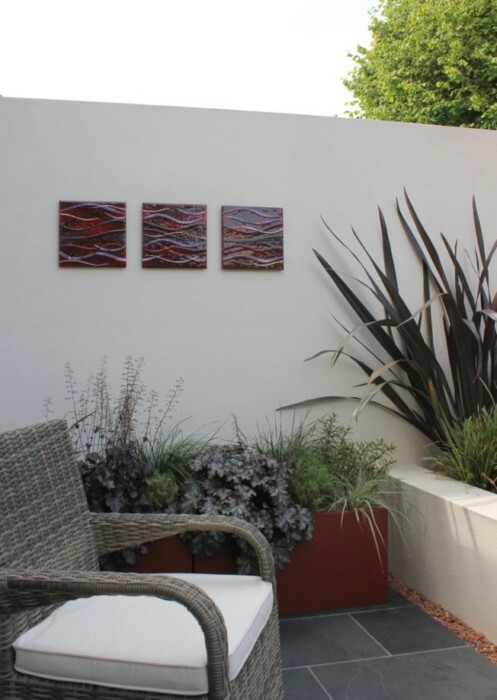 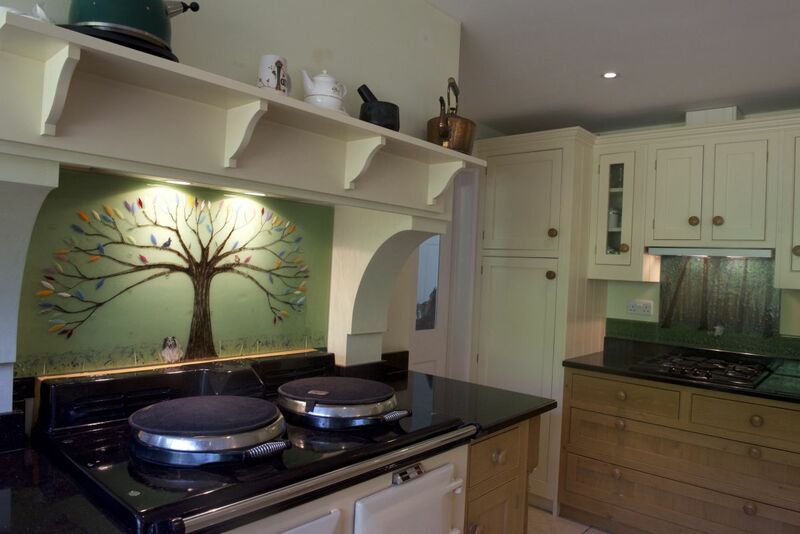 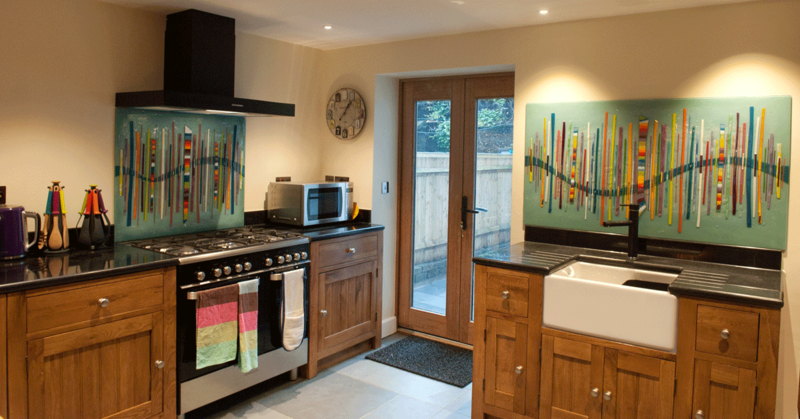 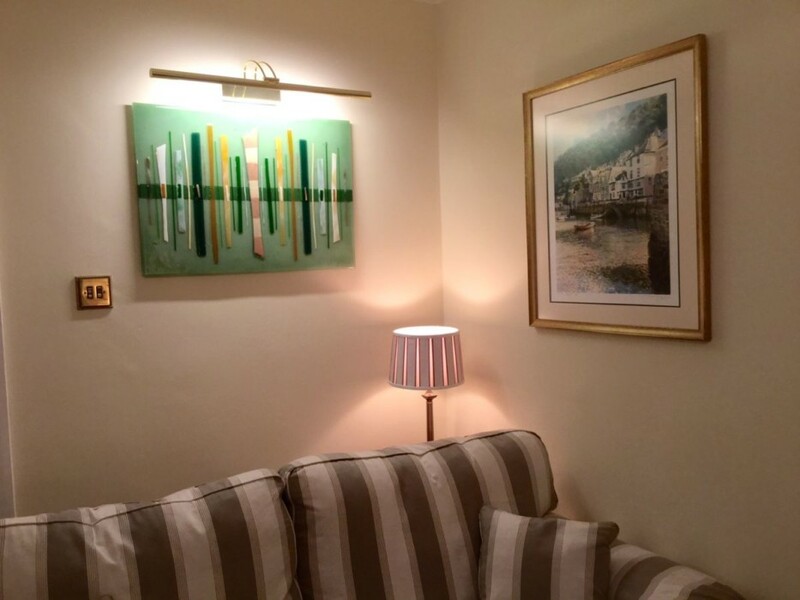 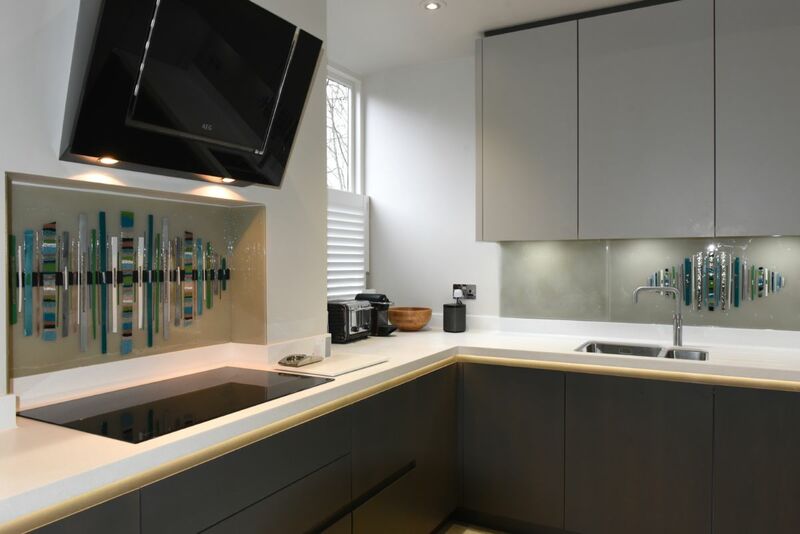 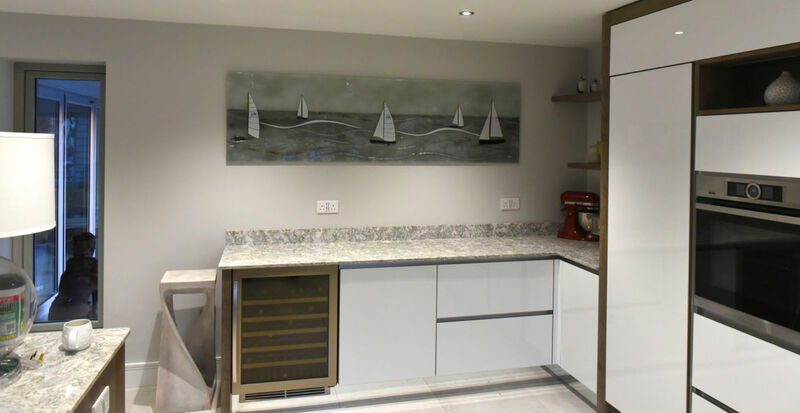 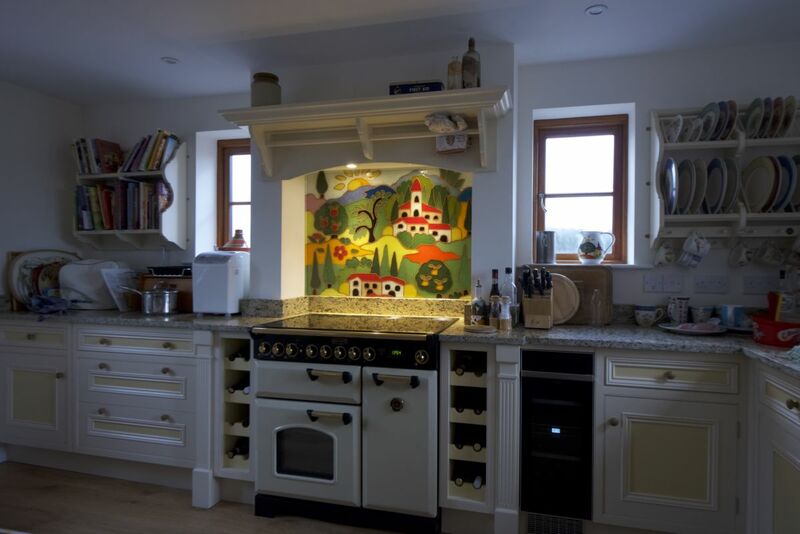 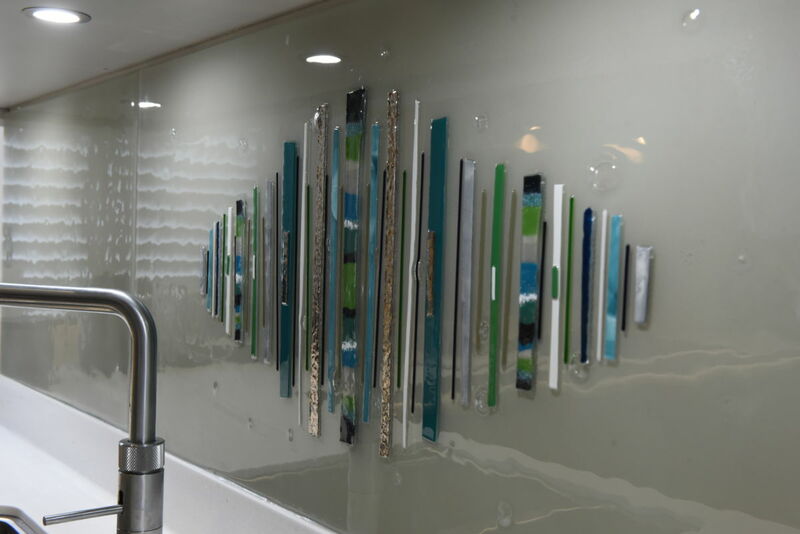 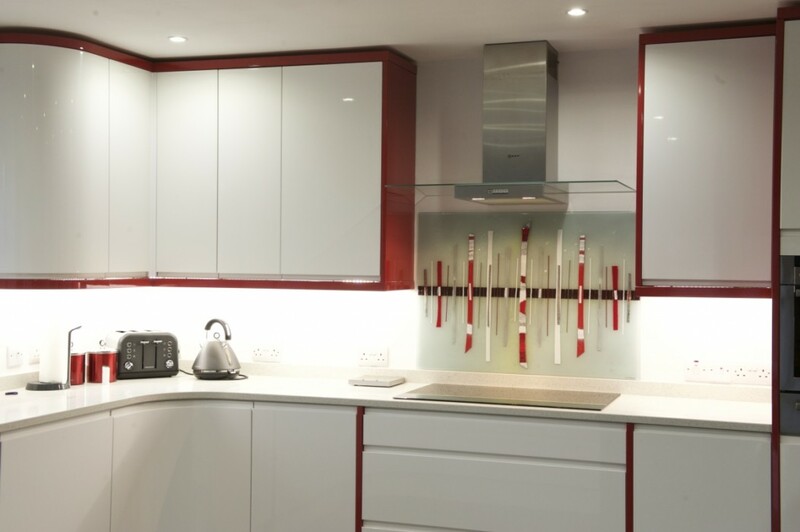 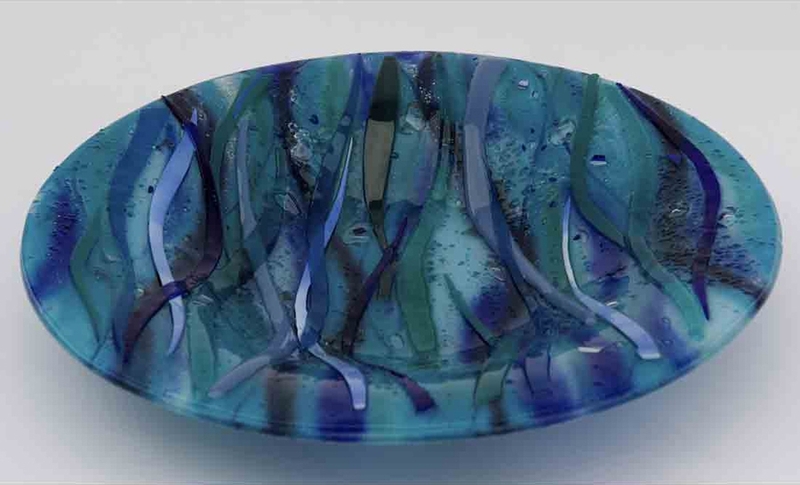 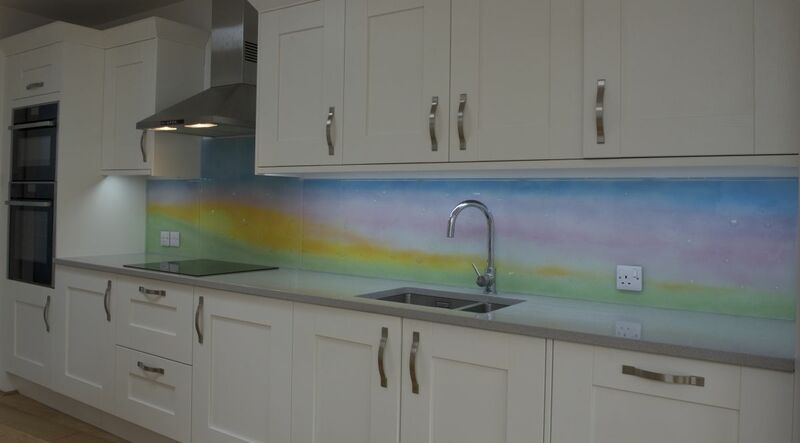 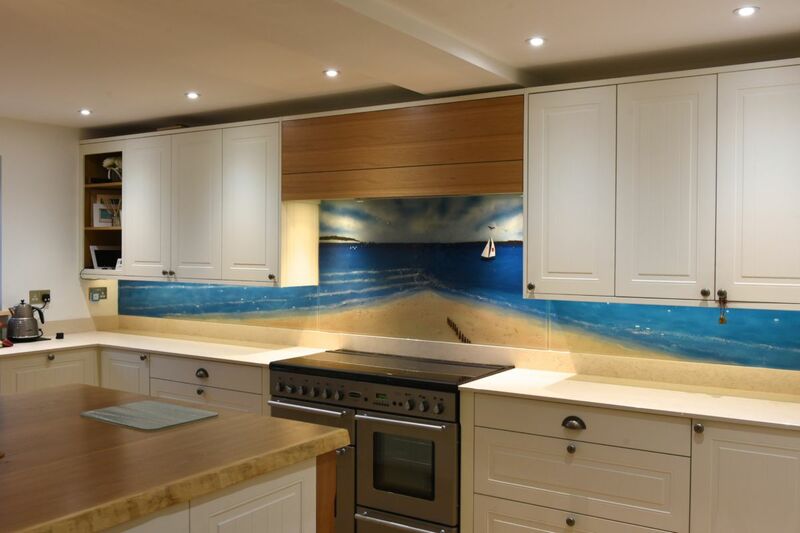 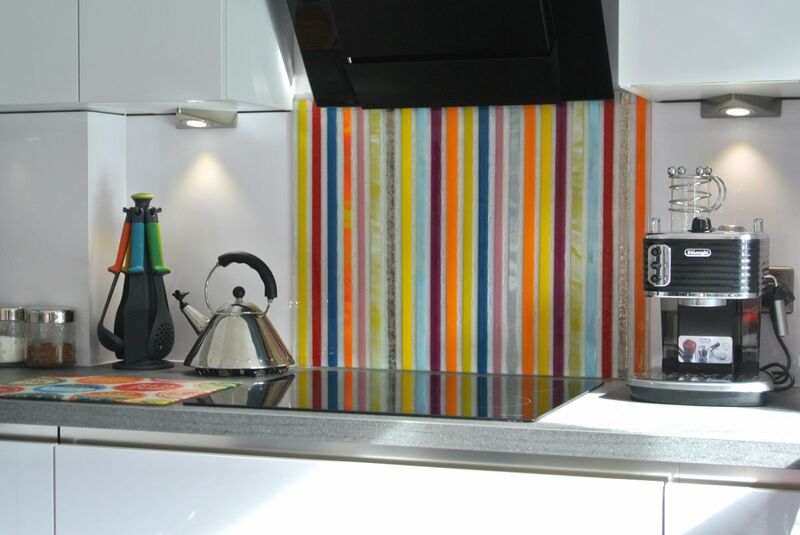 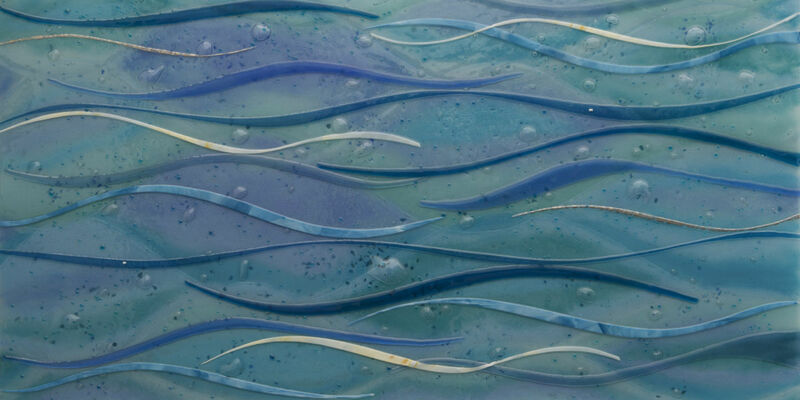 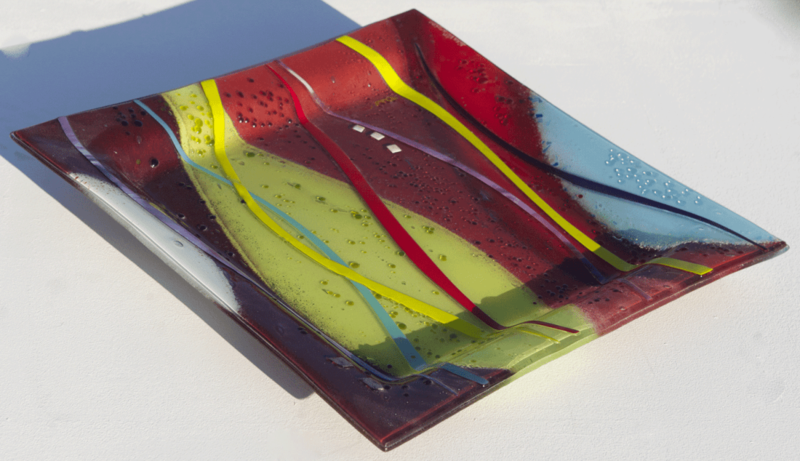 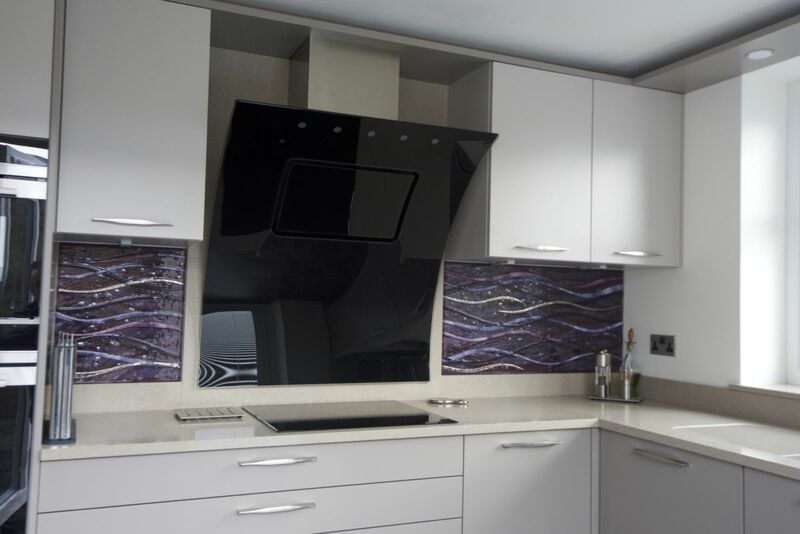 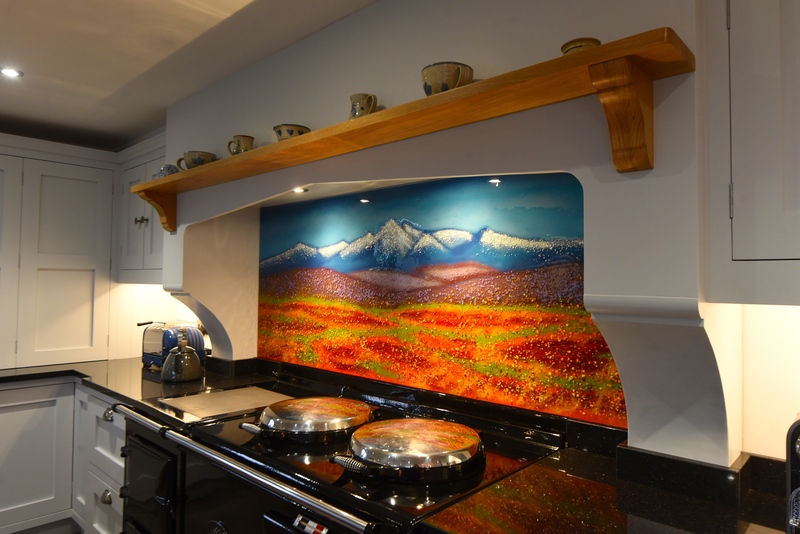 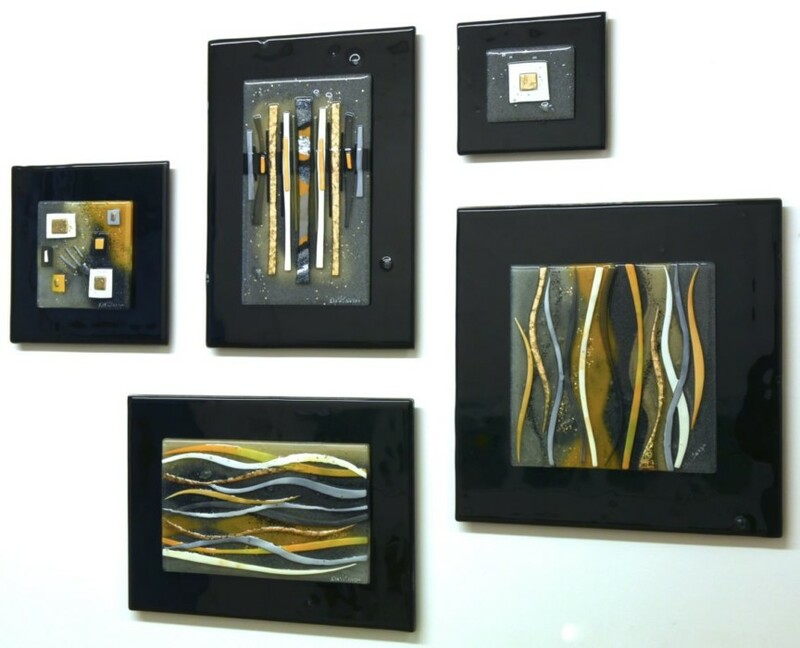 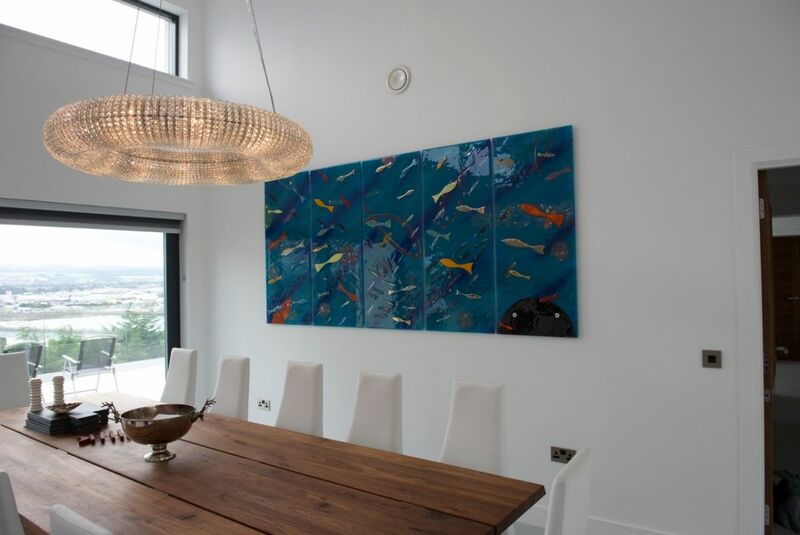 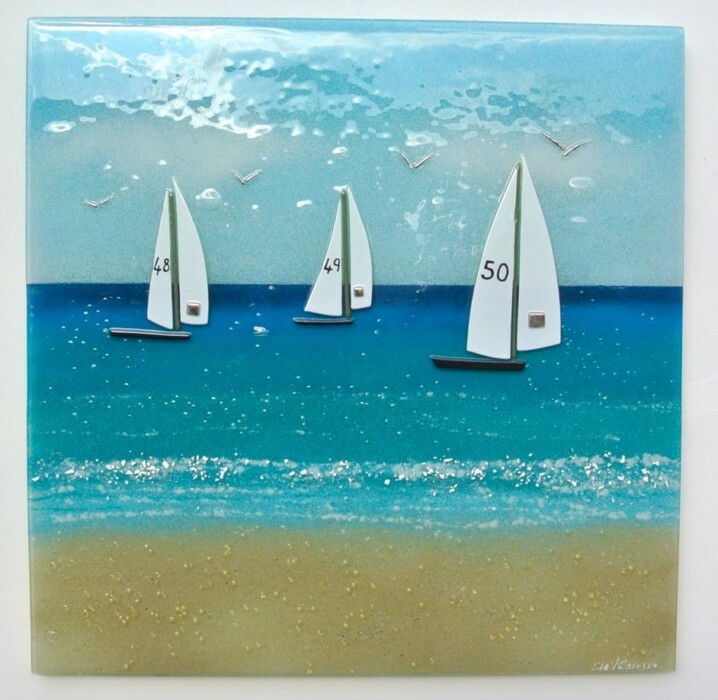 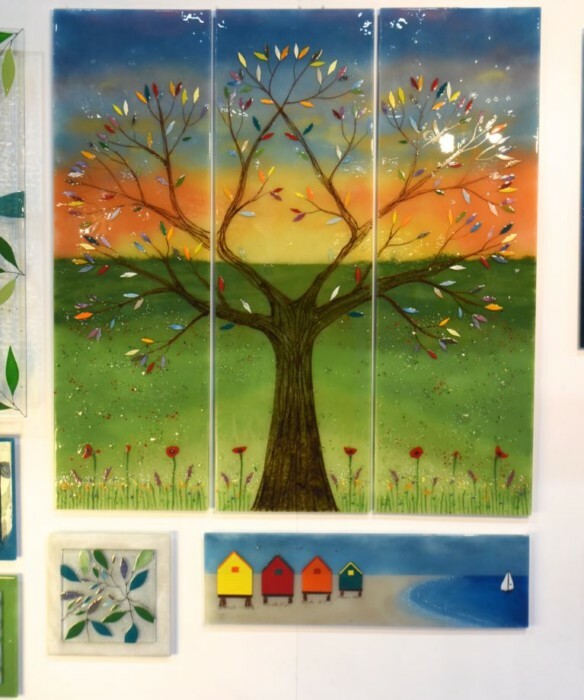 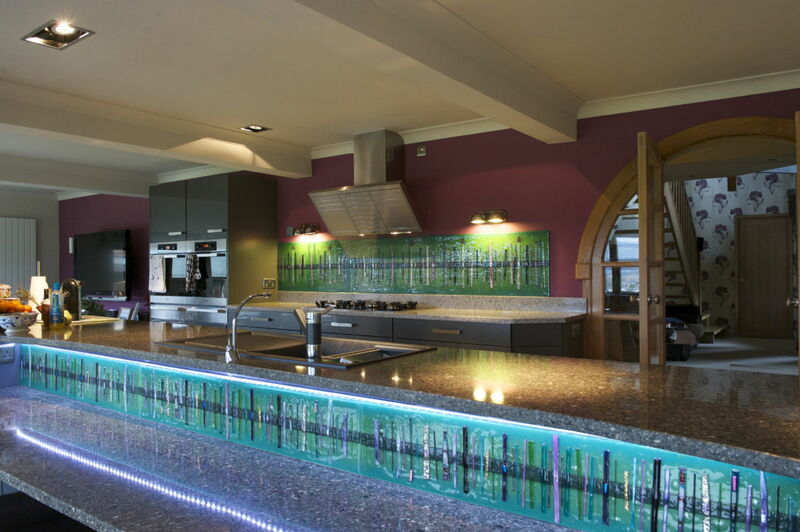 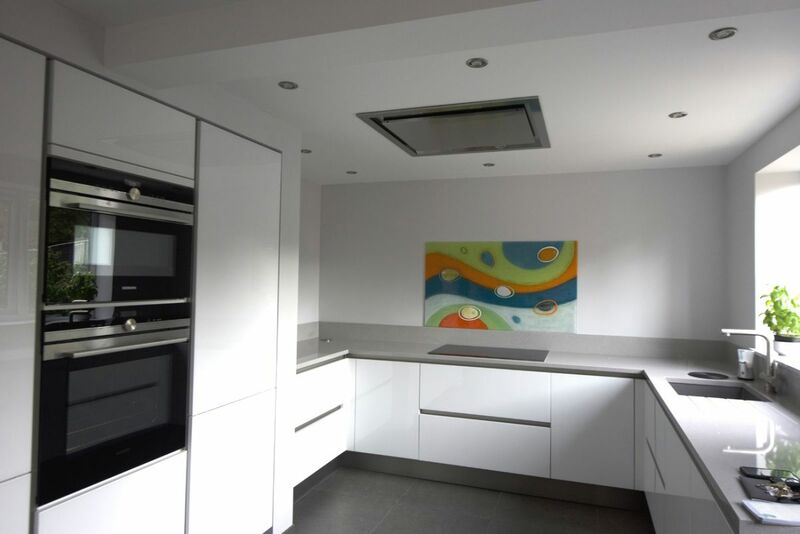 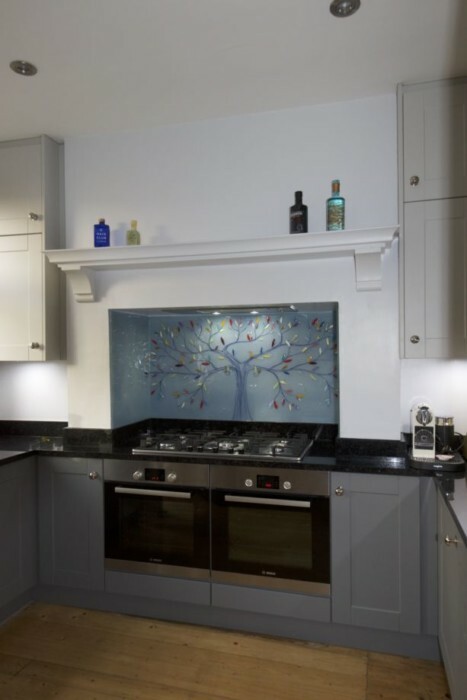 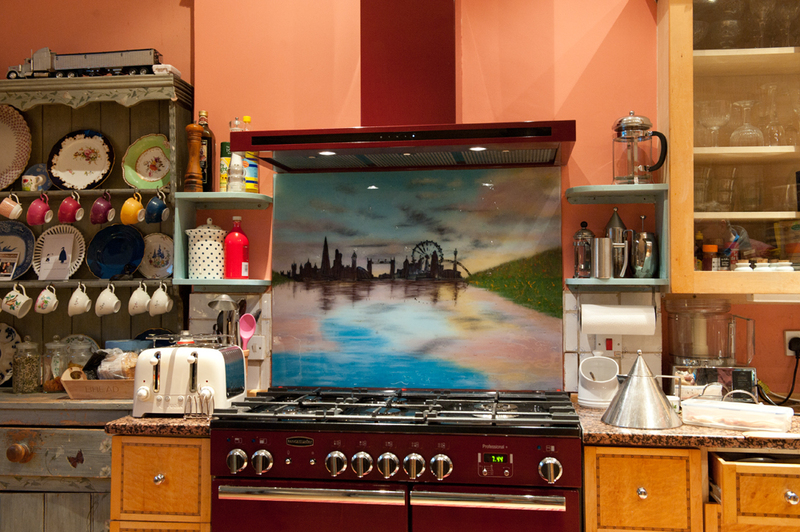 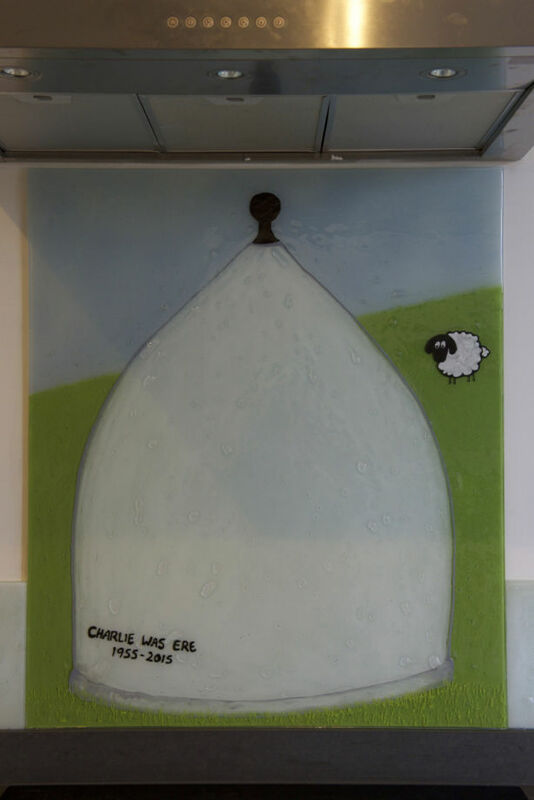 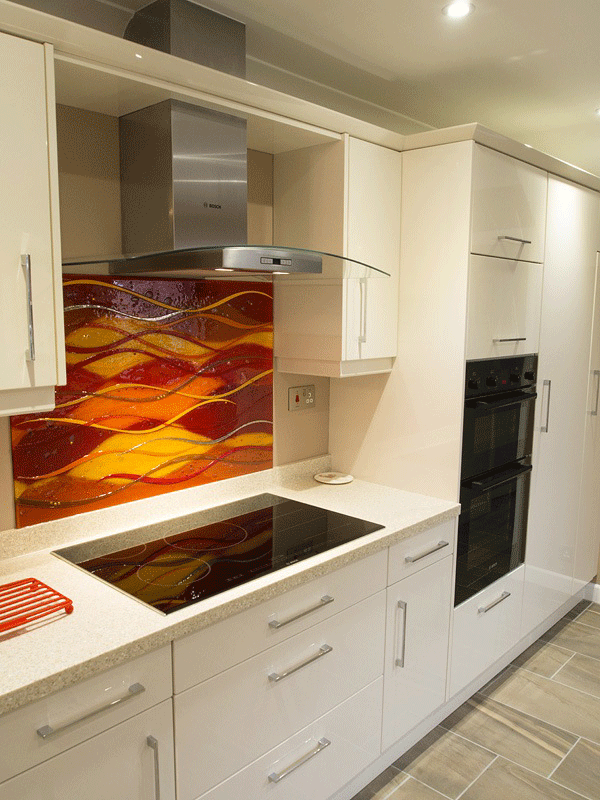 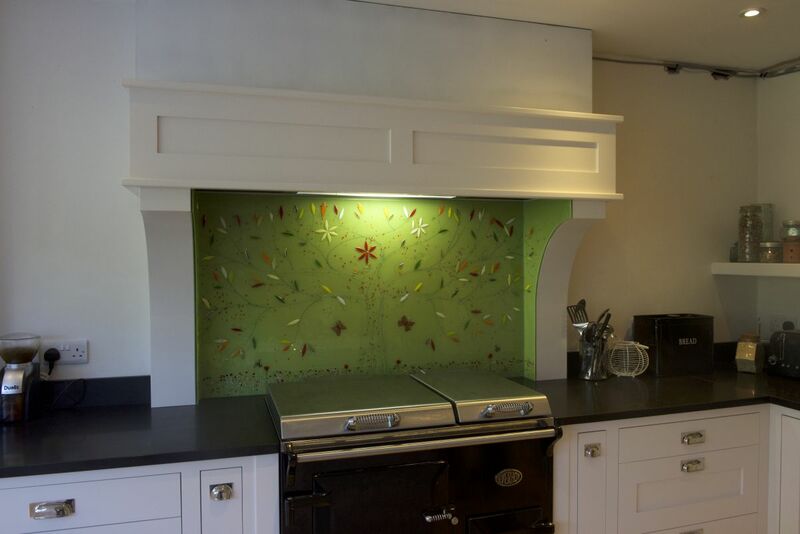 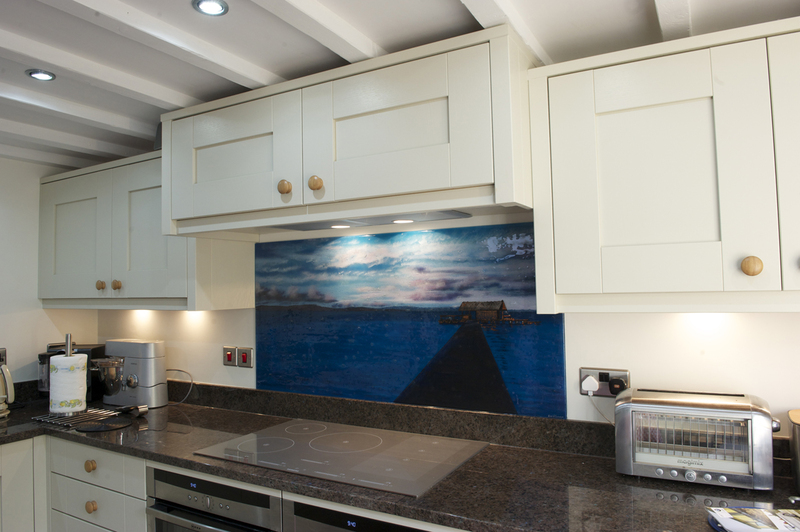 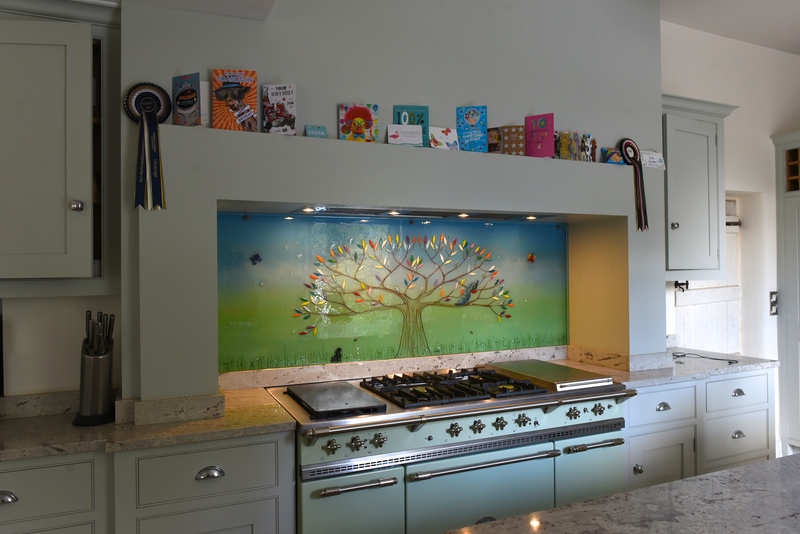 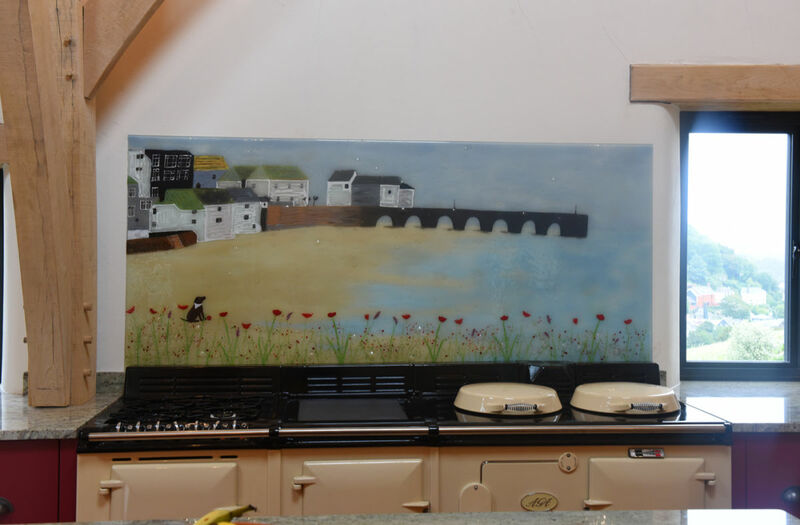 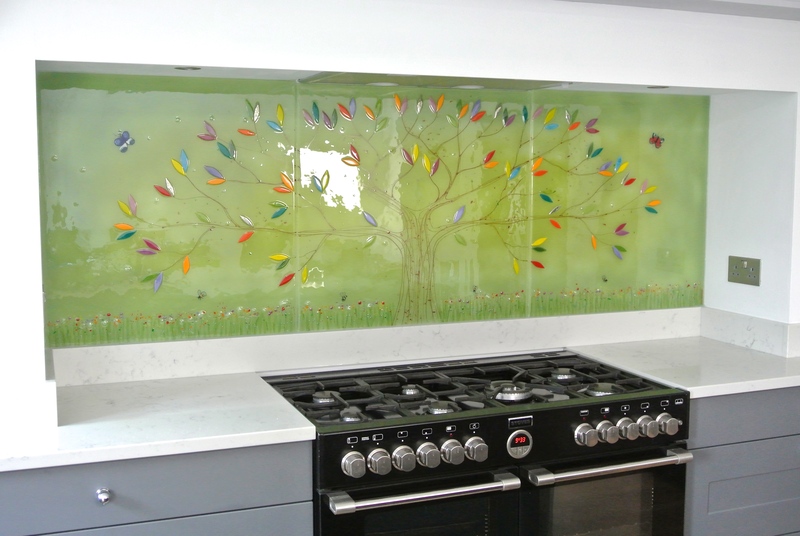 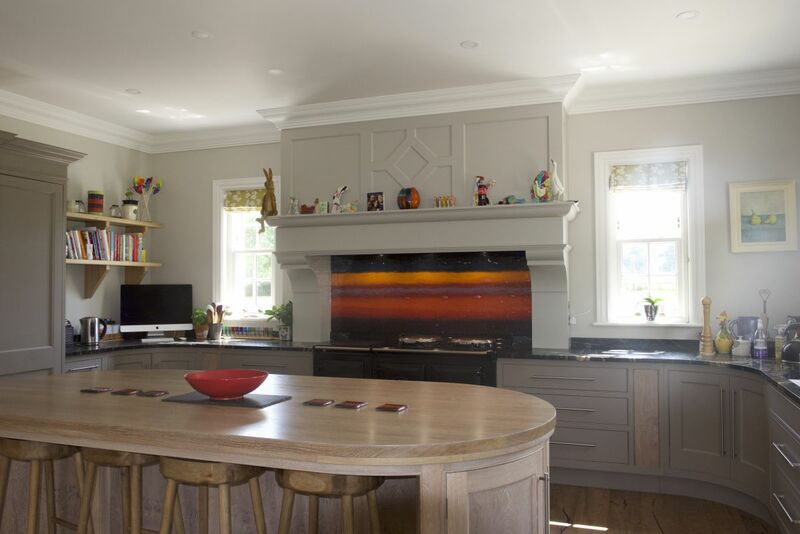 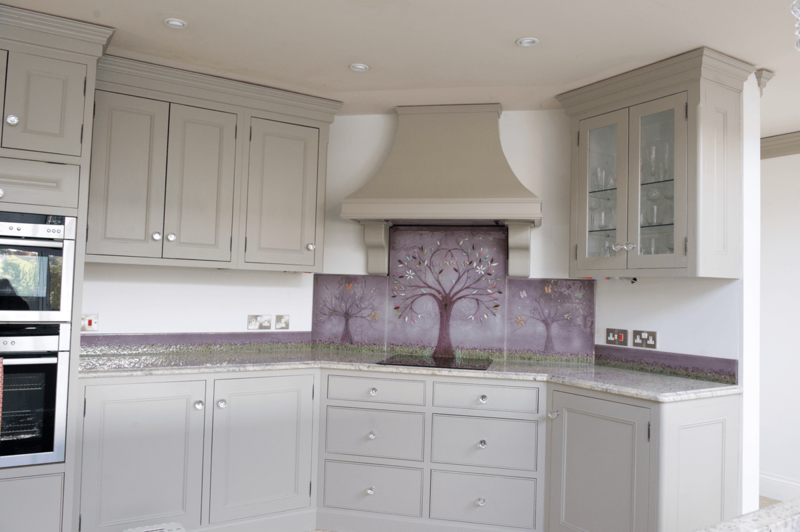 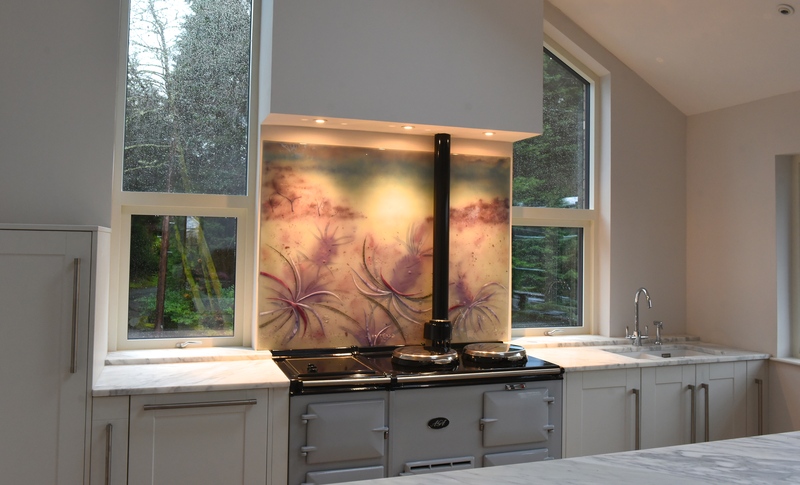 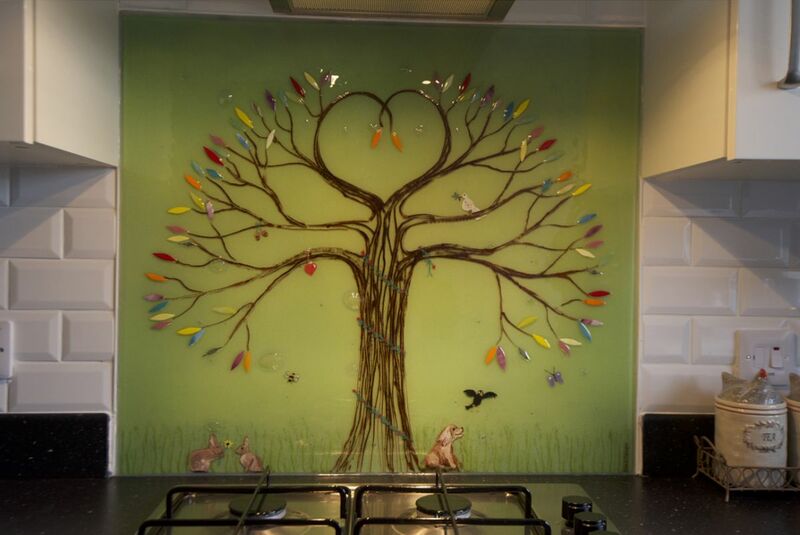 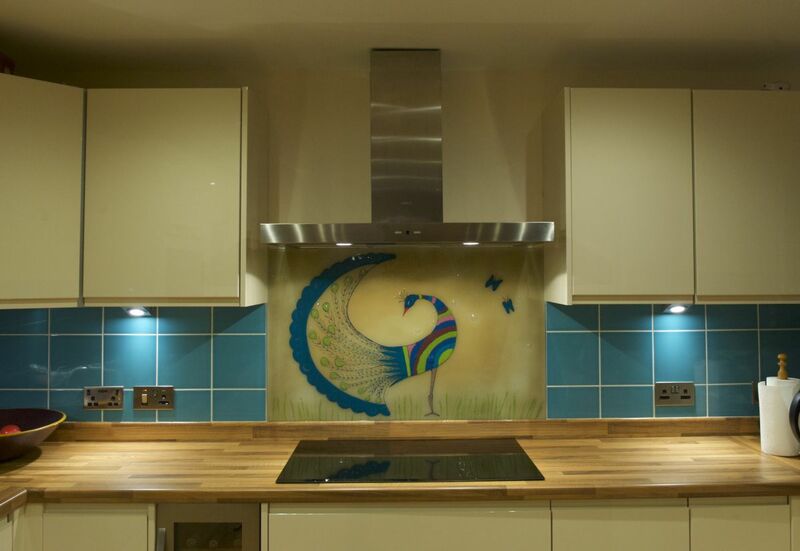 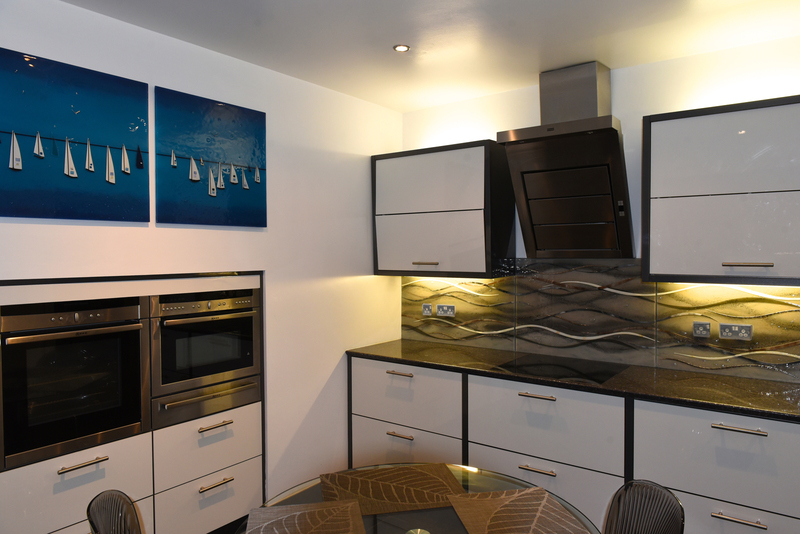 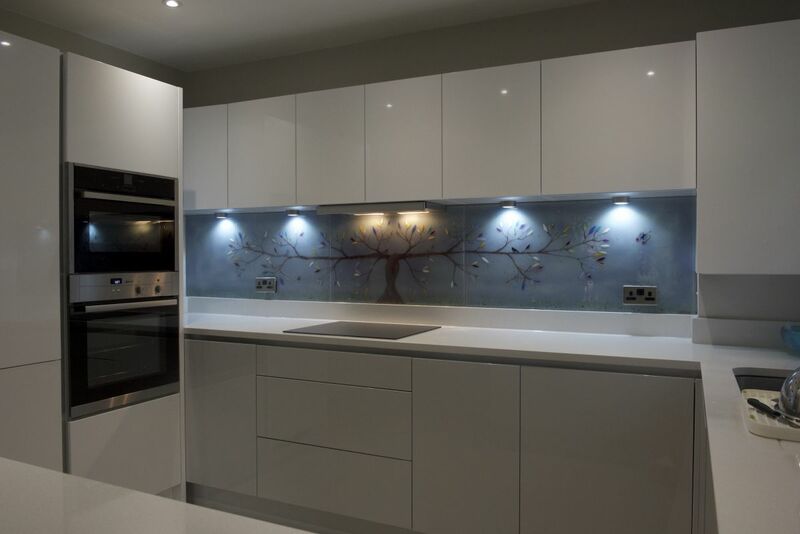 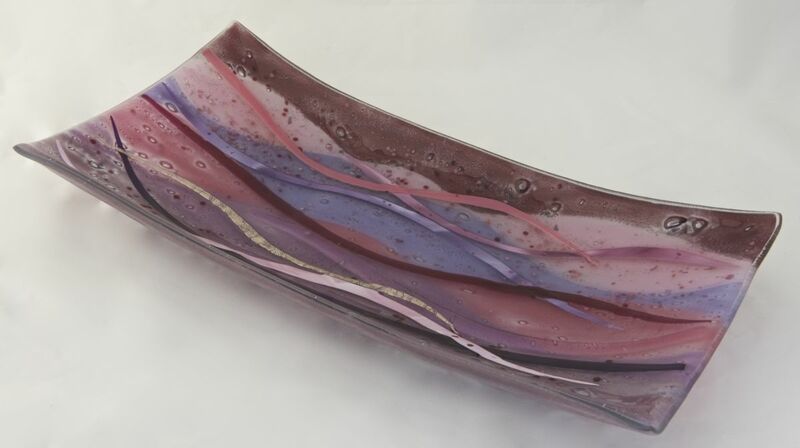 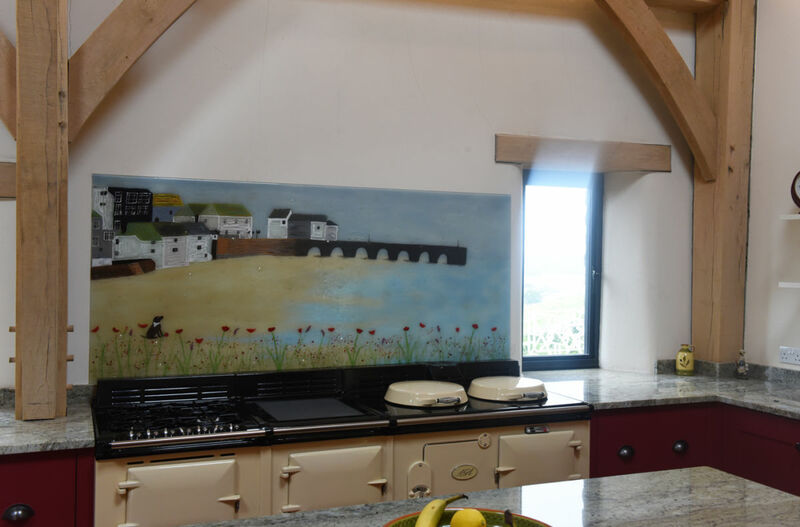 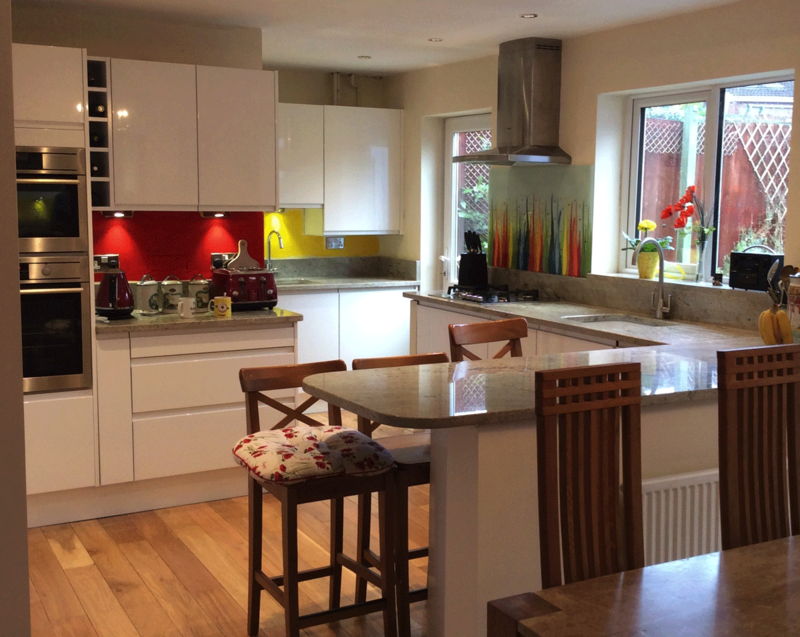 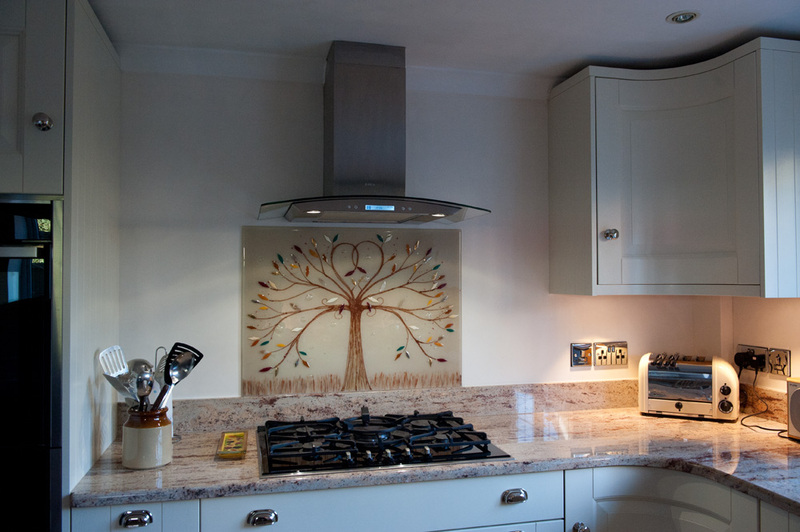 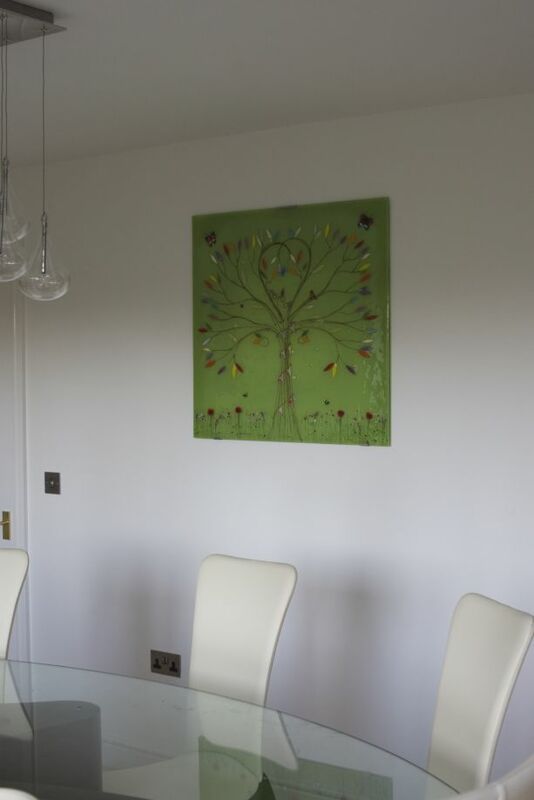 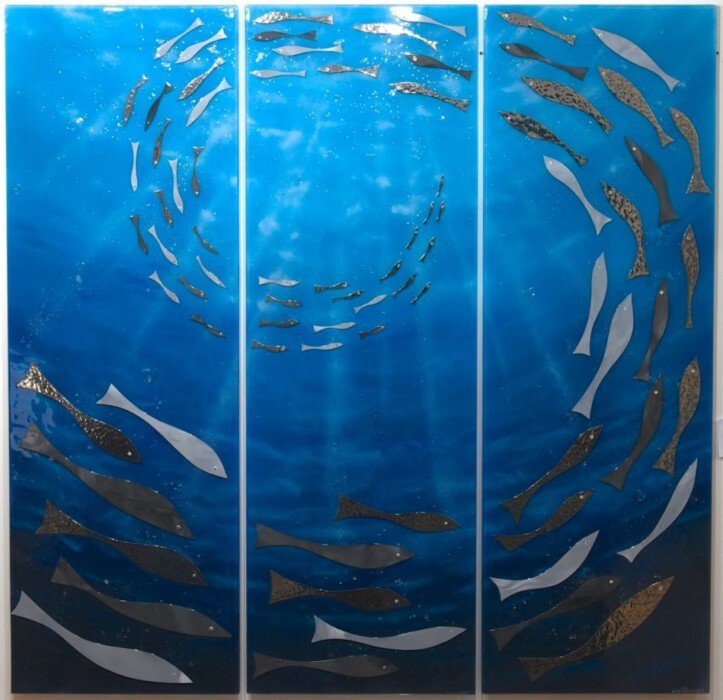 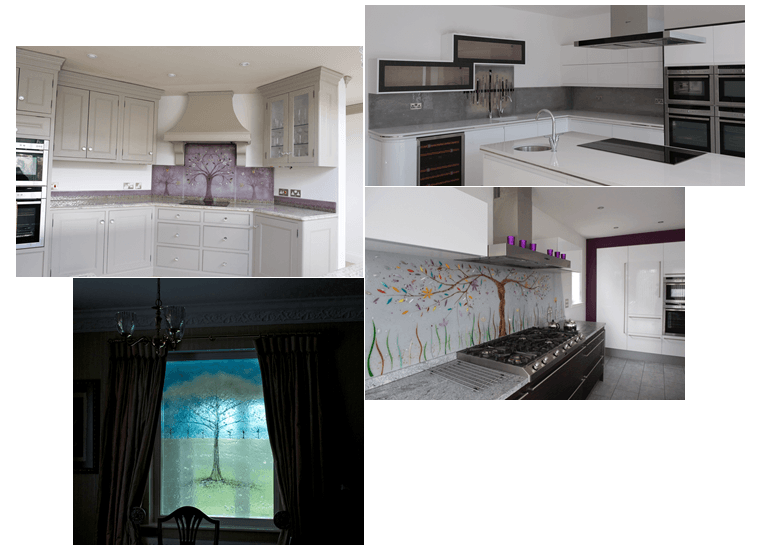 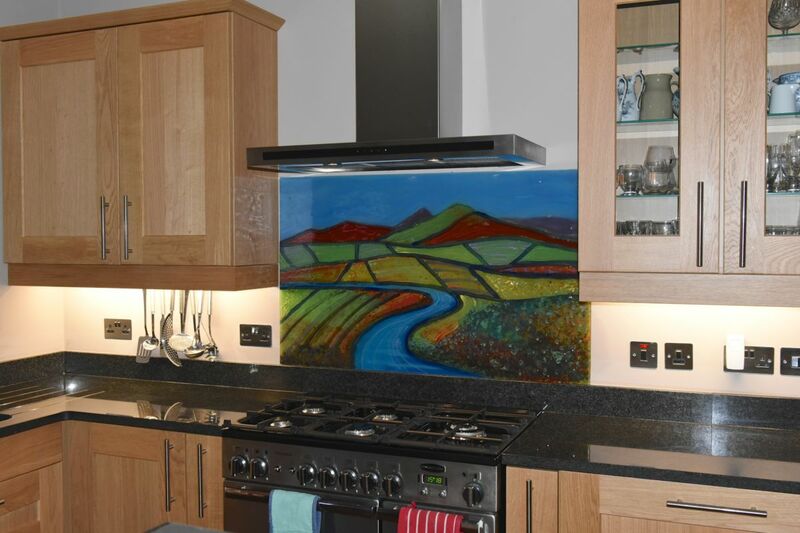 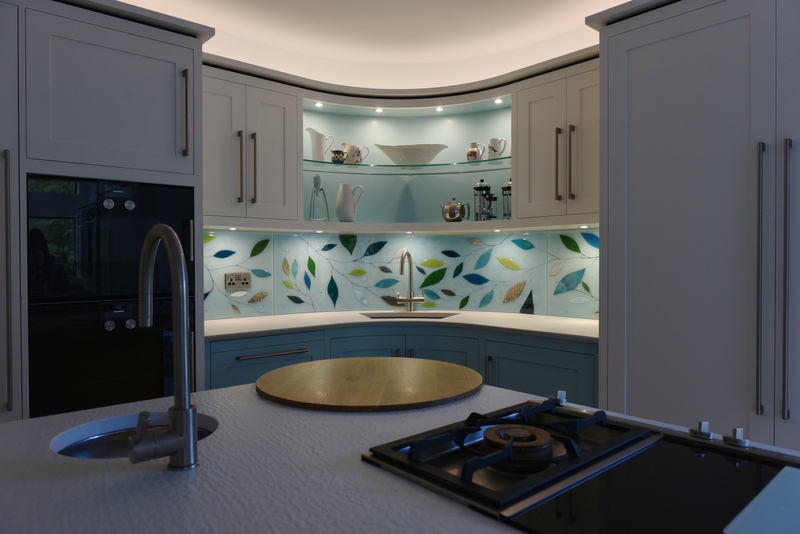 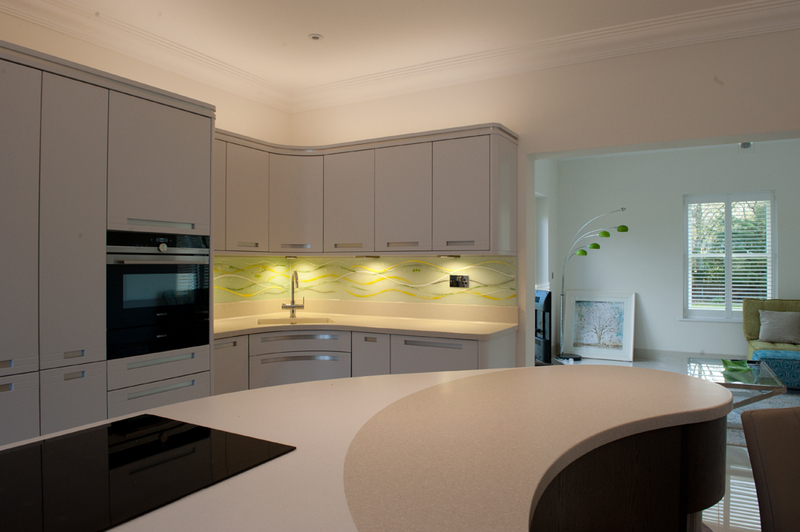 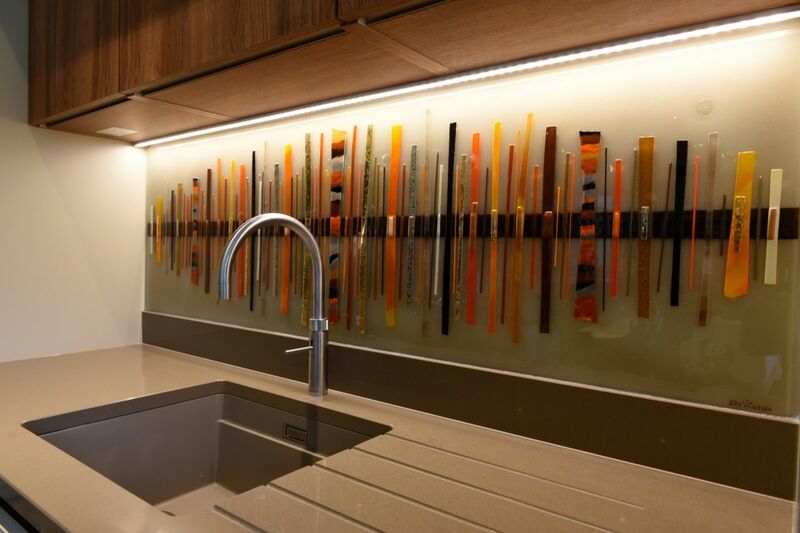 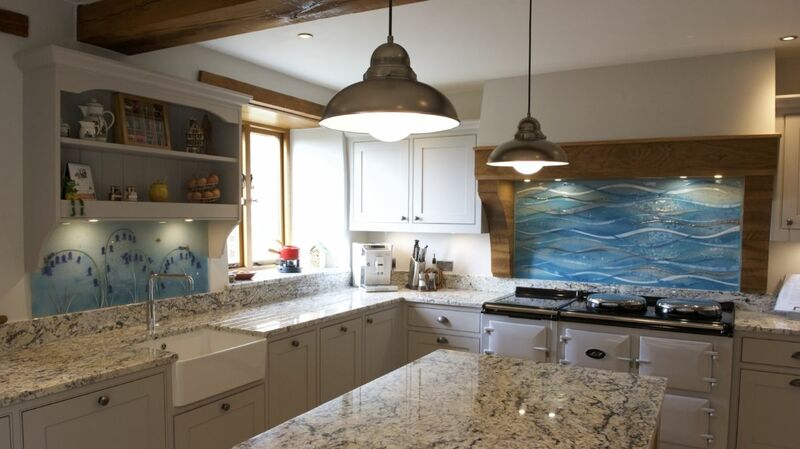 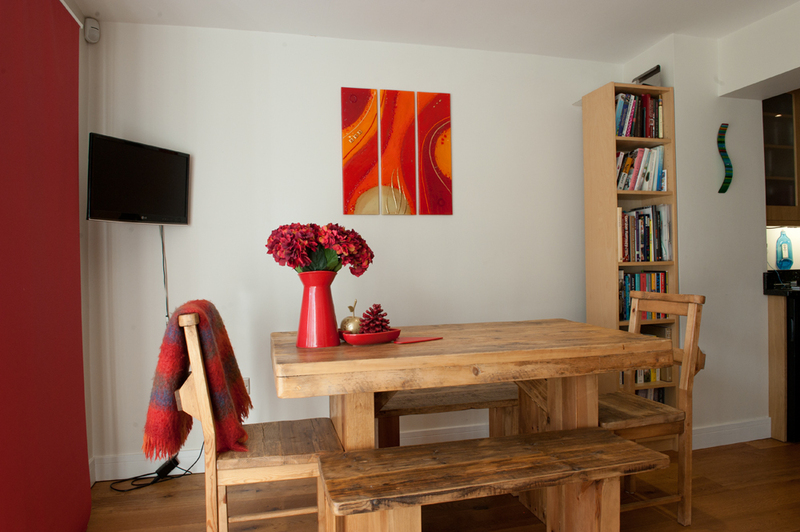 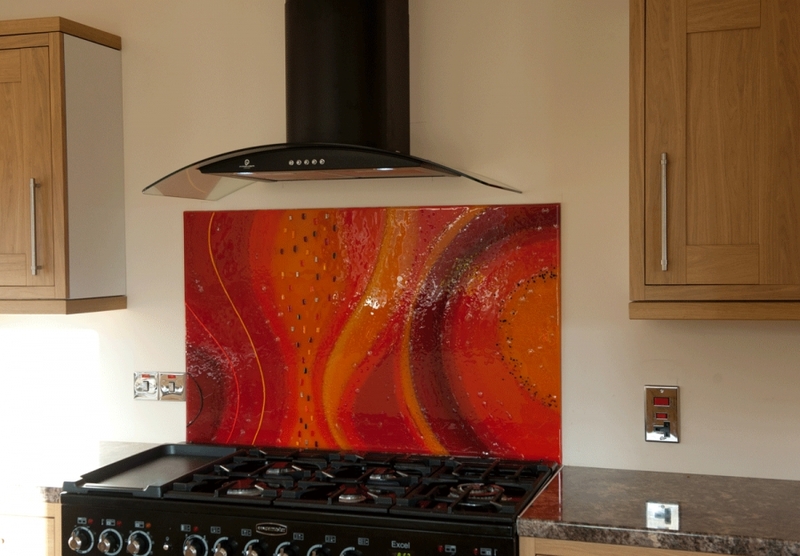 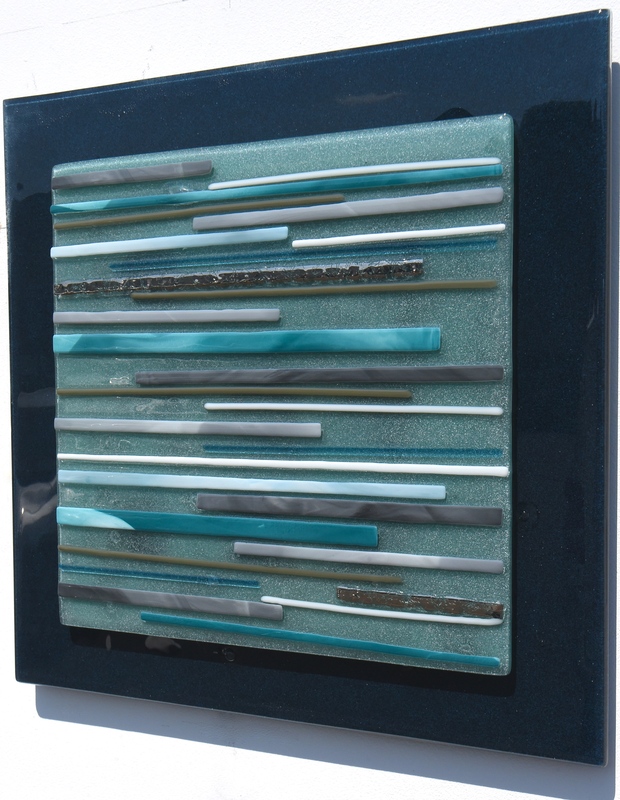 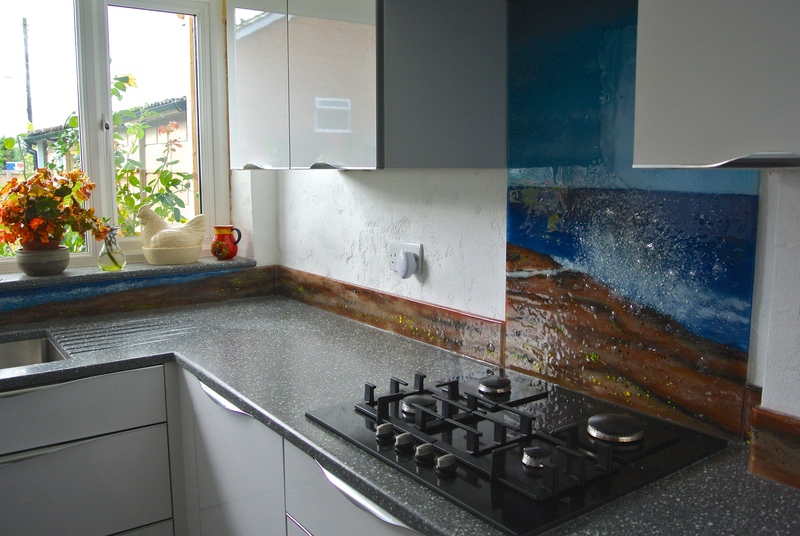 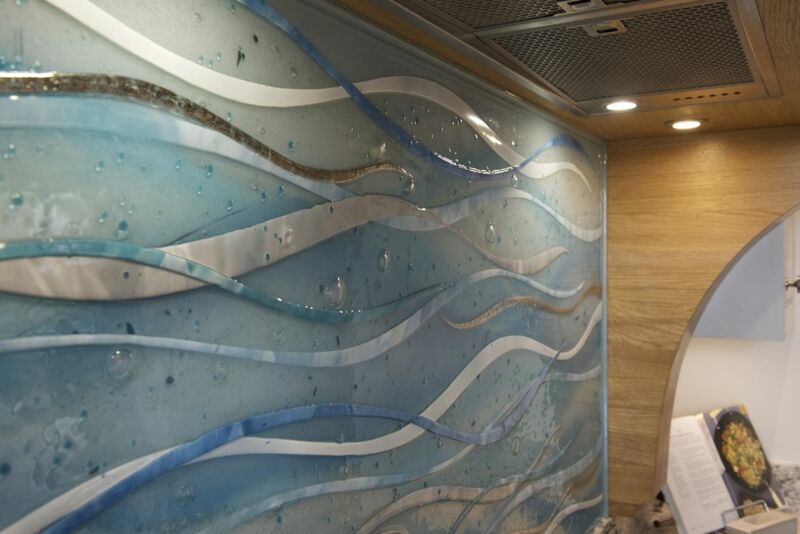 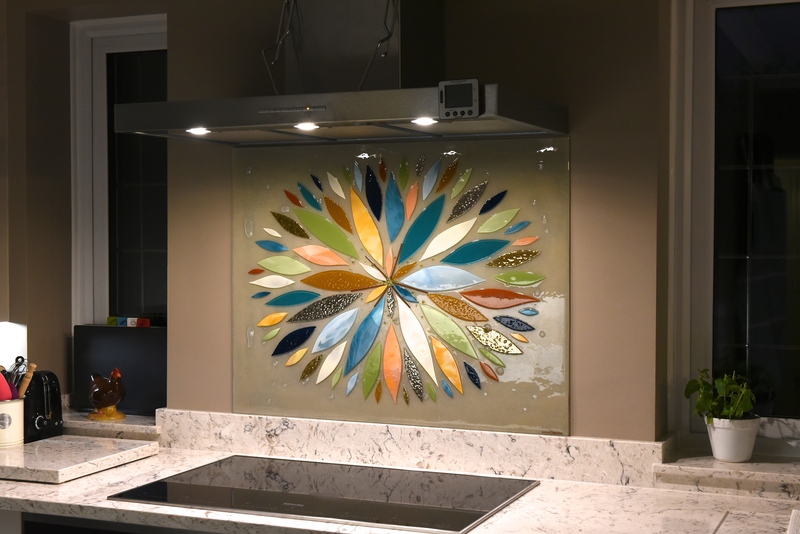 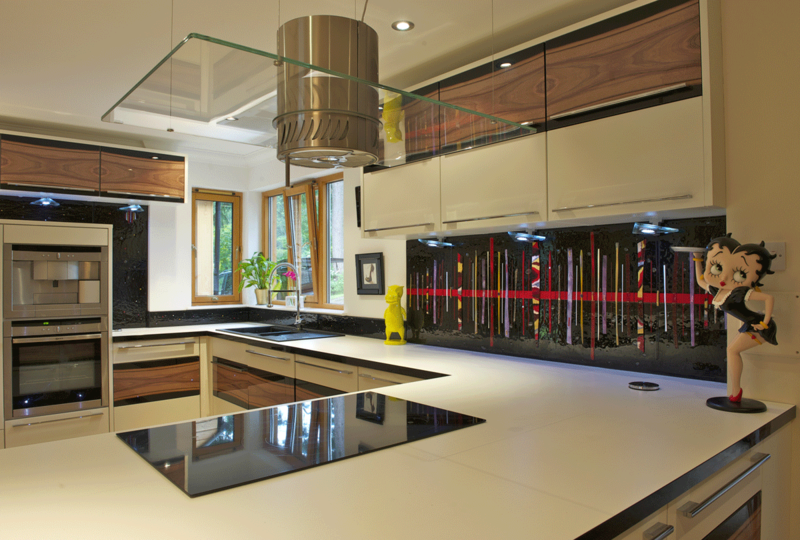 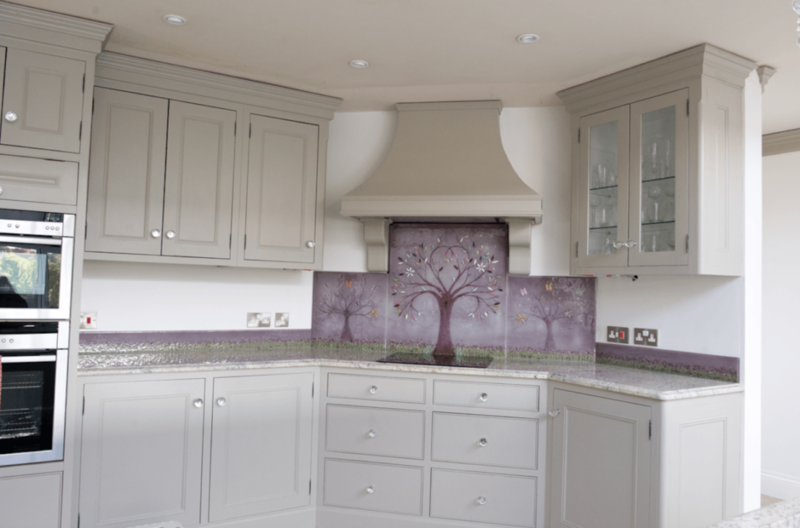 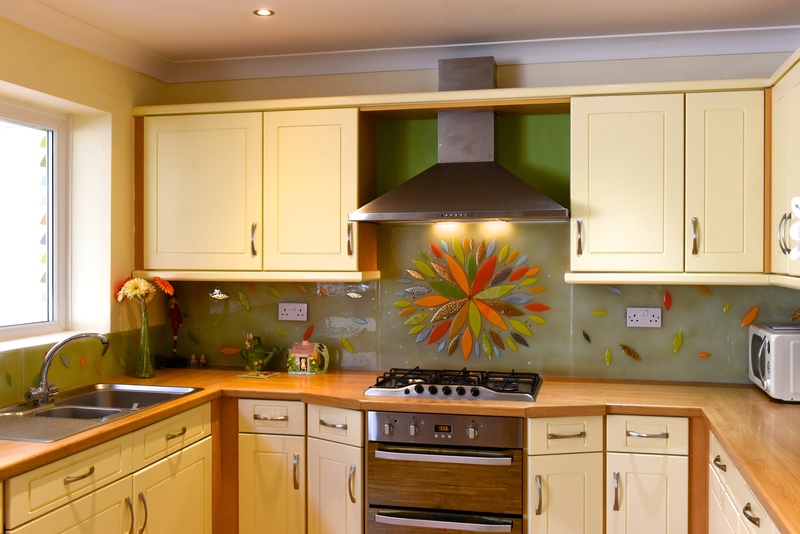 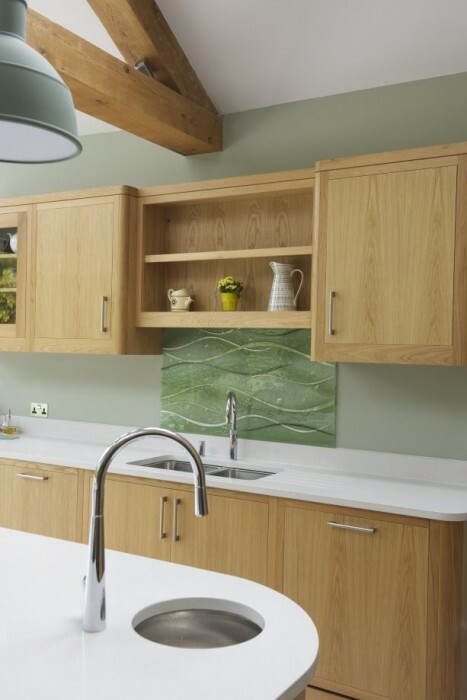 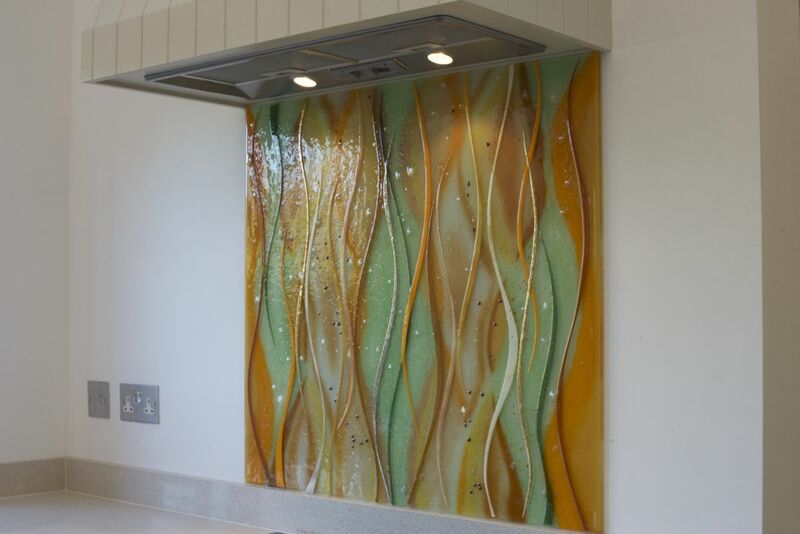 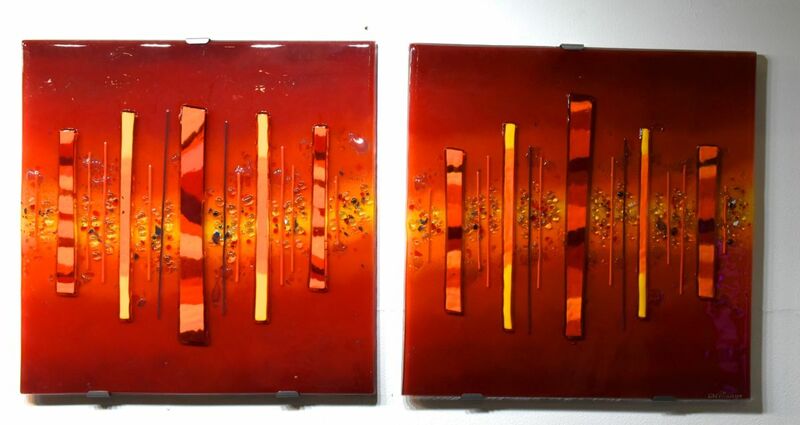 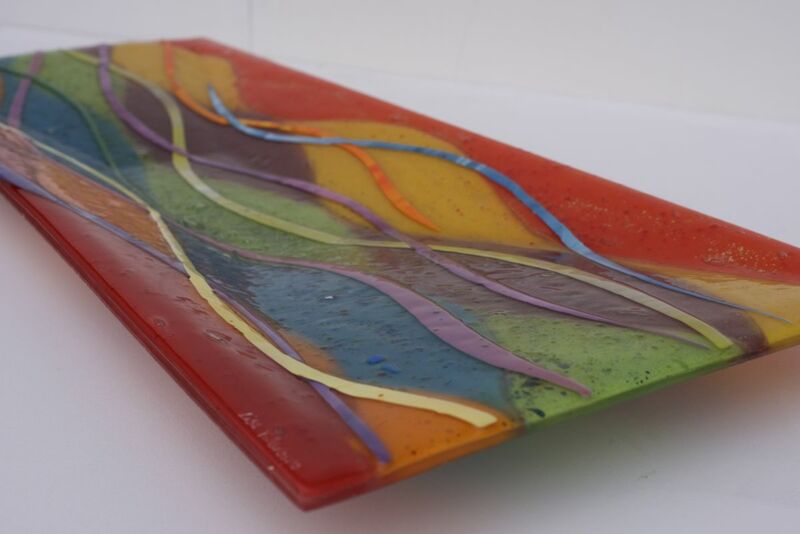 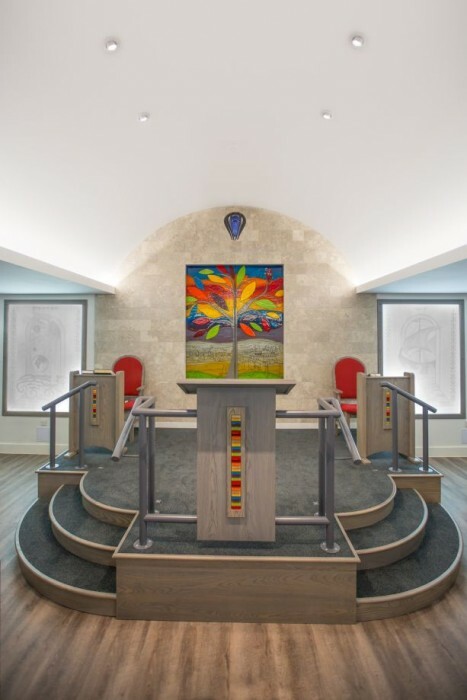 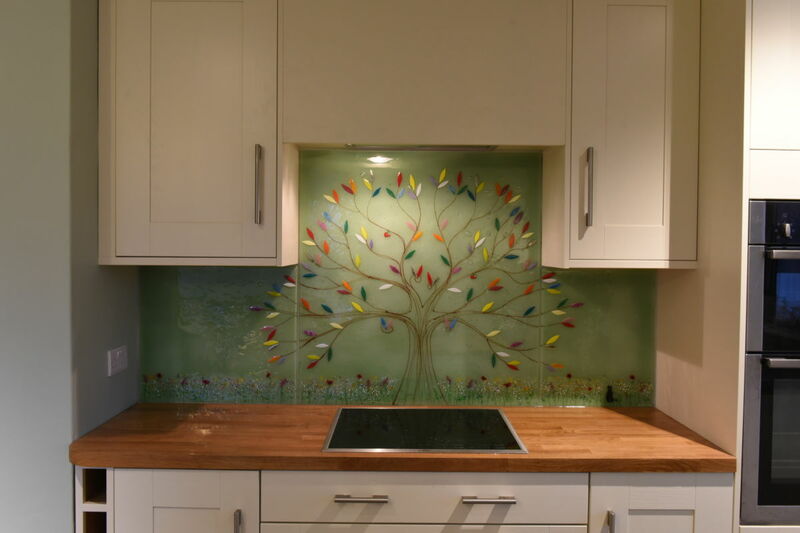 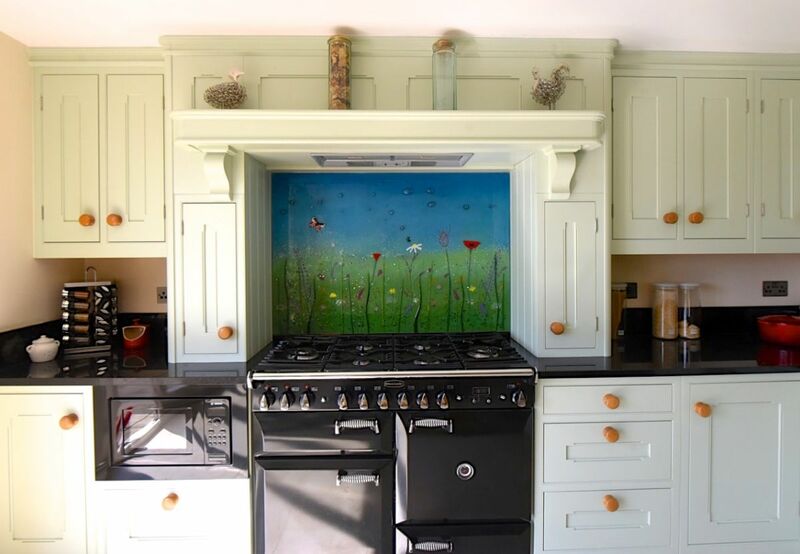 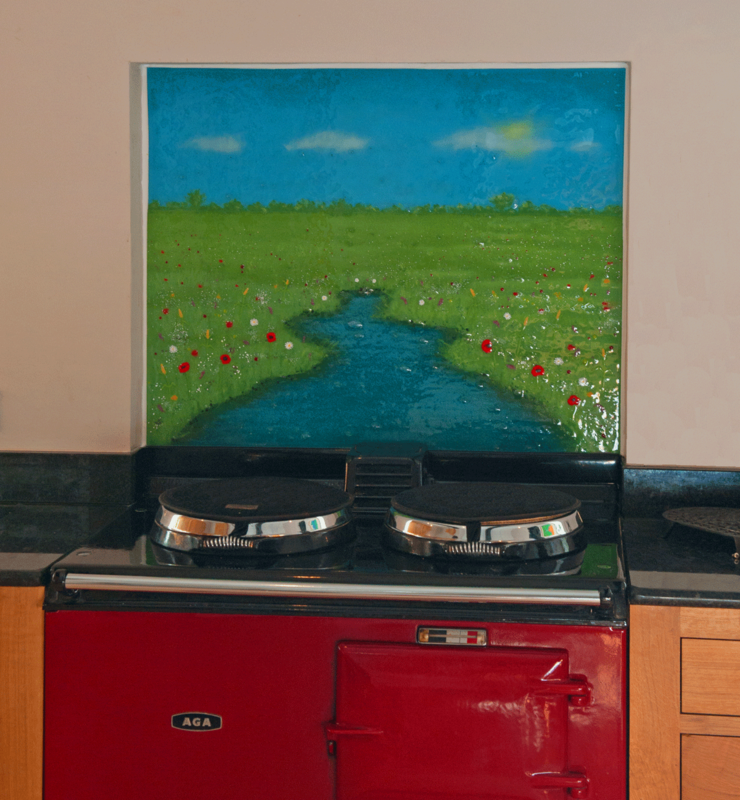 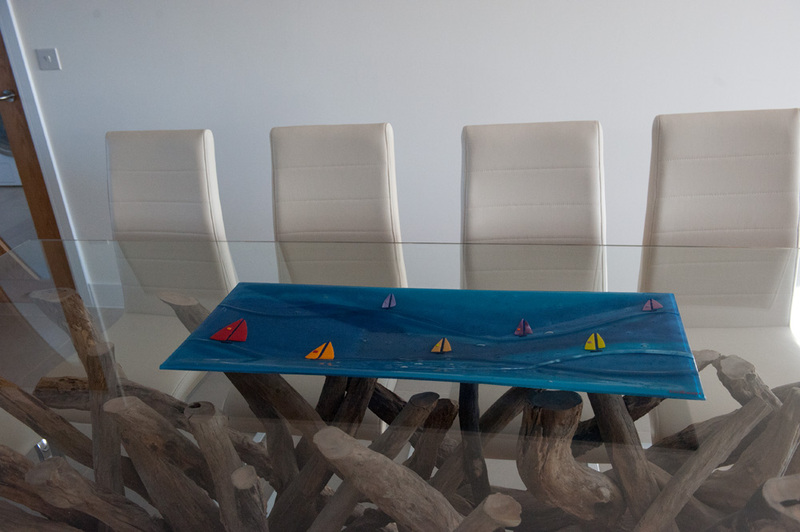 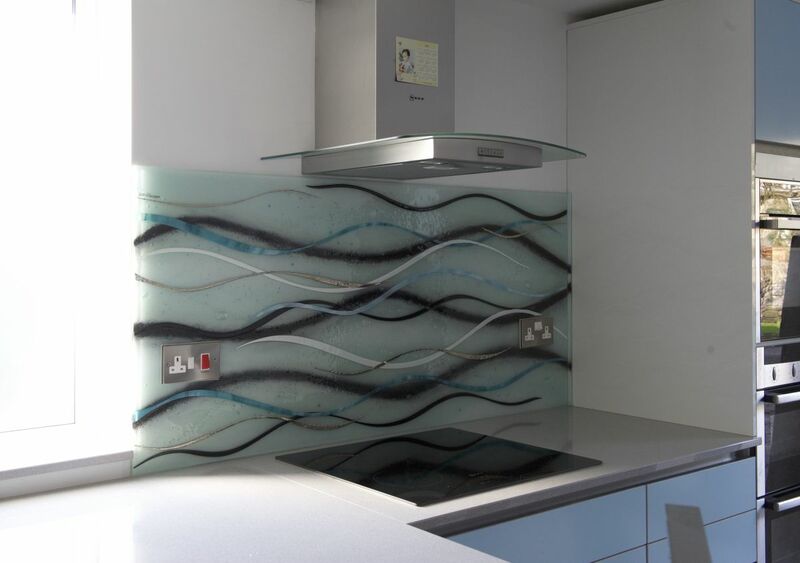 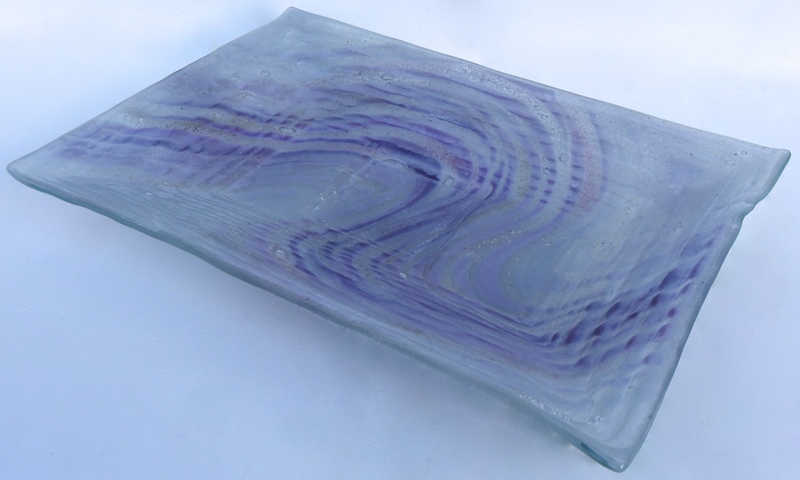 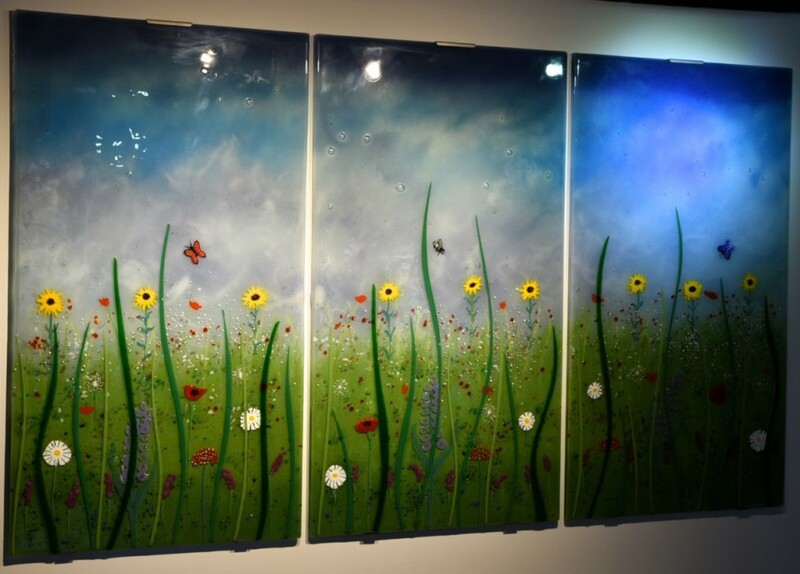 If you’ve ever visited our website before, then you’ve probably seen many examples of how our fused glass art can make a home come to life, with a tremendous variety of kitchen splashback, glass wall art panels and more filling our portfolio of previous work. 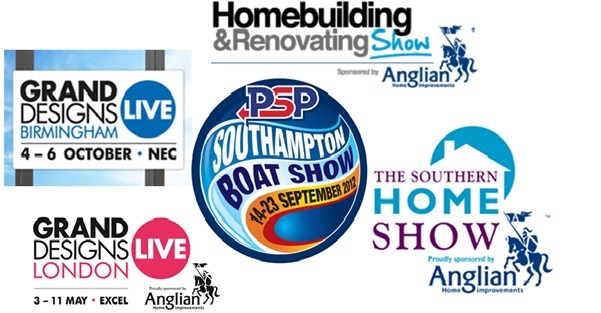 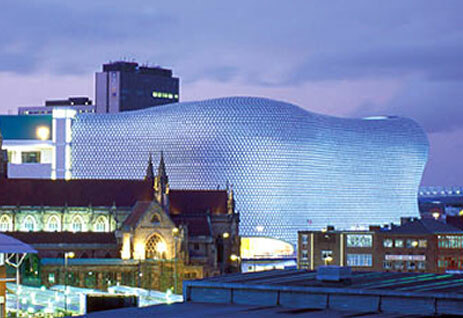 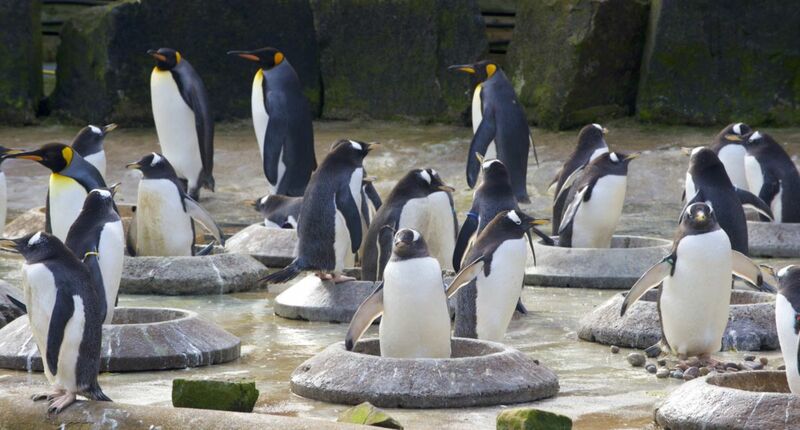 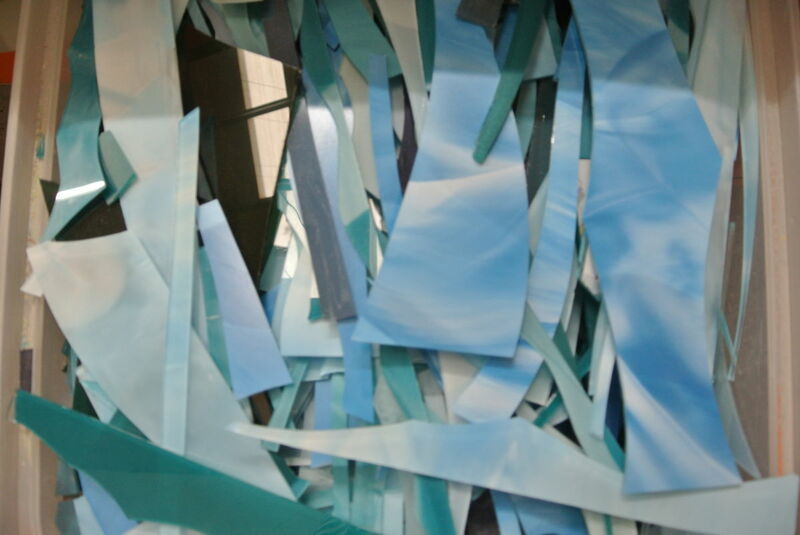 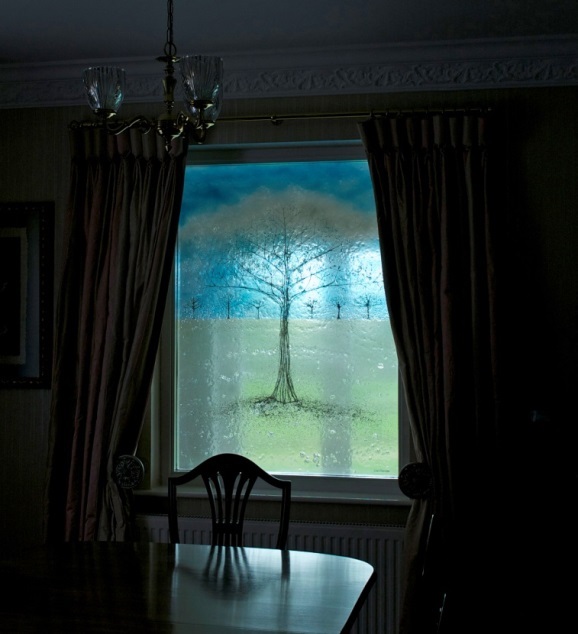 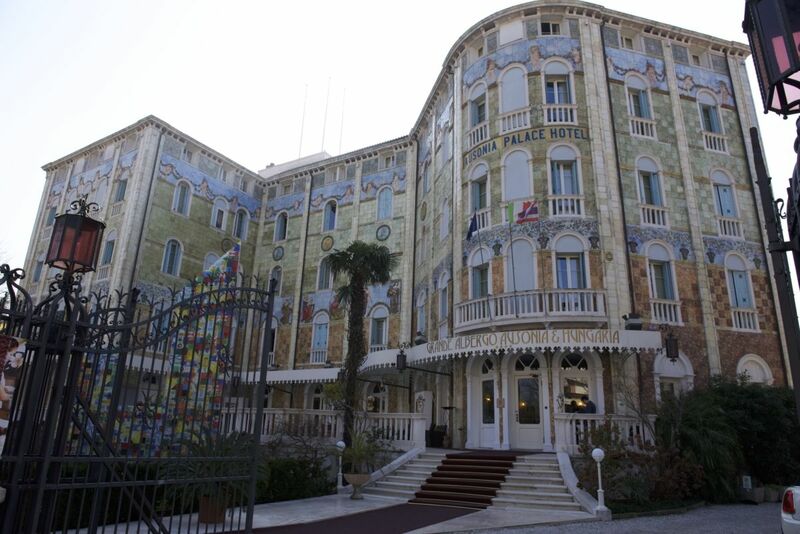 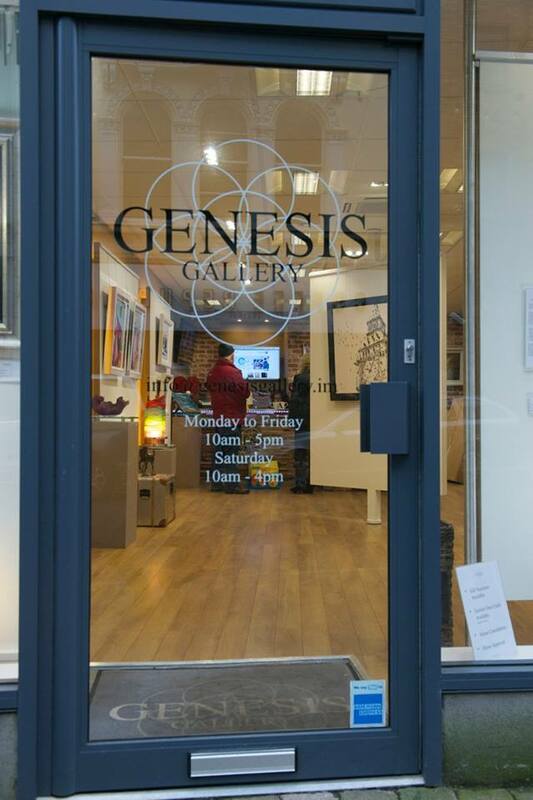 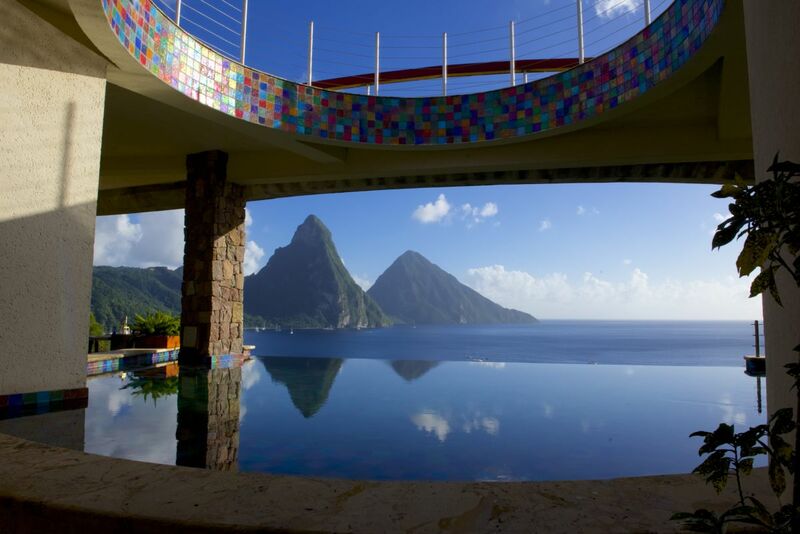 Did you know about our ability to create bespoke glass windows from that very same glass, though? 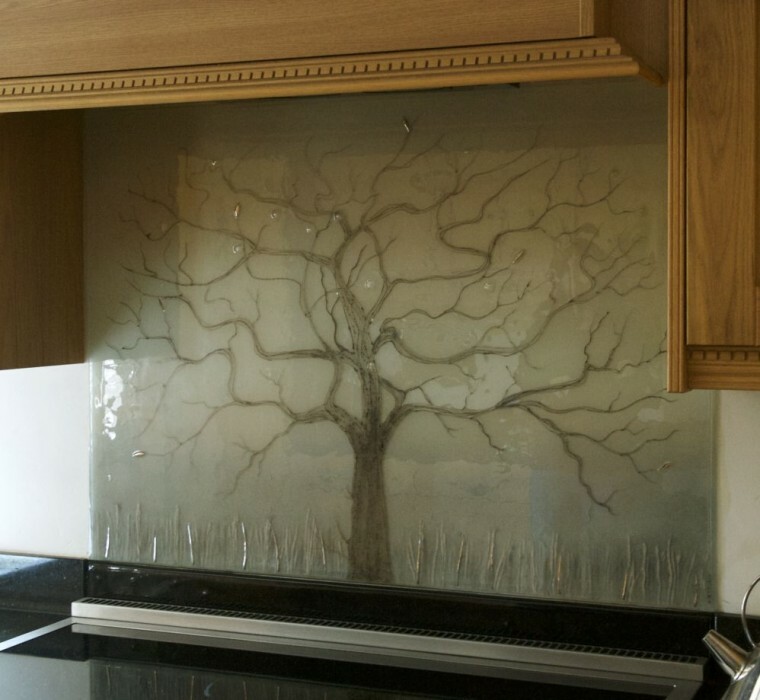 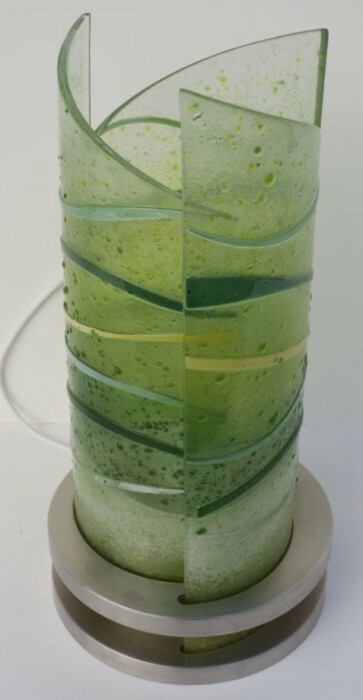 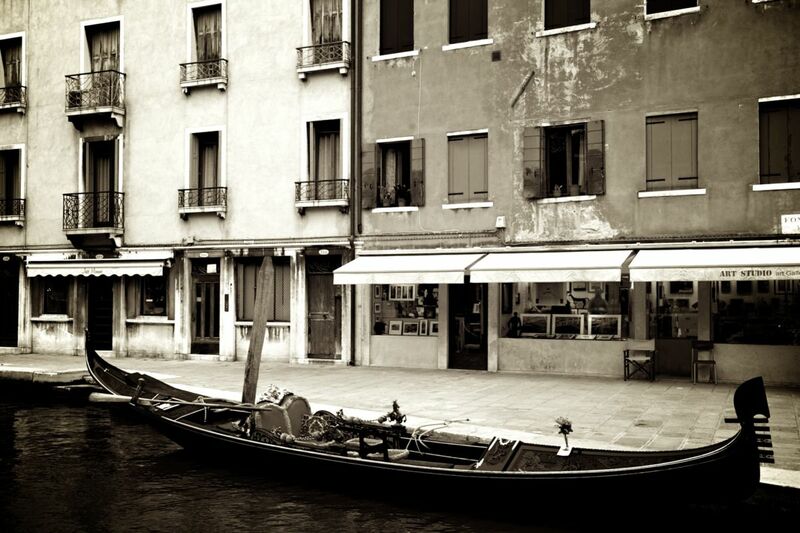 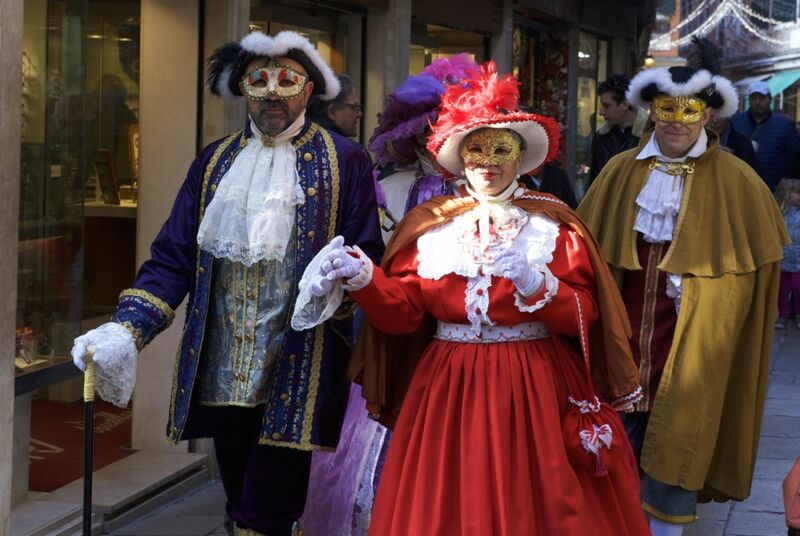 We use the very same process – and it is still glass, after all! 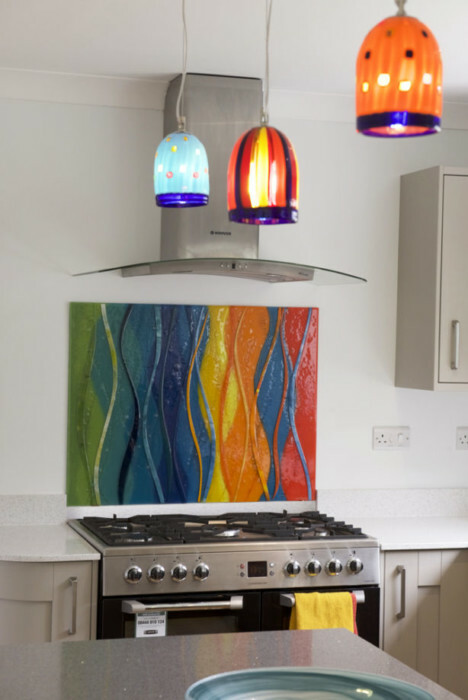 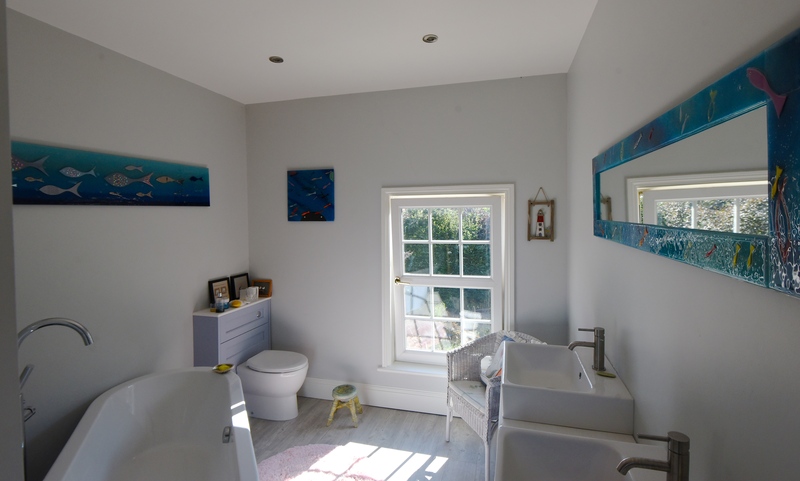 It will always let light through to a certain degree, especially when purposefully designed to do so, and the resulting effect can be a kaleidoscope of gorgeous colours picked out to suit the space you have in mind. 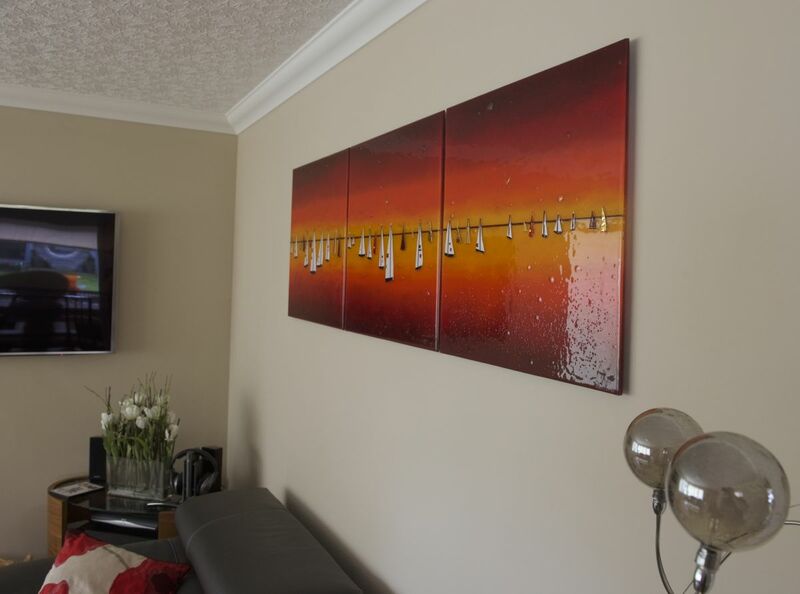 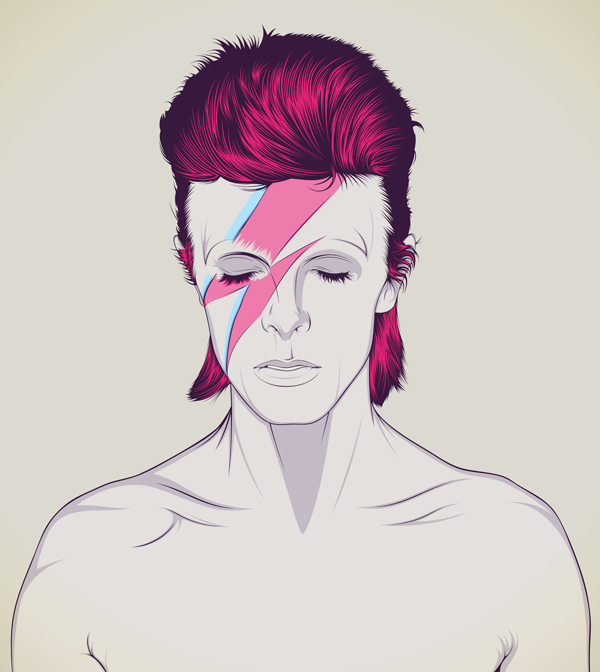 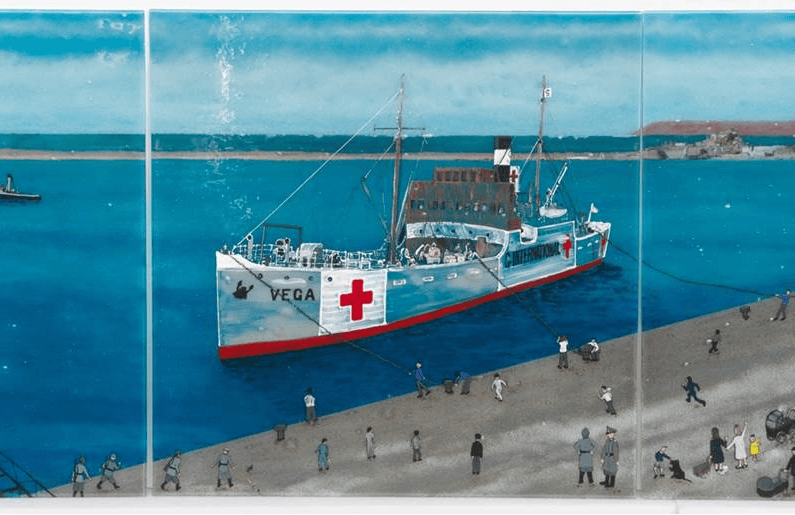 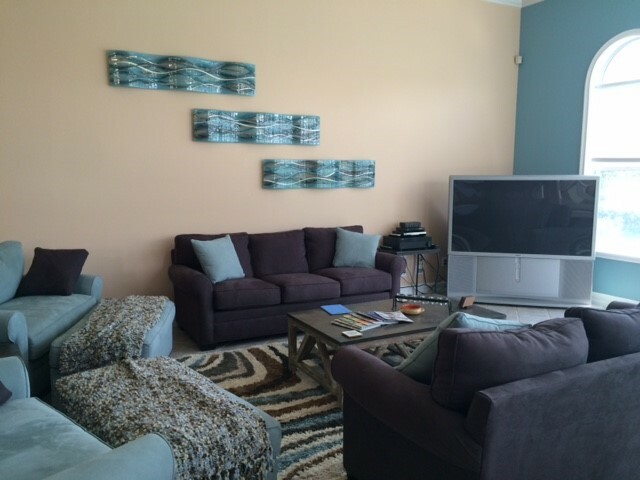 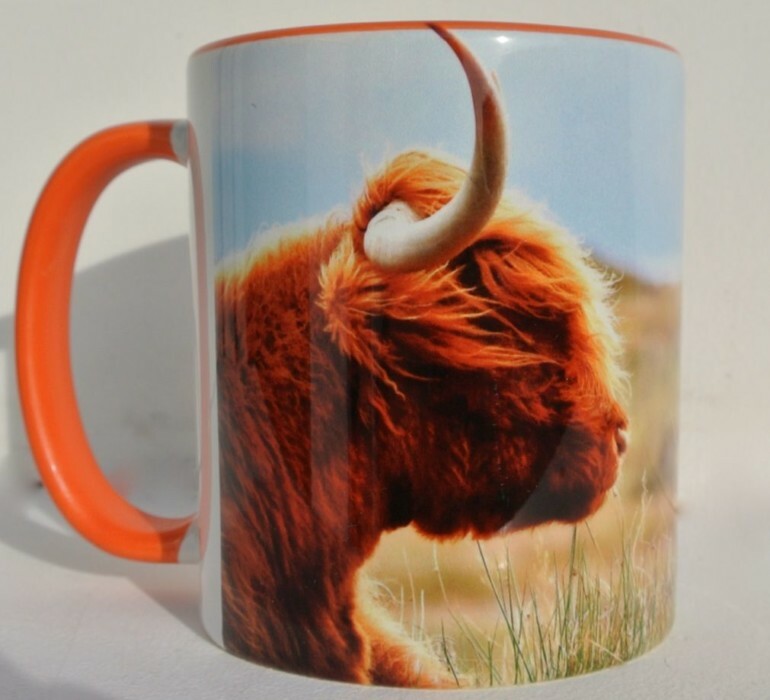 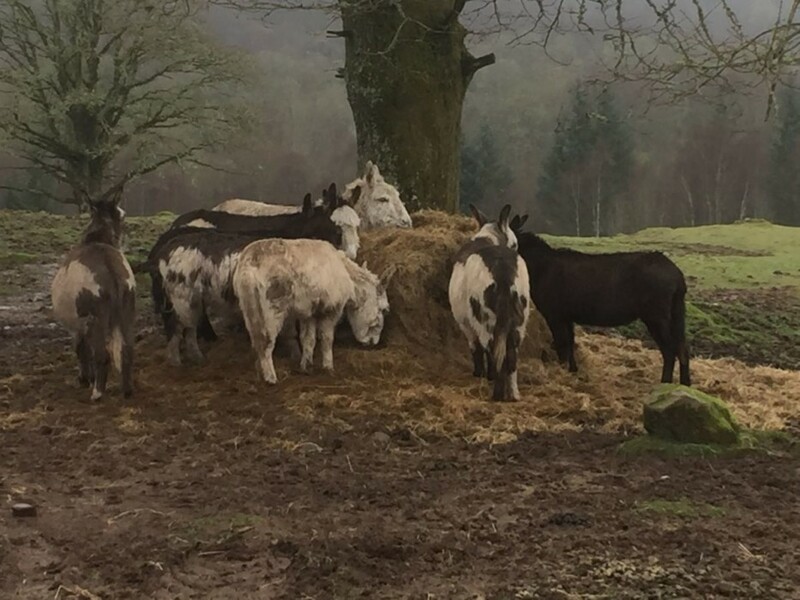 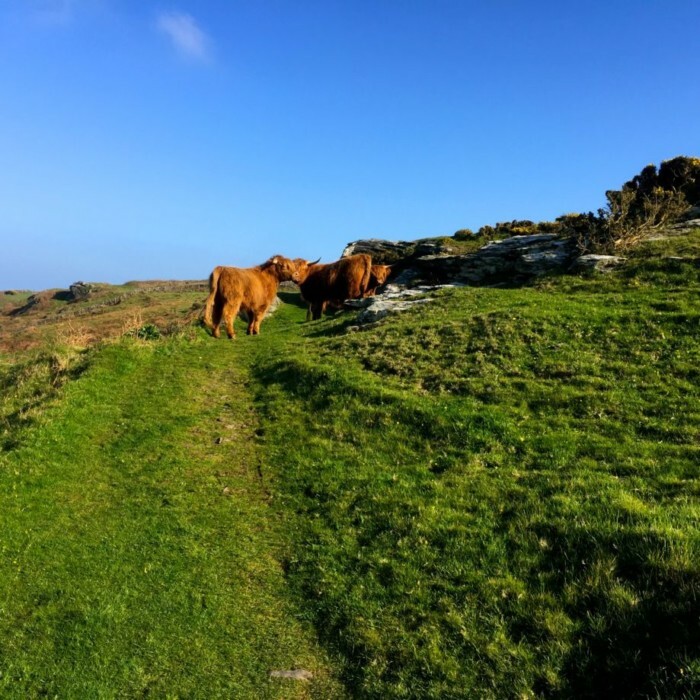 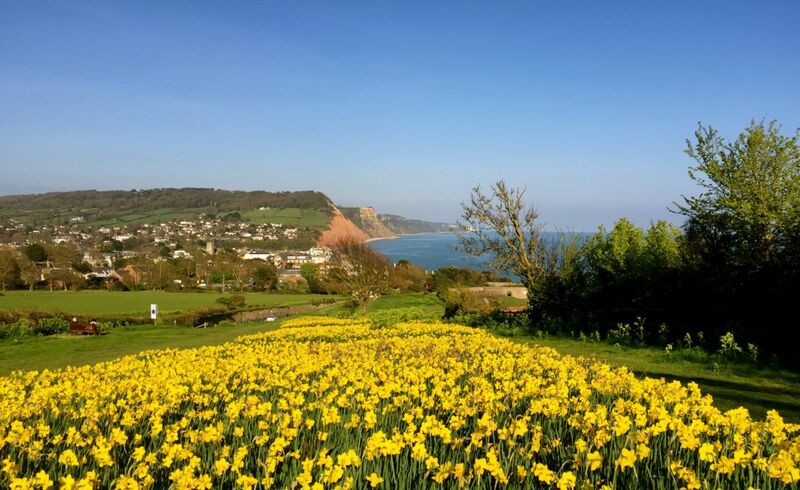 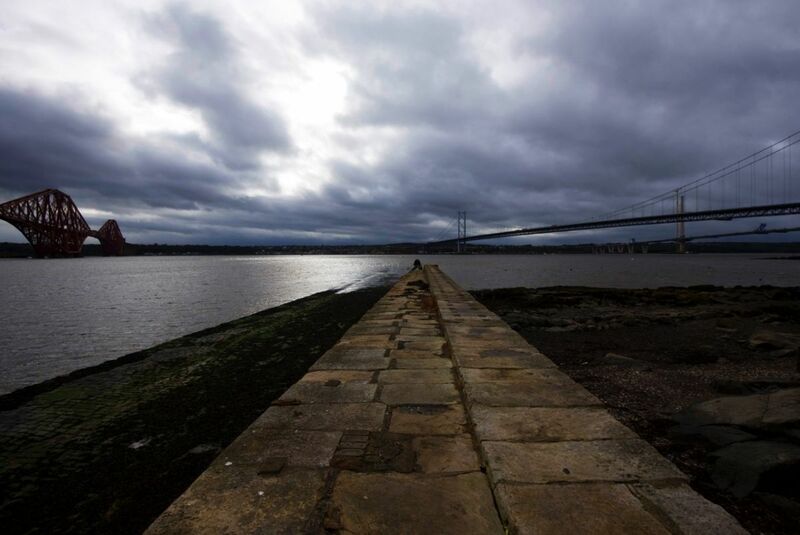 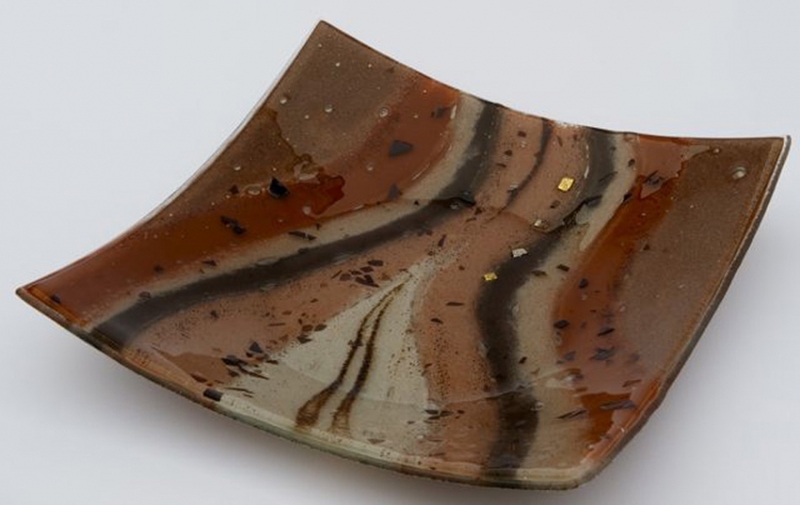 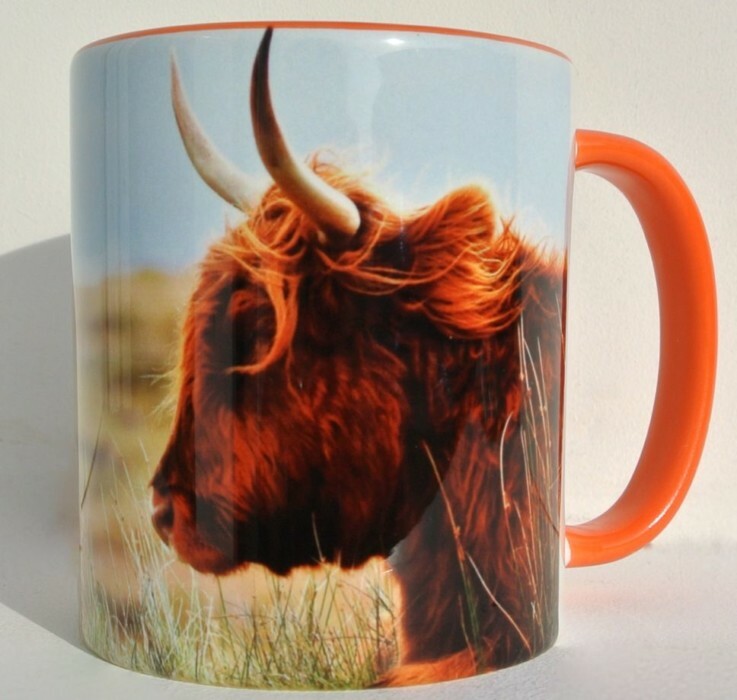 You can see an example of what we mean pictured above, from an image of an old piece of ours sent in by a customer. 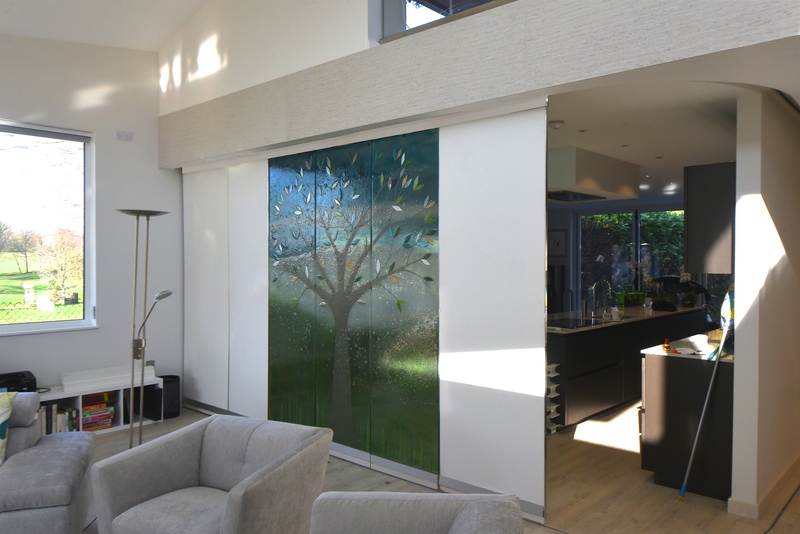 We’re proud to say that our bespoke glass windows make for a perfect alternative to what you might expect to see in your average home. 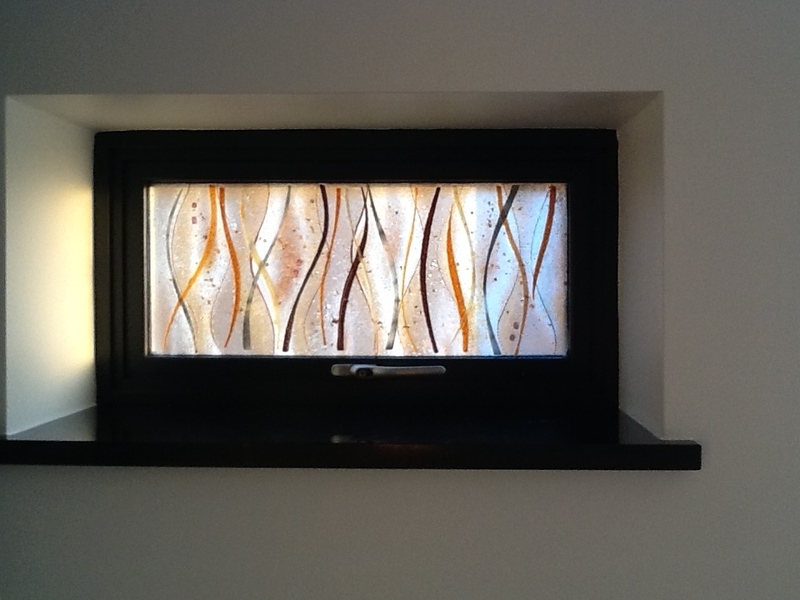 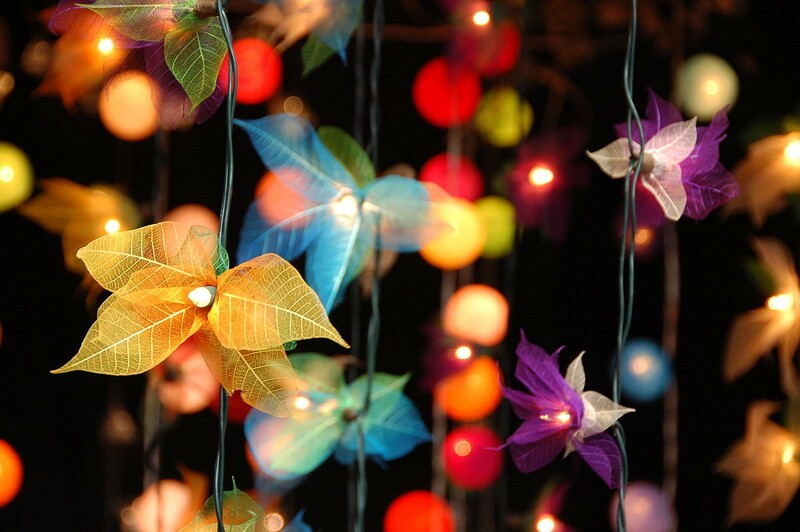 They can bring light into your home in a very unique and beautiful way that’s certainly not the obvious choice at first. 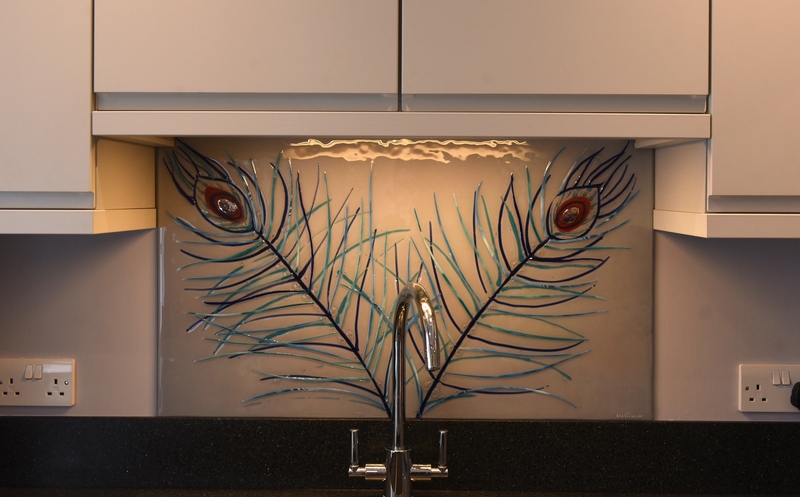 For the homeowner who’s looking to get their hands on that highly coveted stained glass look with ease, while also putting a unique twist on a fairly established concept, they’re absolutely perfect. 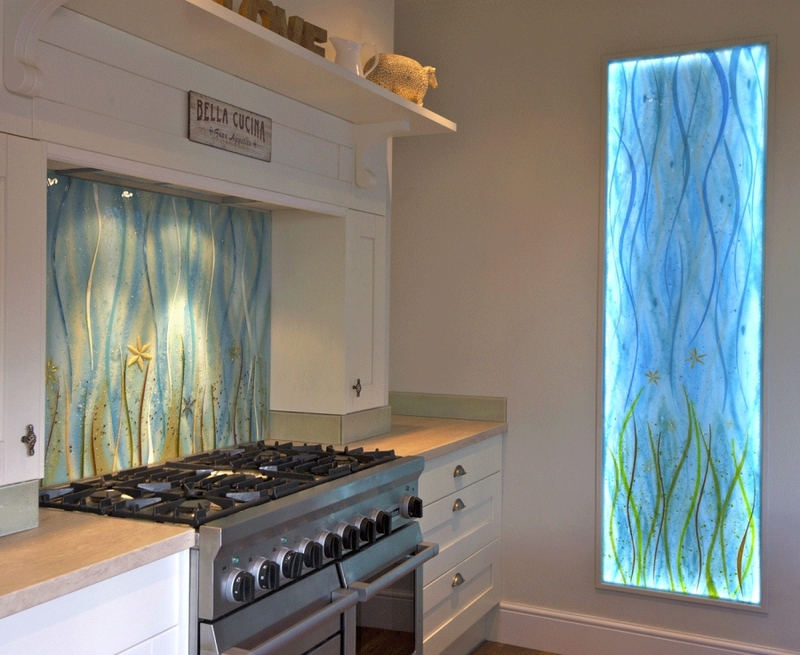 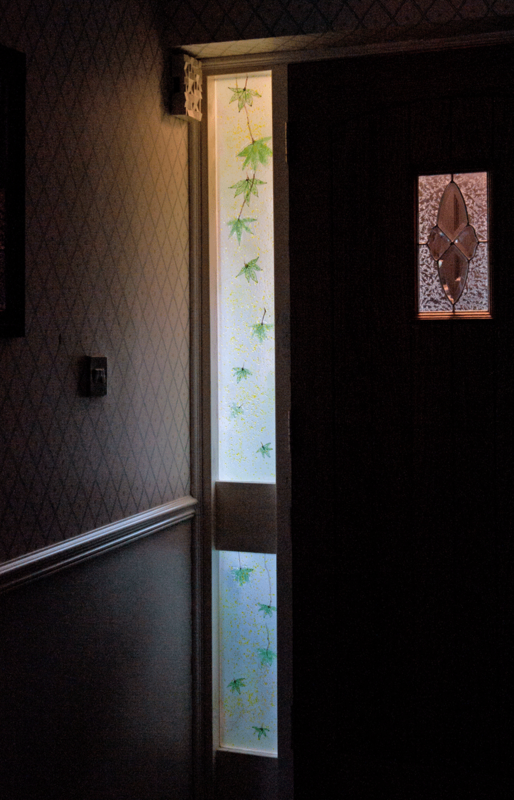 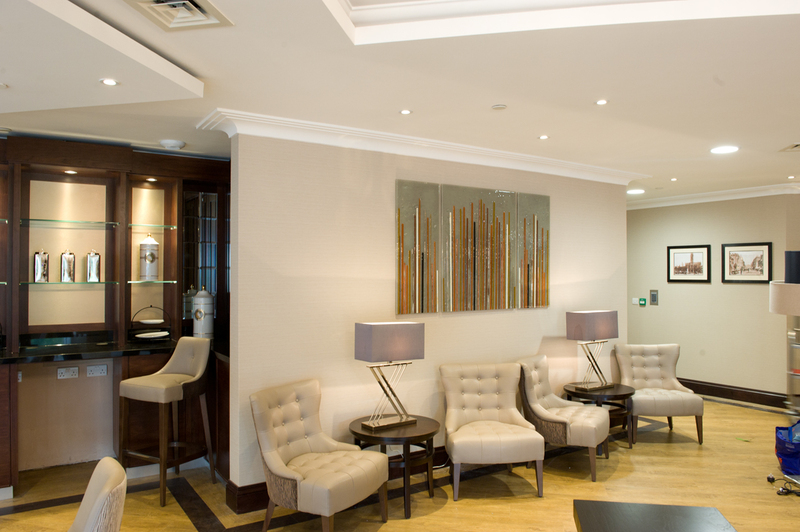 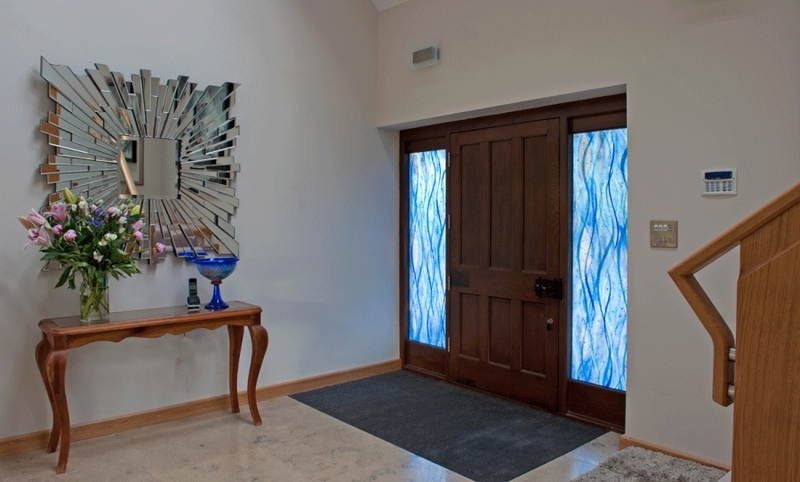 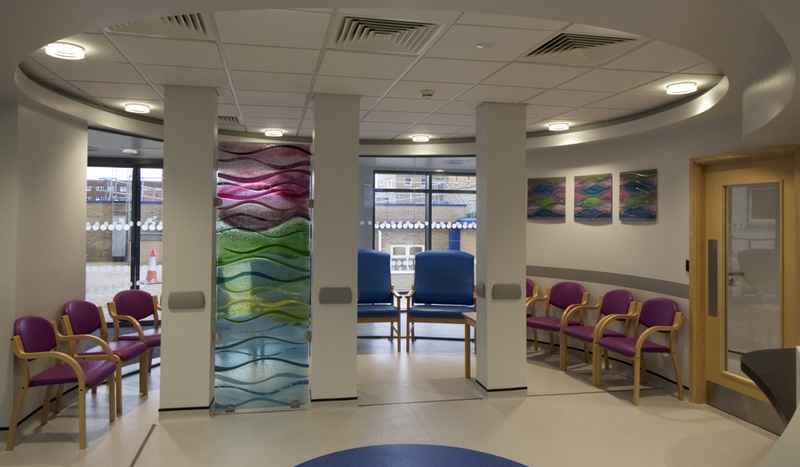 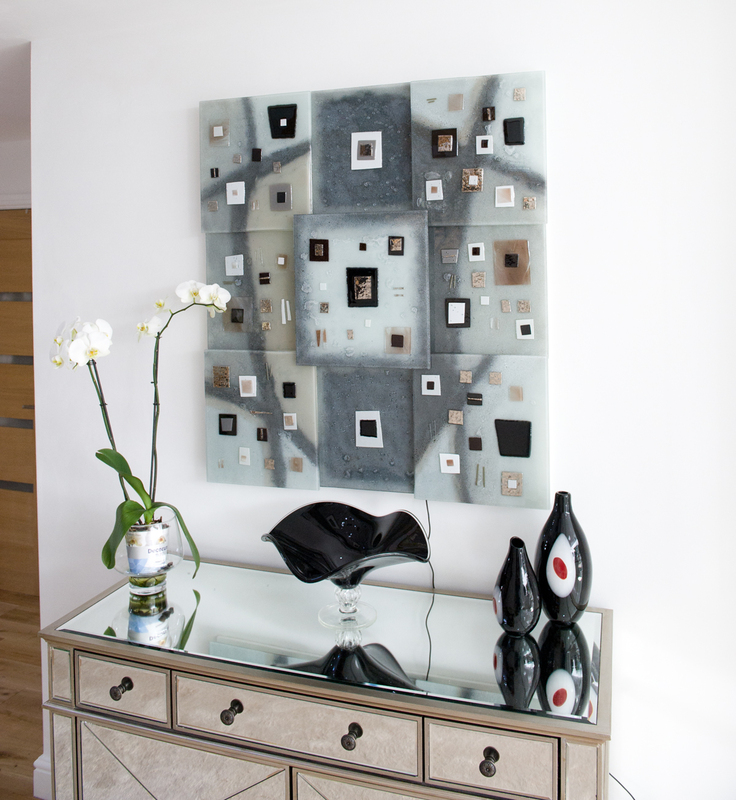 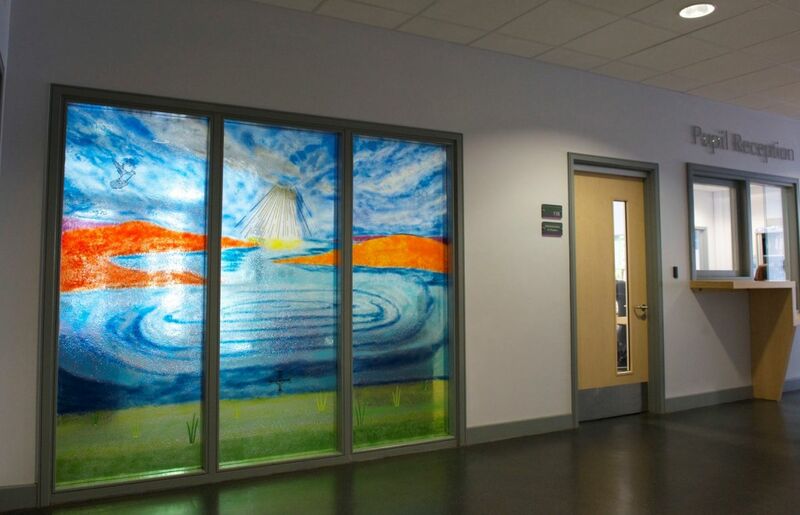 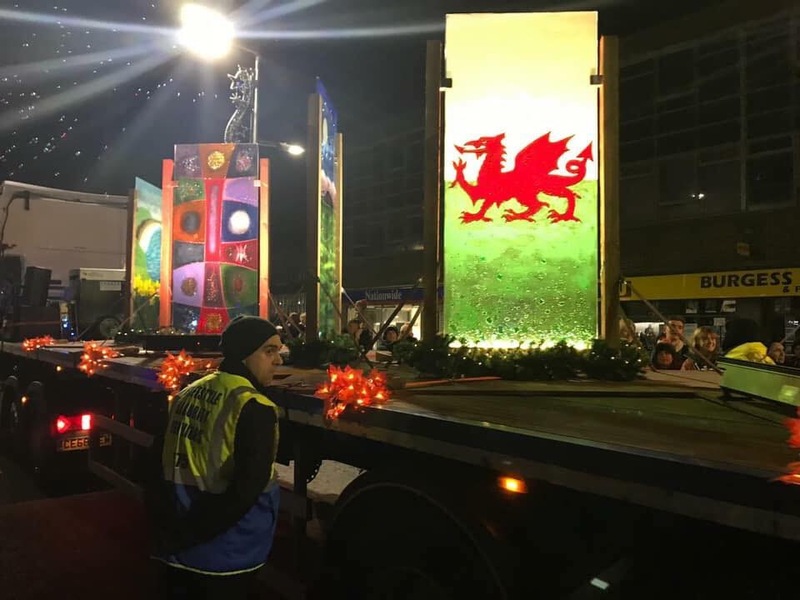 You’ll find that fused glass windows lend themselves equally well to both modern and traditional styles of décor, seamlessly blending in thanks to their bespoke and tailored design. 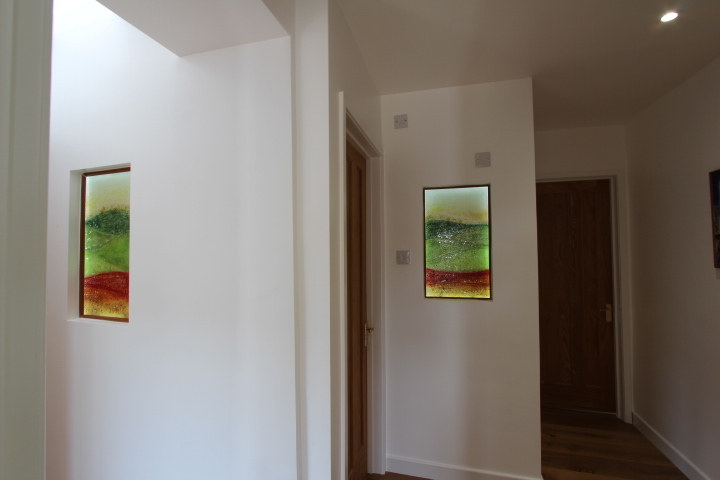 They’re also heaps less complicated to transport, which allows you to skip a much bemoaned aspect of installing stained glass windows. 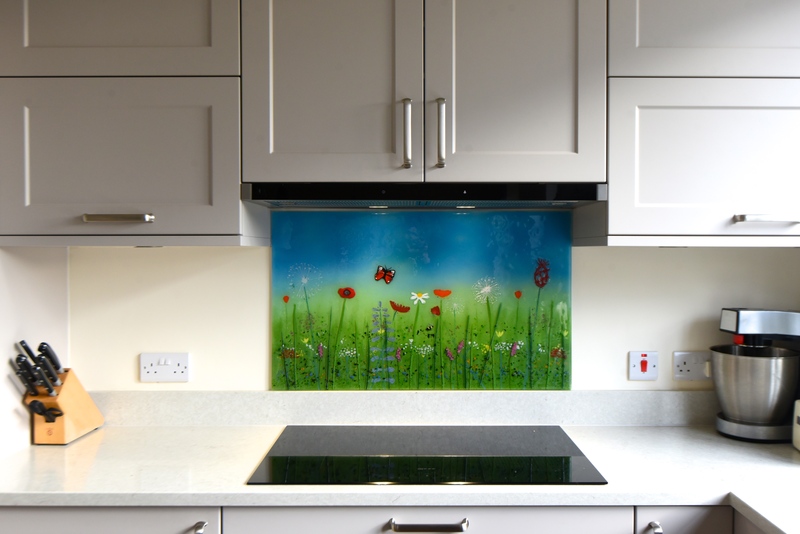 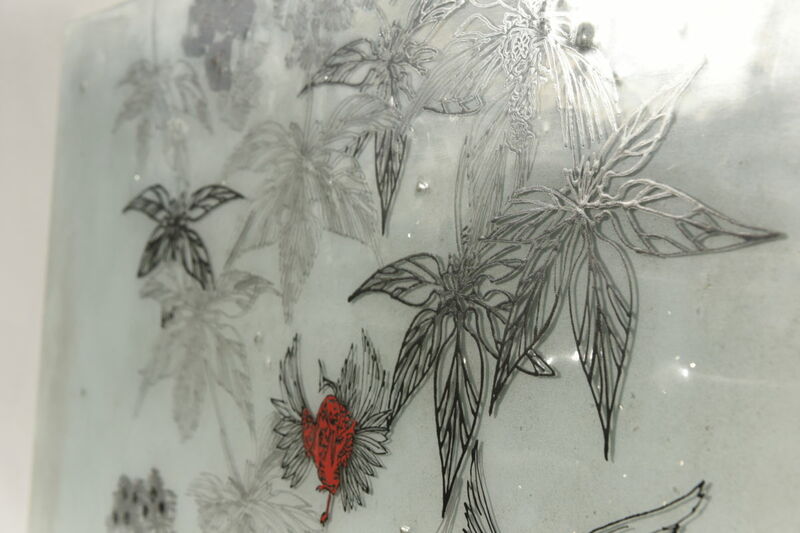 Of course, as all of our glass is created fully bespoke and by hand, just about every single piece we make can be personalised just for you. 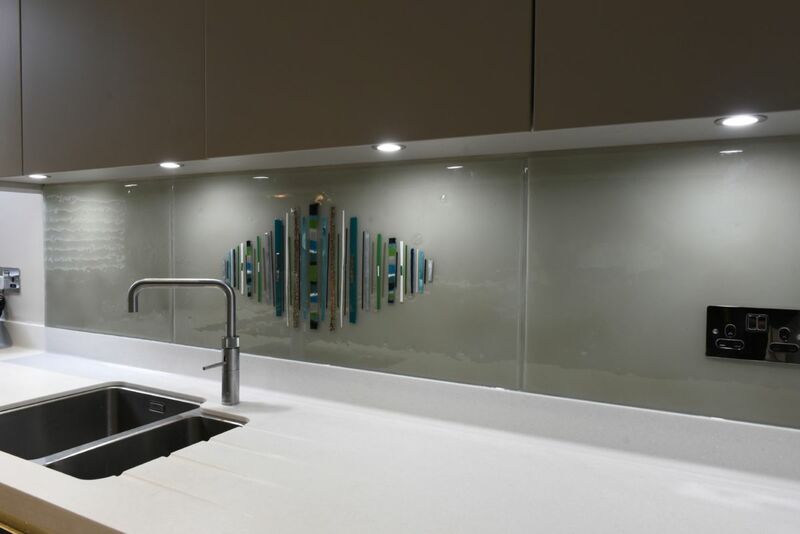 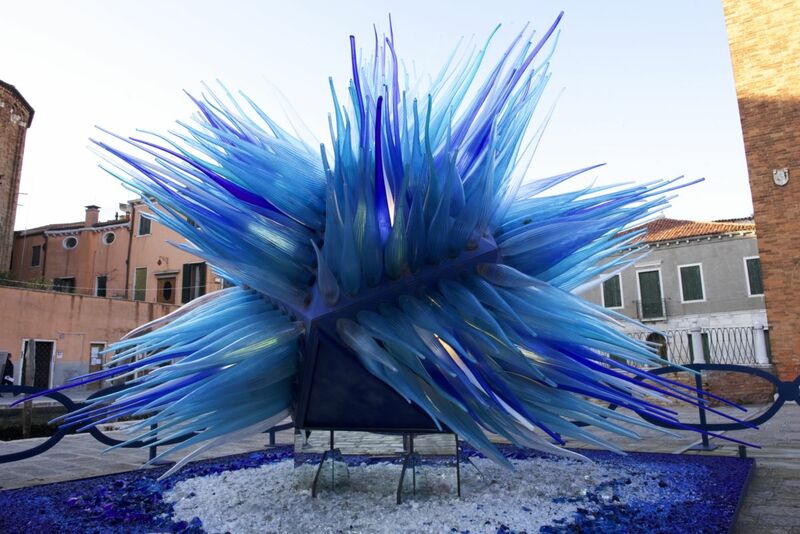 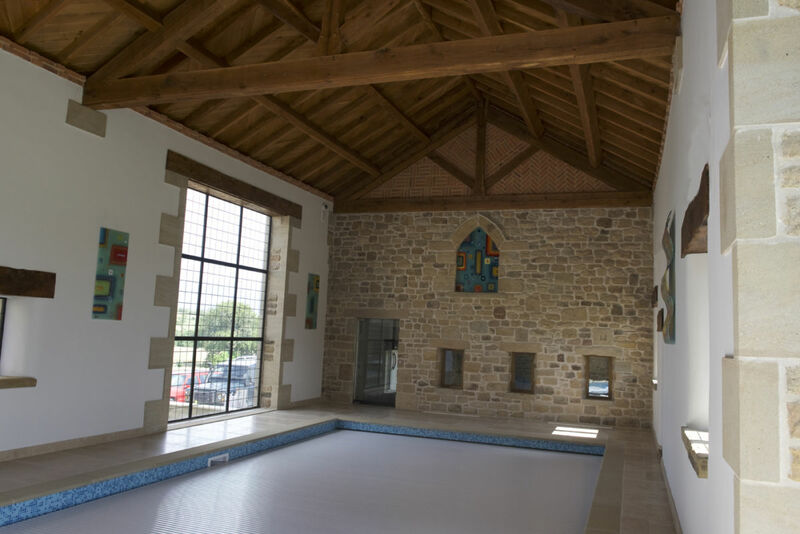 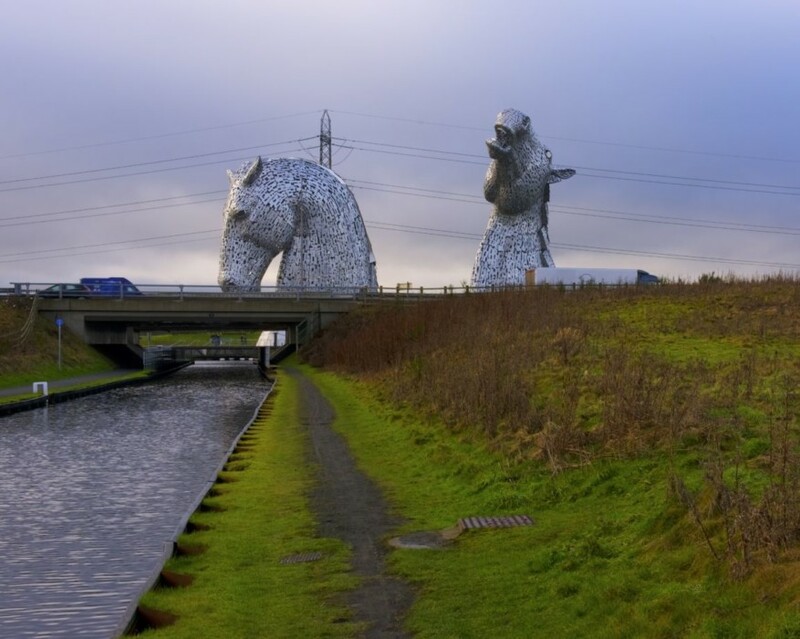 We can also customise glass pieces to perfectly suit exterior installations or applications where the thickness and strength of the glass is especially important. 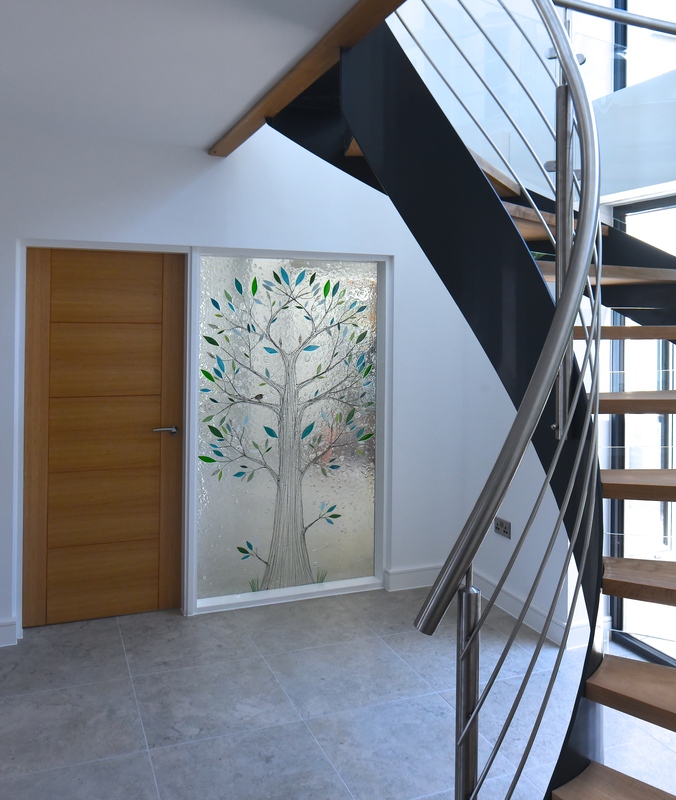 Choose from double or even triple glazed glass, and we’ll make sure that the final result doesn’t just look amazing but holds up as a practical and durable product. 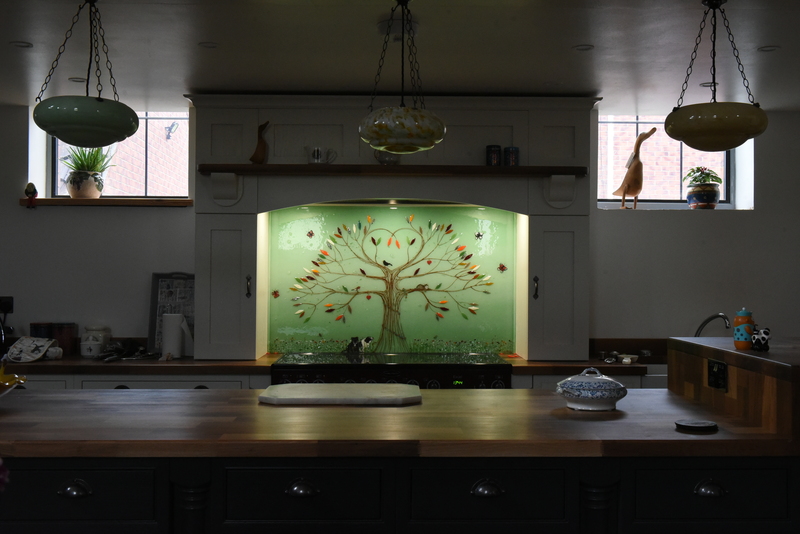 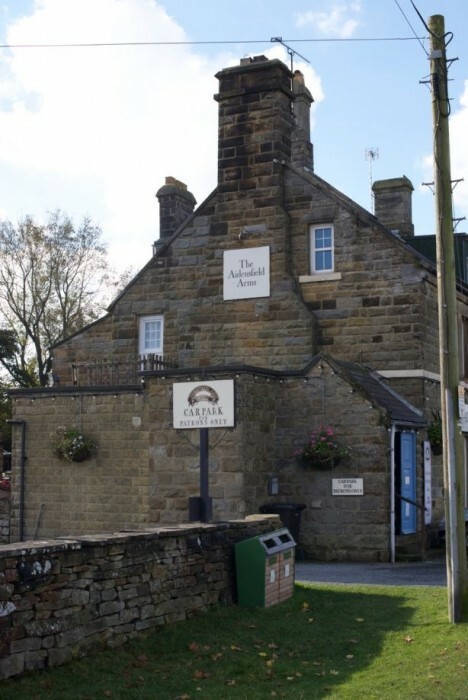 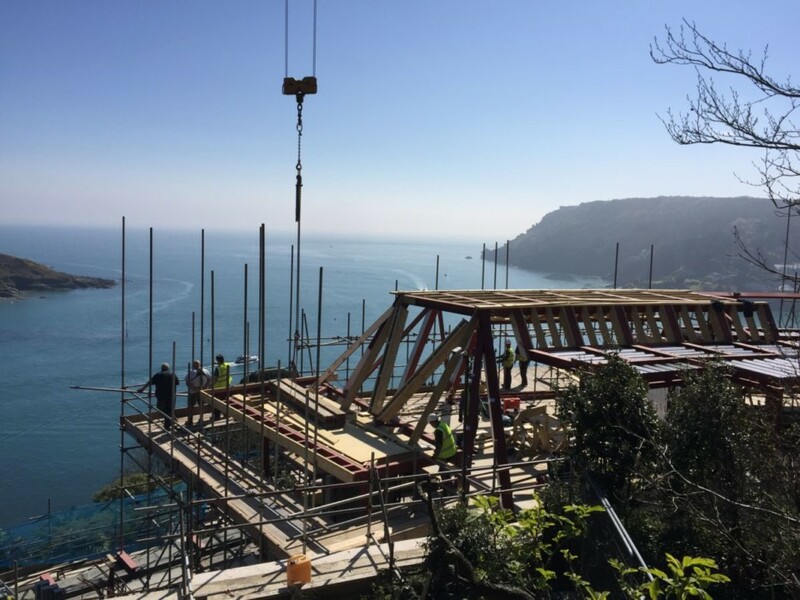 Whether you’re on the lookout for some gorgeous bespoke glass windows, or there’s something else in our incredibly varied portfolio that’s caught your eye, make sure you get in touch with our team. 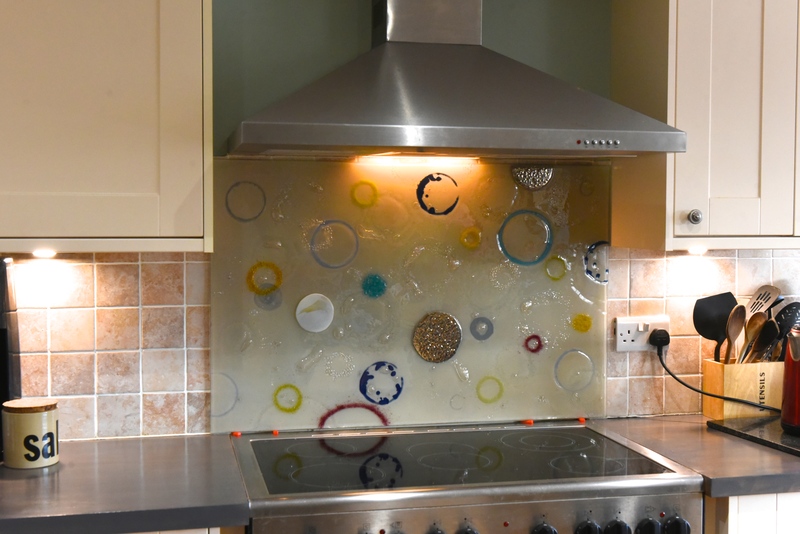 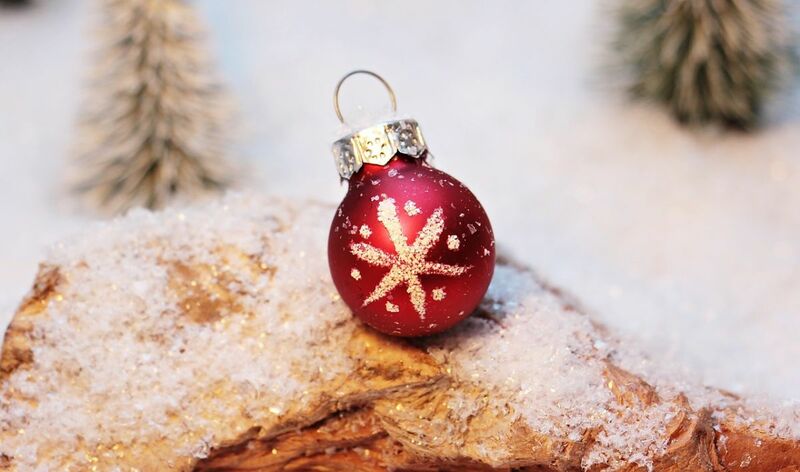 We here at The House of Ugly Fish are ready and waiting to create the perfect piece of glass just for you, and it might just be one that lets light into your own in a very creative way. 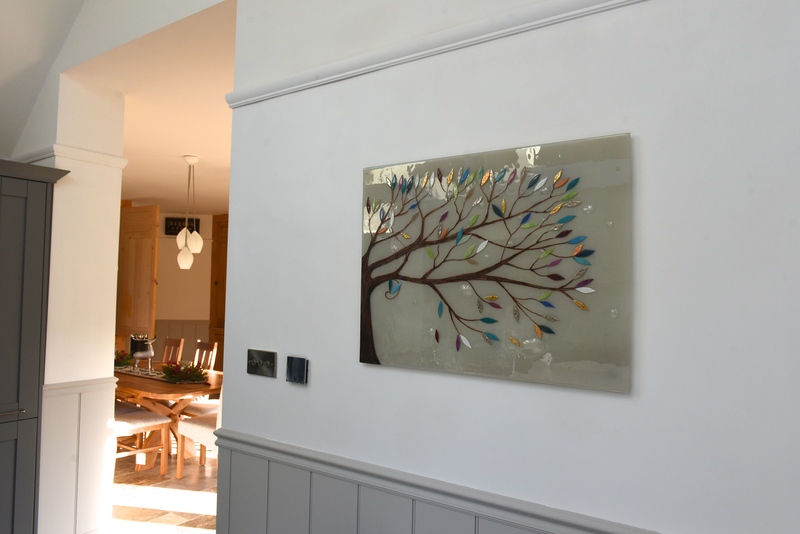 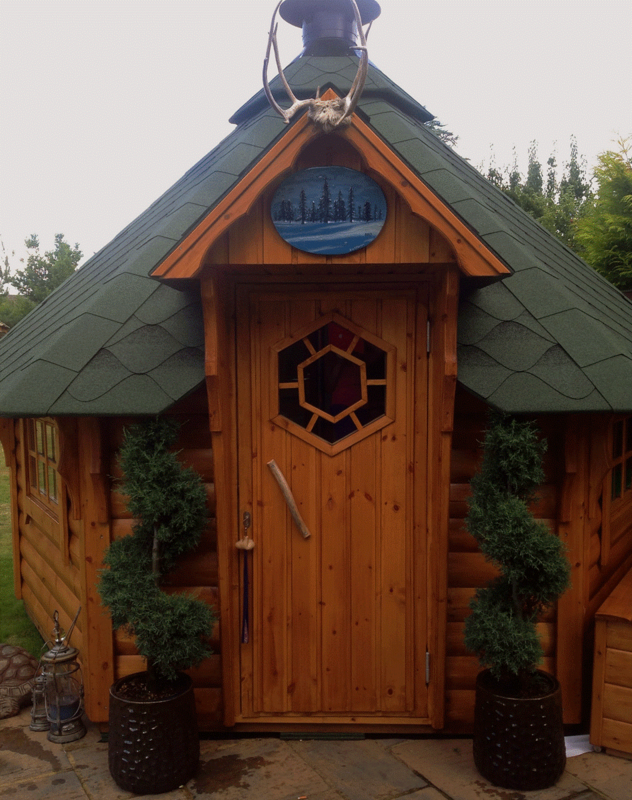 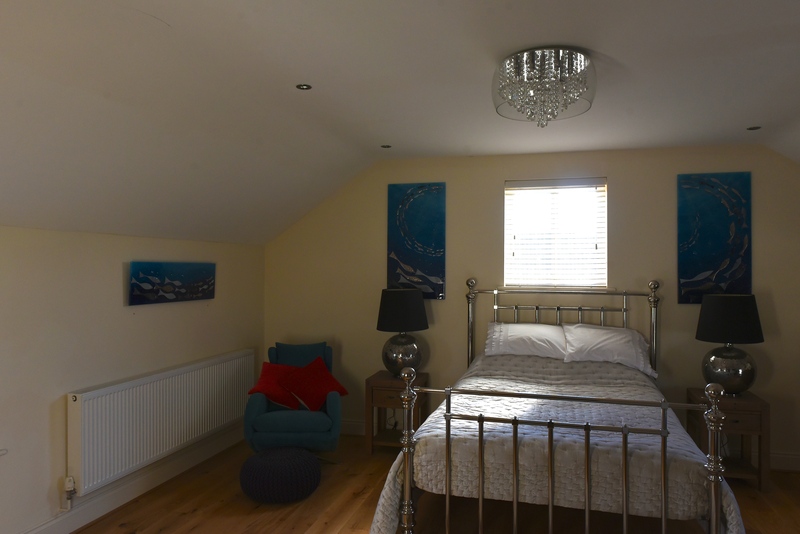 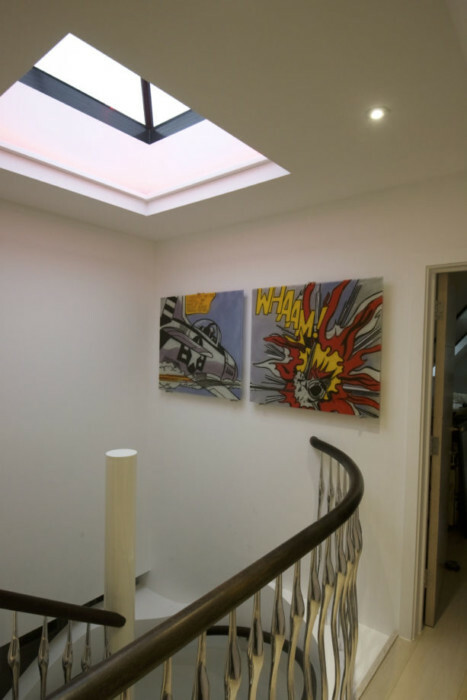 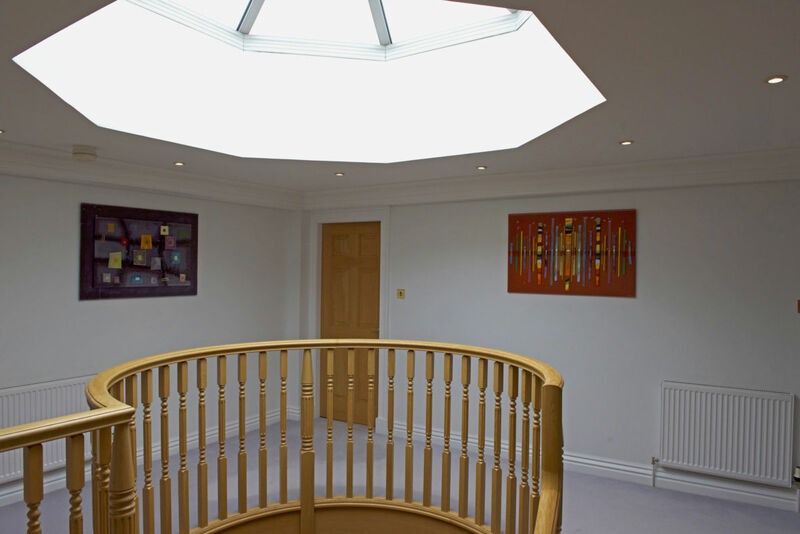 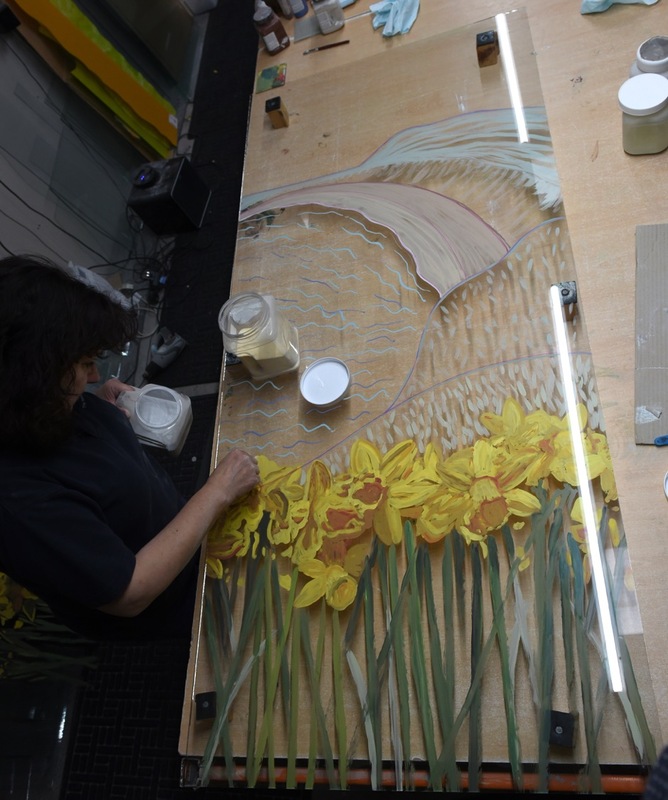 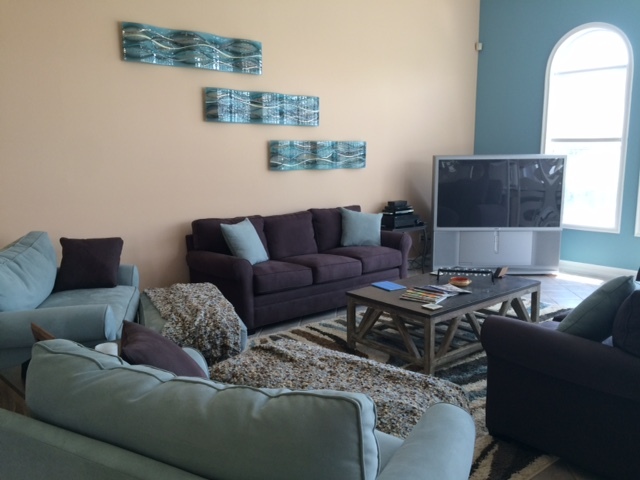 We’ll work closely with you to ensure that every detail is right before we get started, and before you know it, you’ll have a brilliant alternative to stained glass windows sitting beautifully in your home.